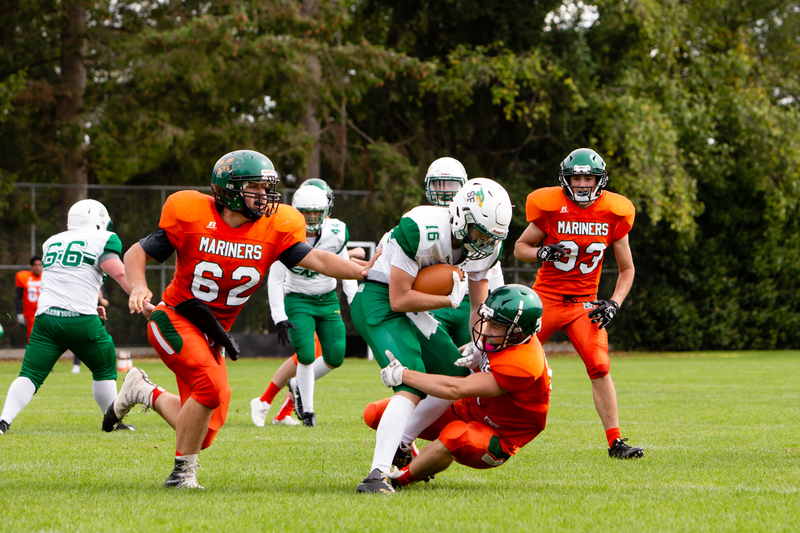 Thanks to Janice Croze for this set of pictures! 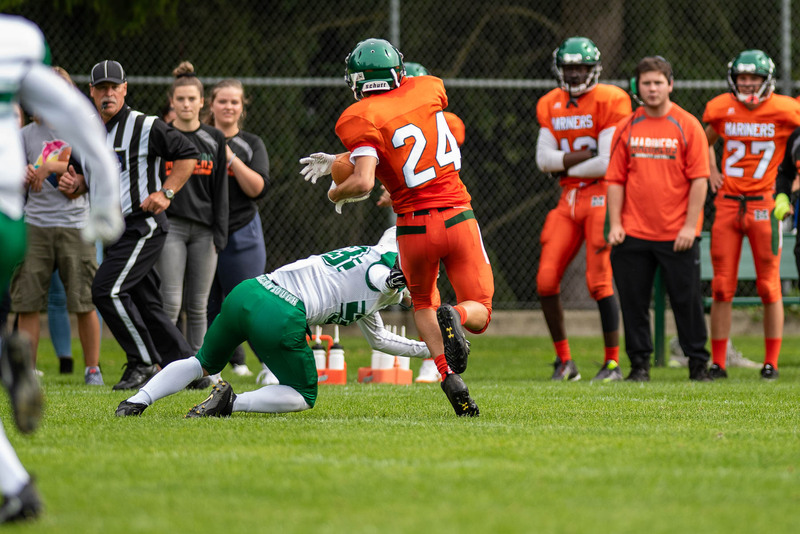 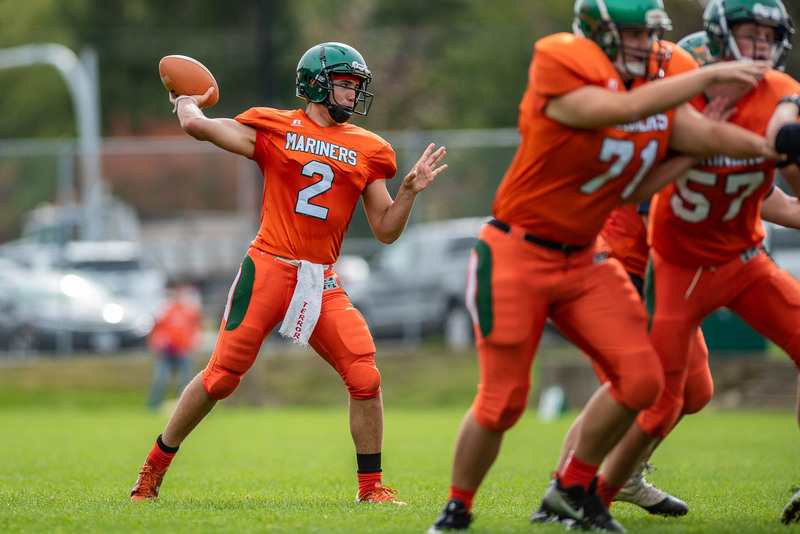 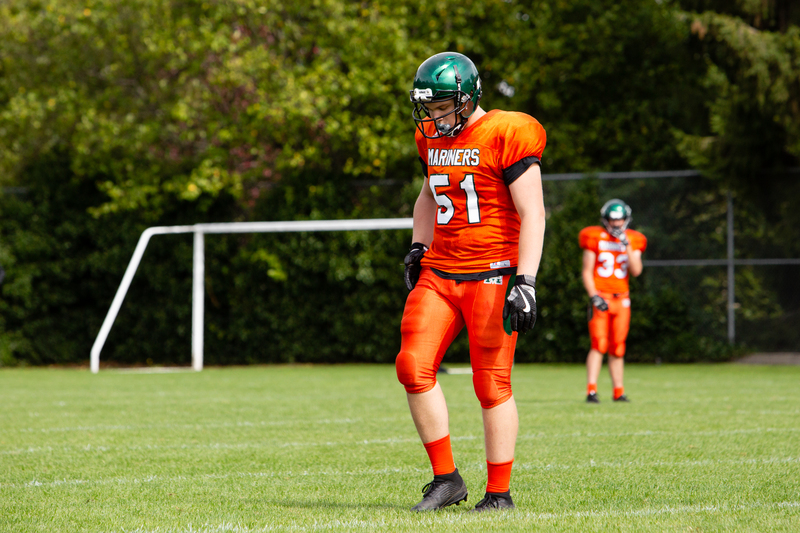 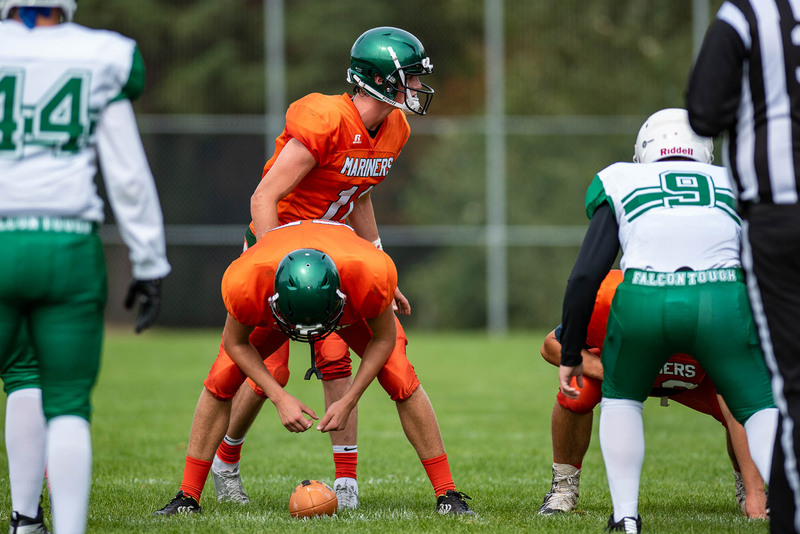 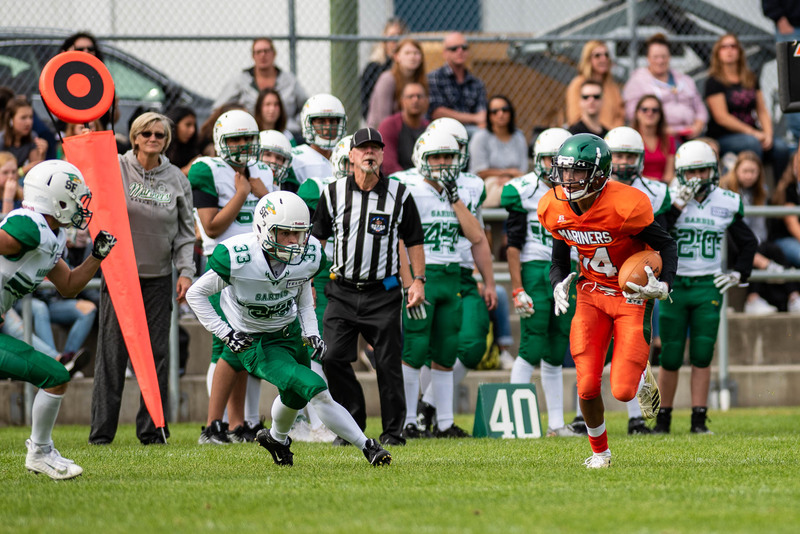 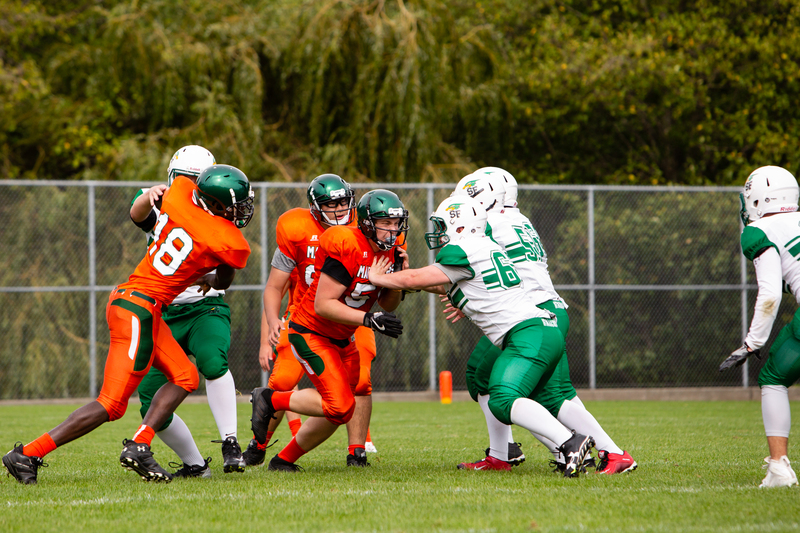 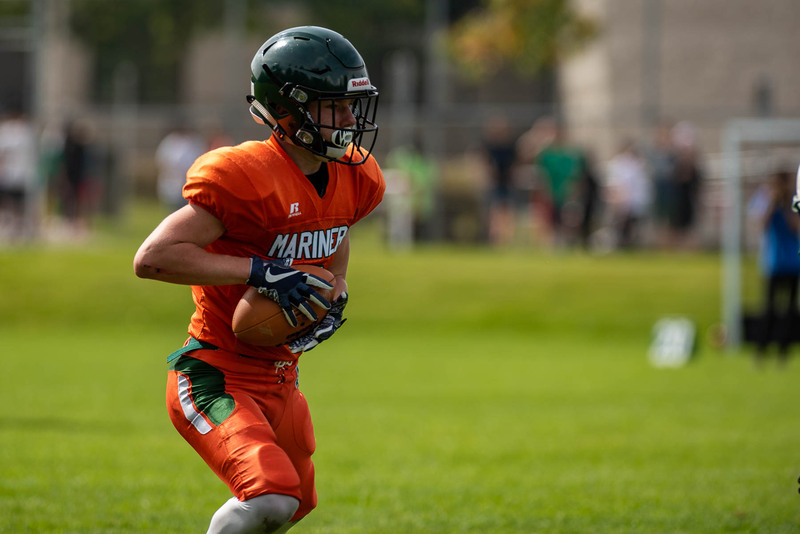 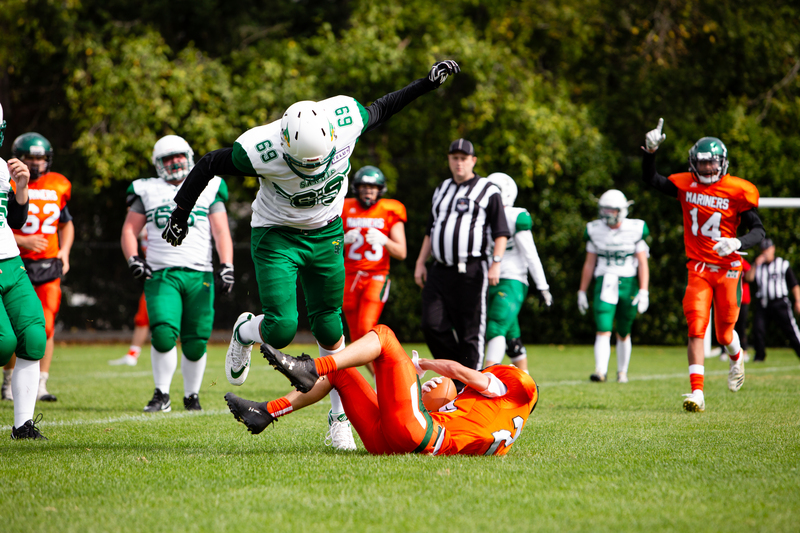 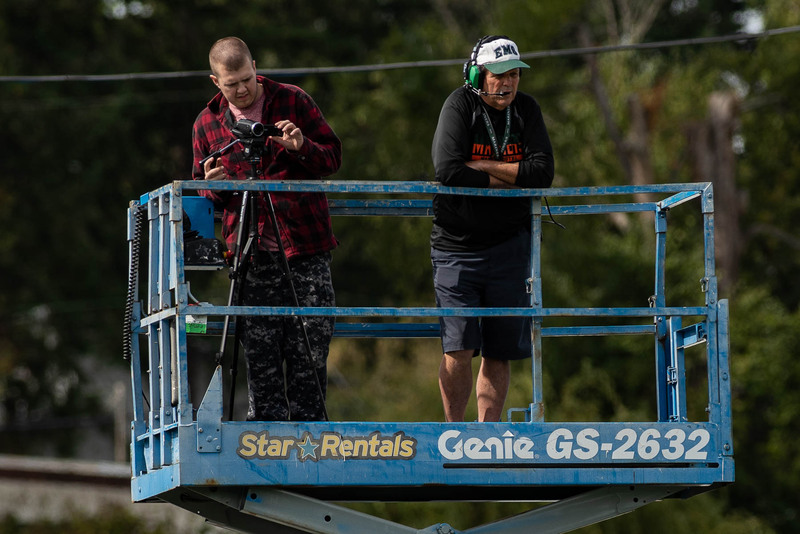 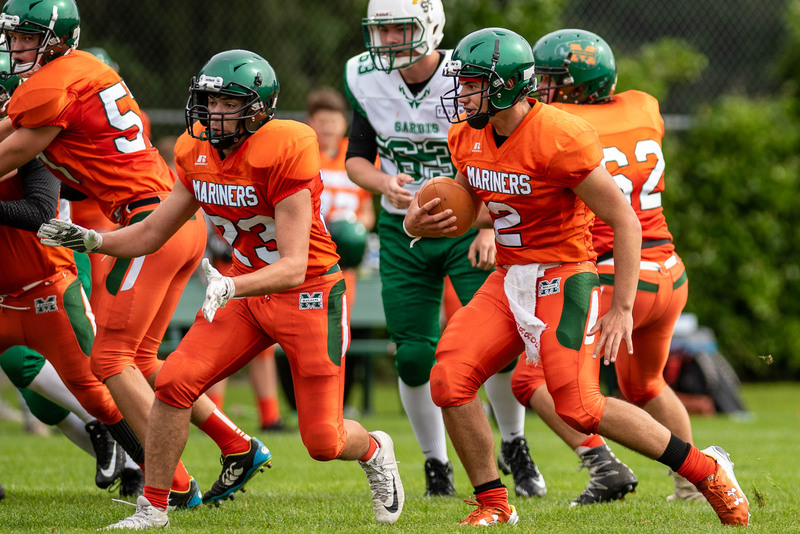 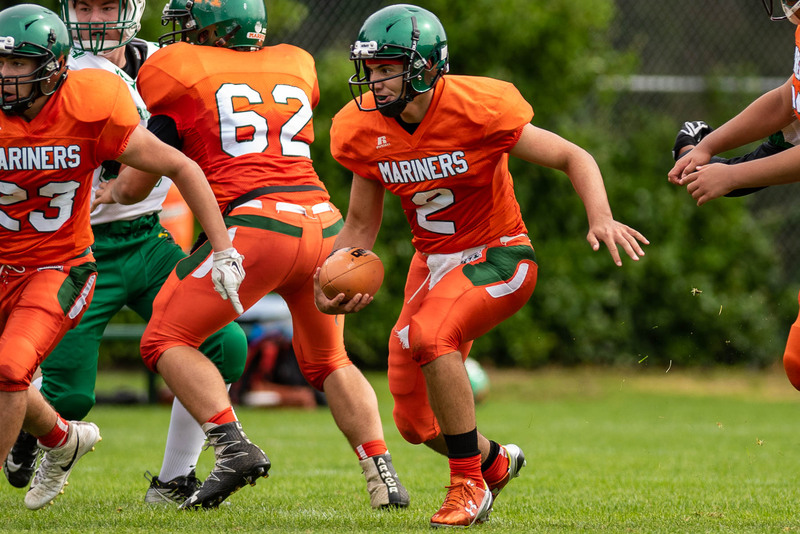 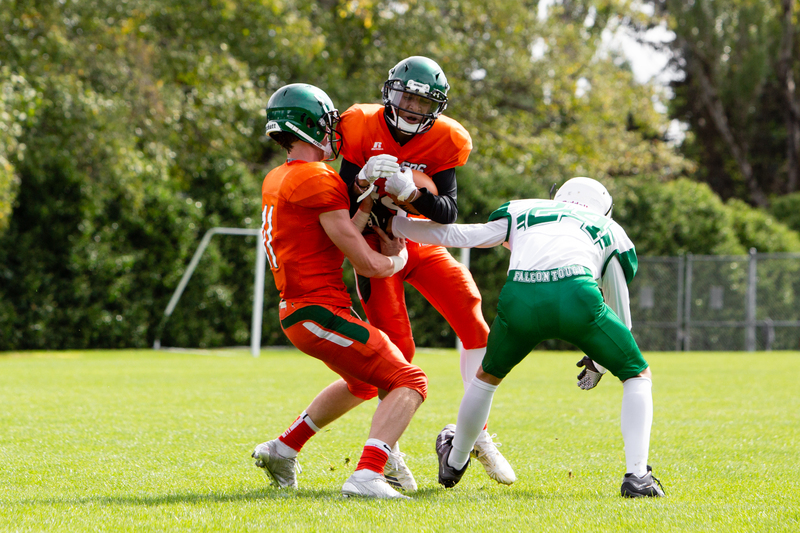 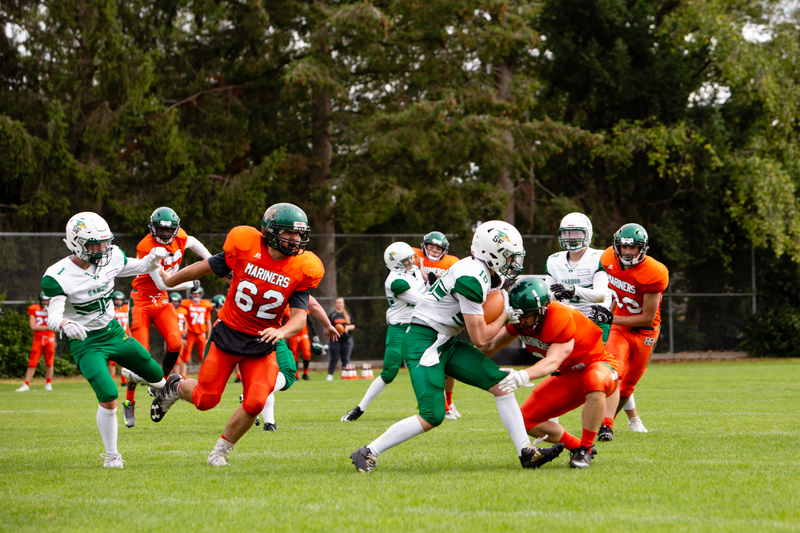 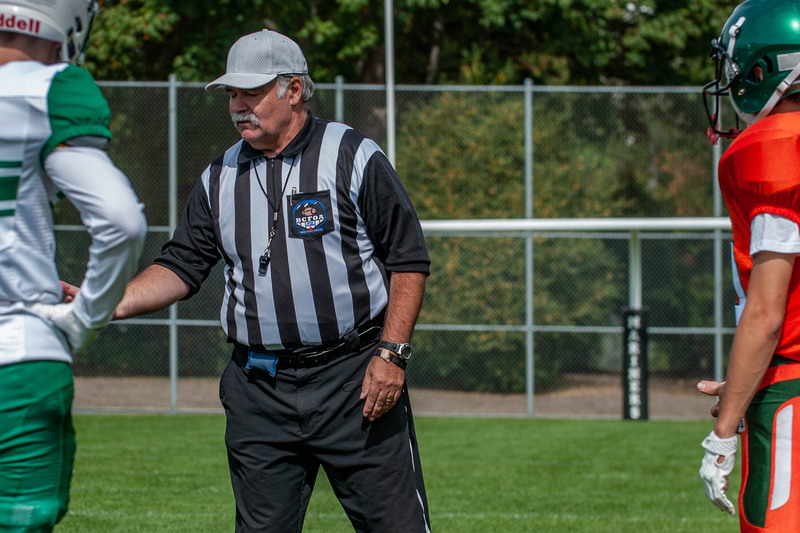 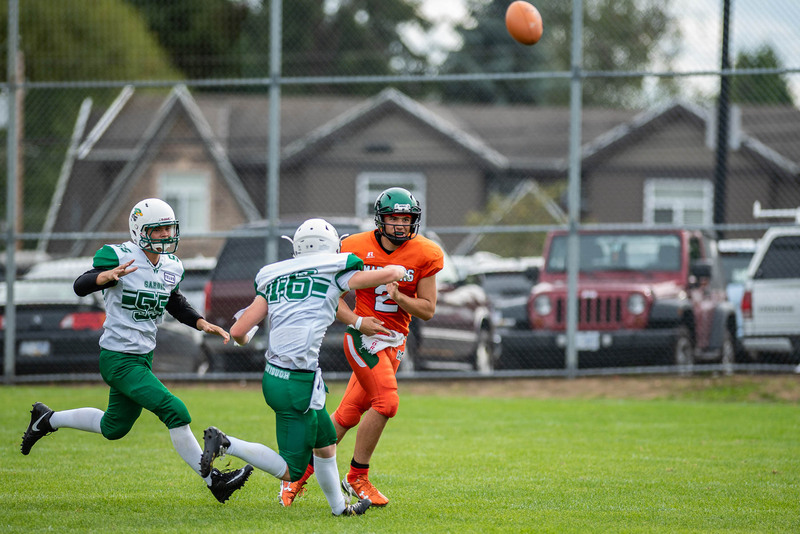 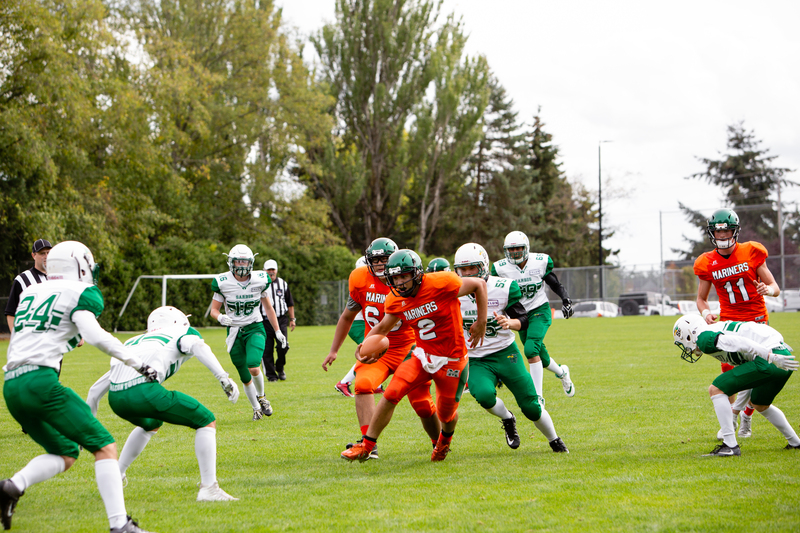 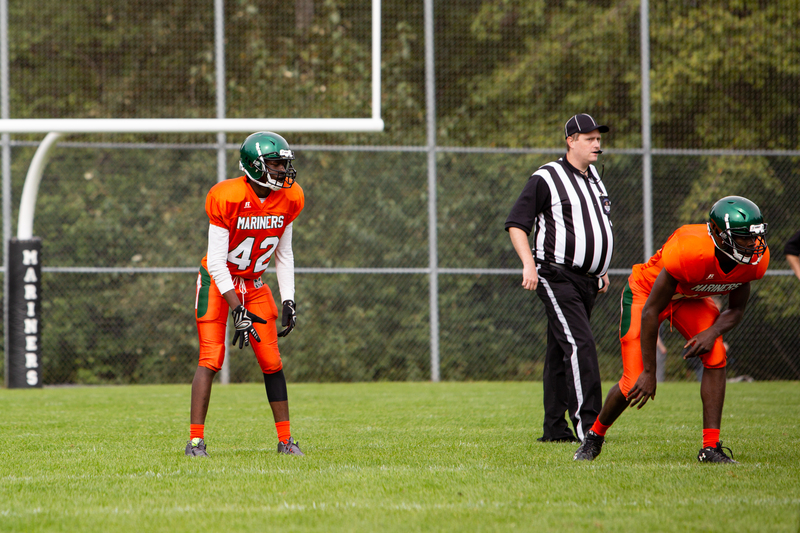 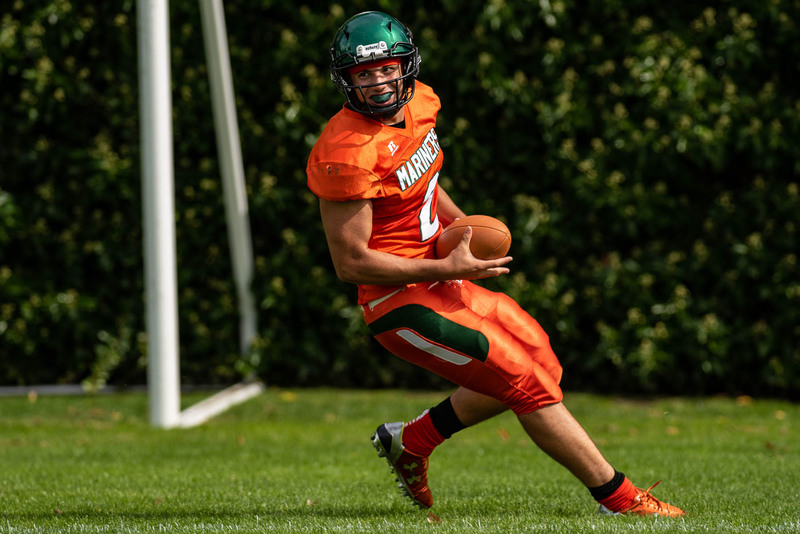 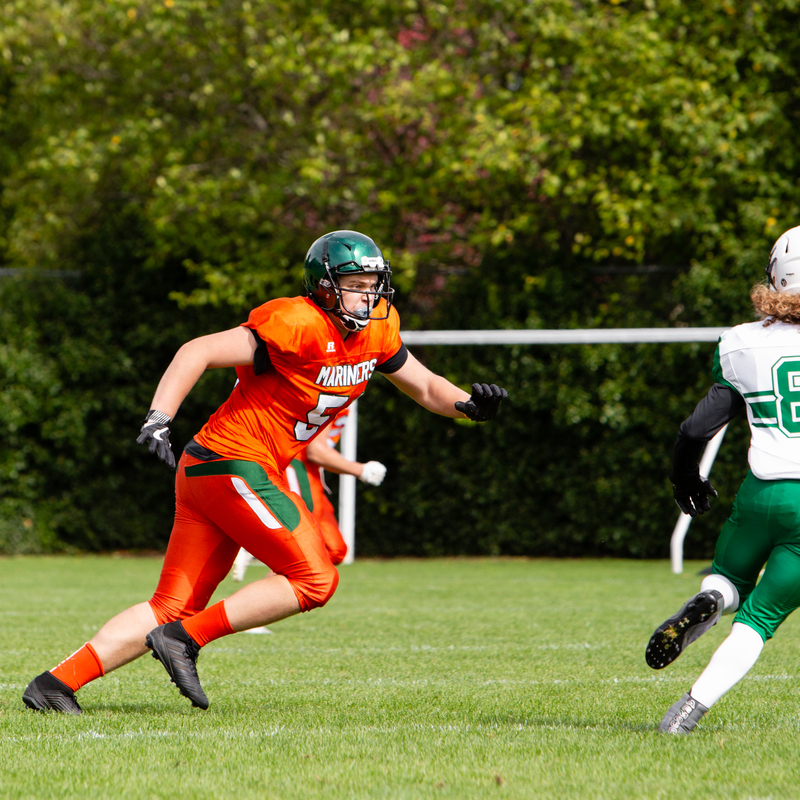 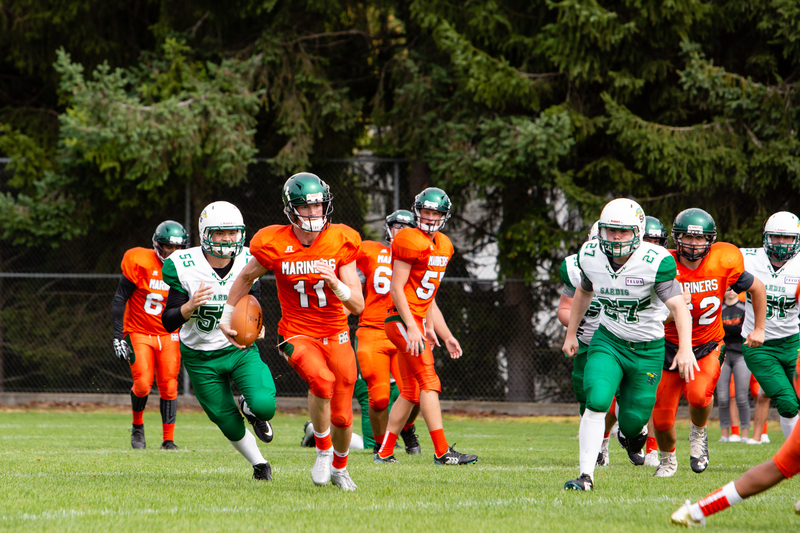 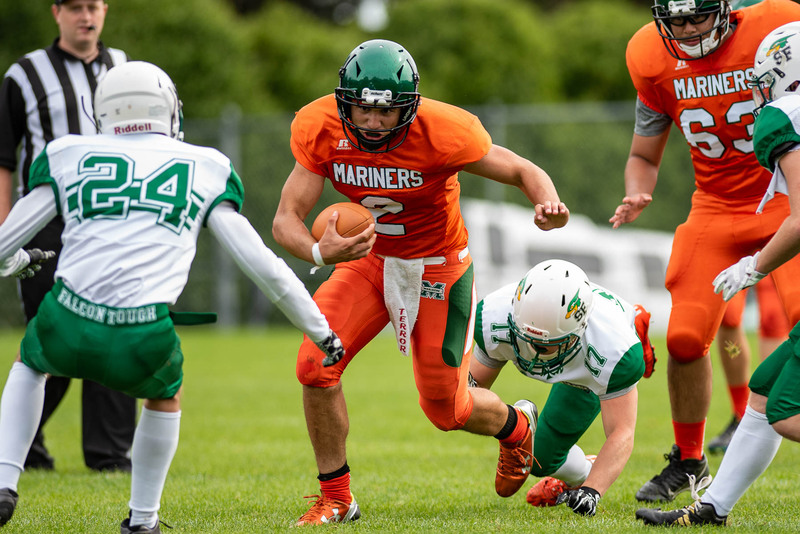 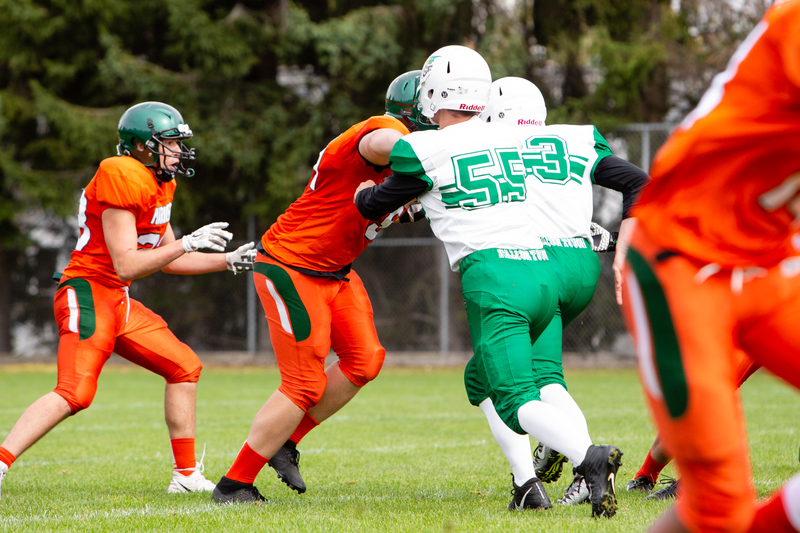 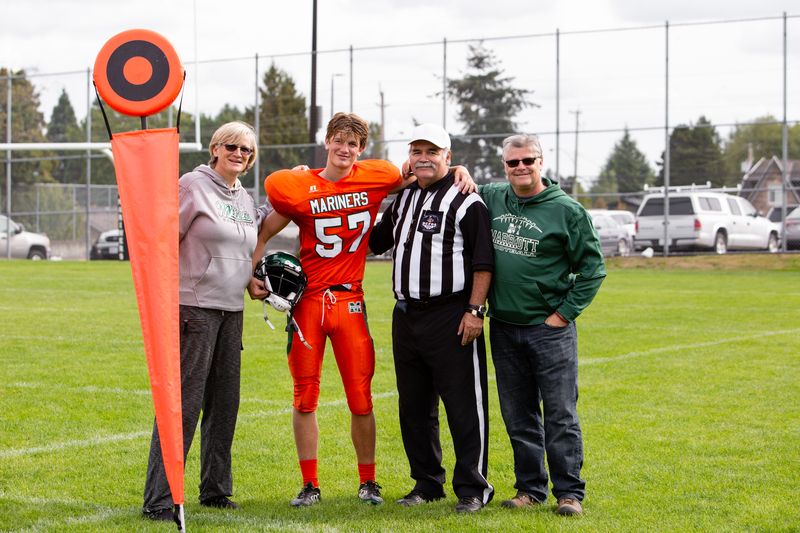 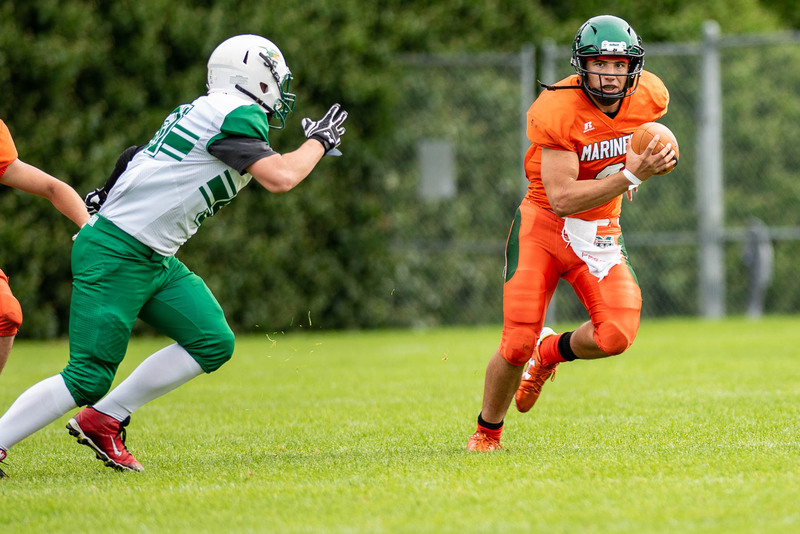 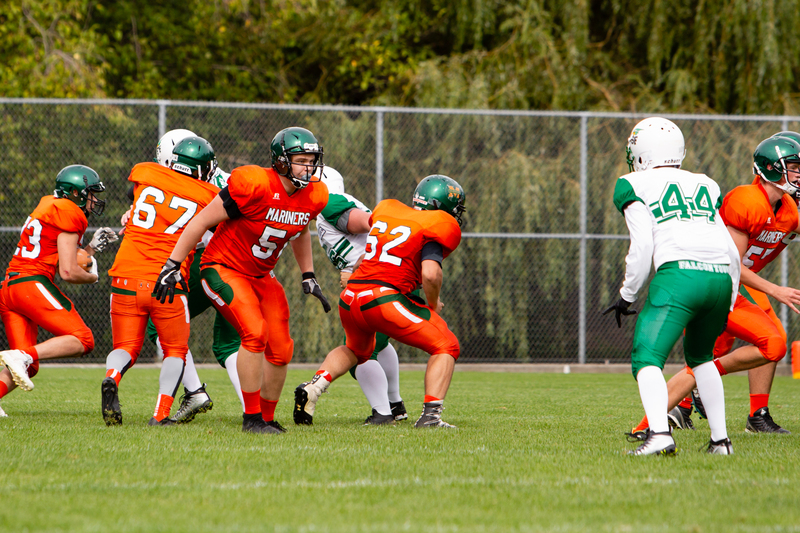 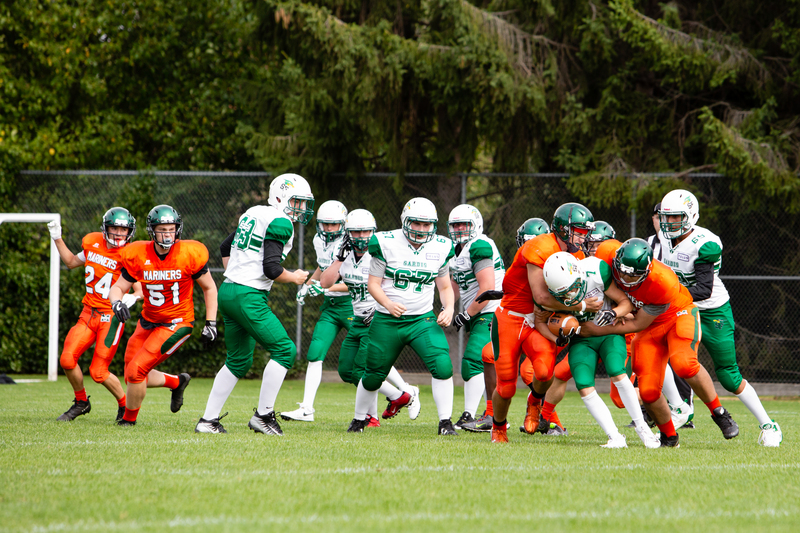 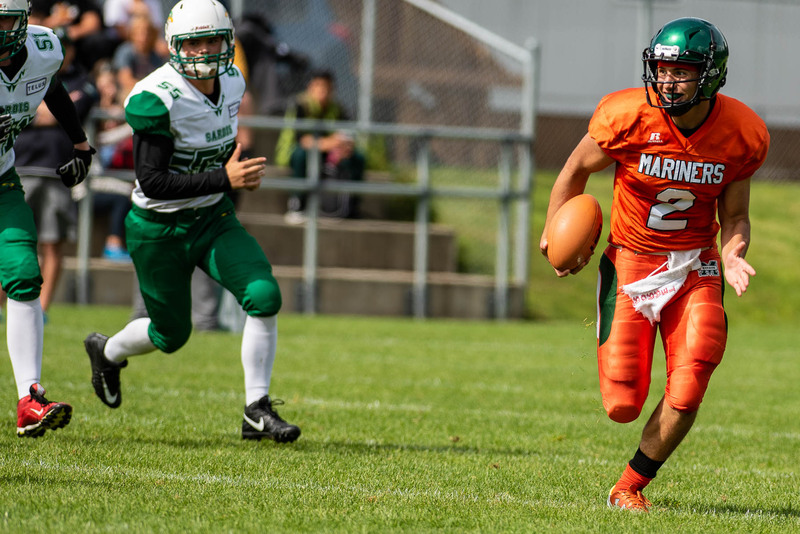 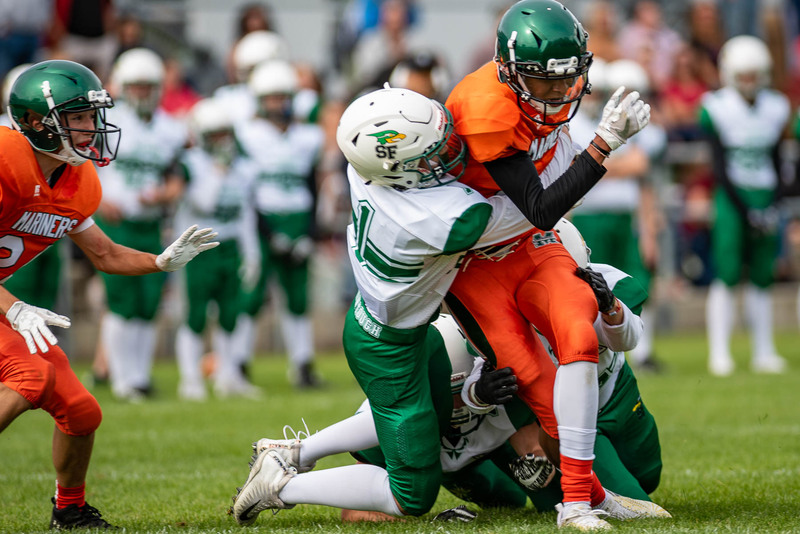 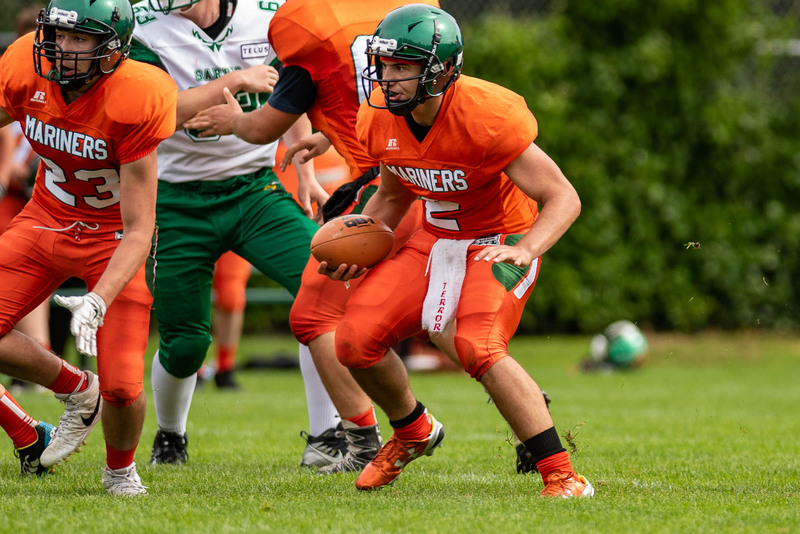 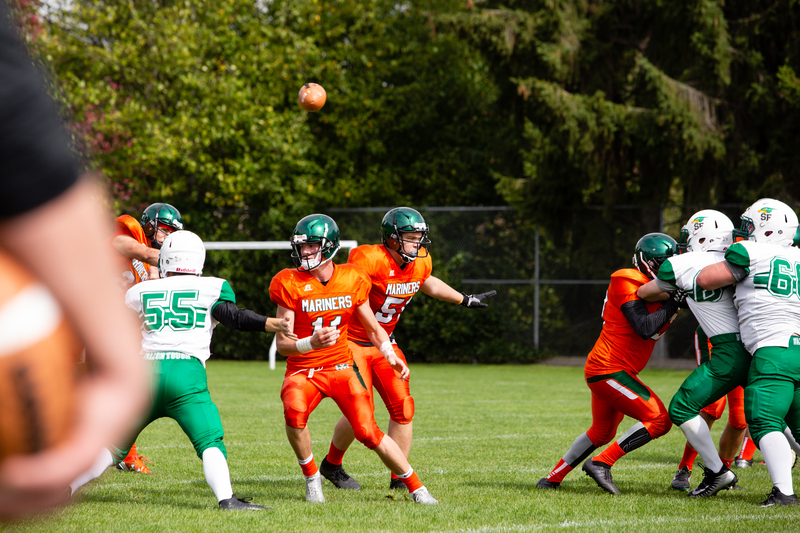 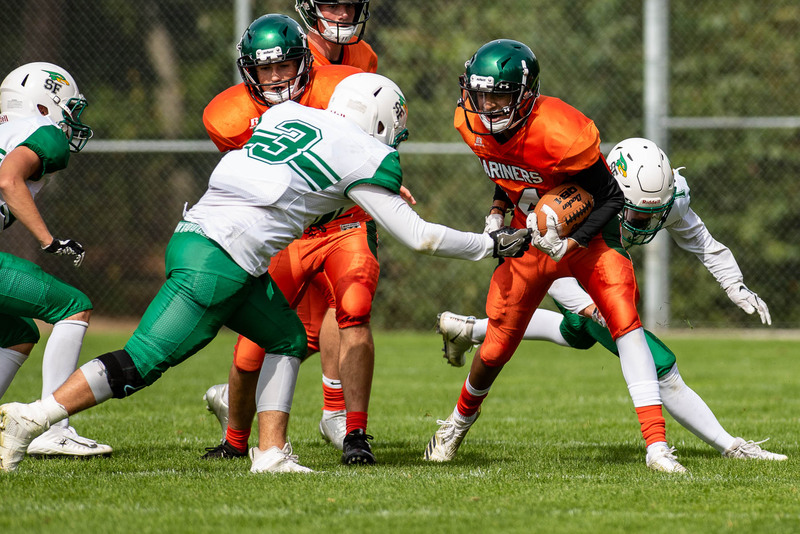 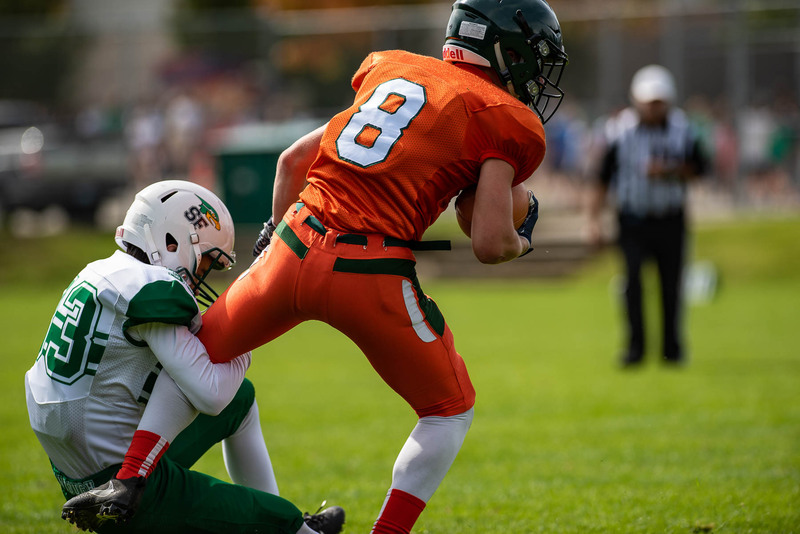 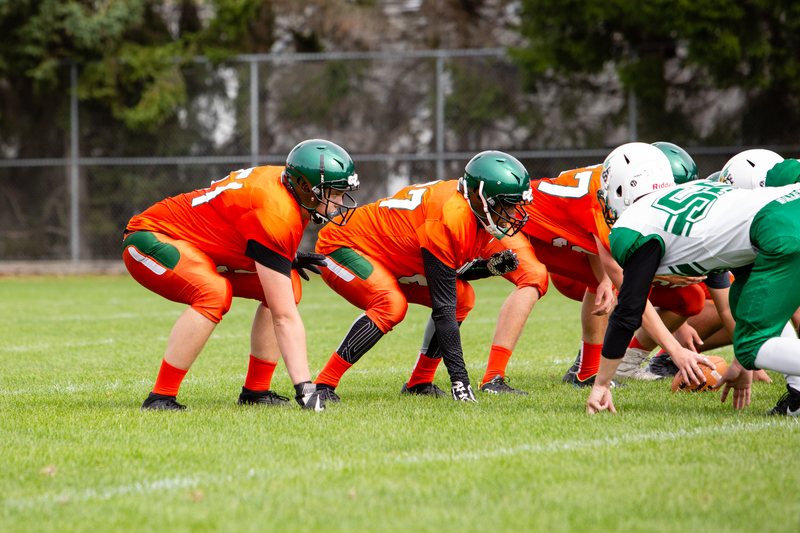 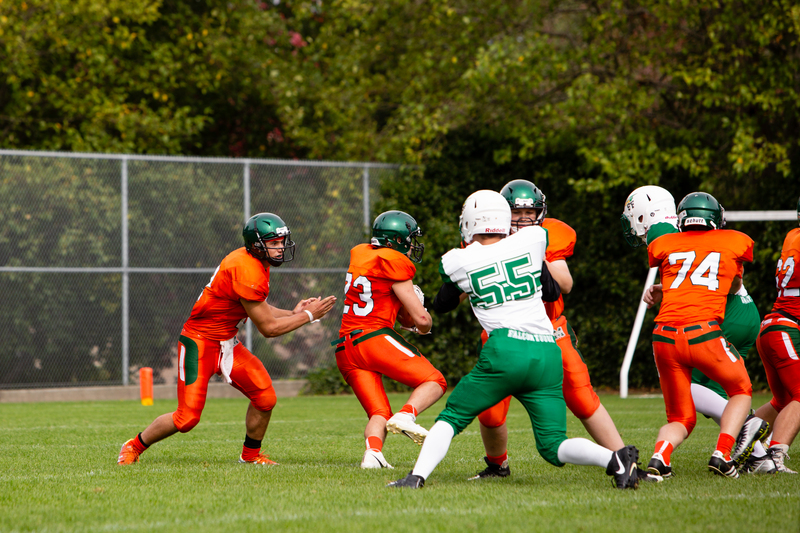 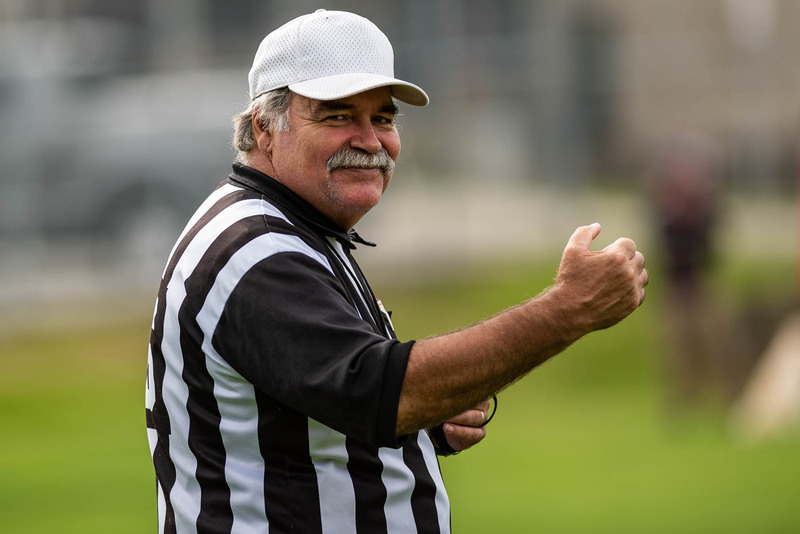 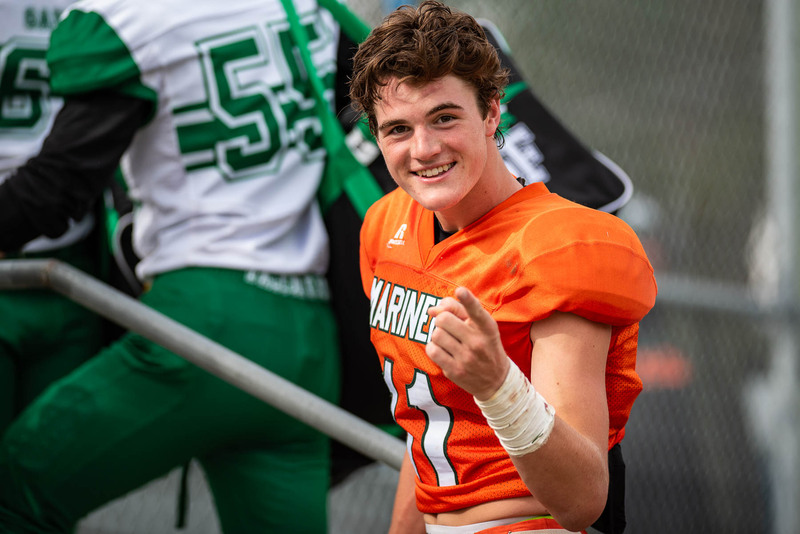 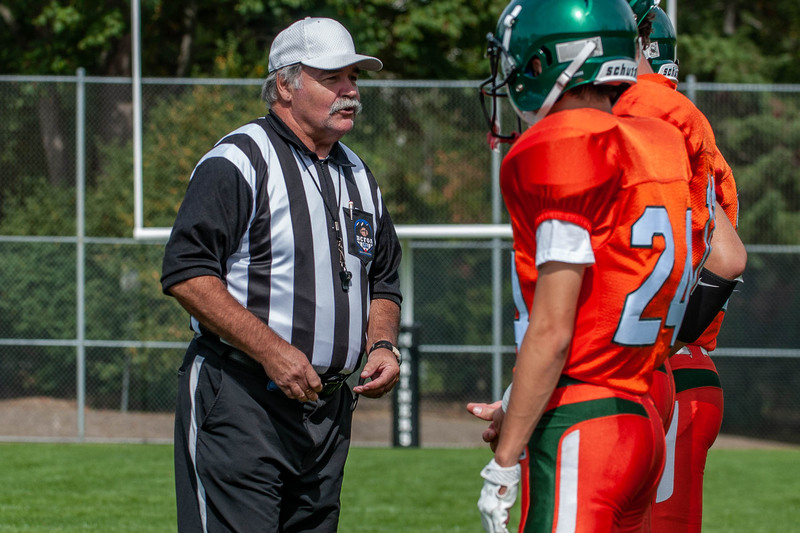 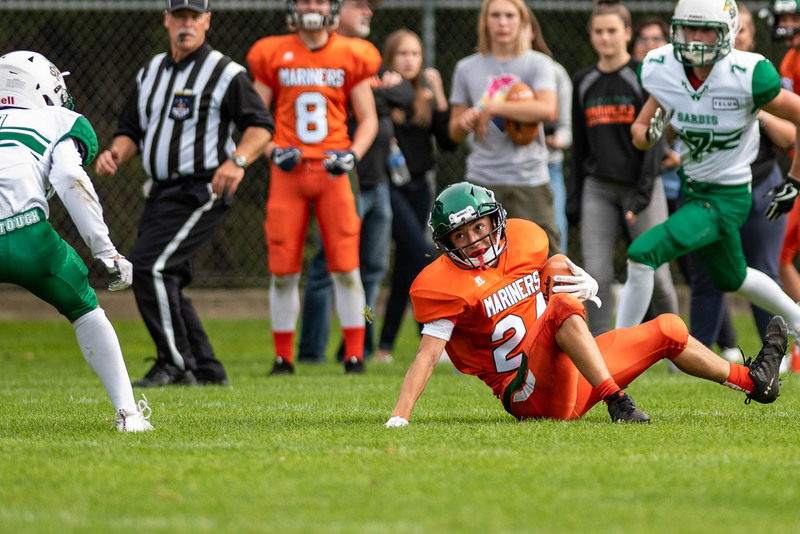 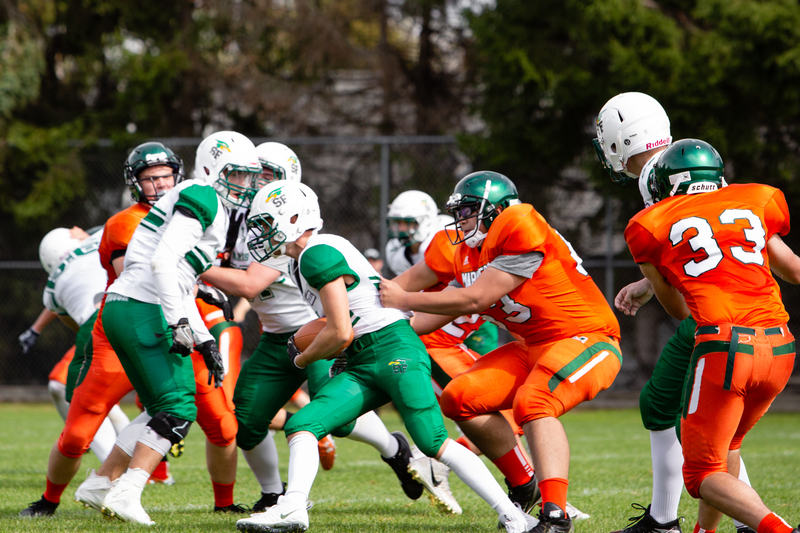 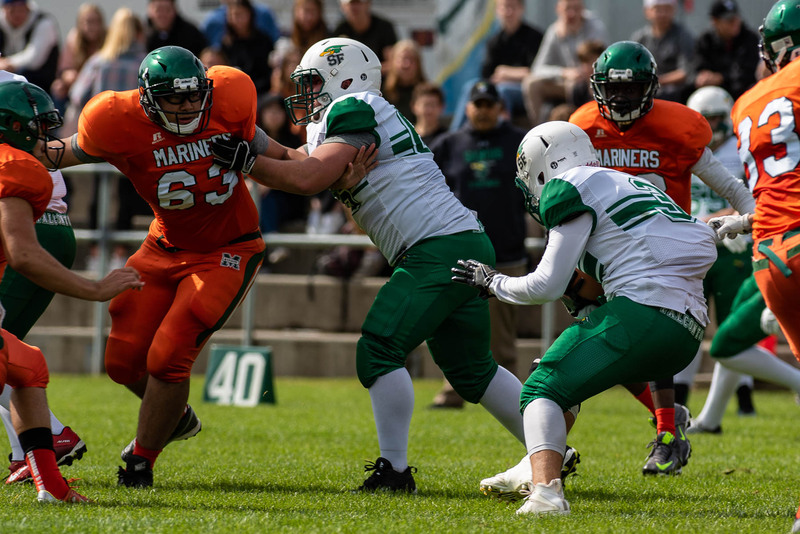 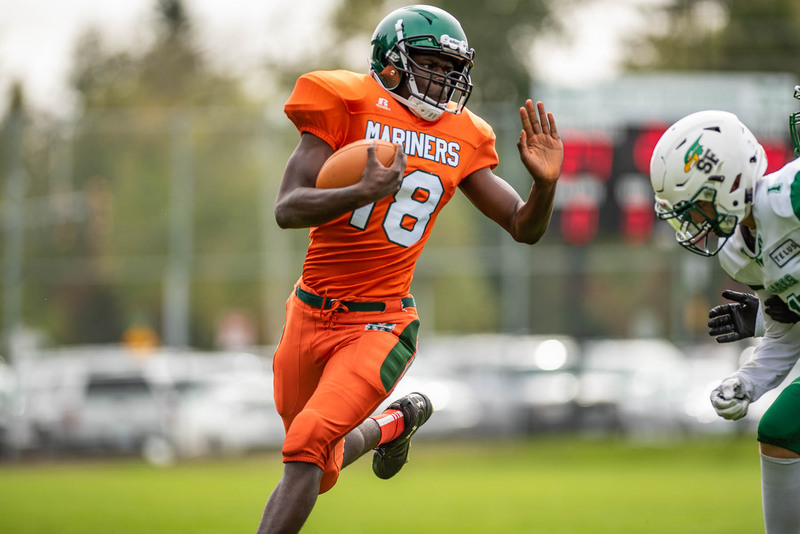 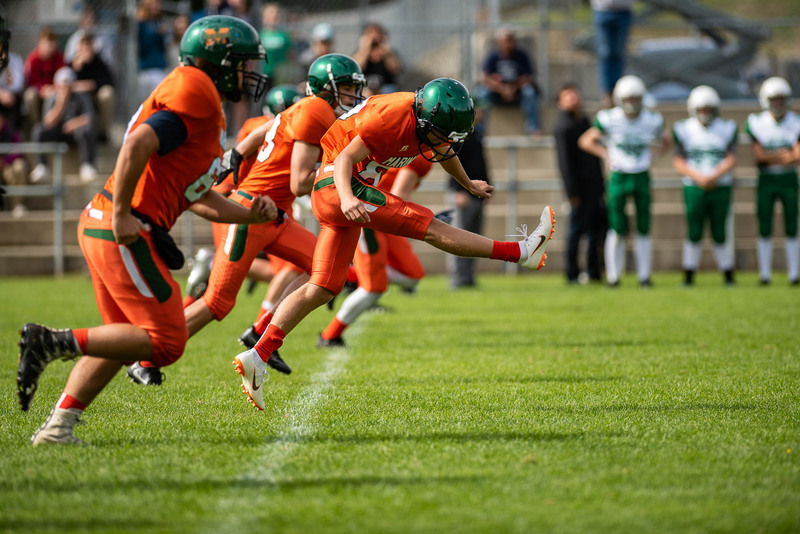 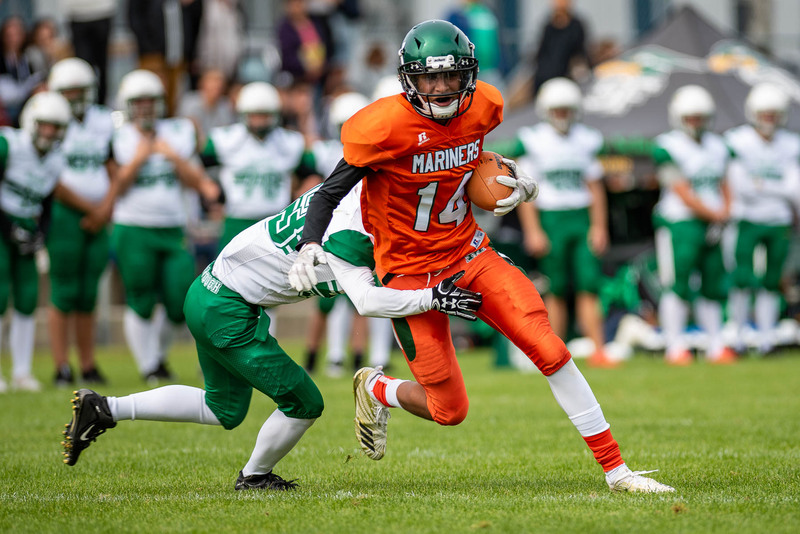 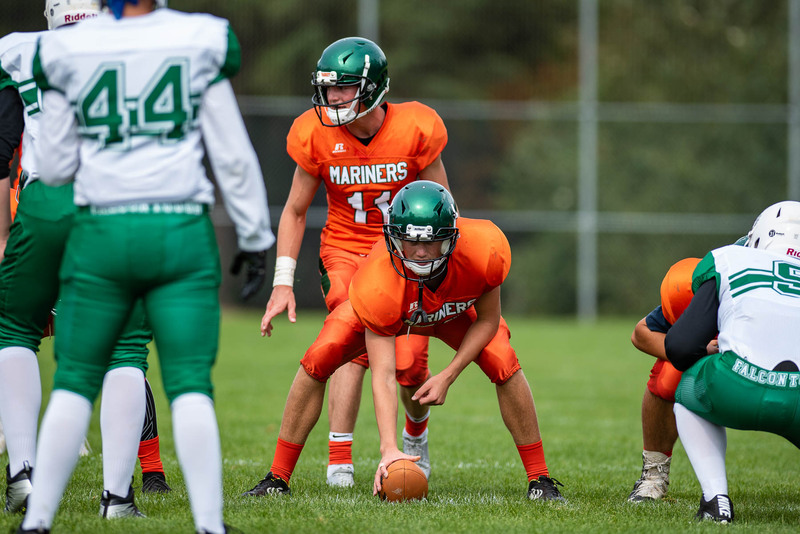 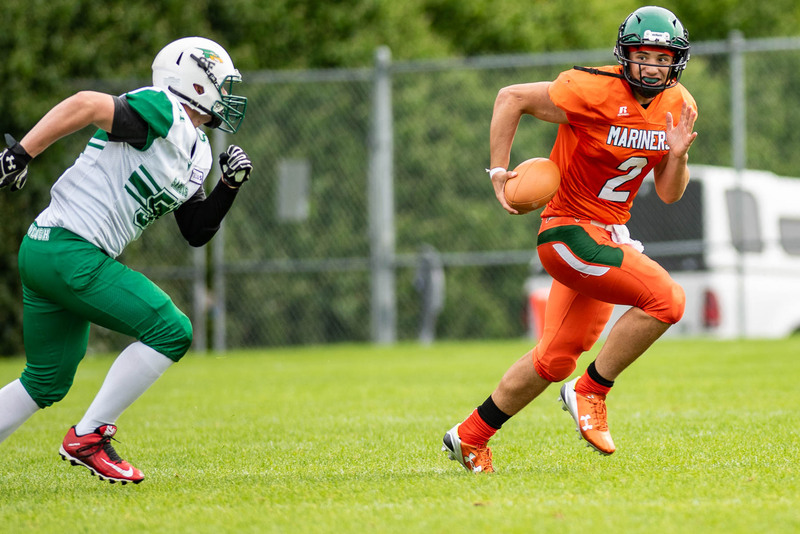 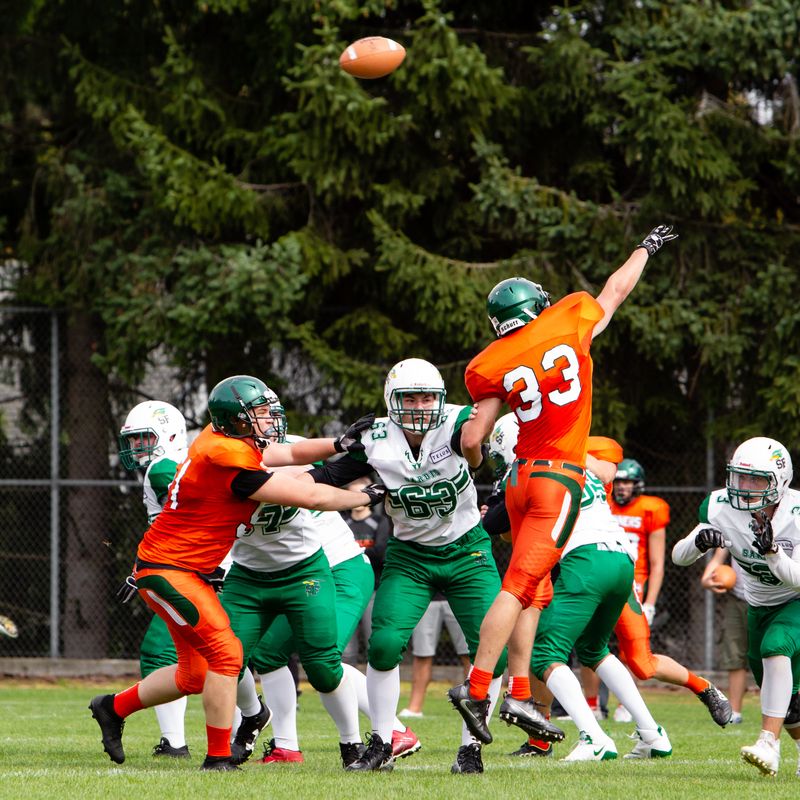 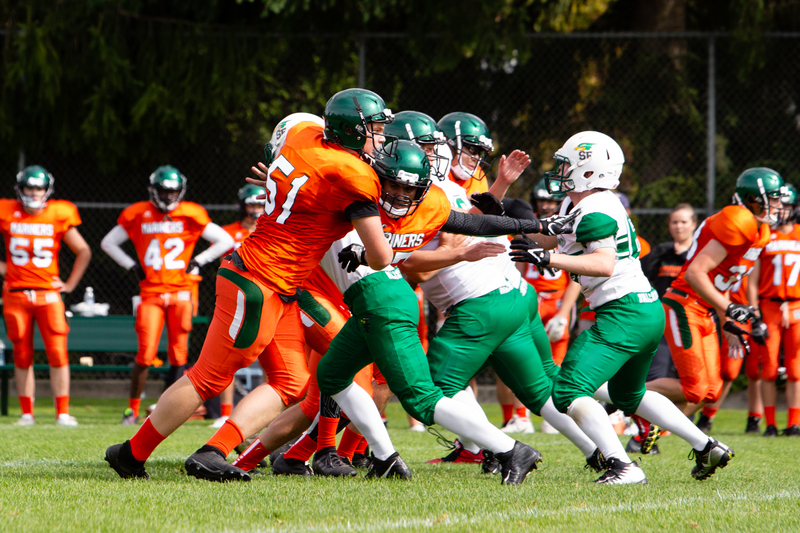 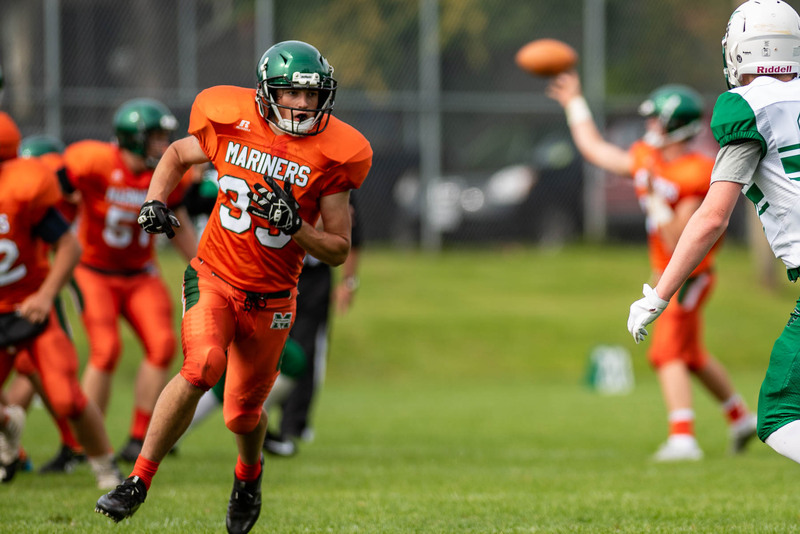 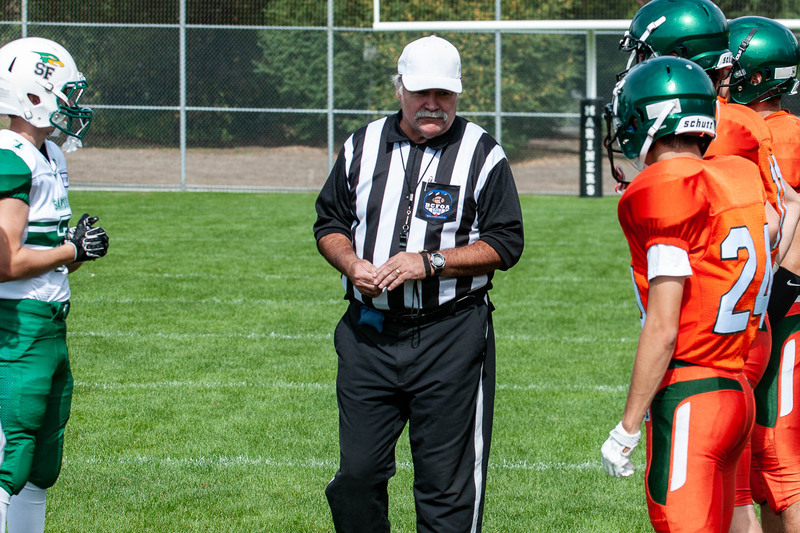 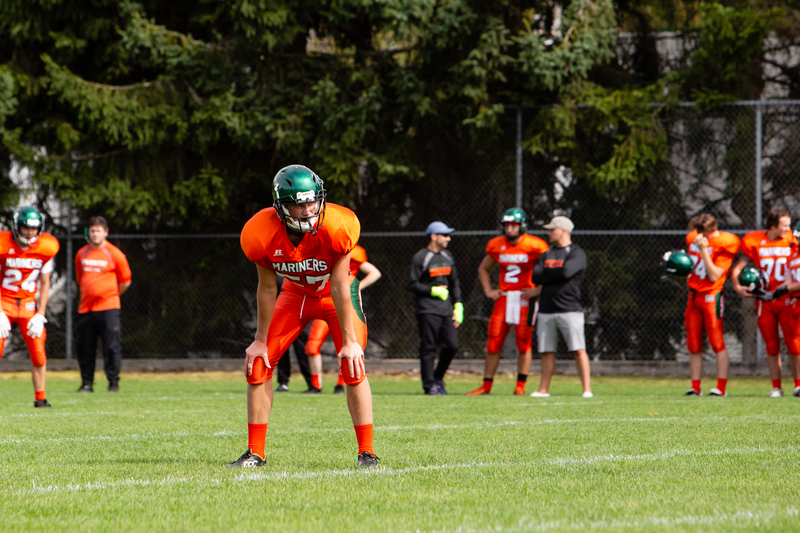 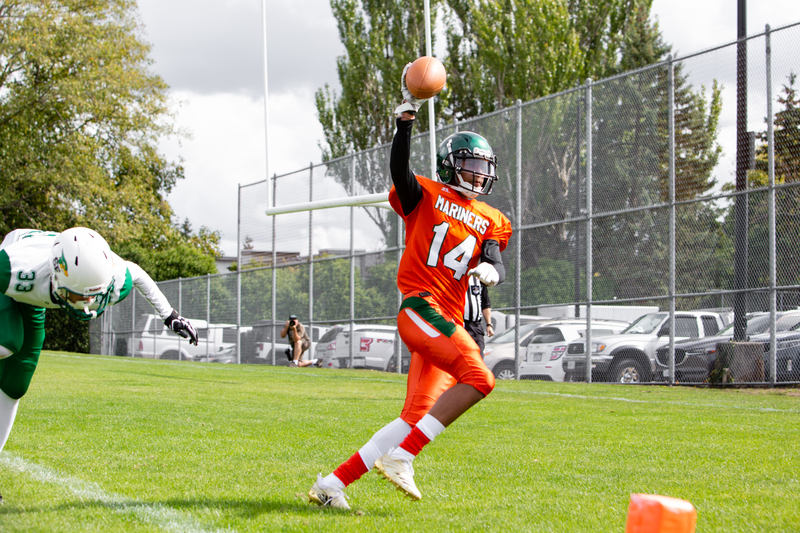 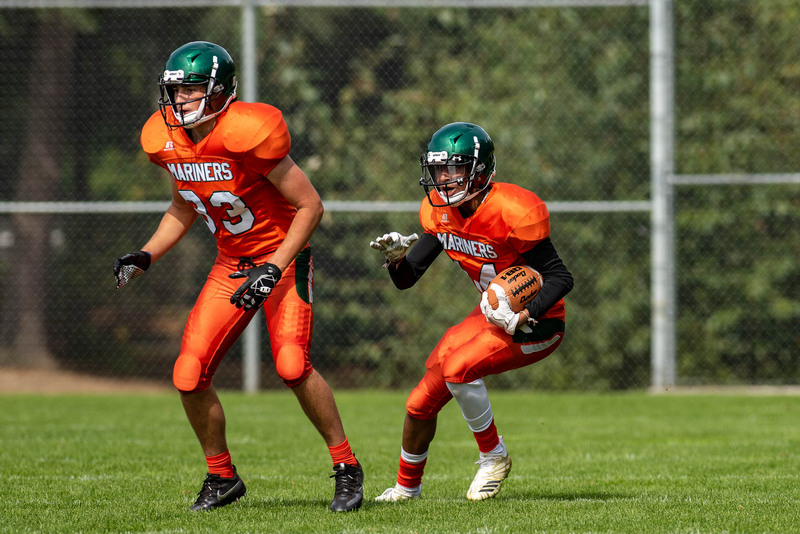 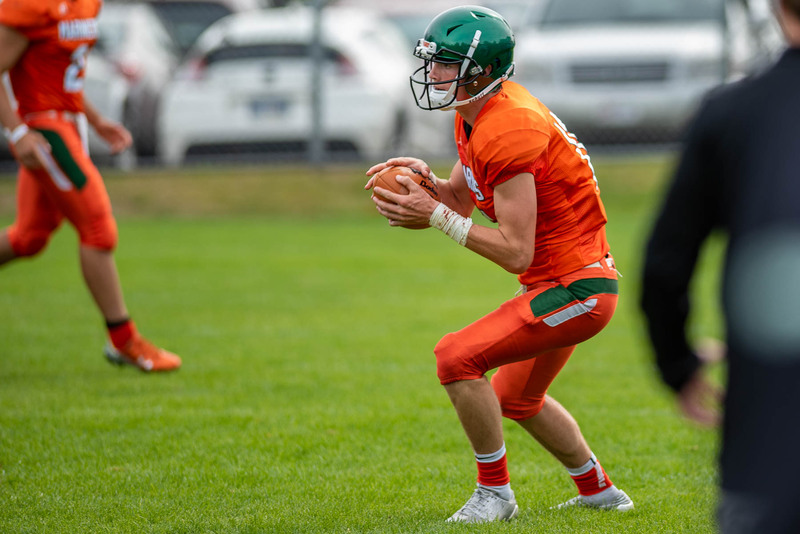 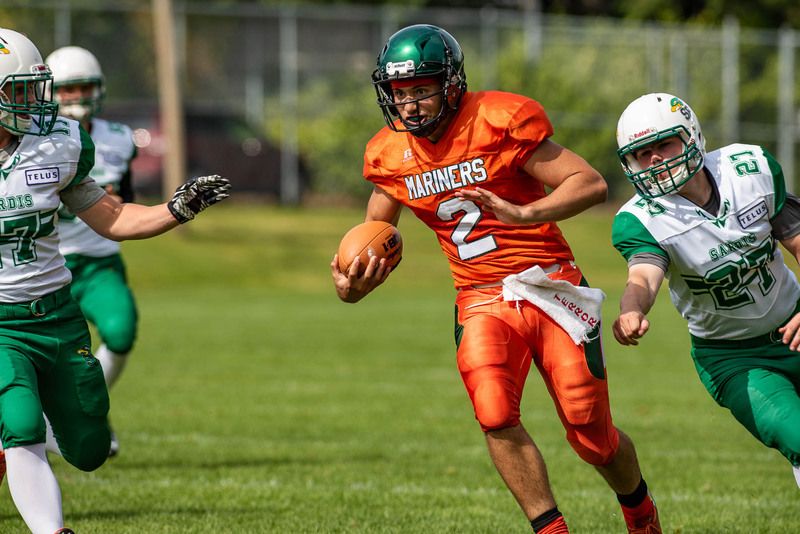 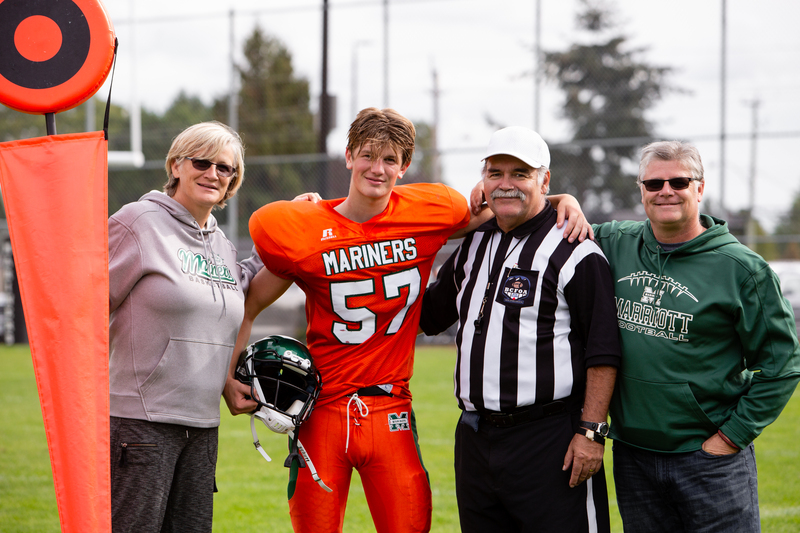 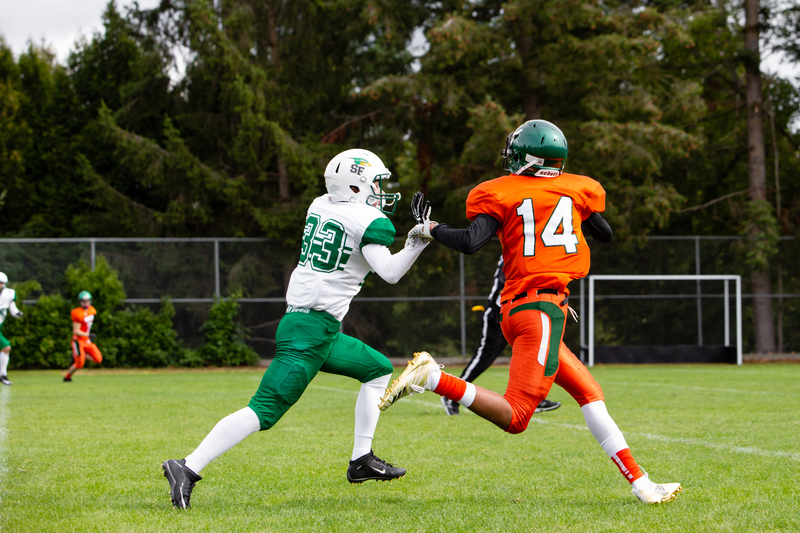 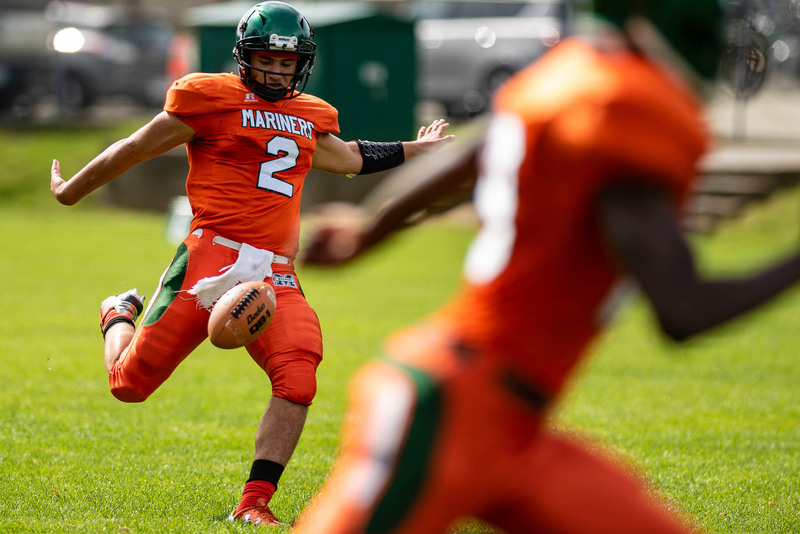 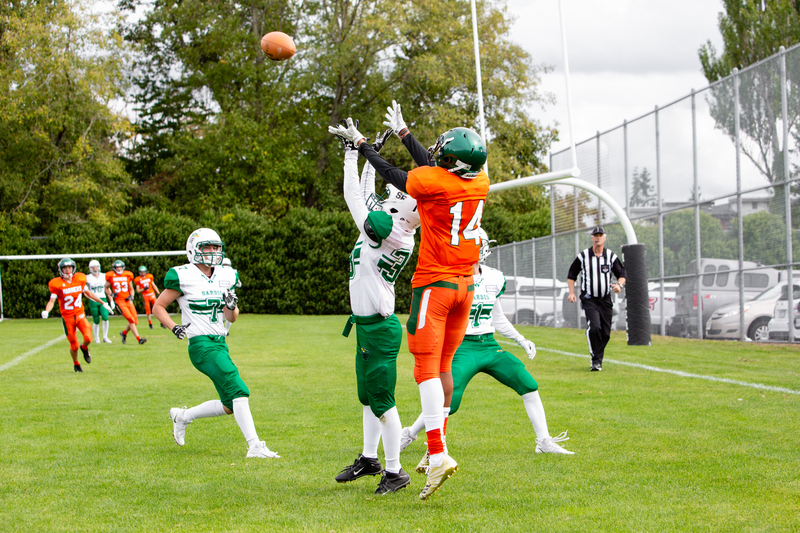 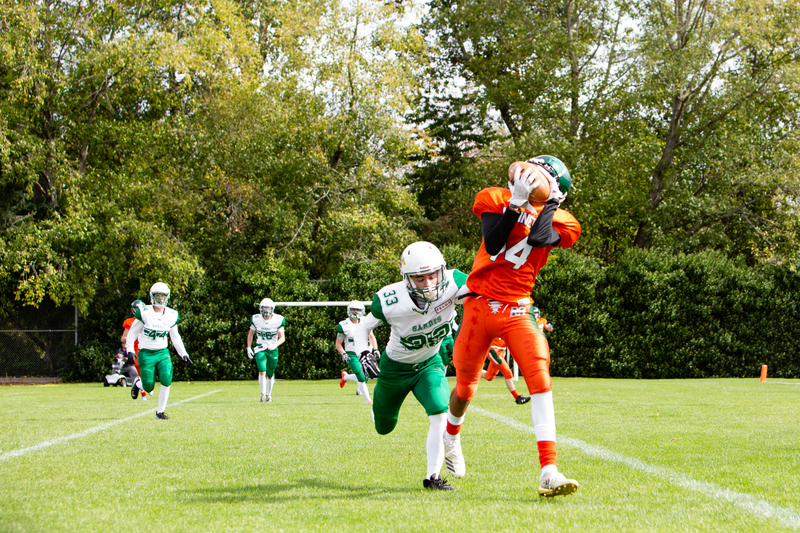 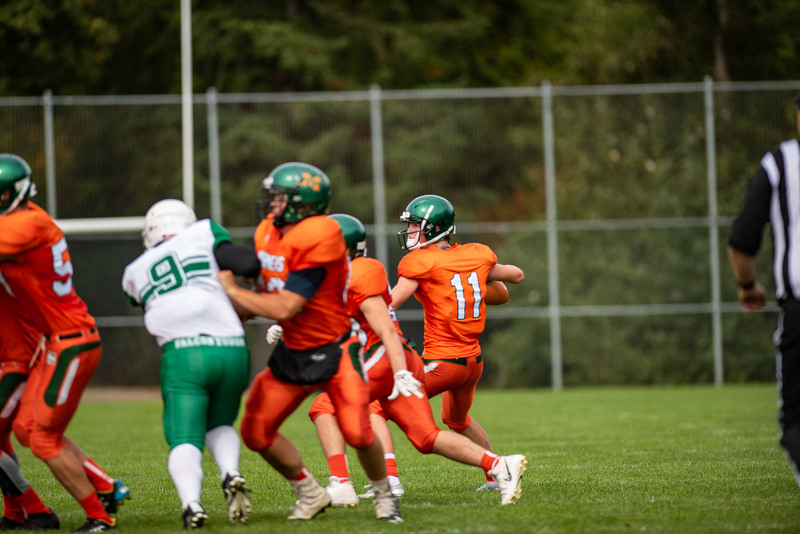 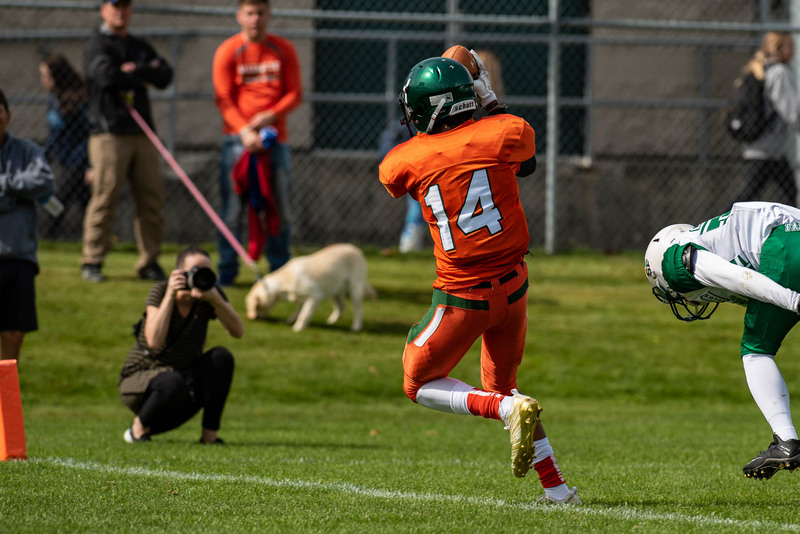 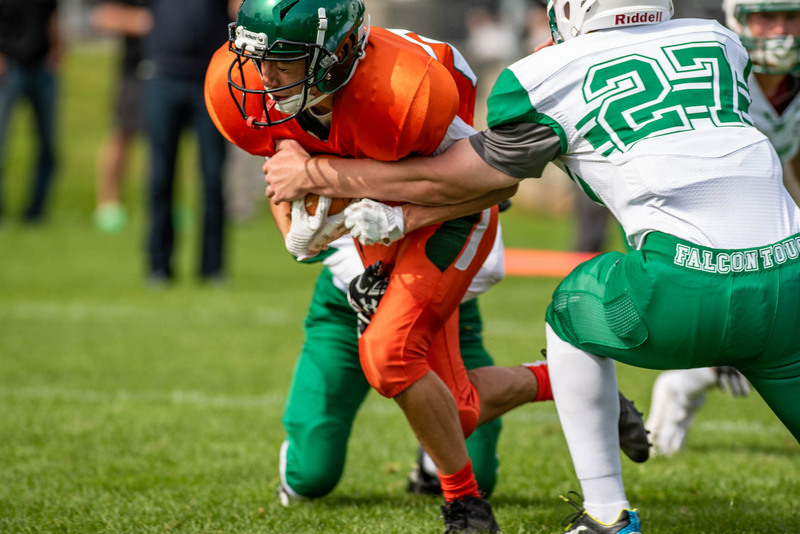 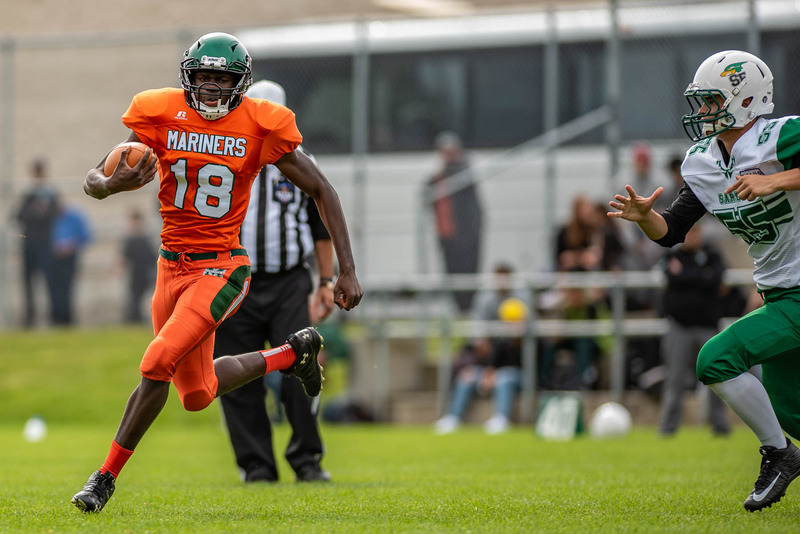 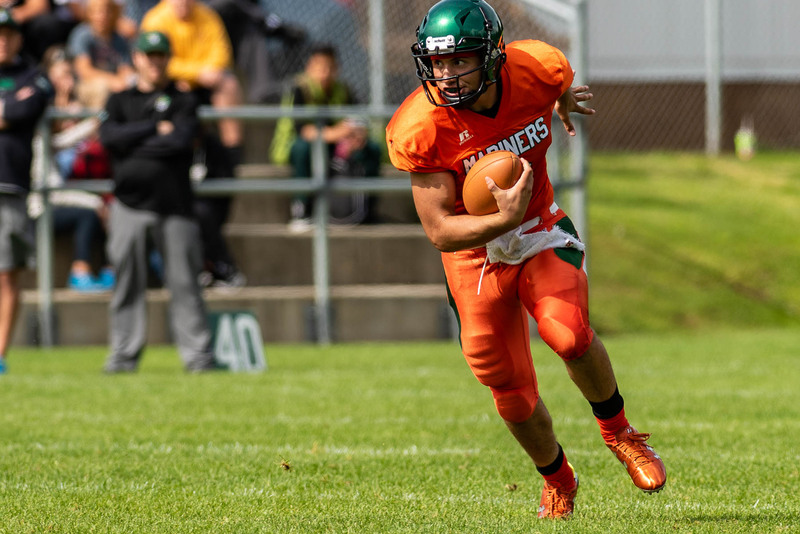 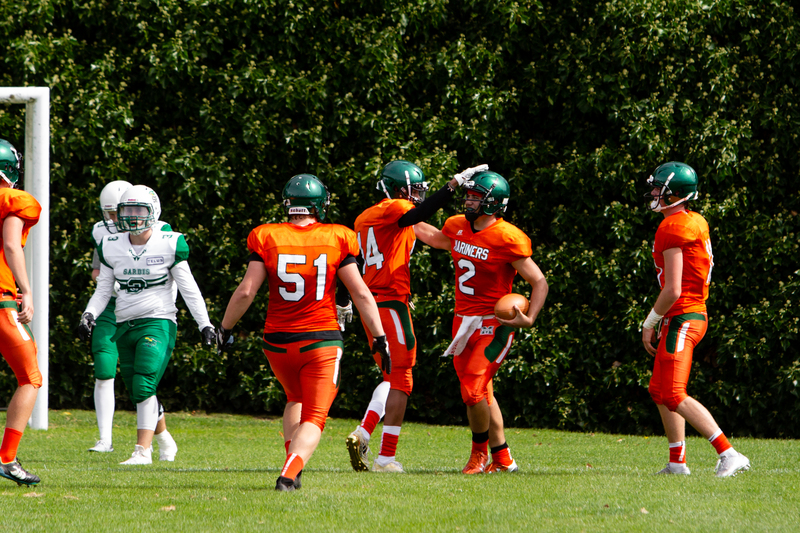 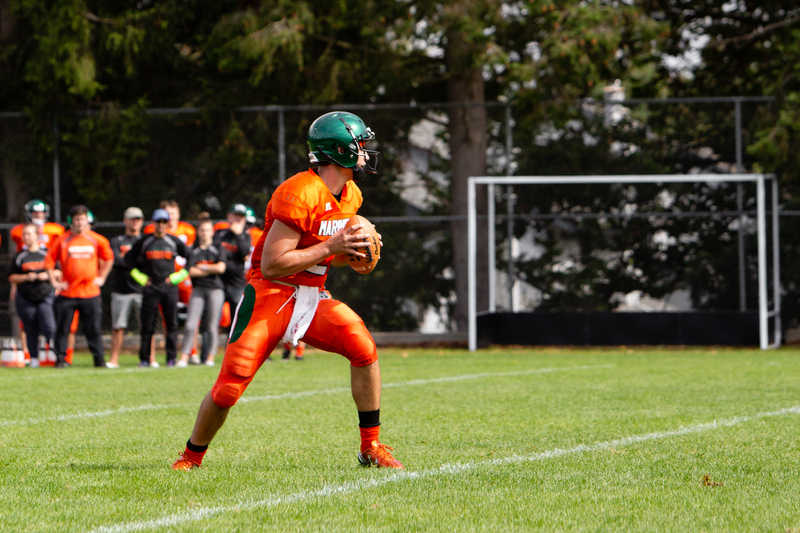 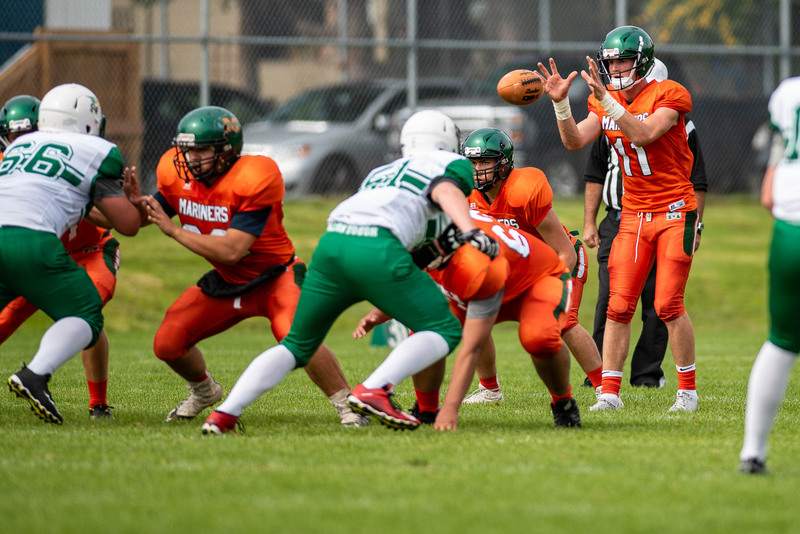 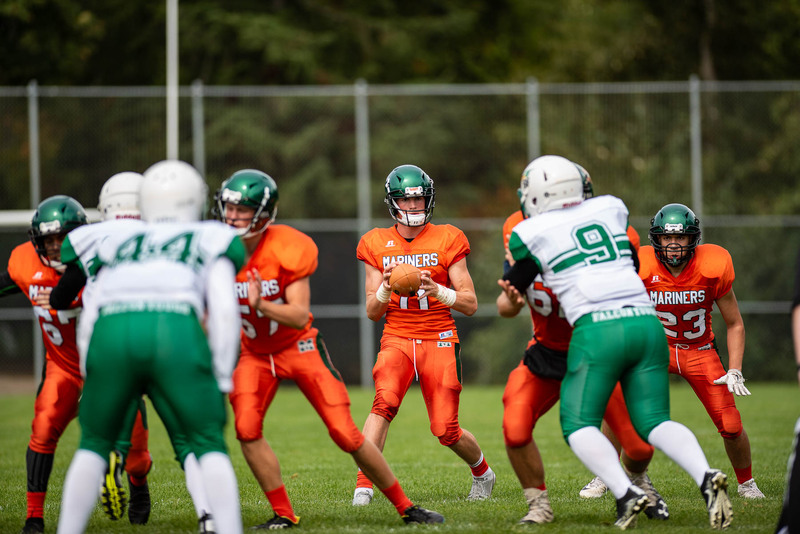 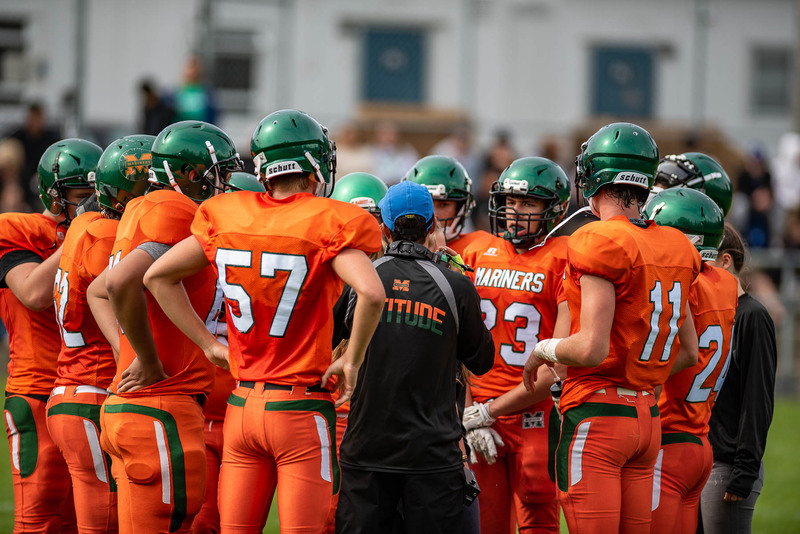 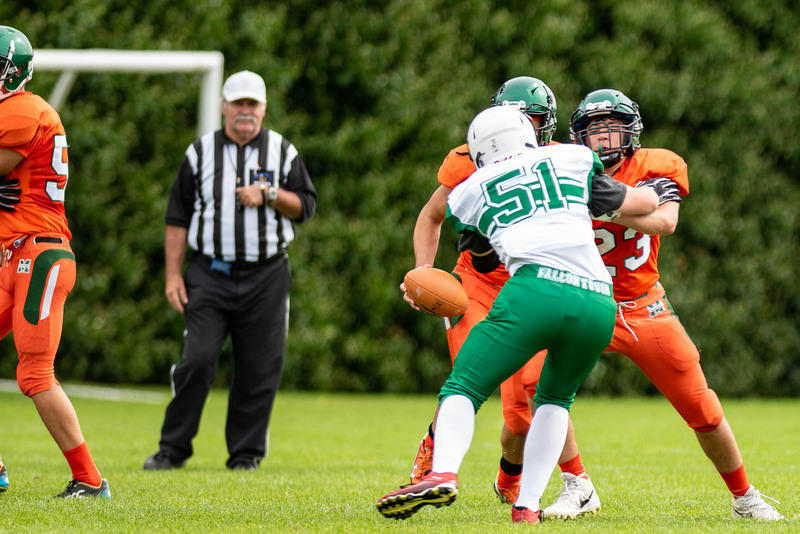 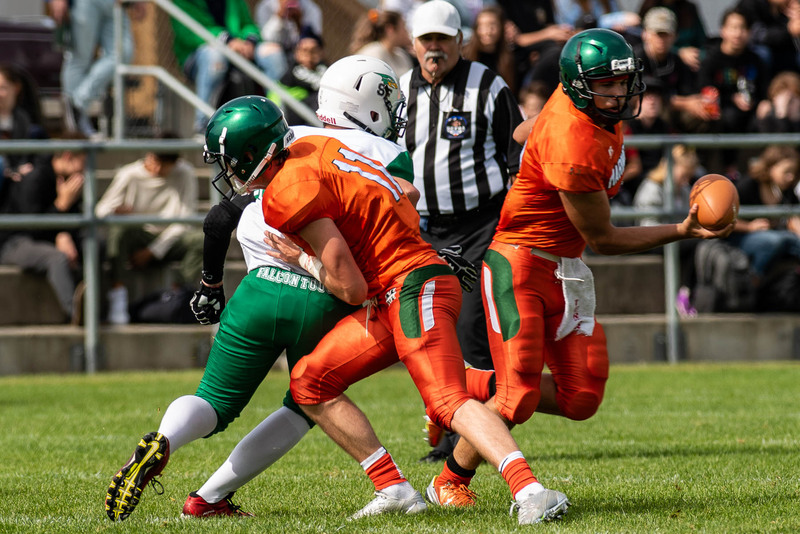 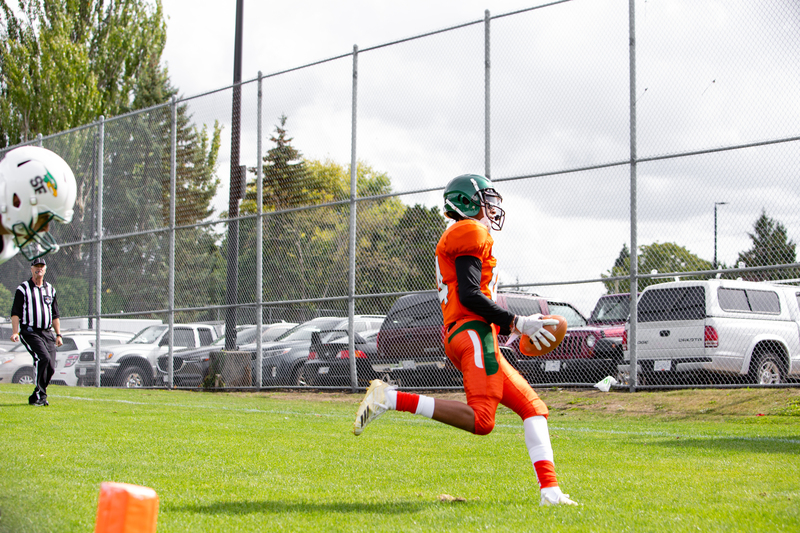 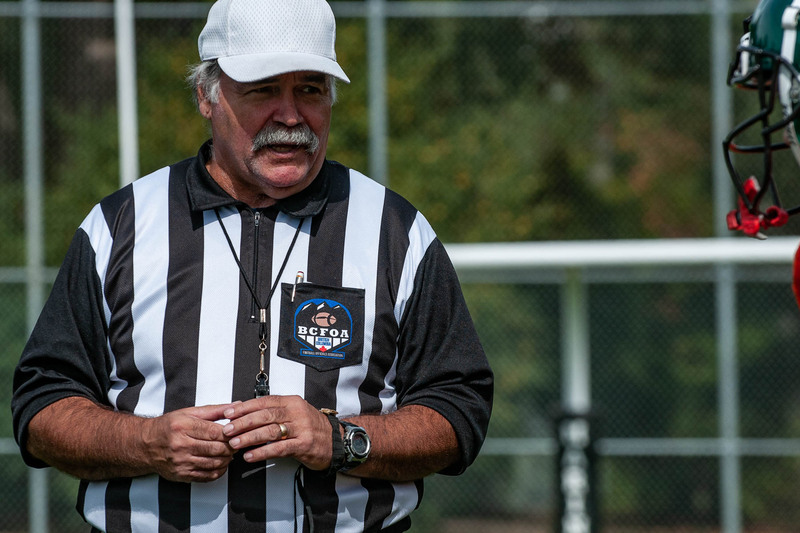 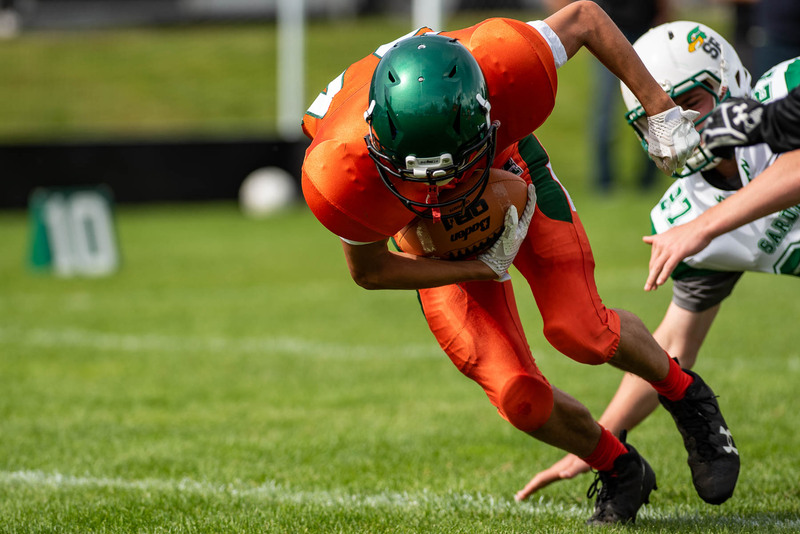 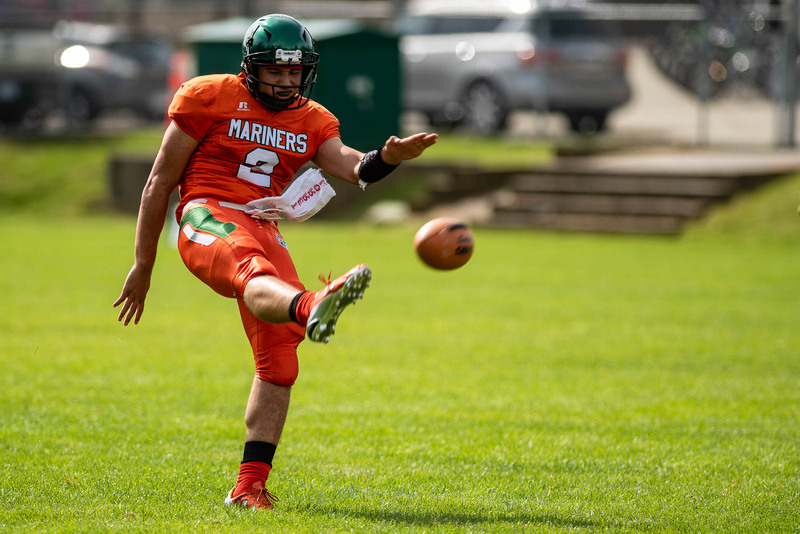 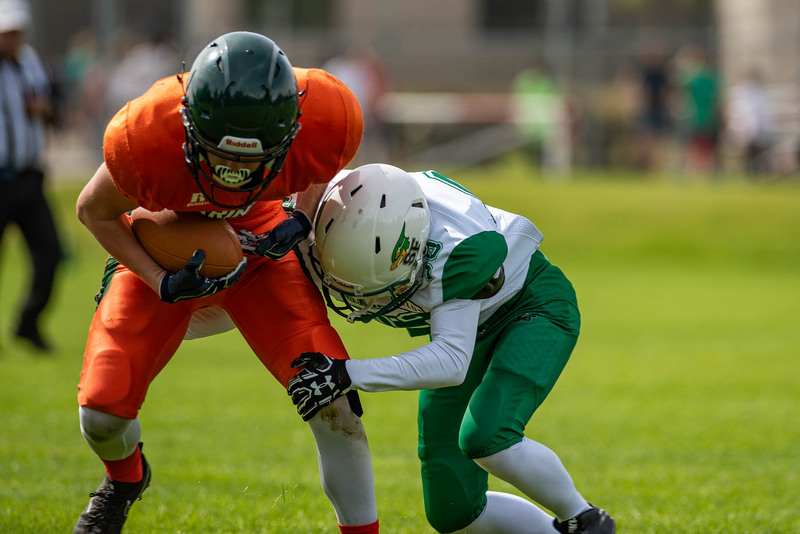 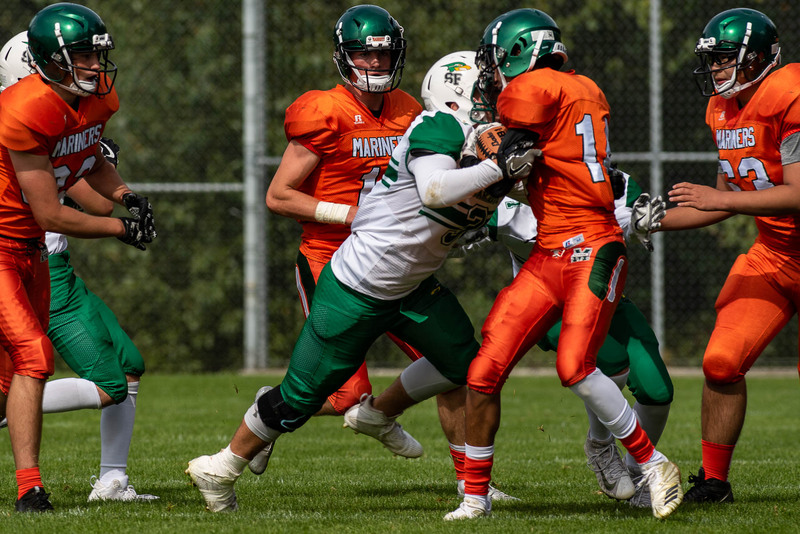 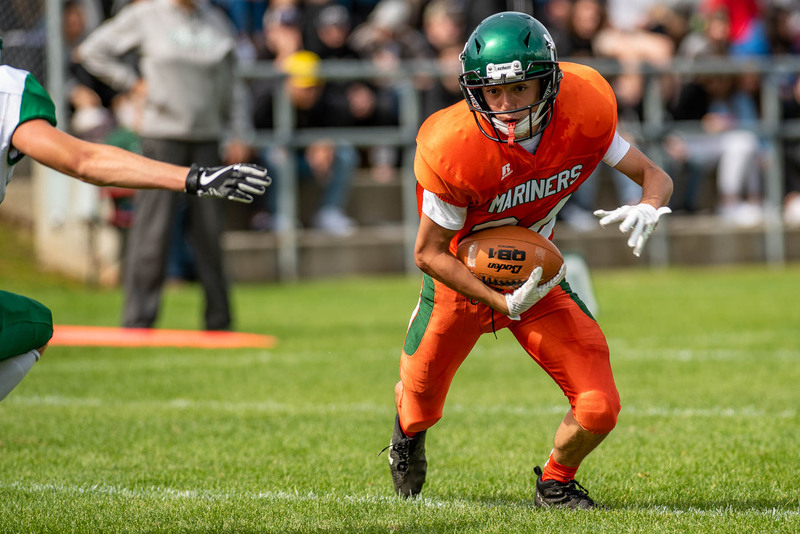 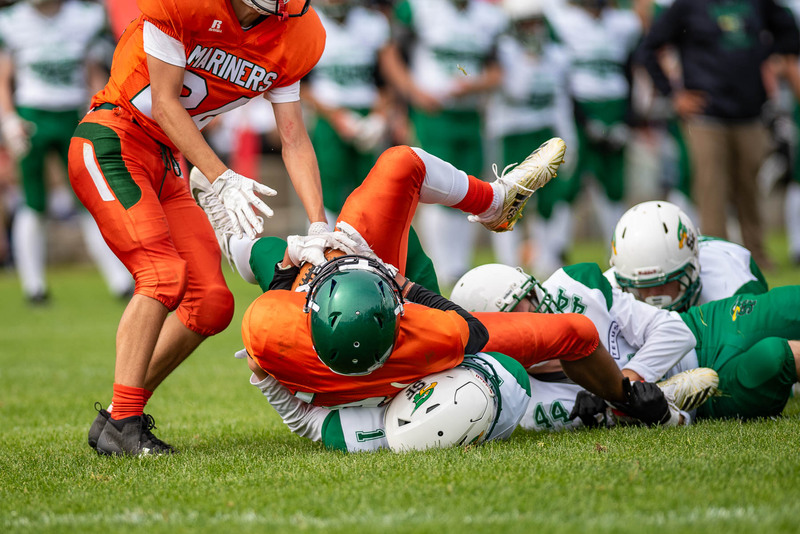 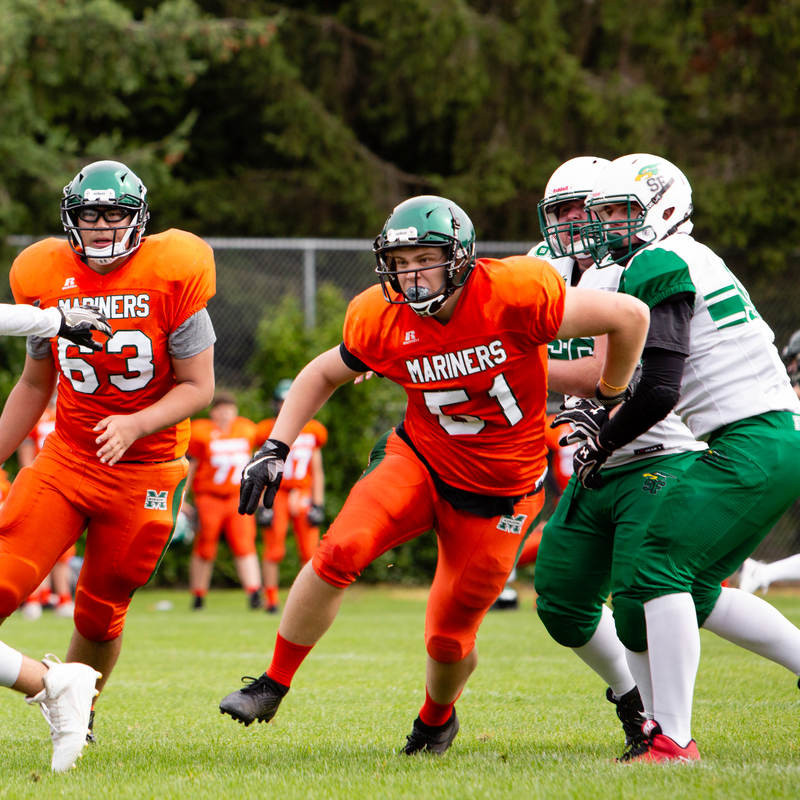 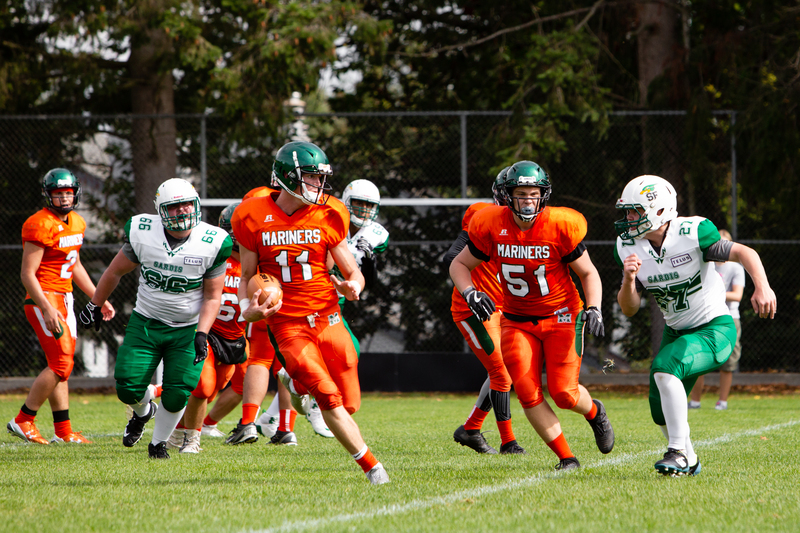 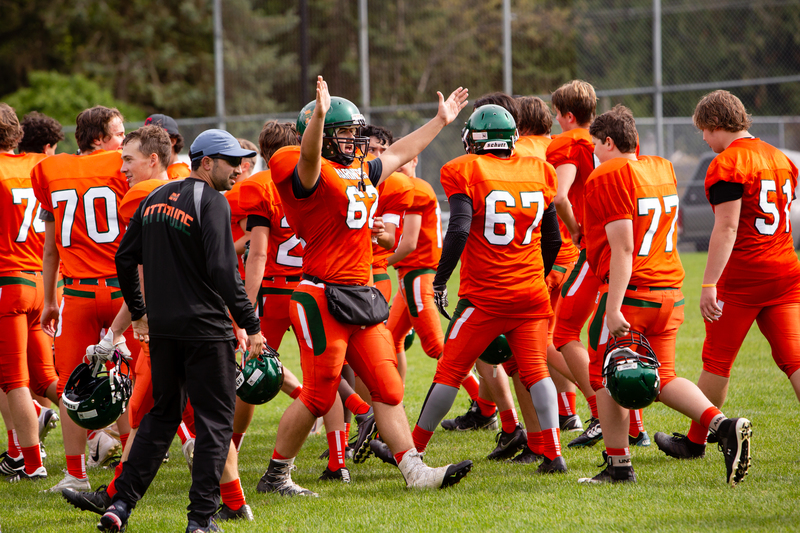 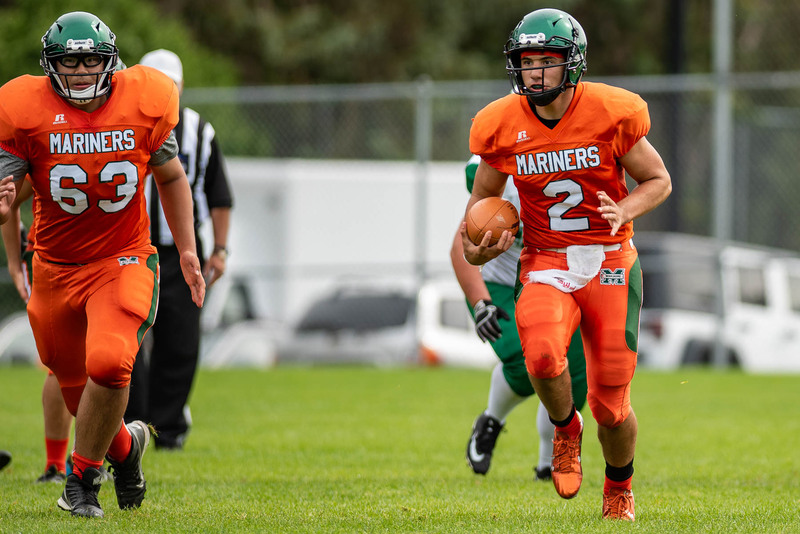 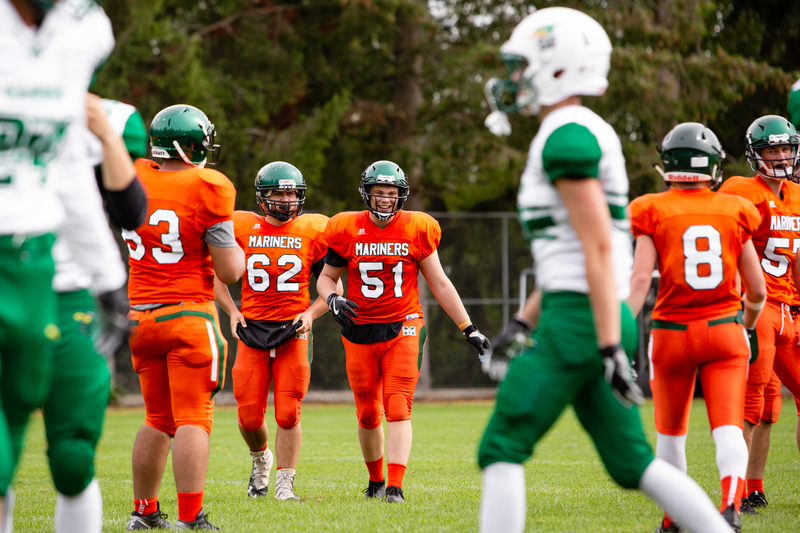 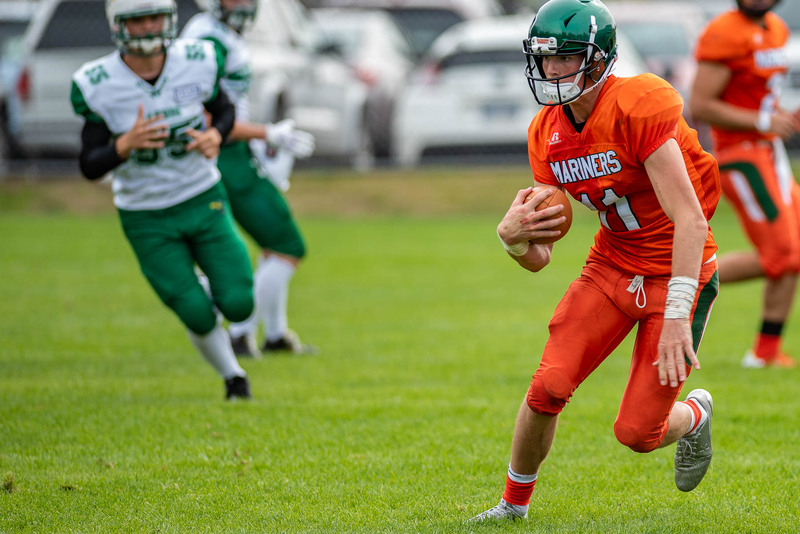 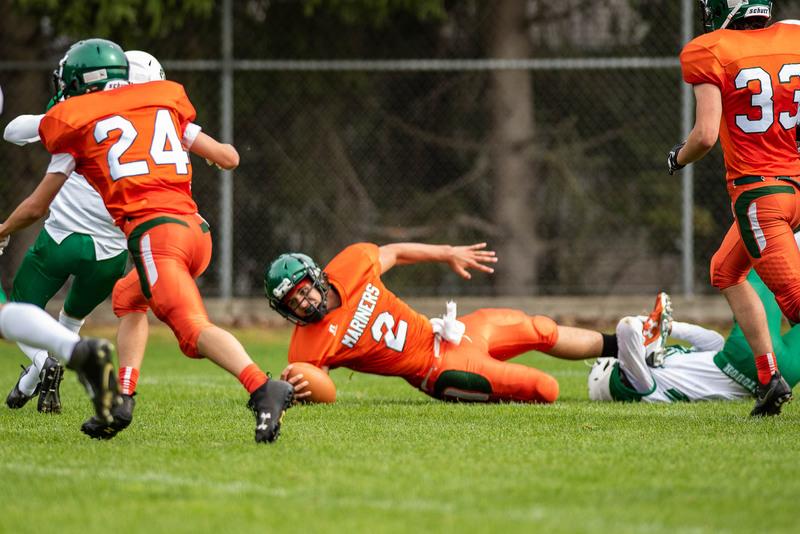 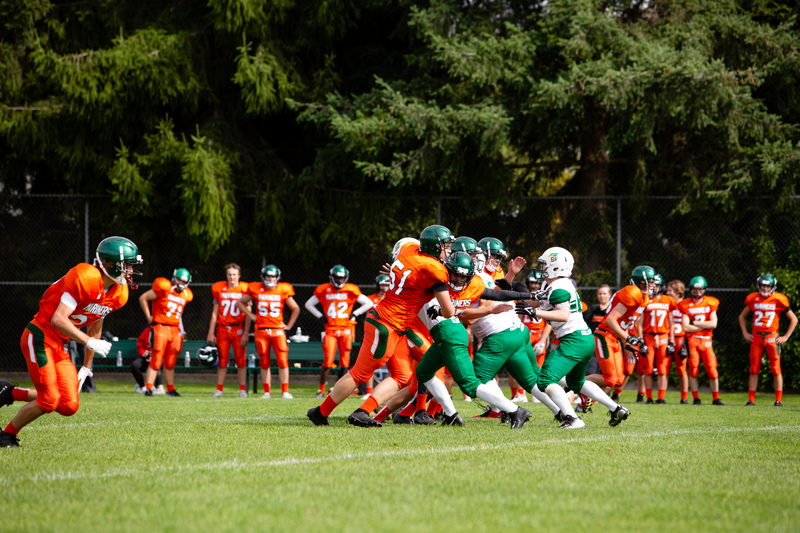 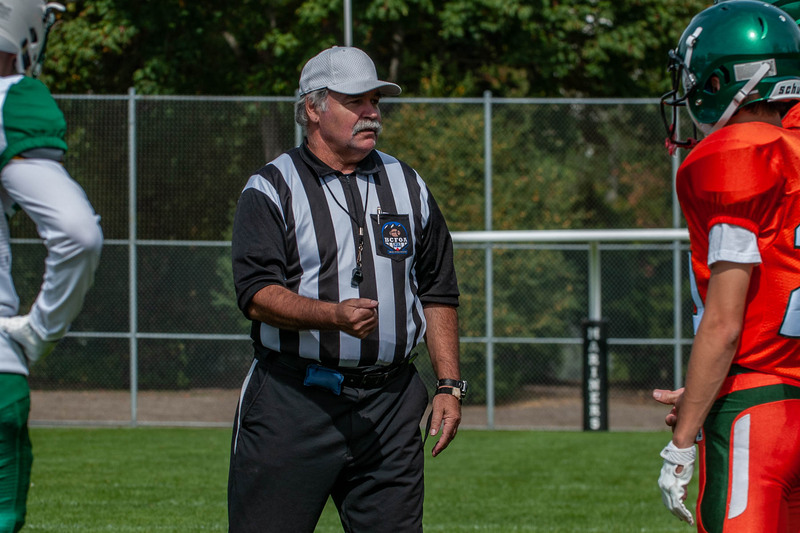 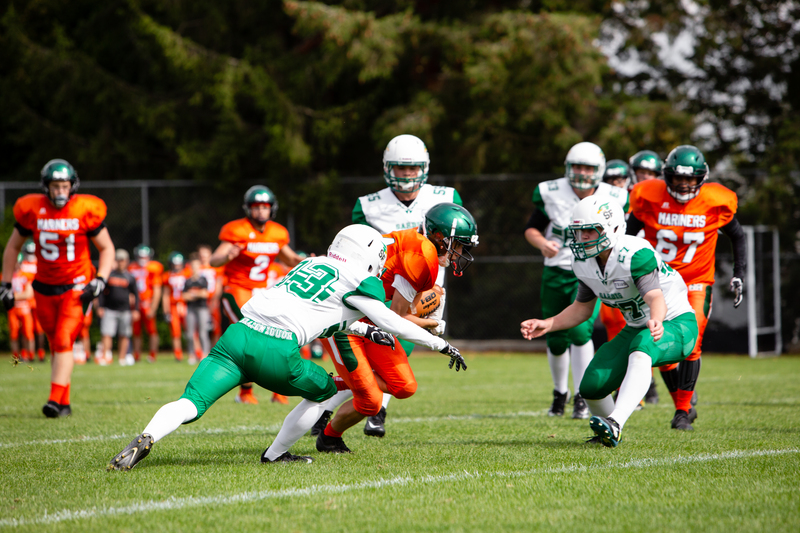 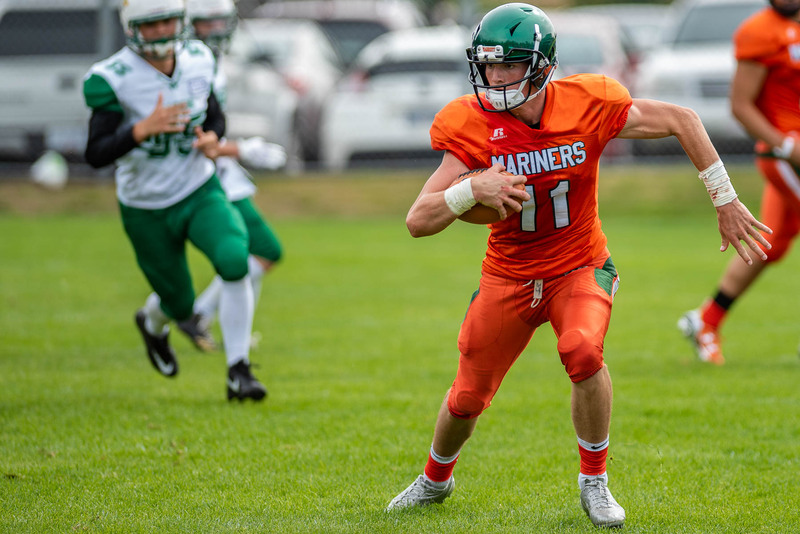 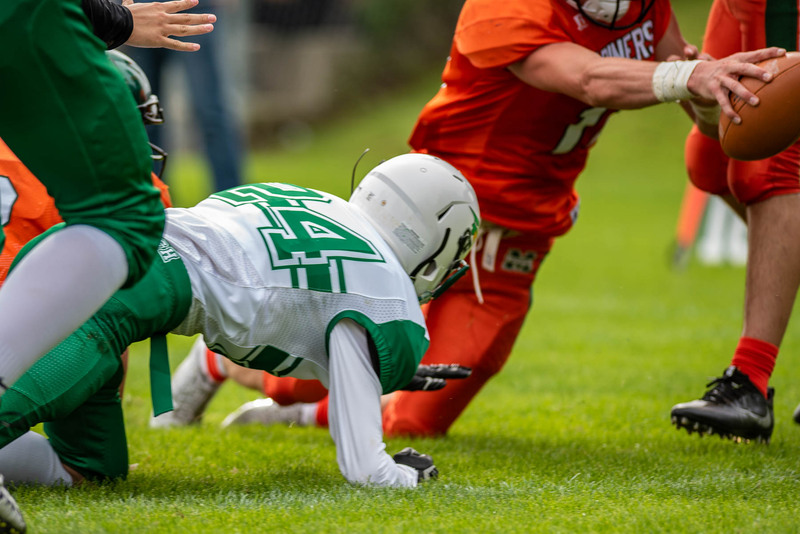 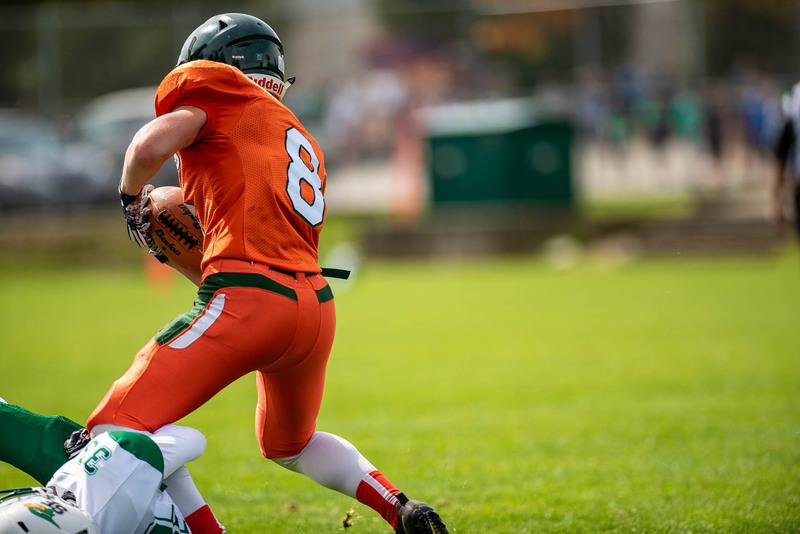 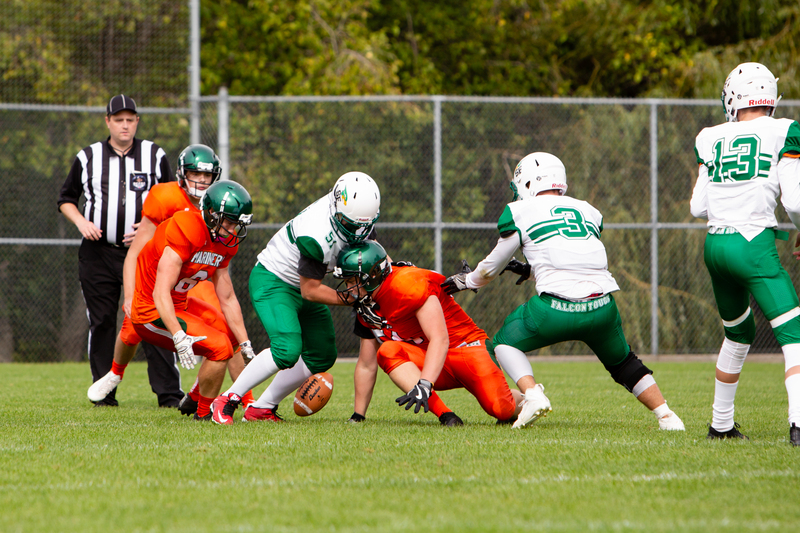 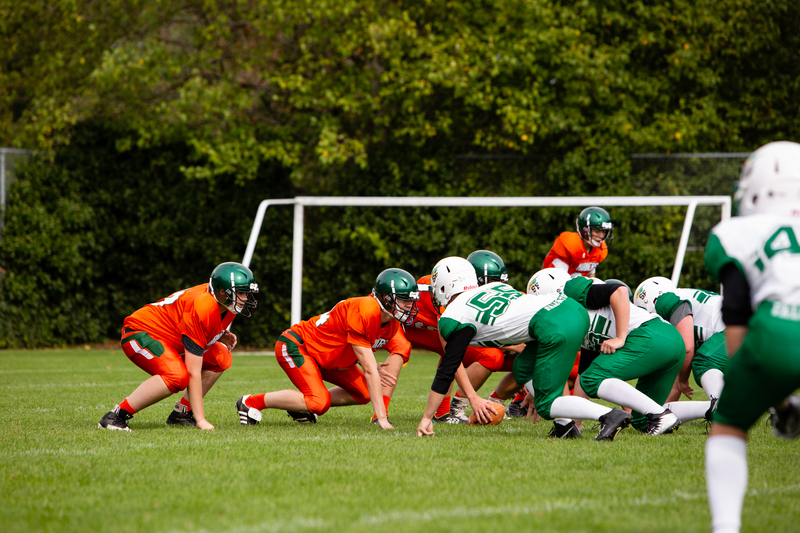 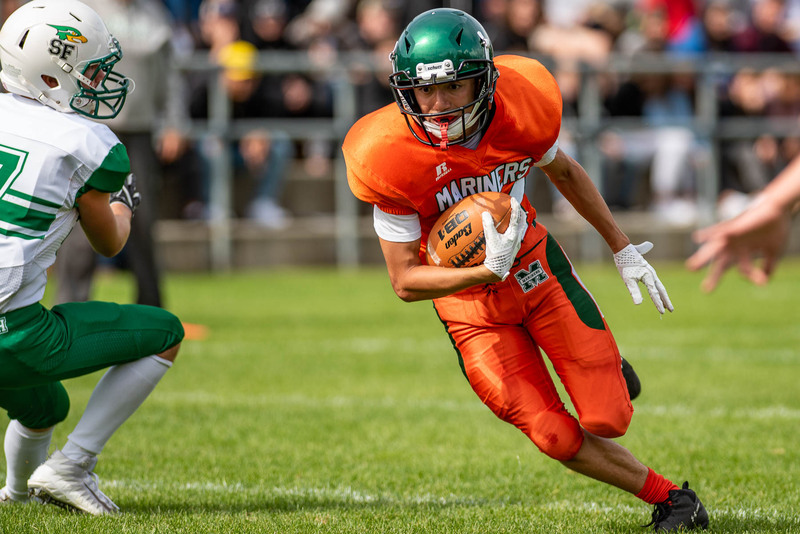 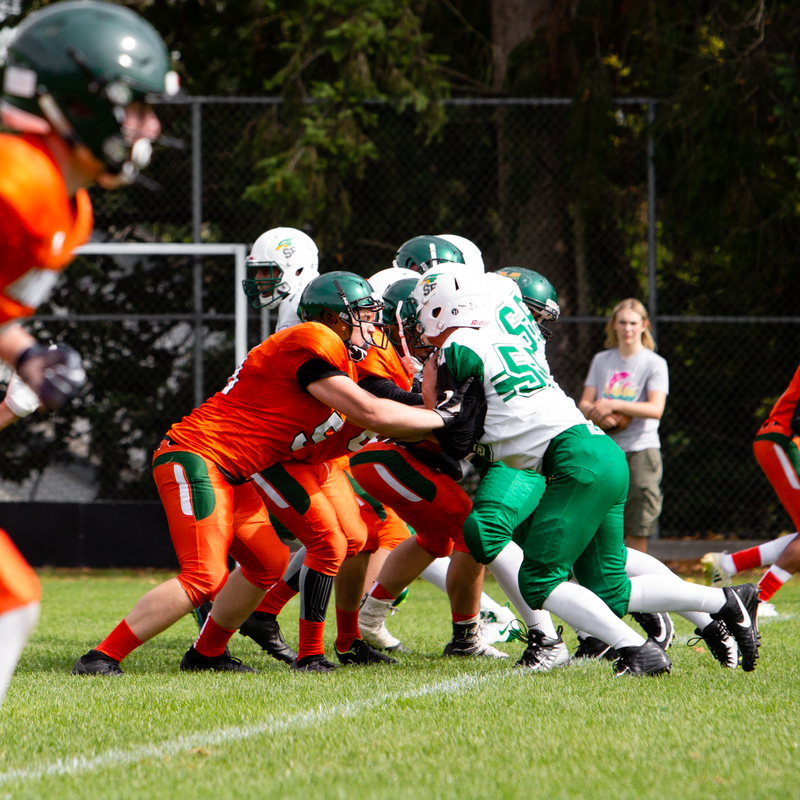 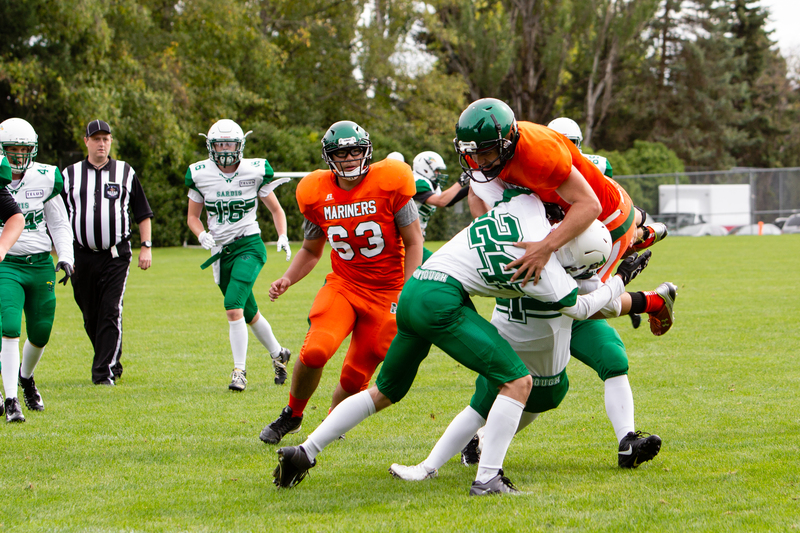 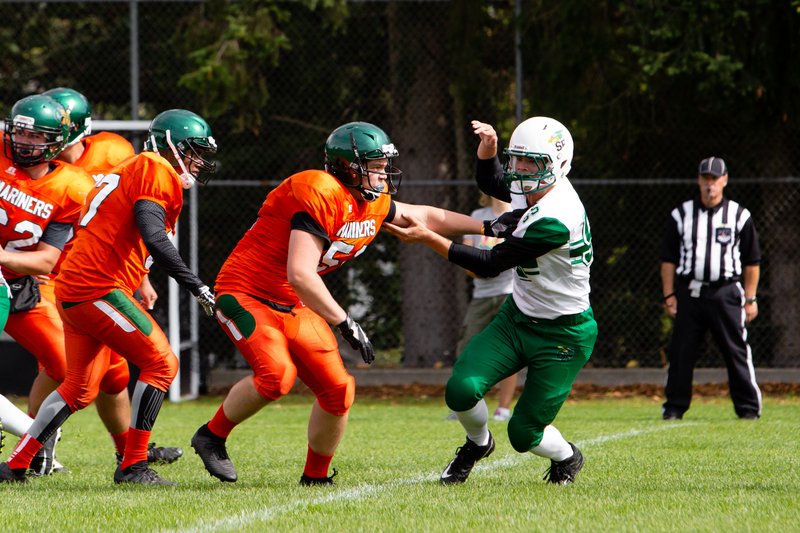 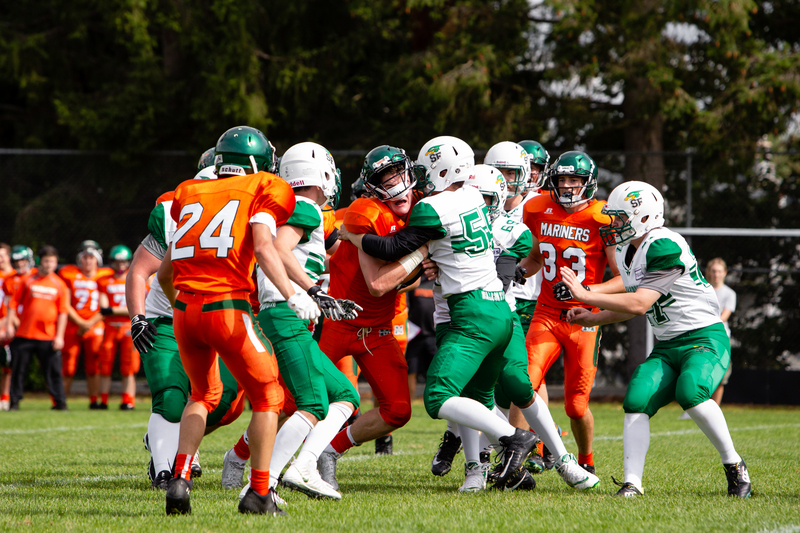 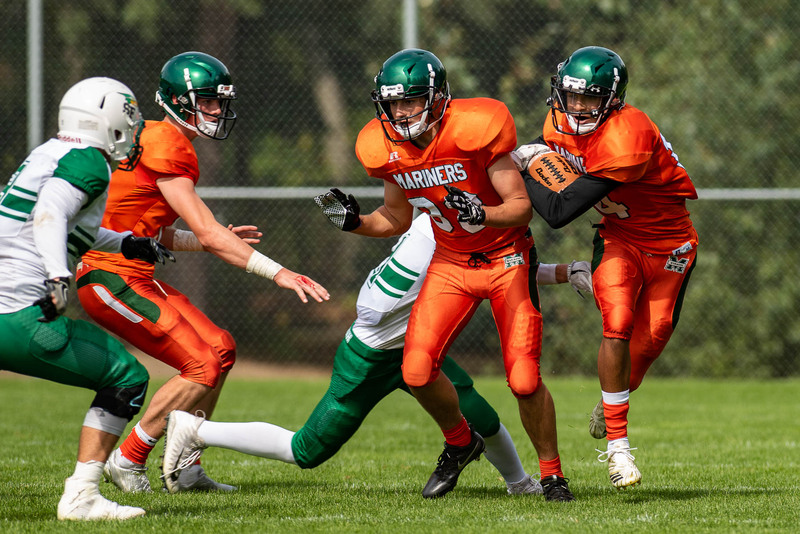 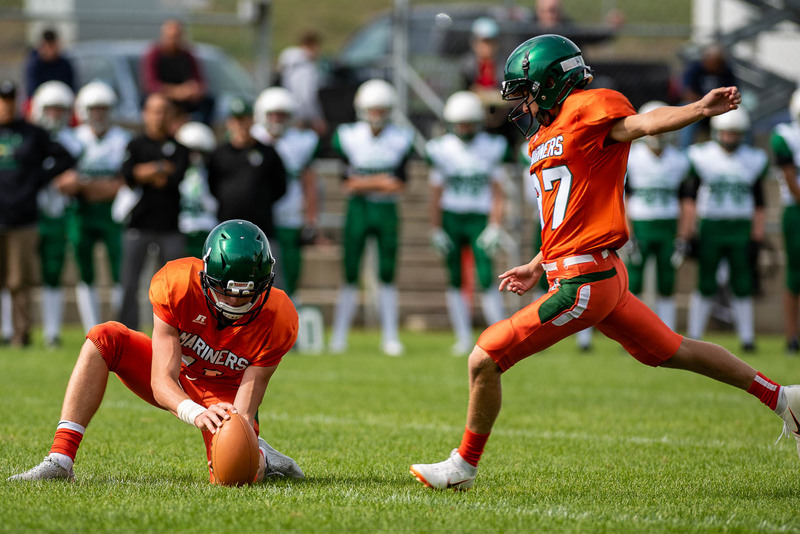 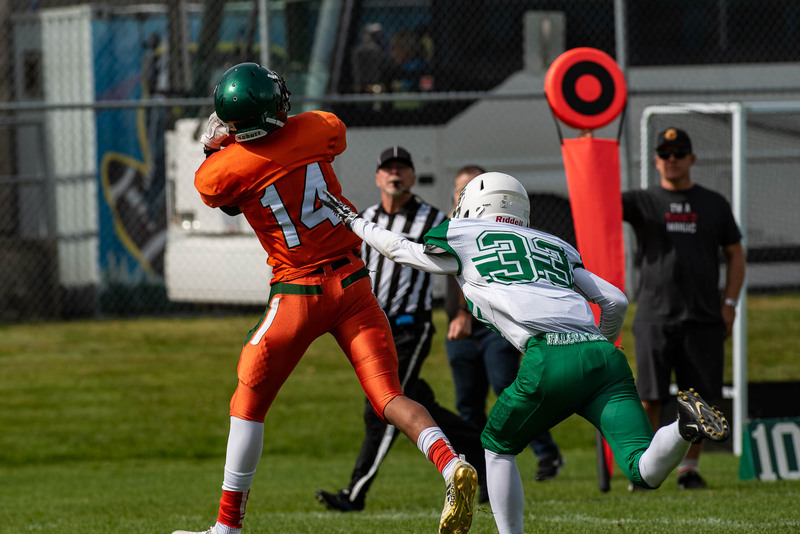 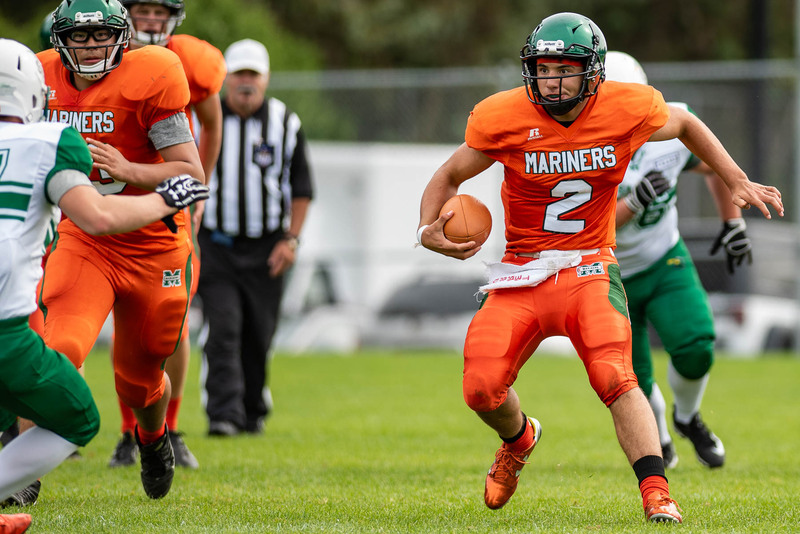 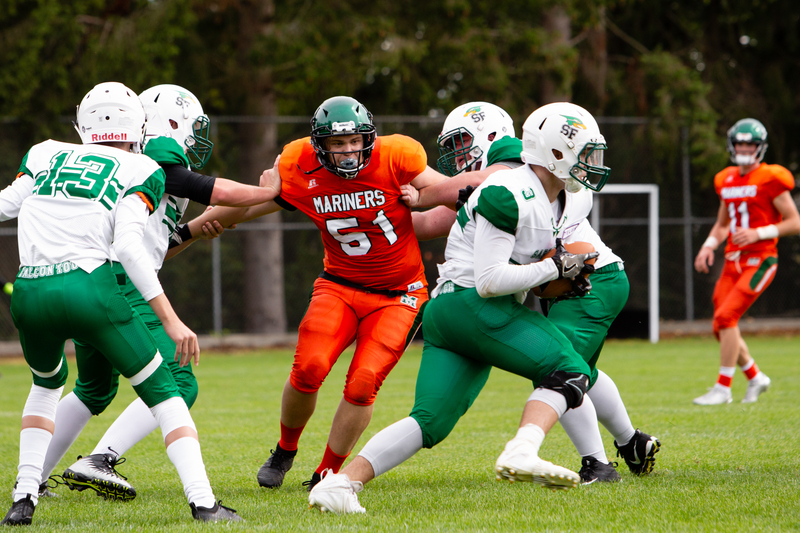 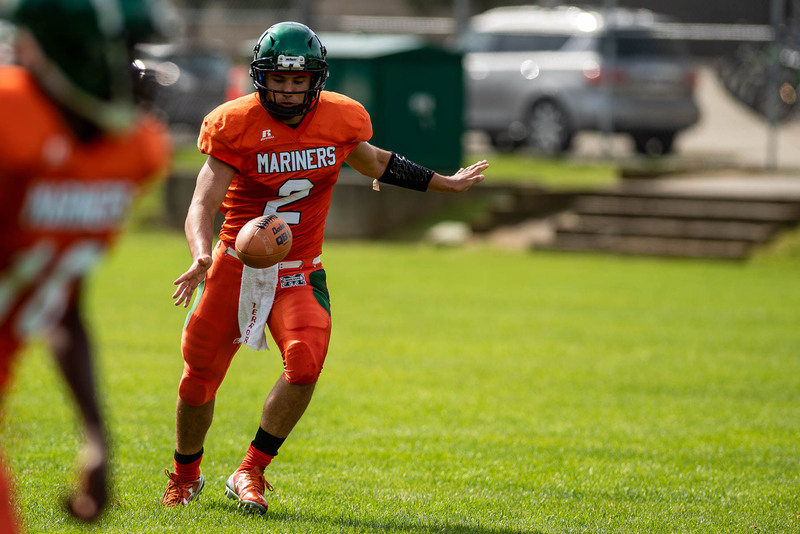 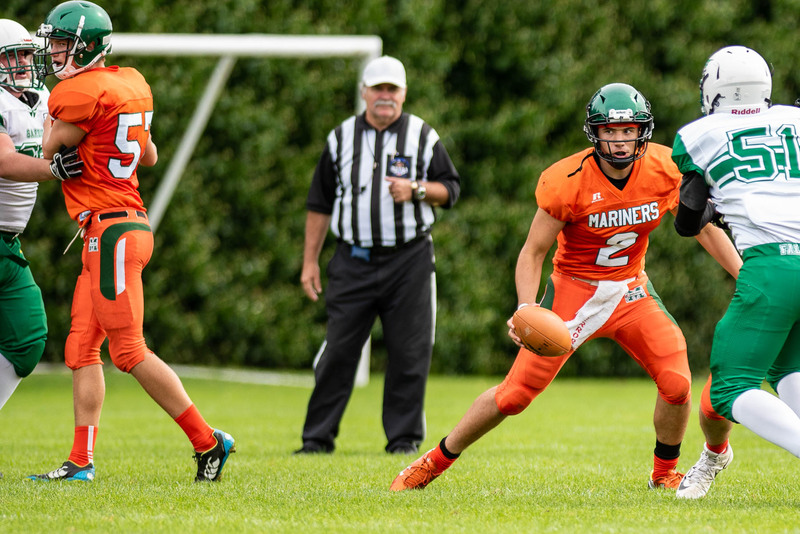 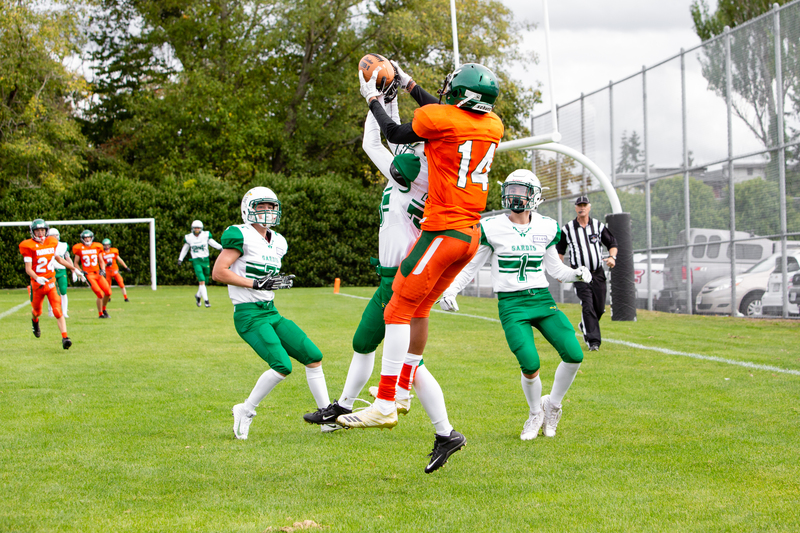 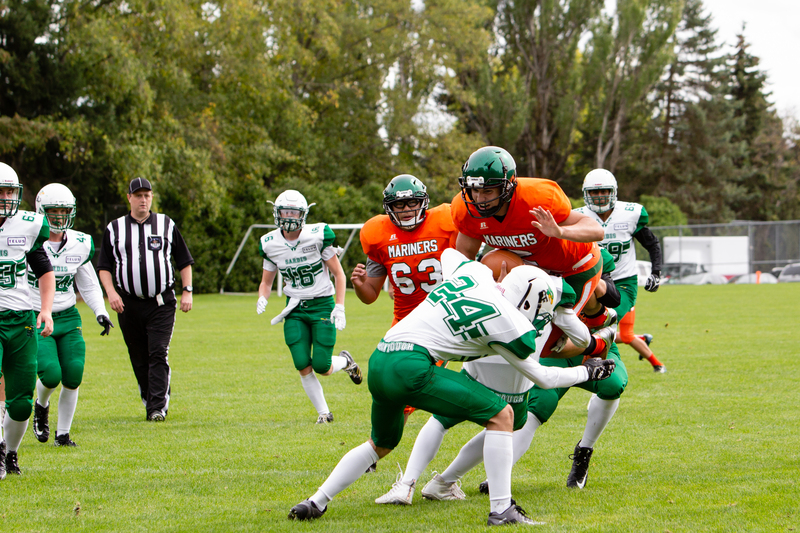 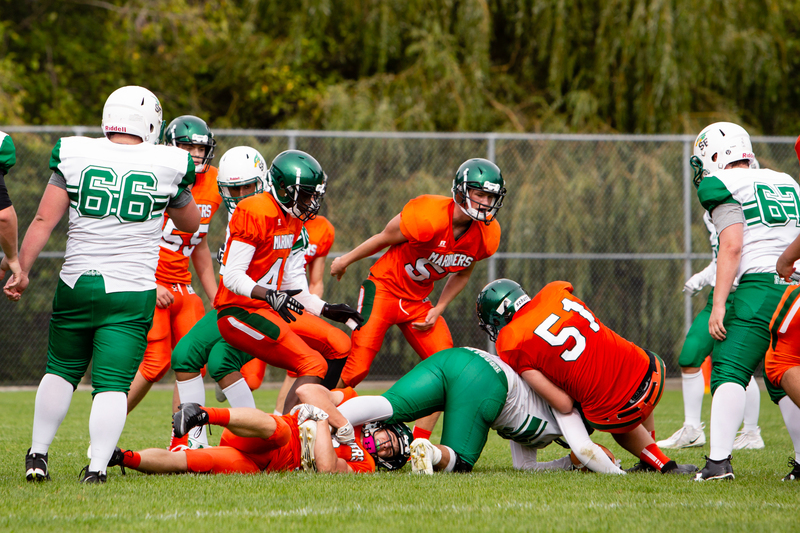 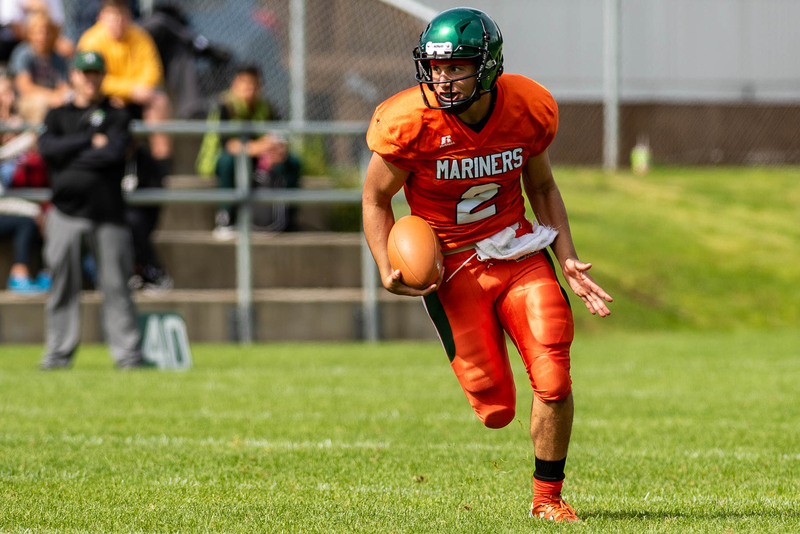 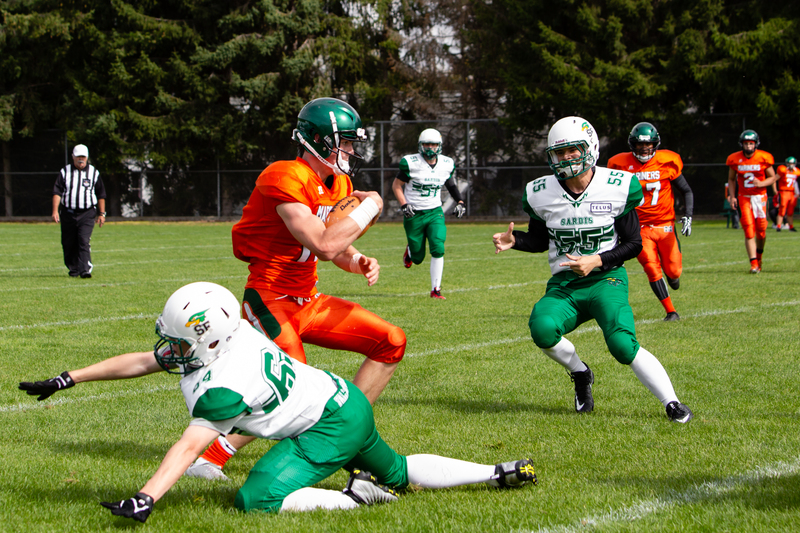 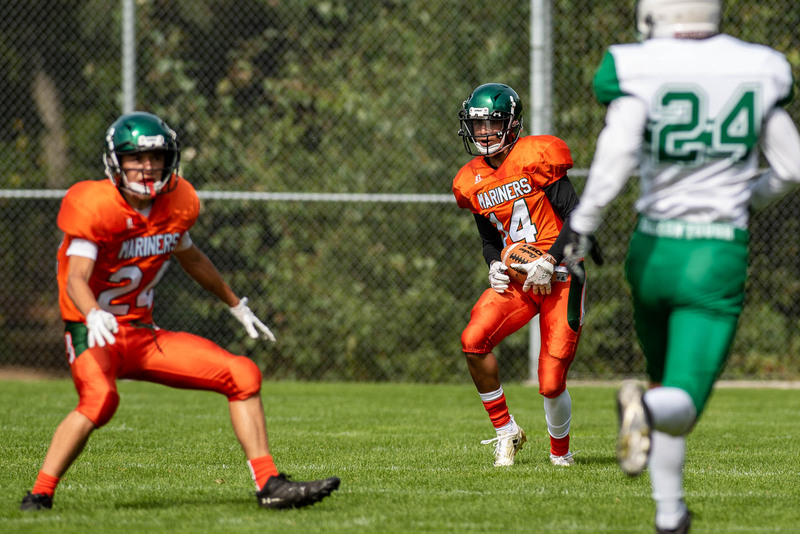 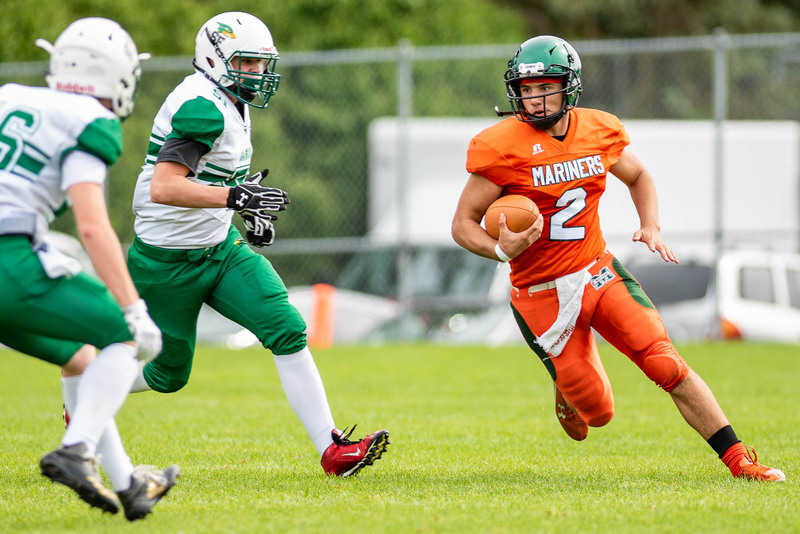 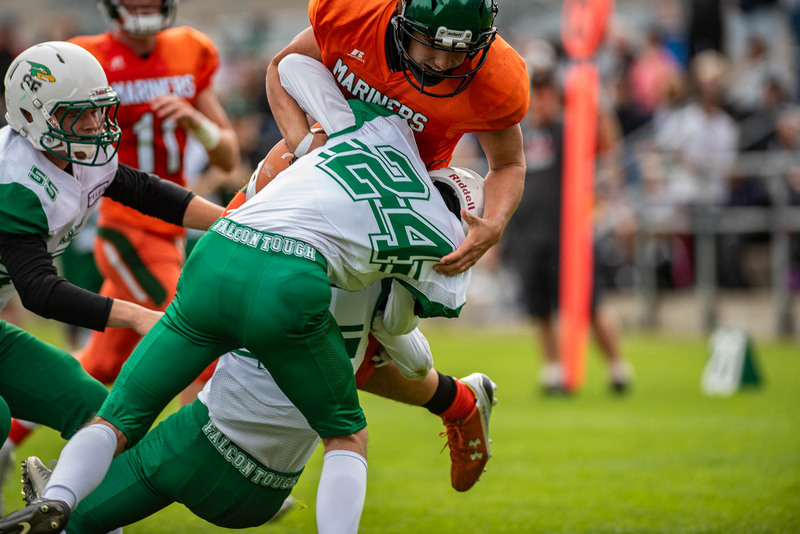 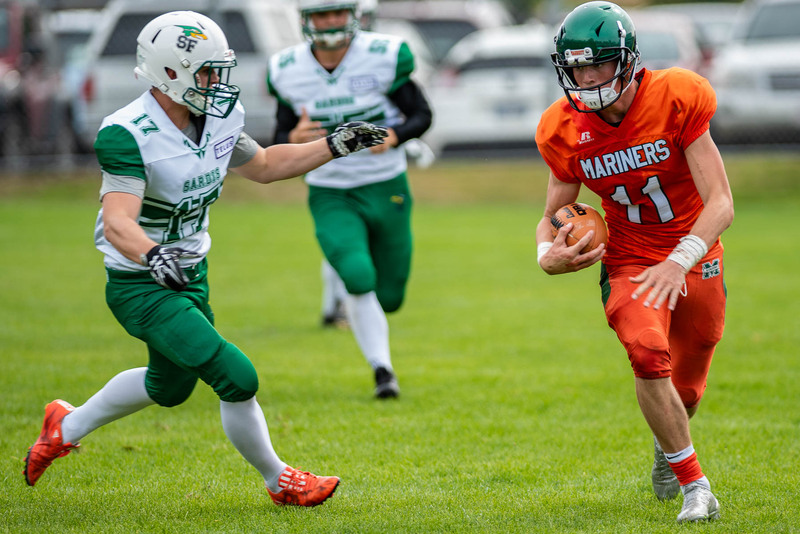 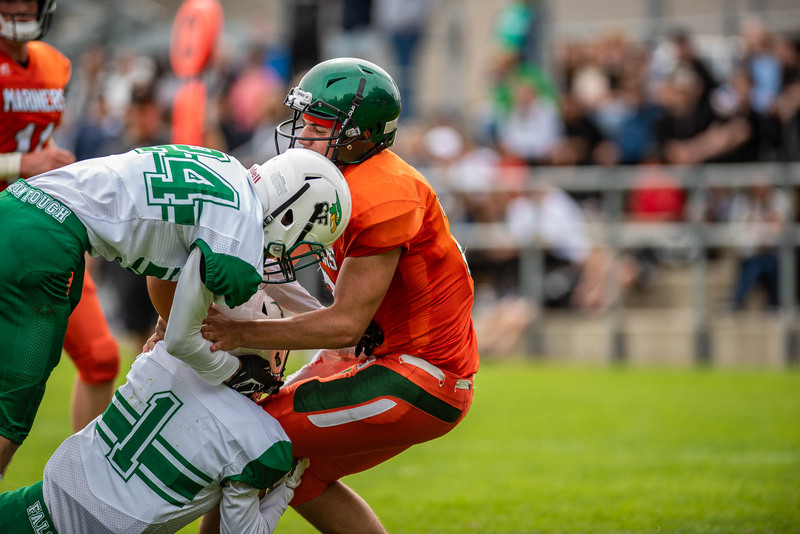 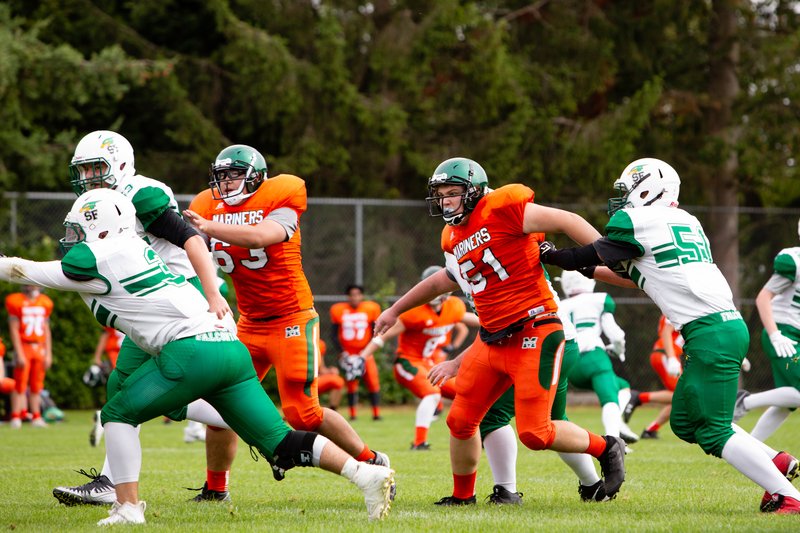 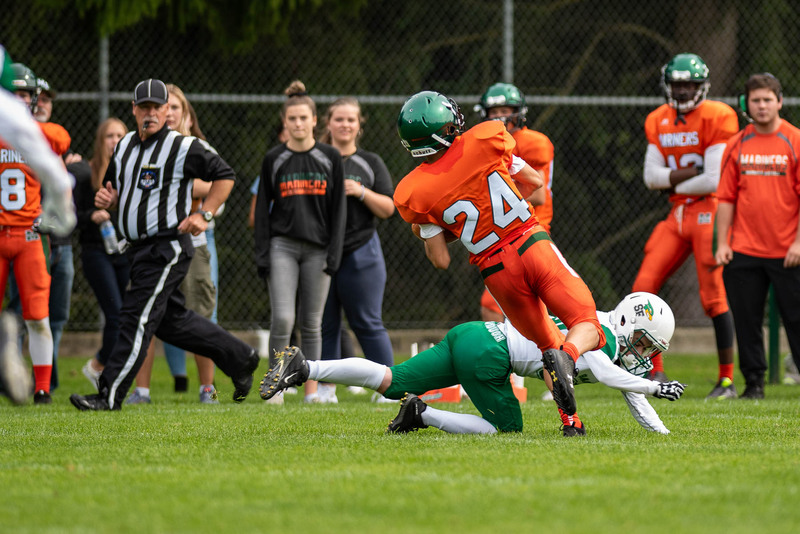 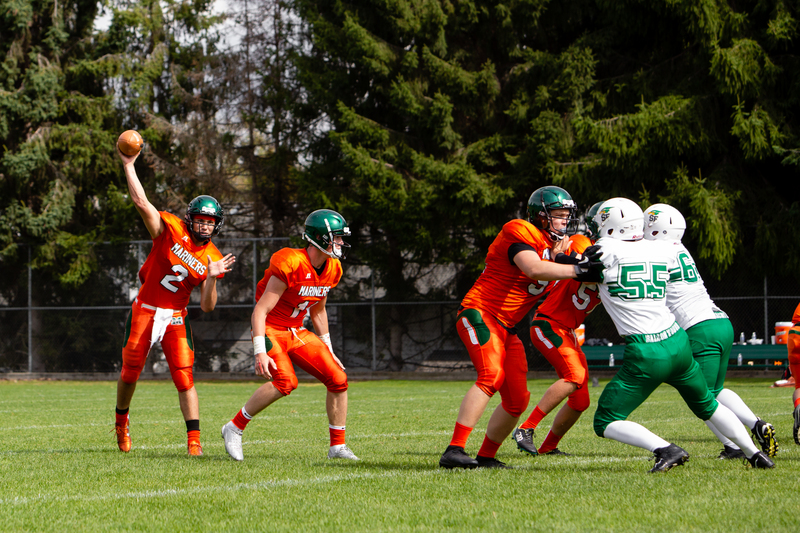 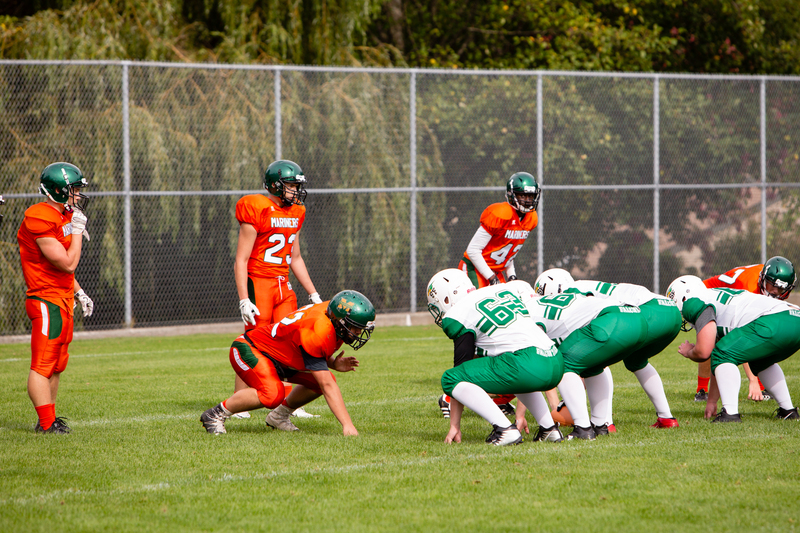 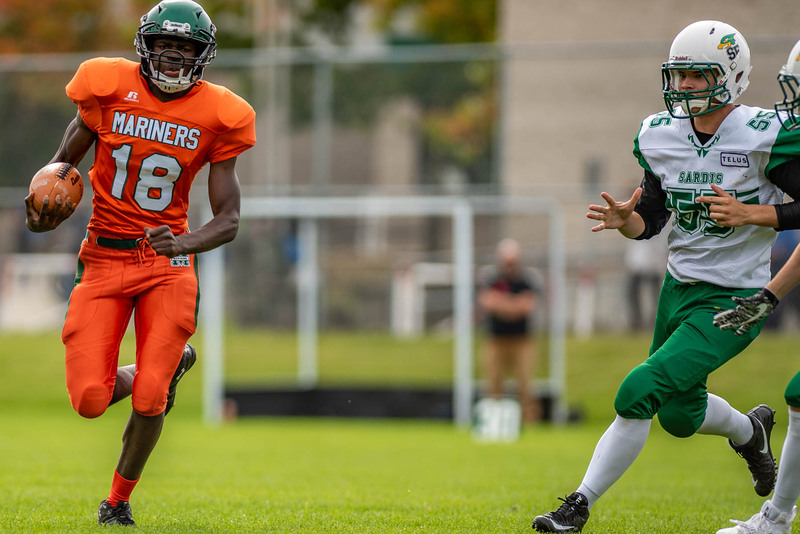 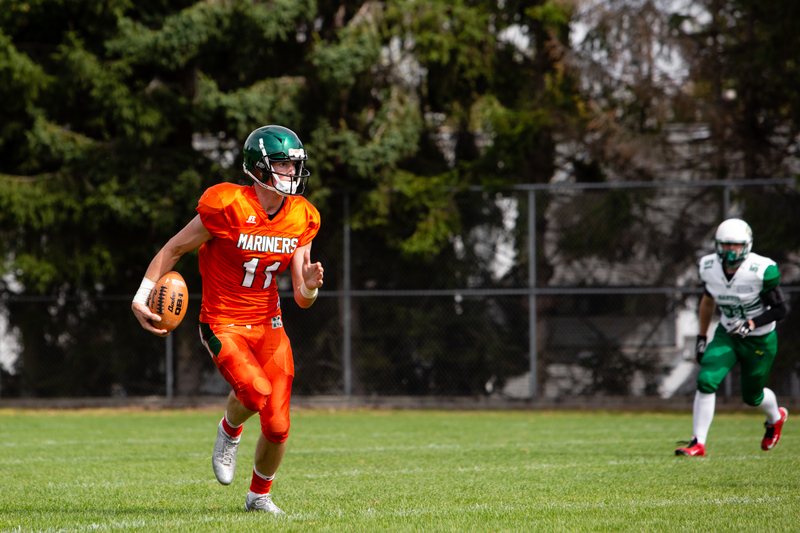 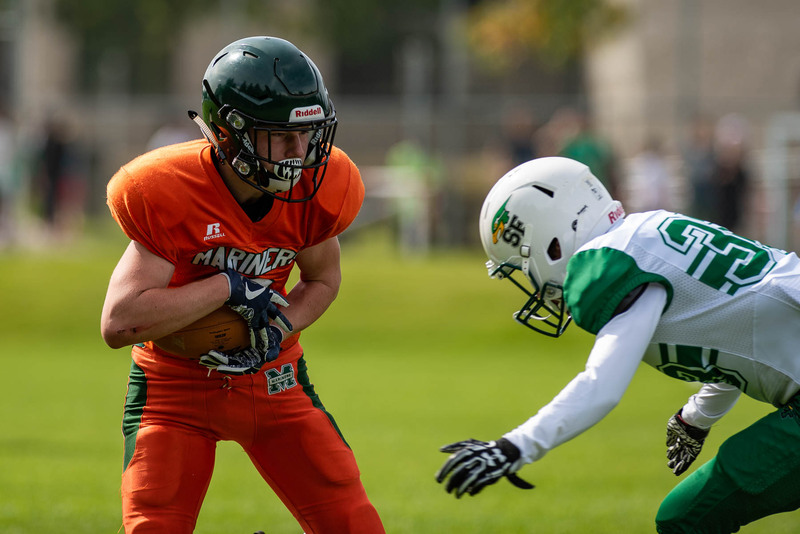 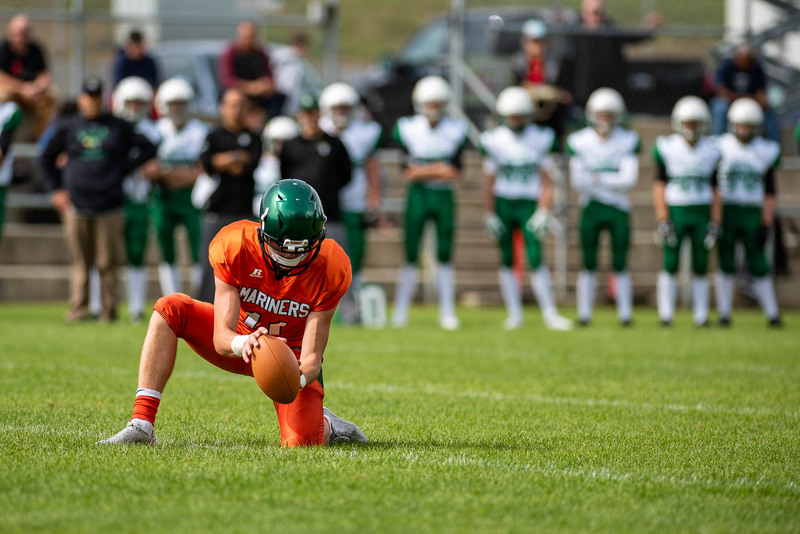 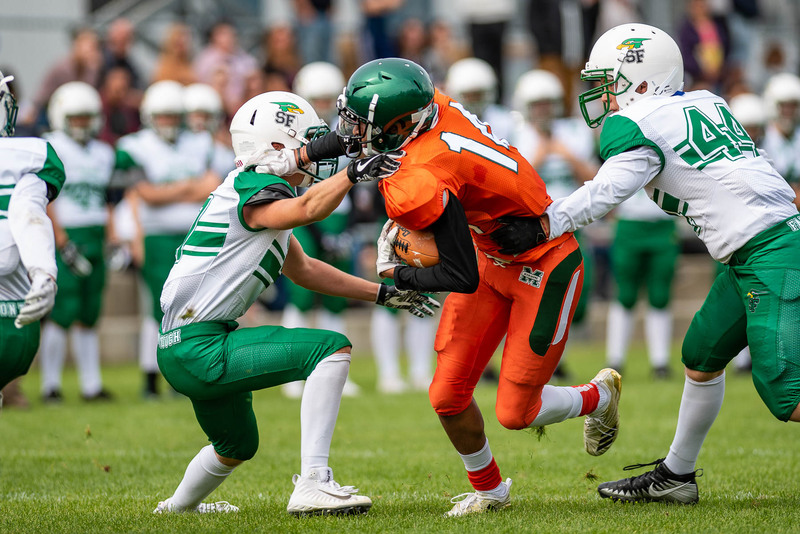 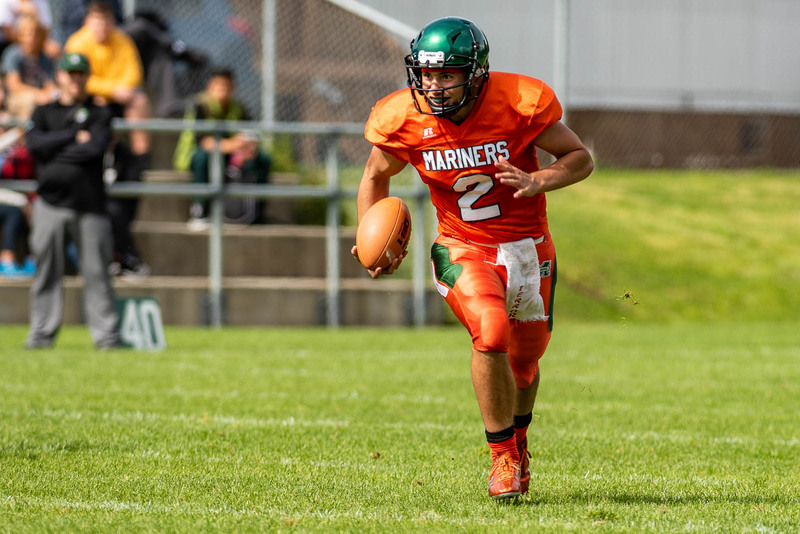 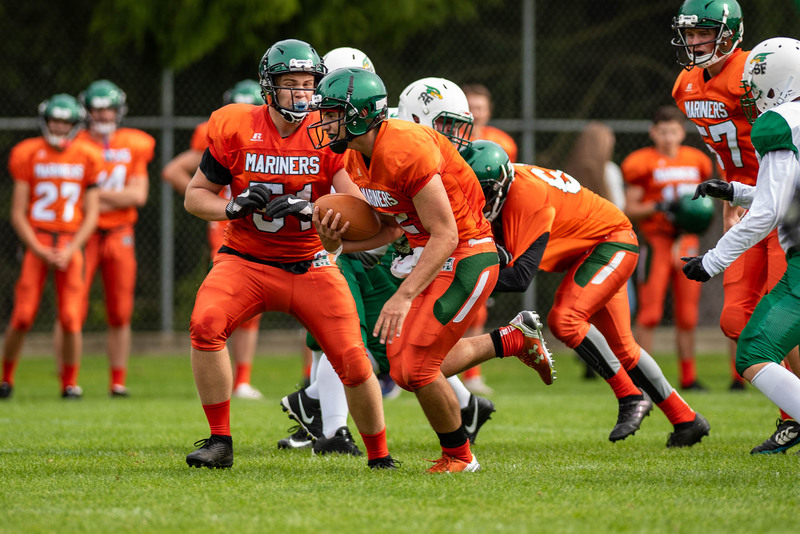 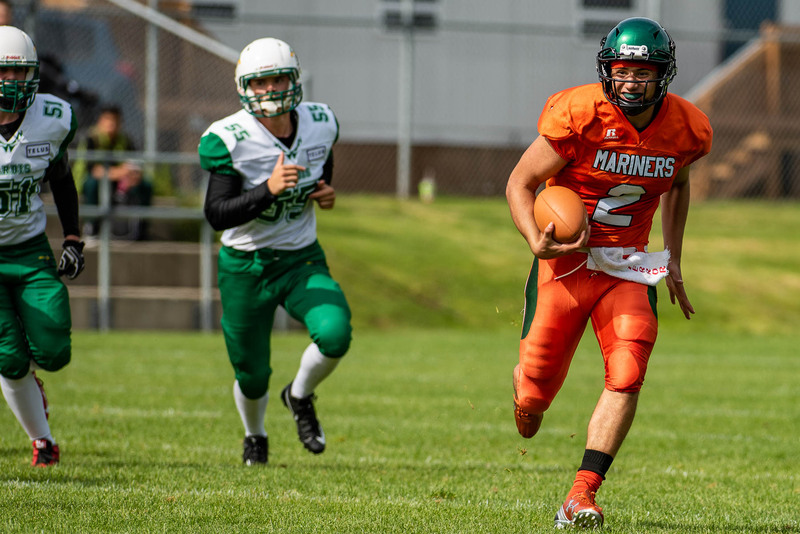 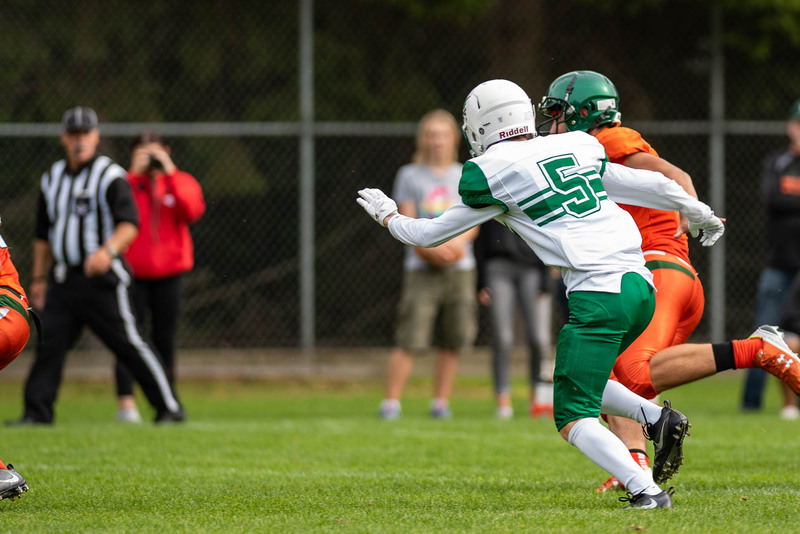 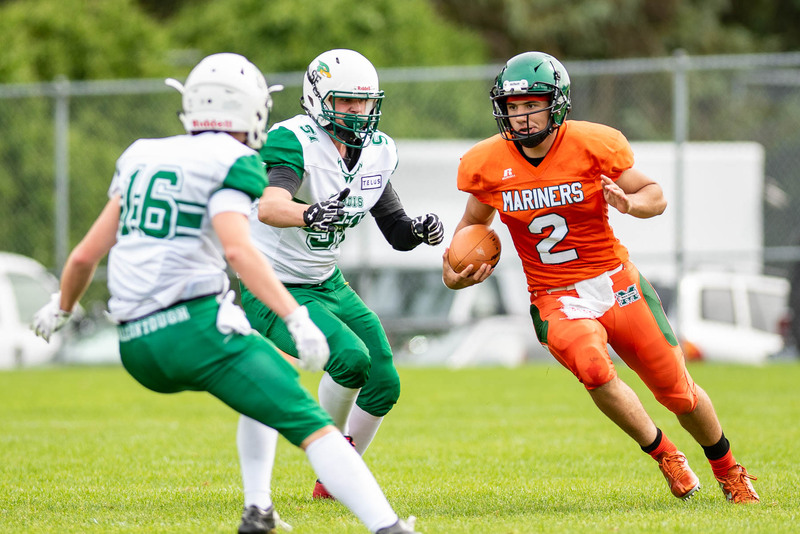 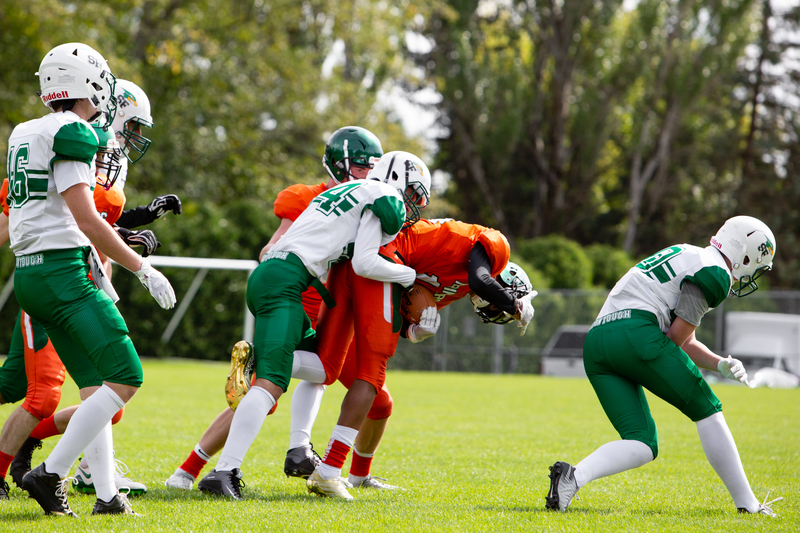 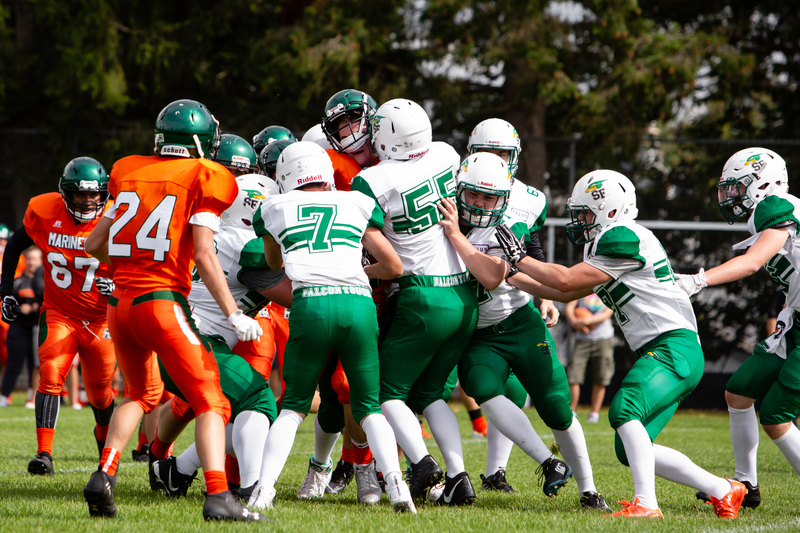 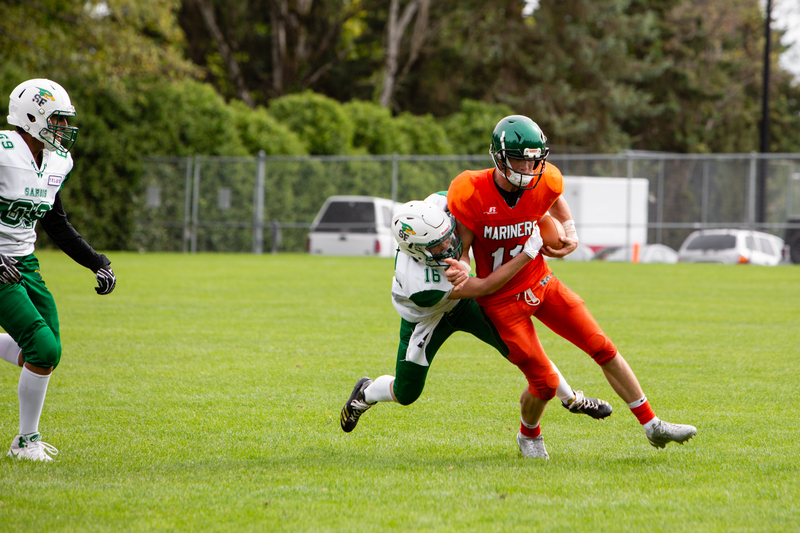 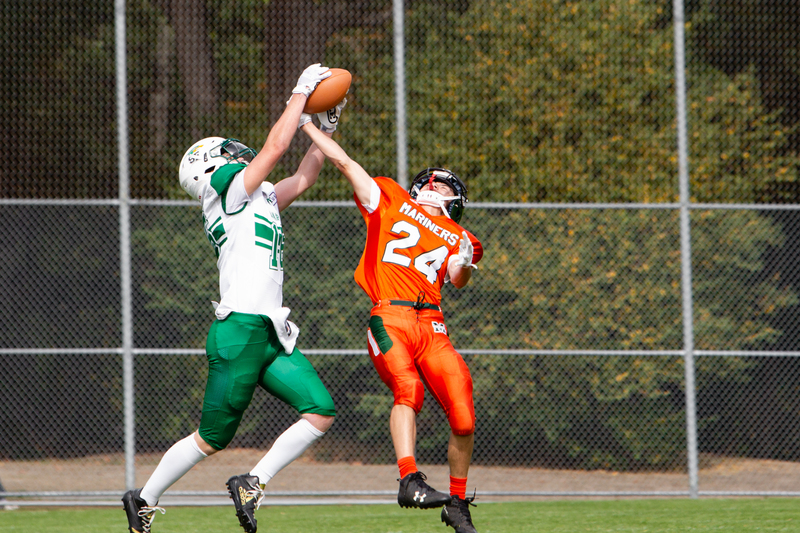 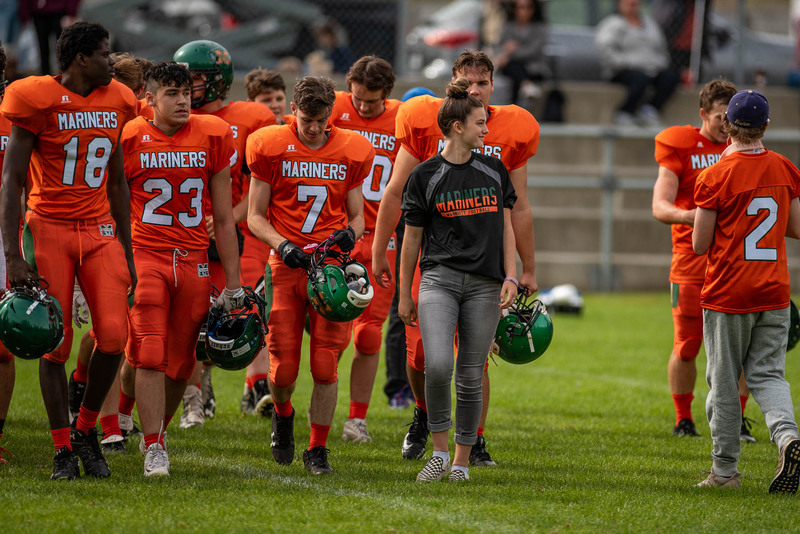 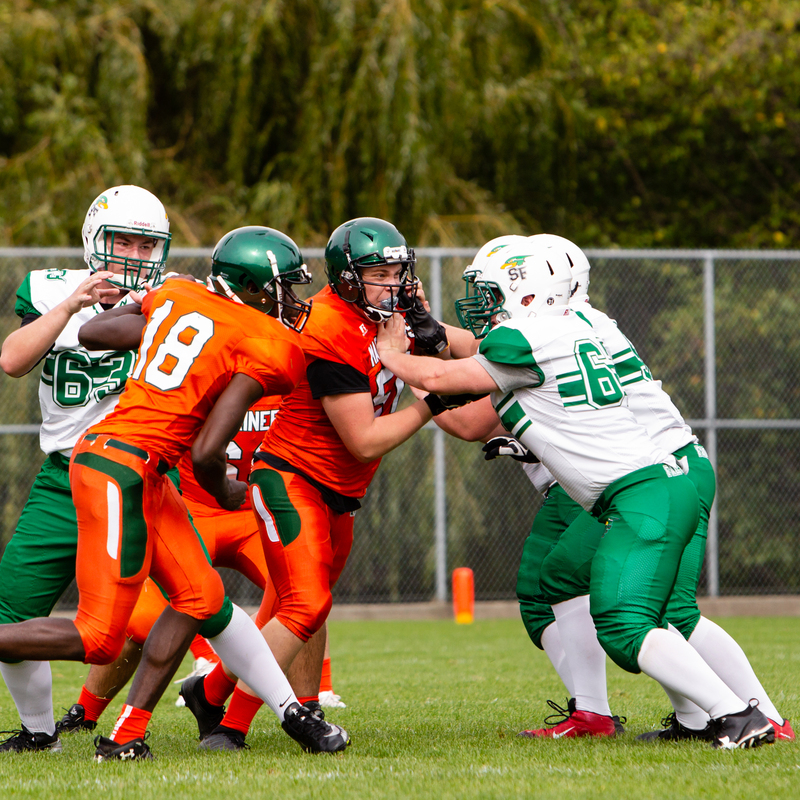 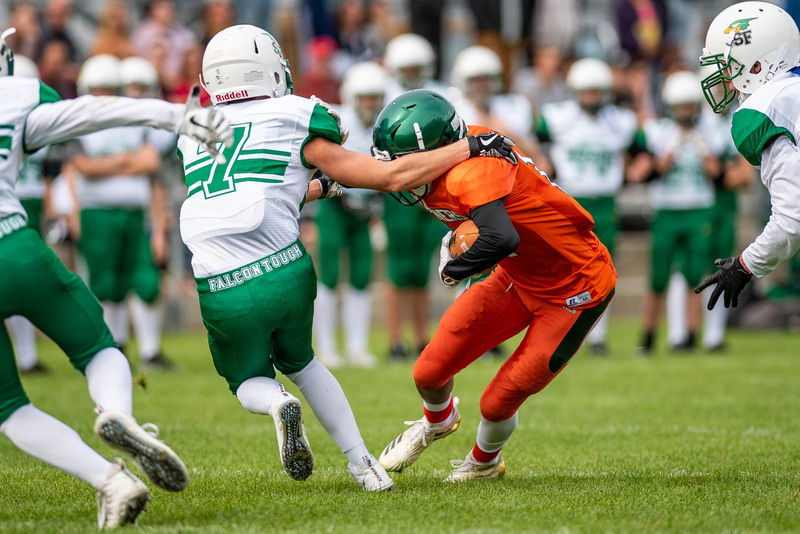 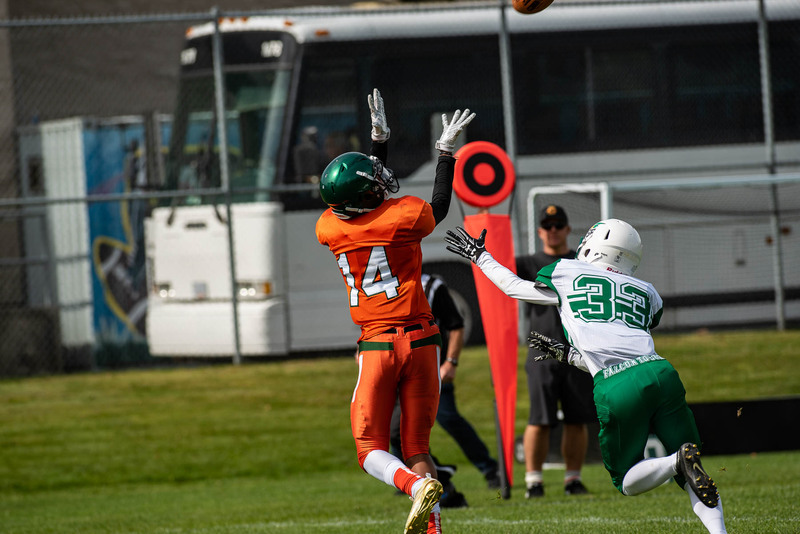 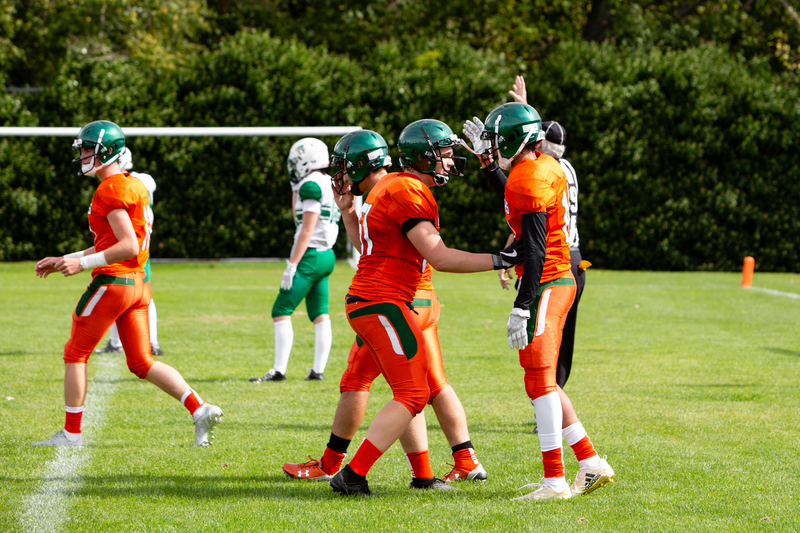 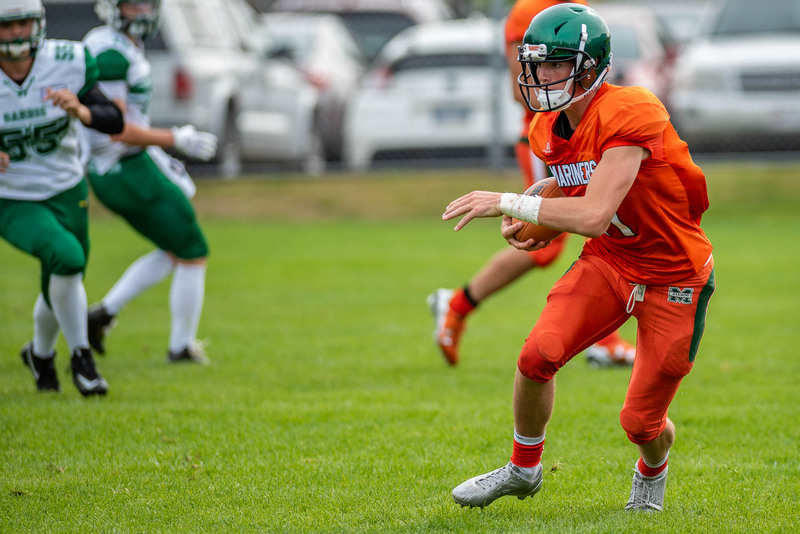 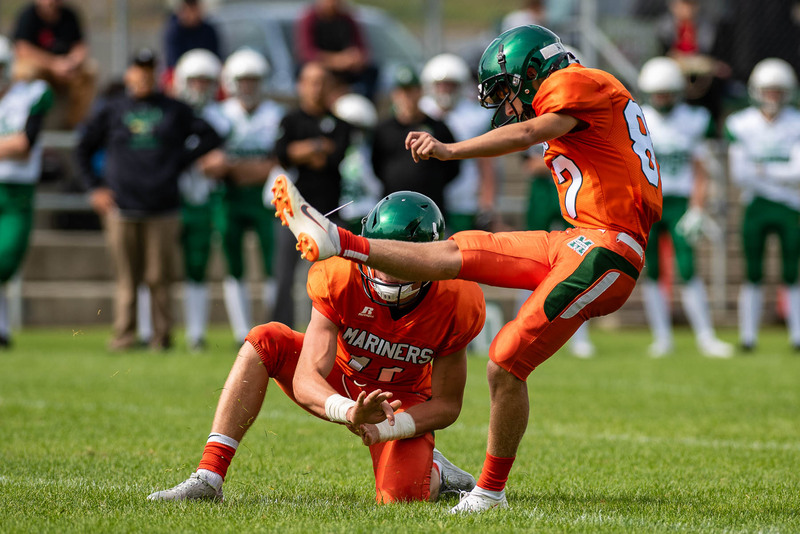 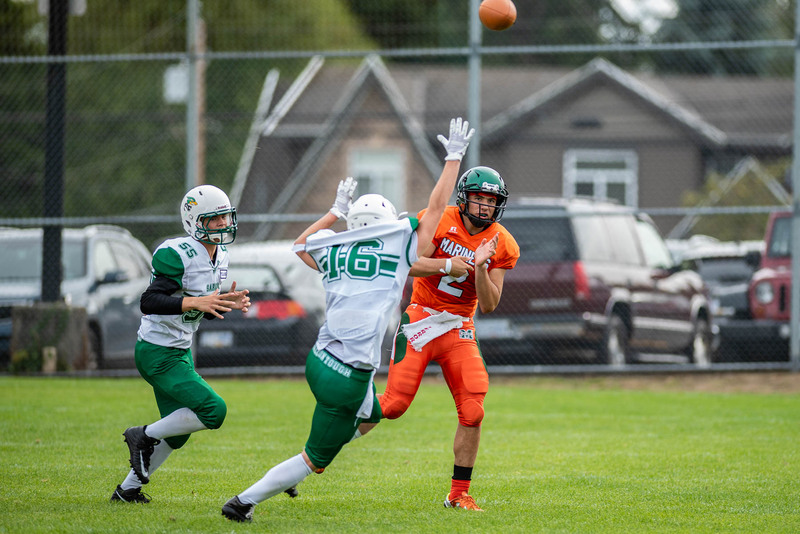 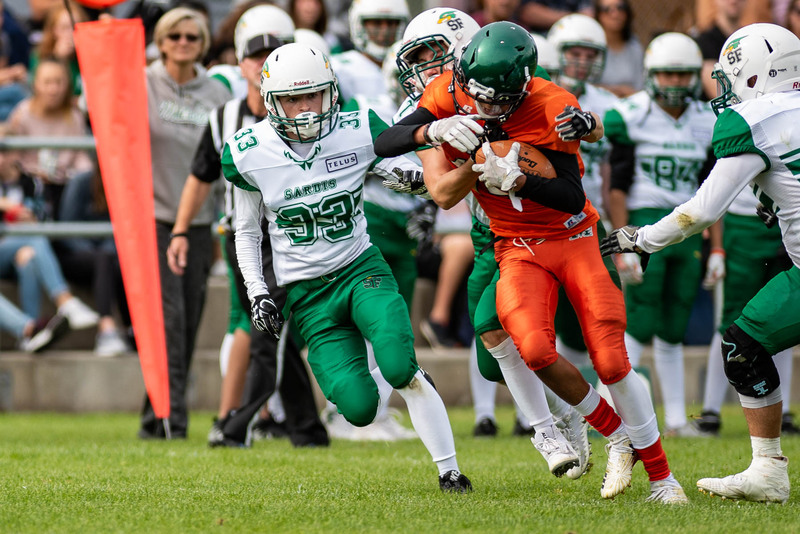 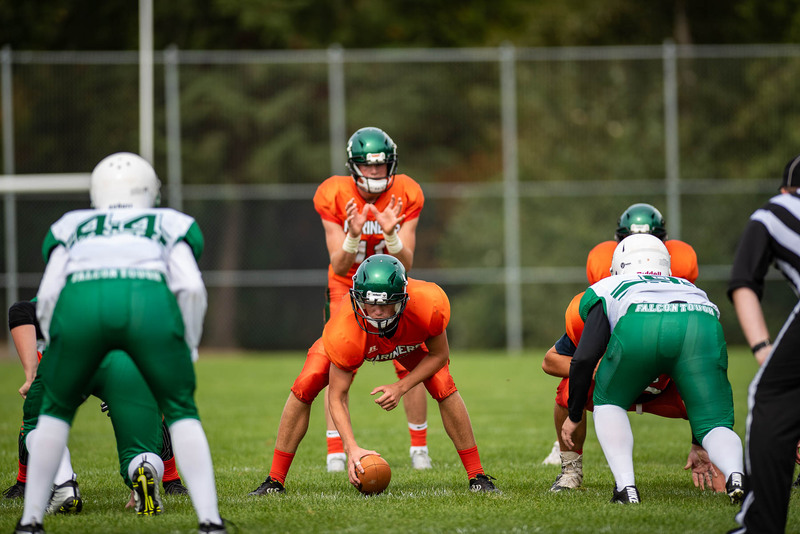 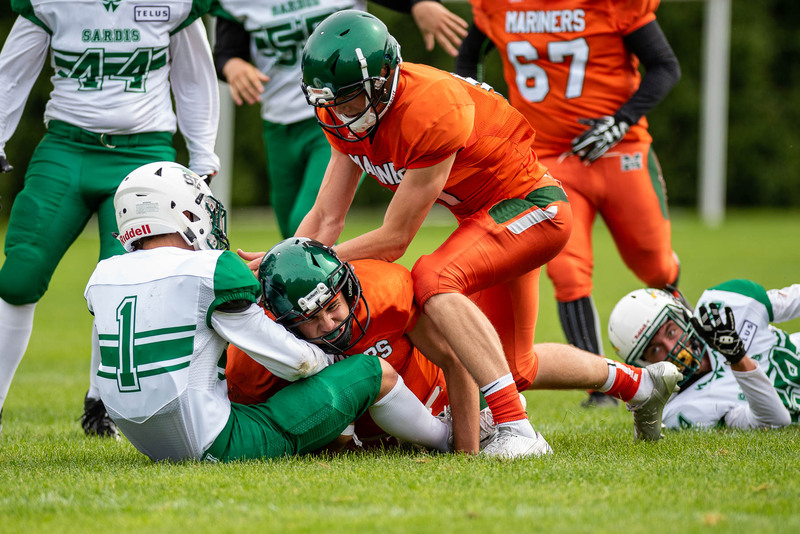 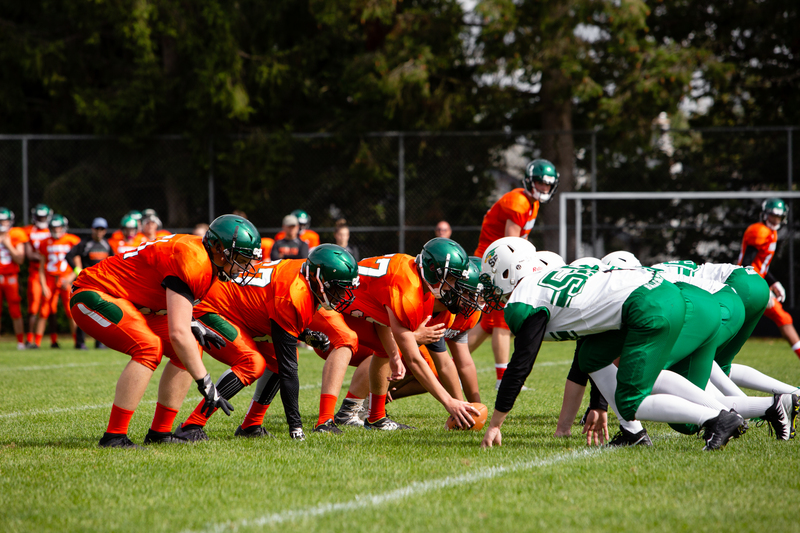 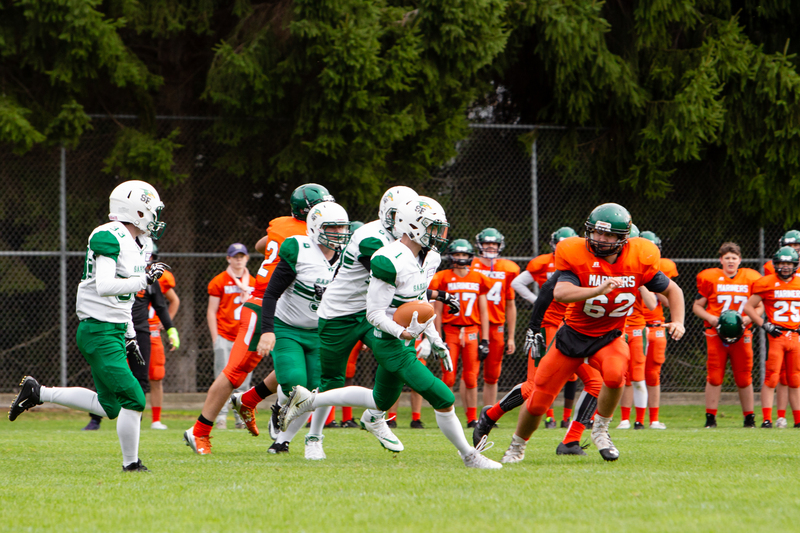 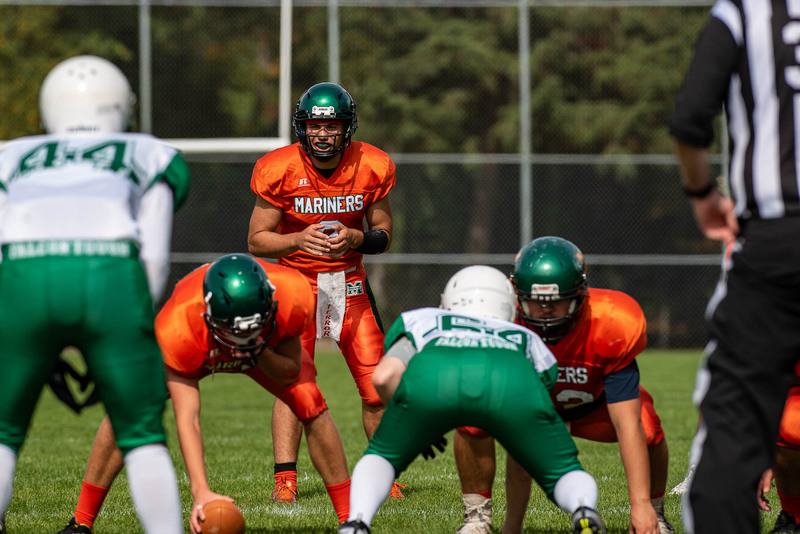 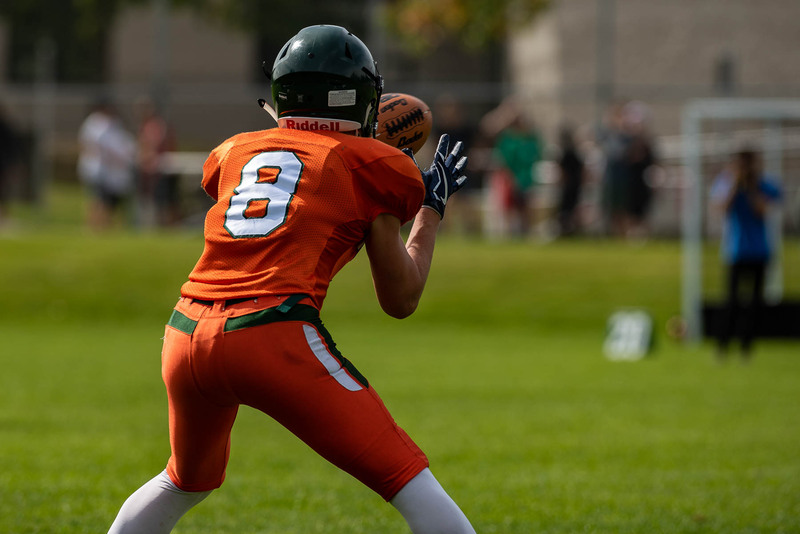 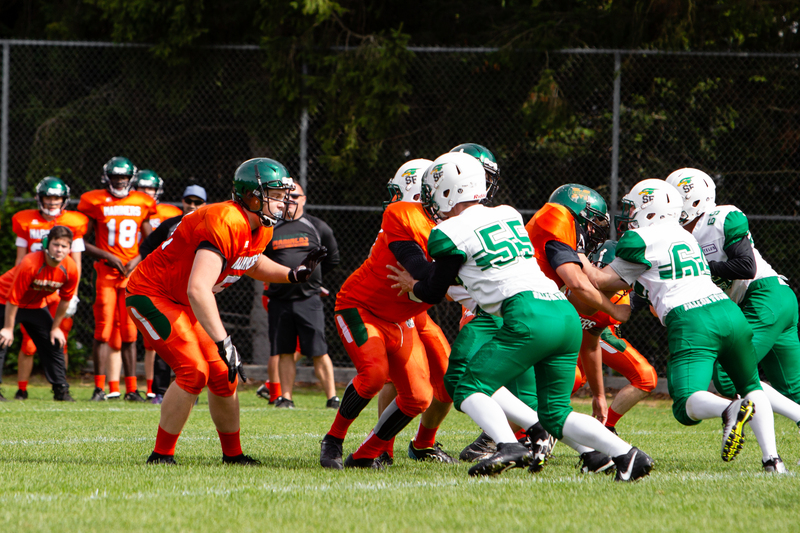 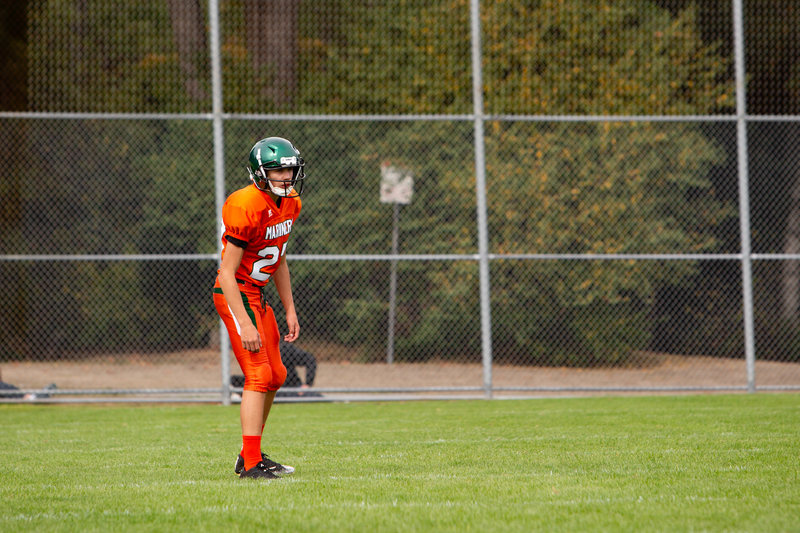 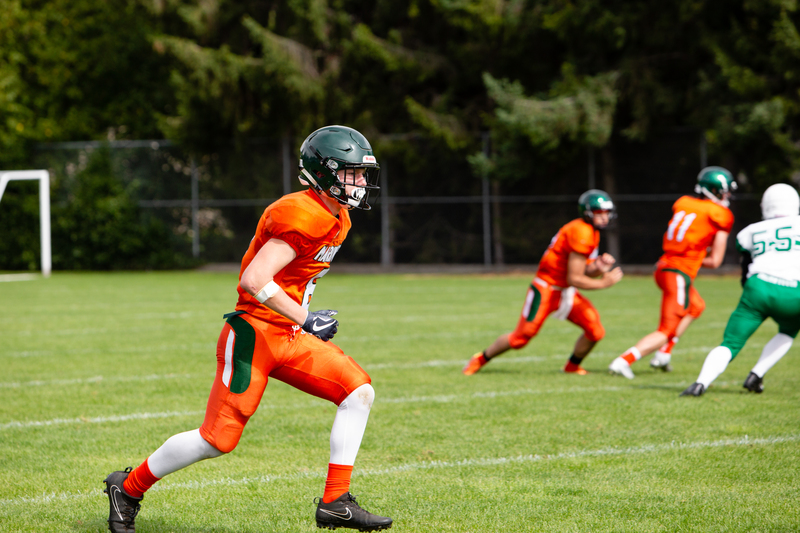 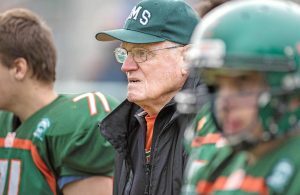 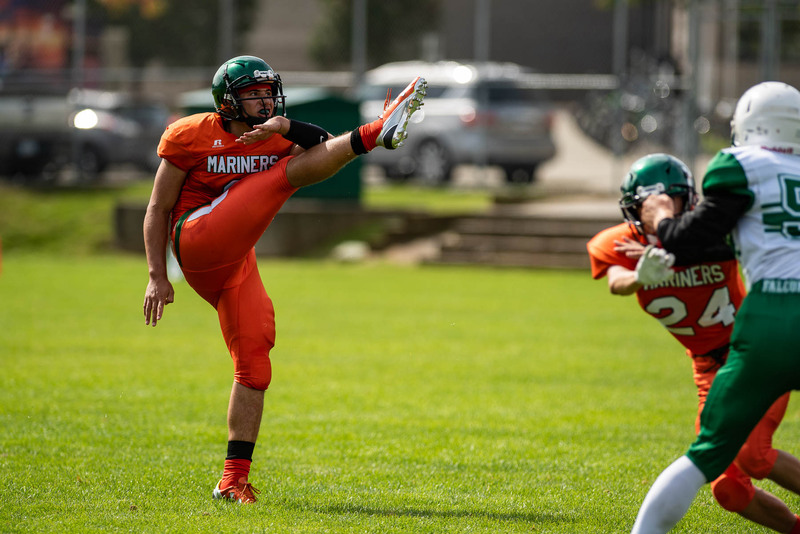 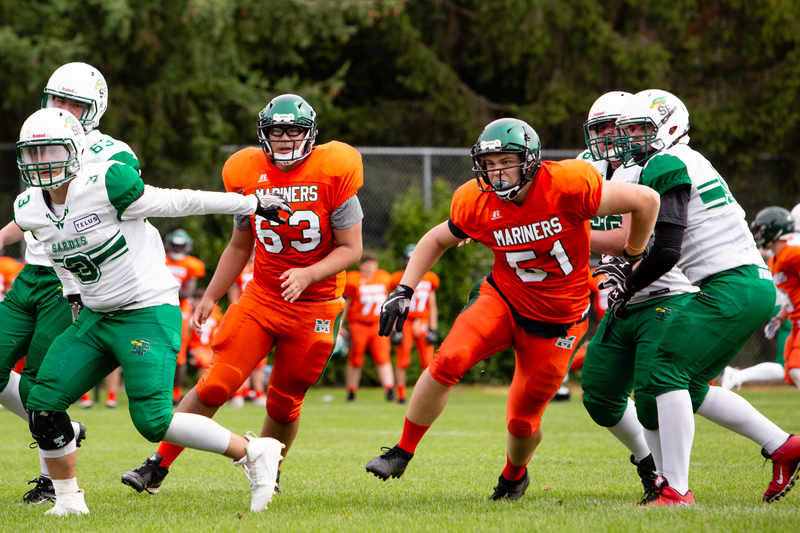 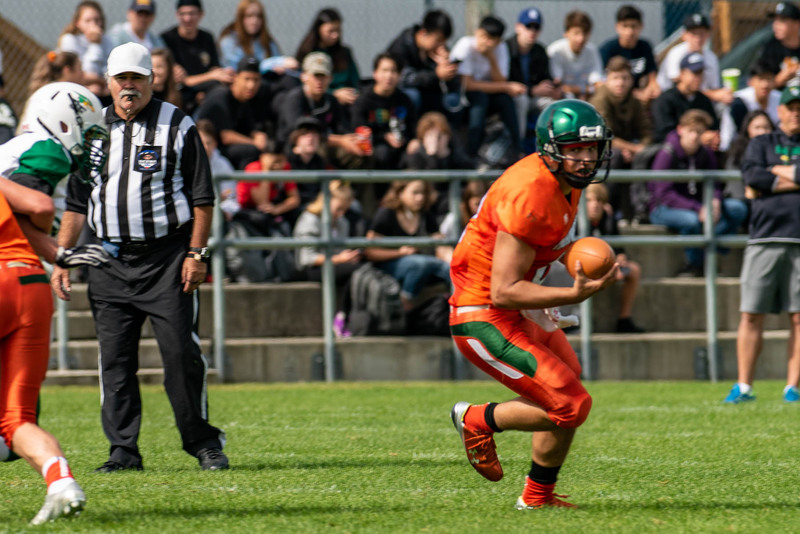 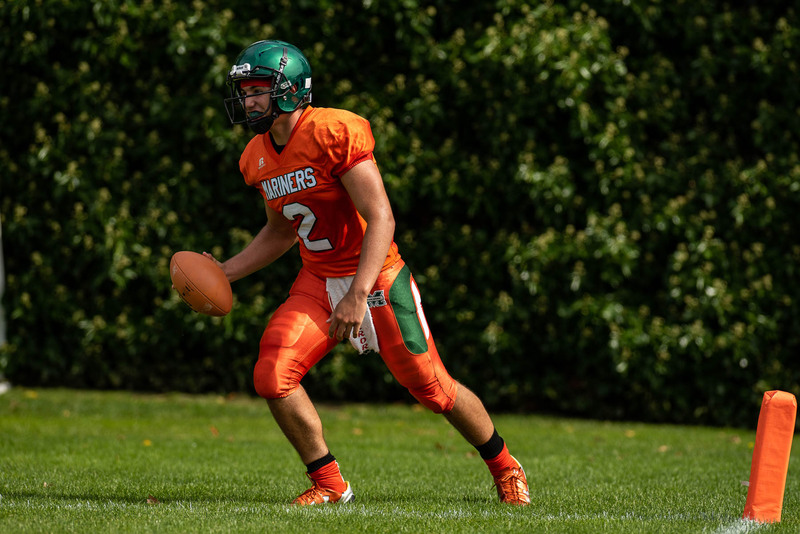 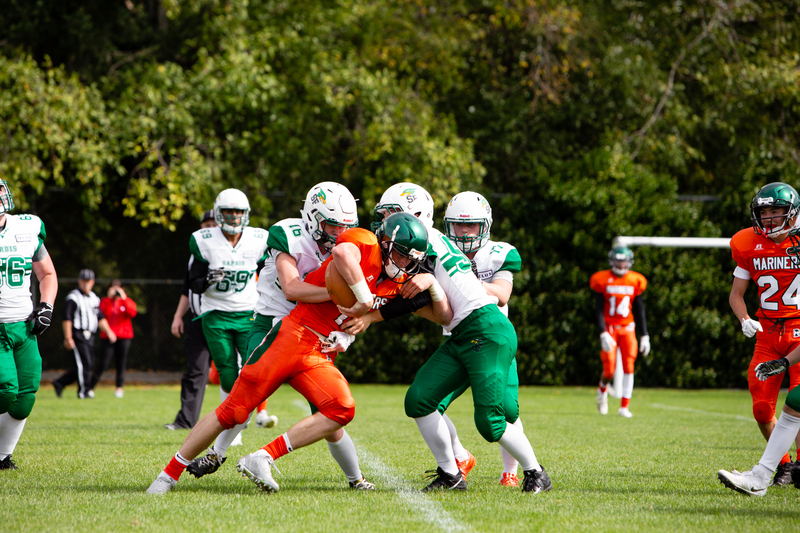 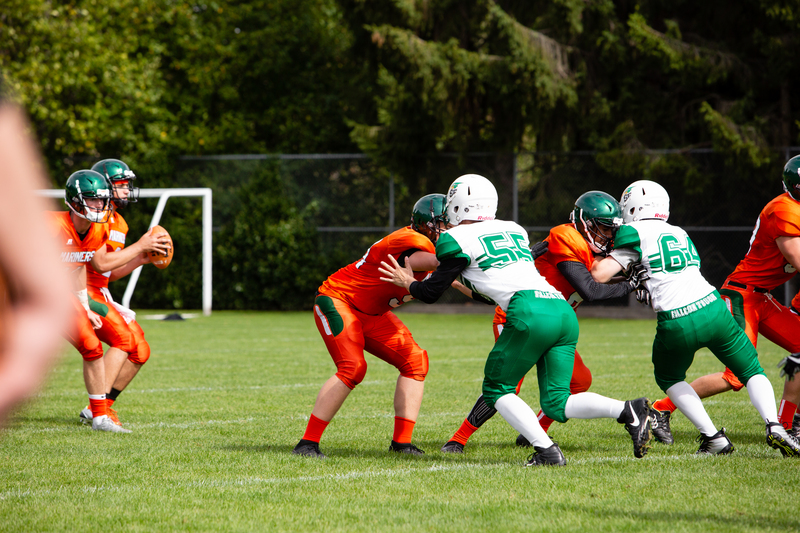 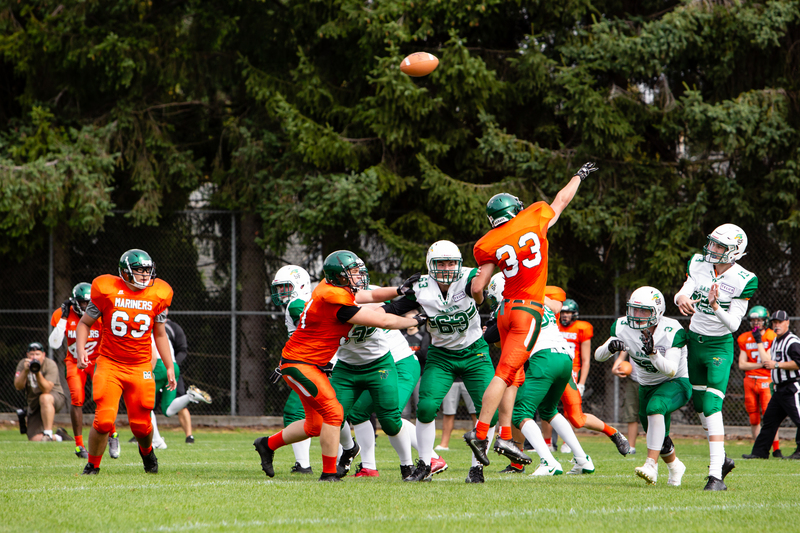 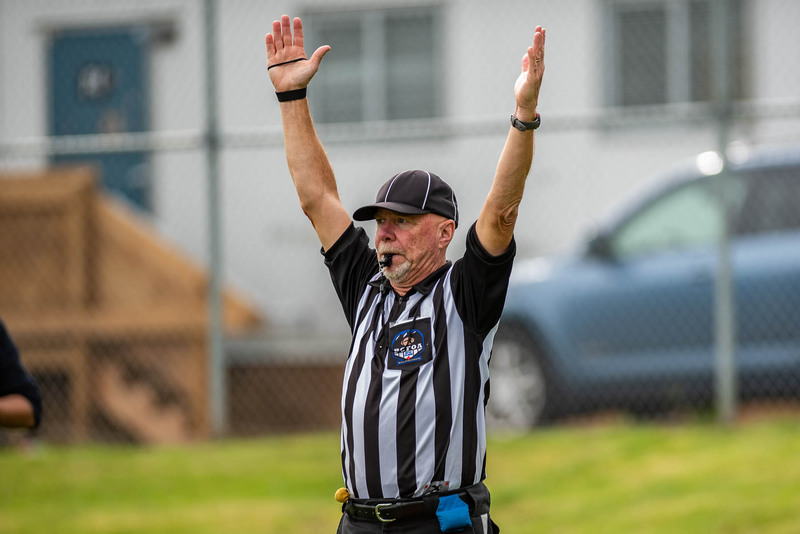 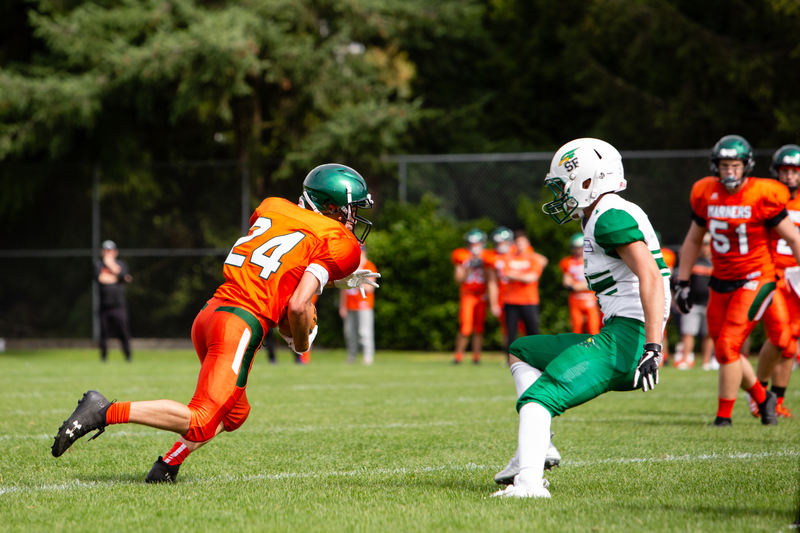 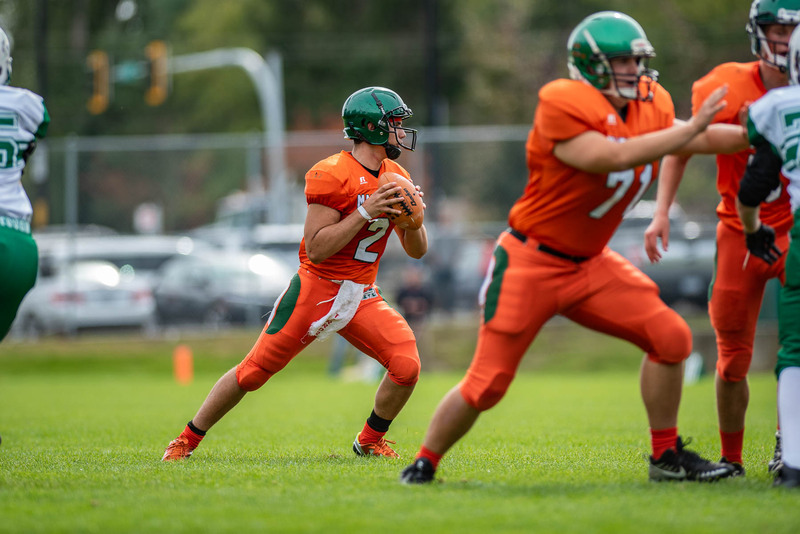 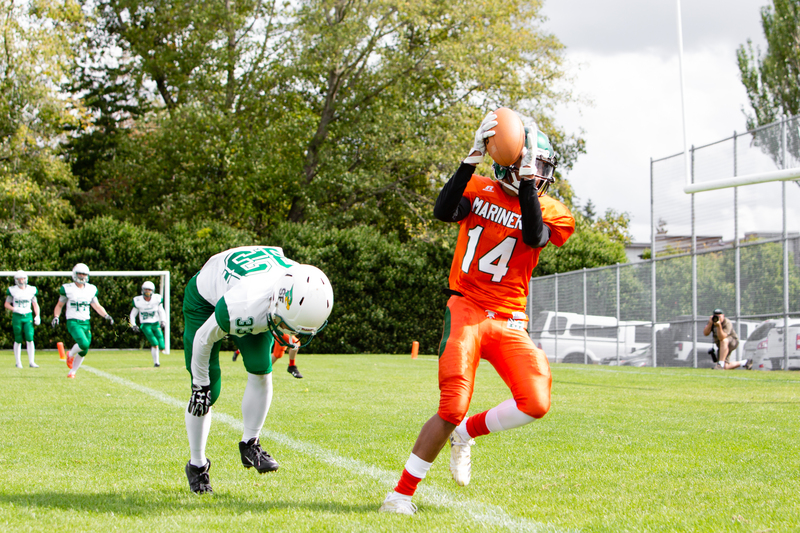 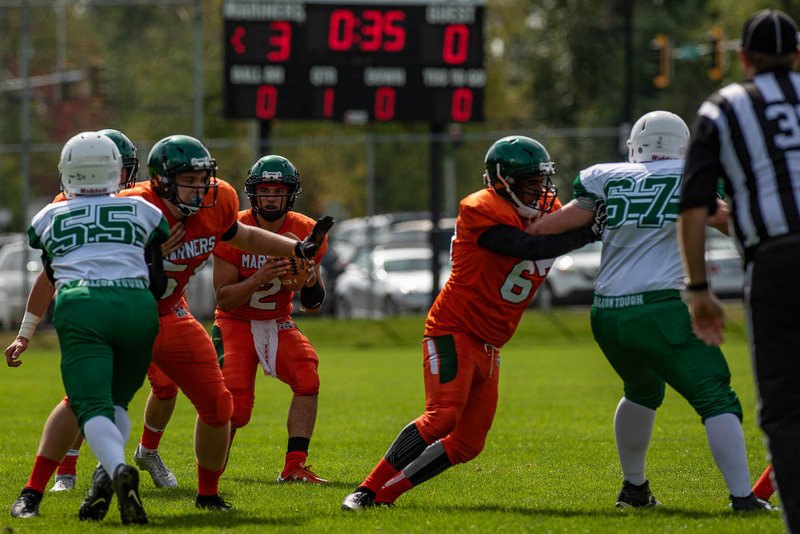 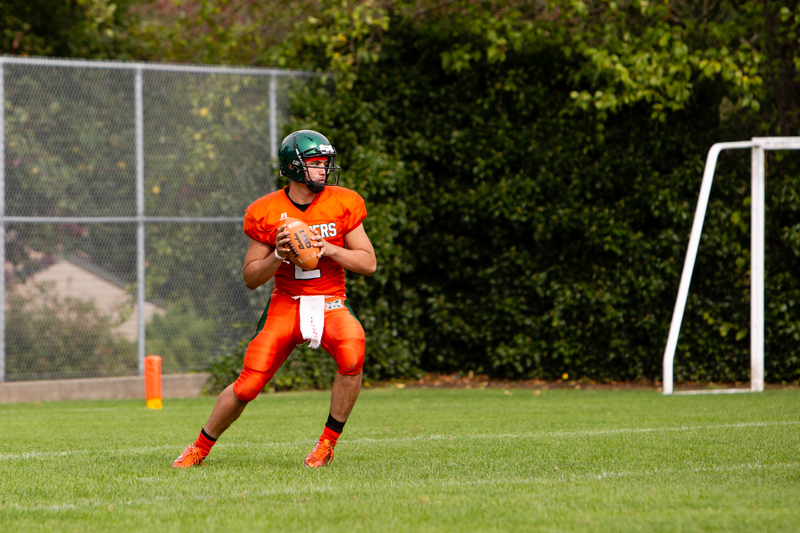 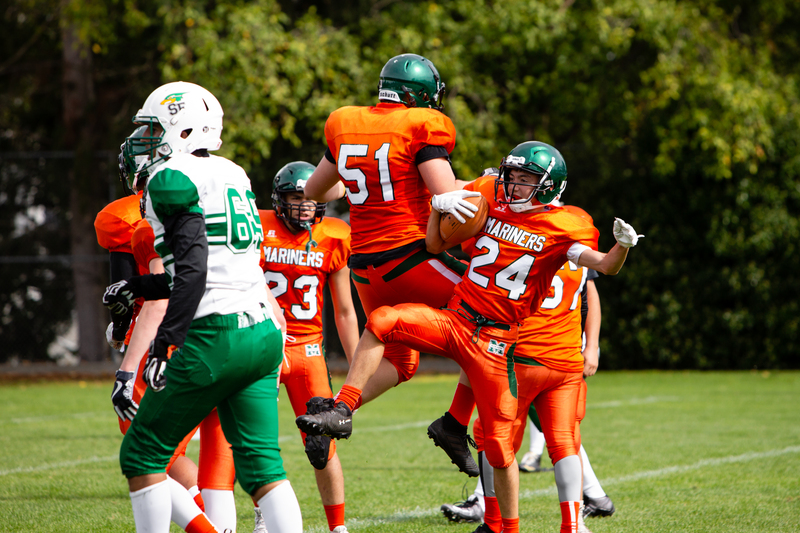 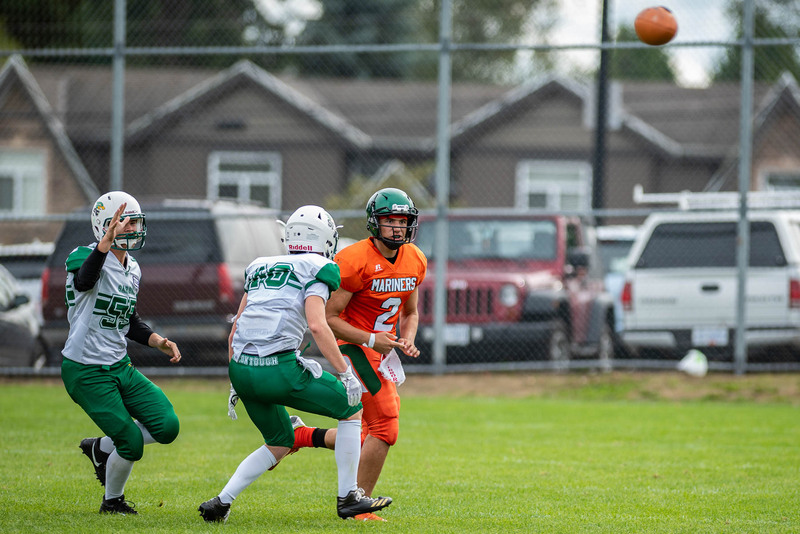 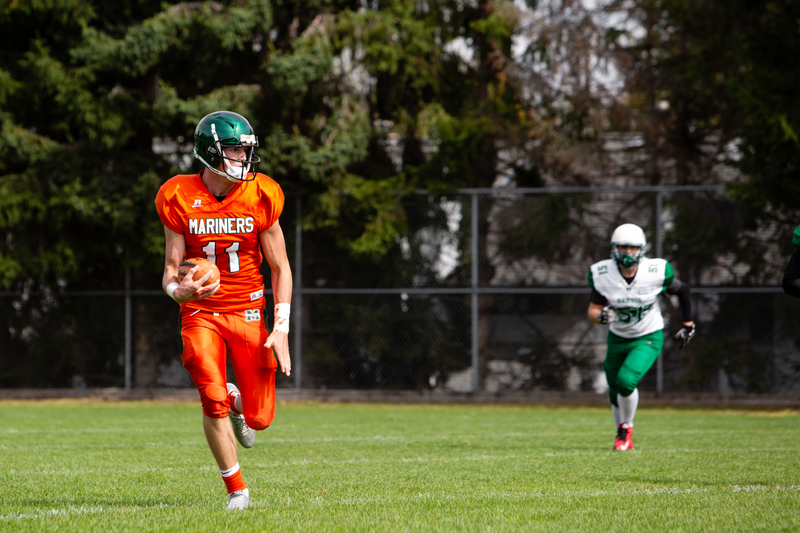 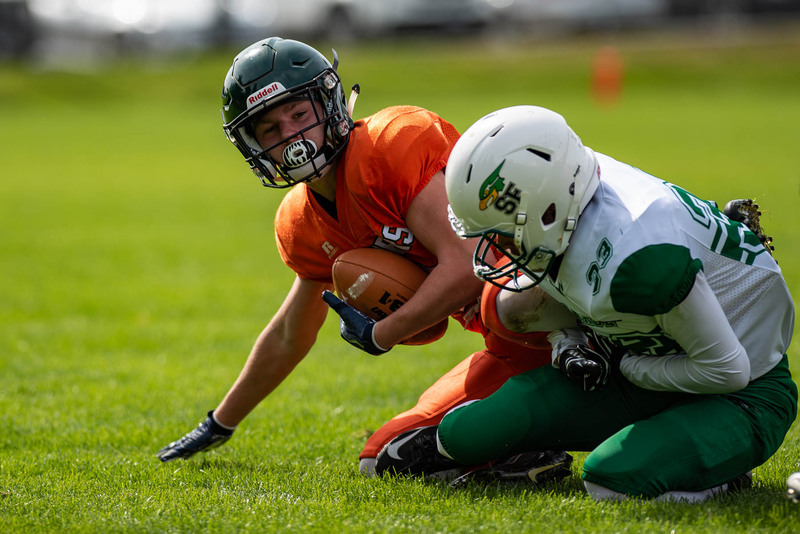 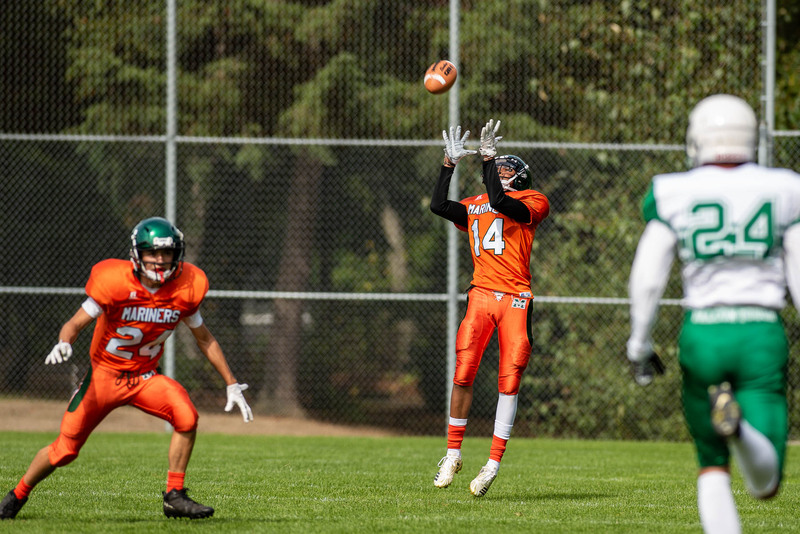 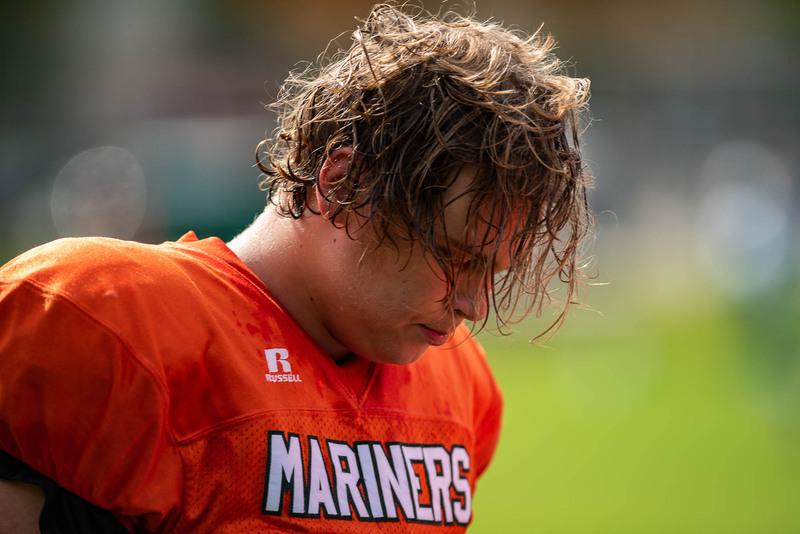 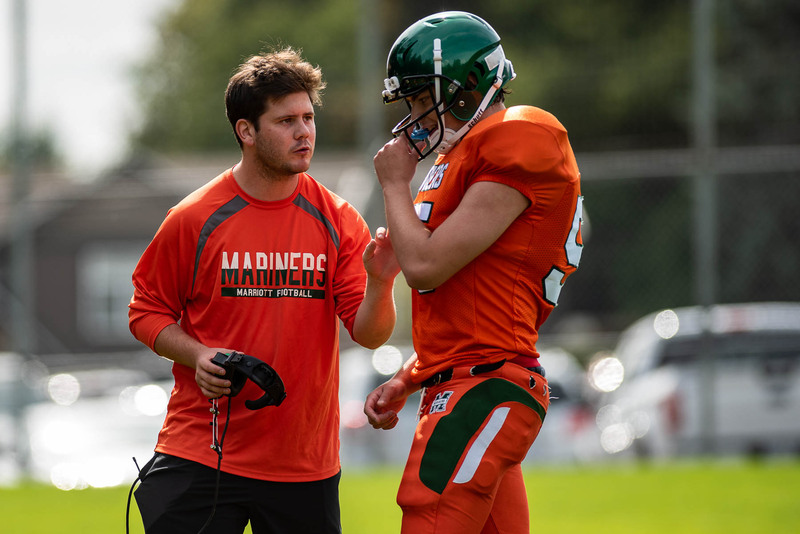 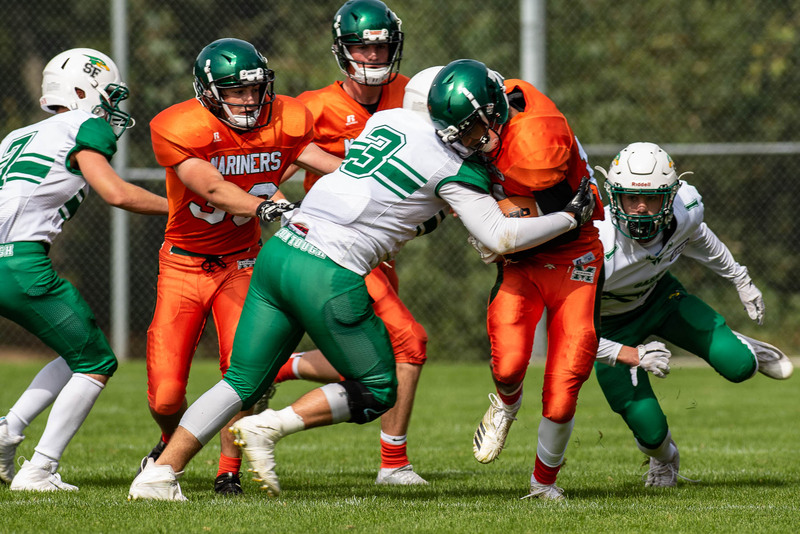 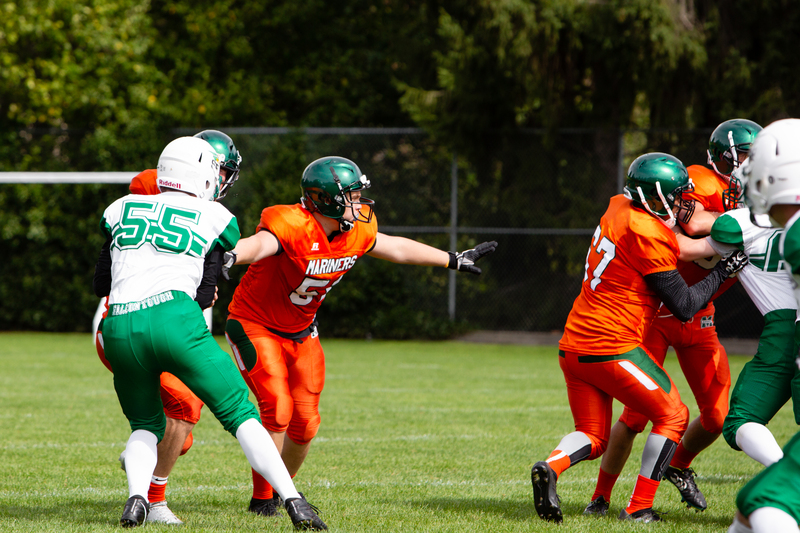 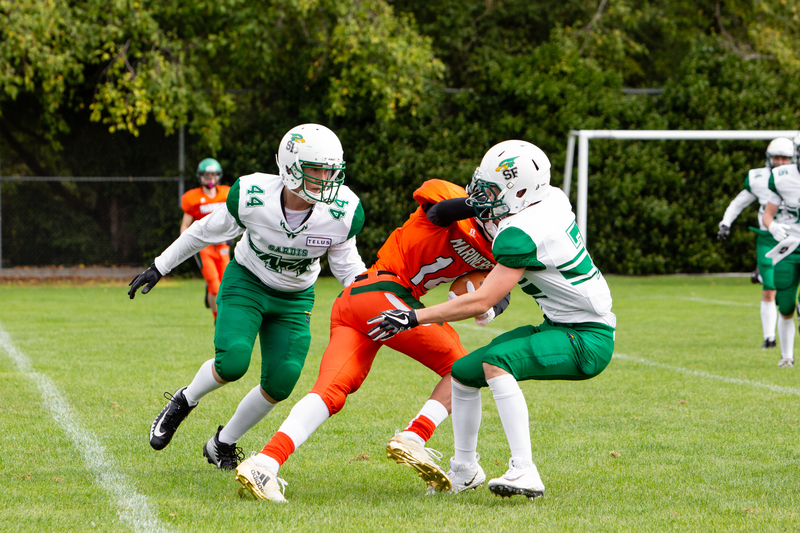 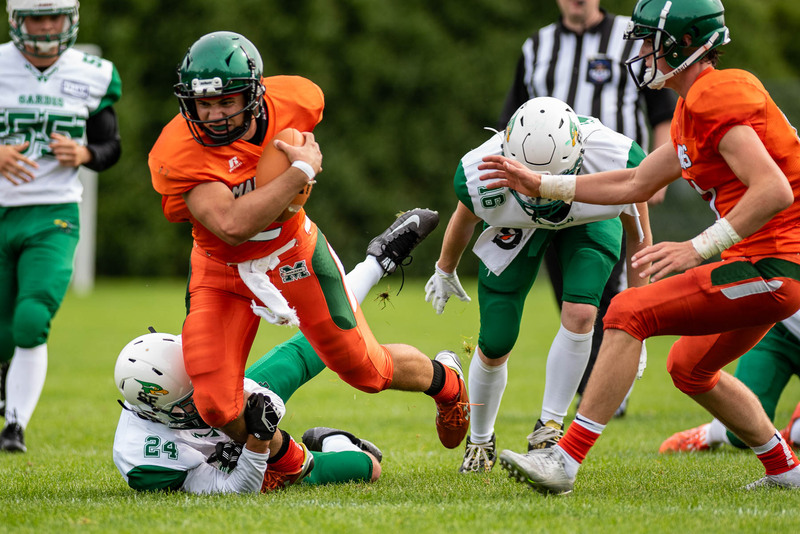 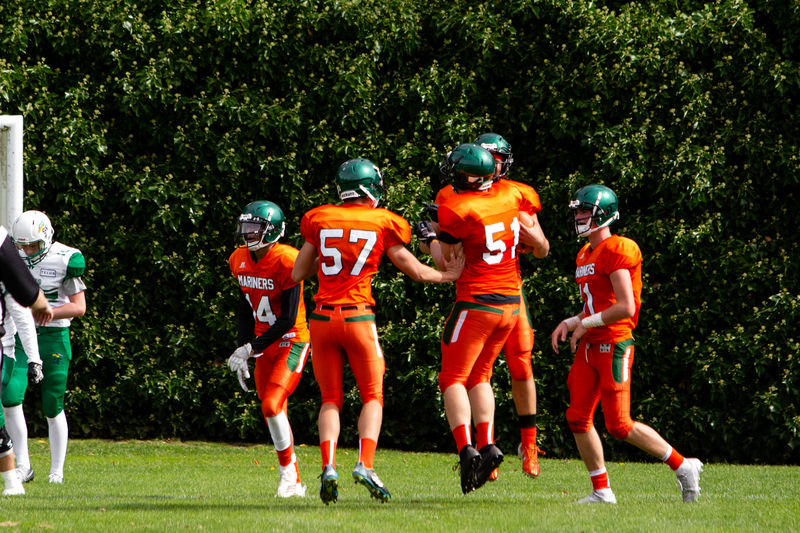 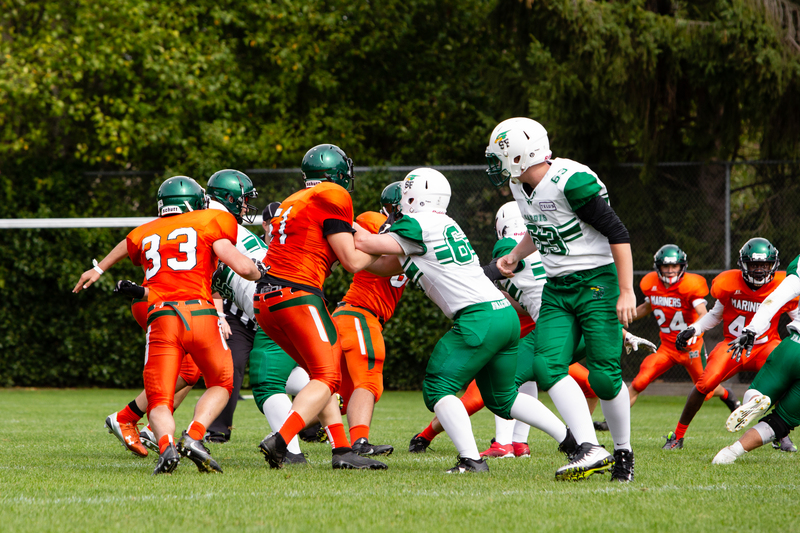 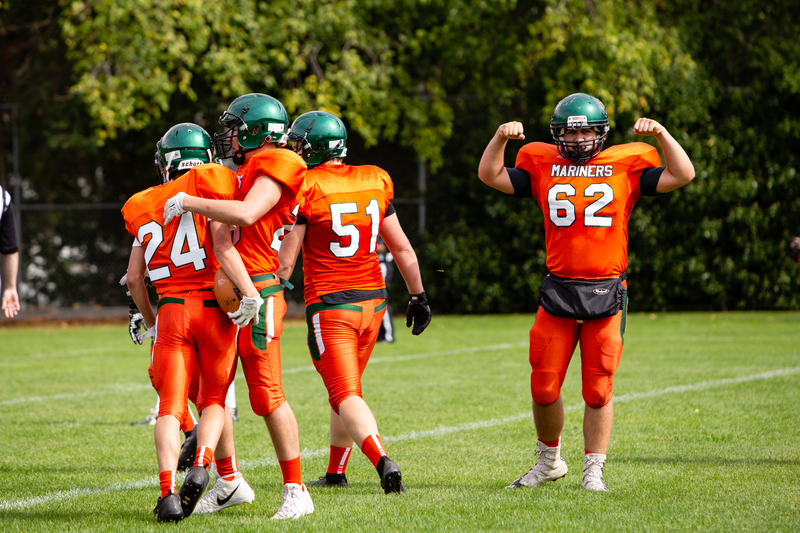 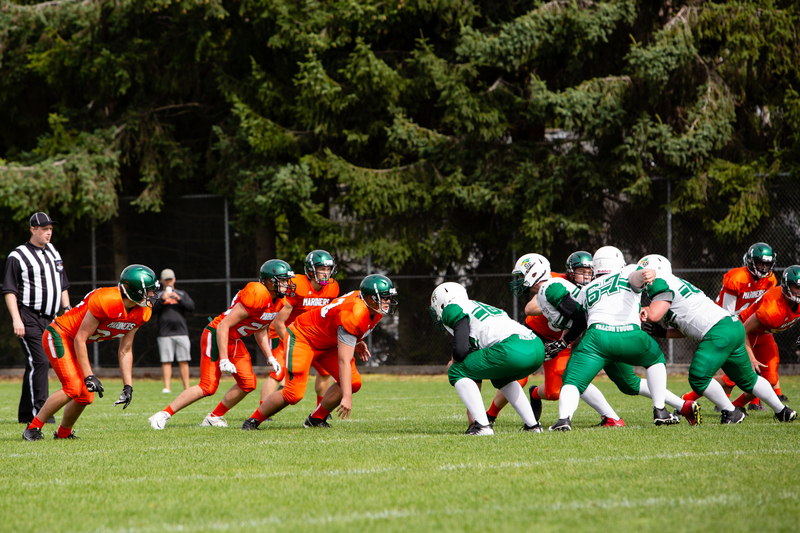 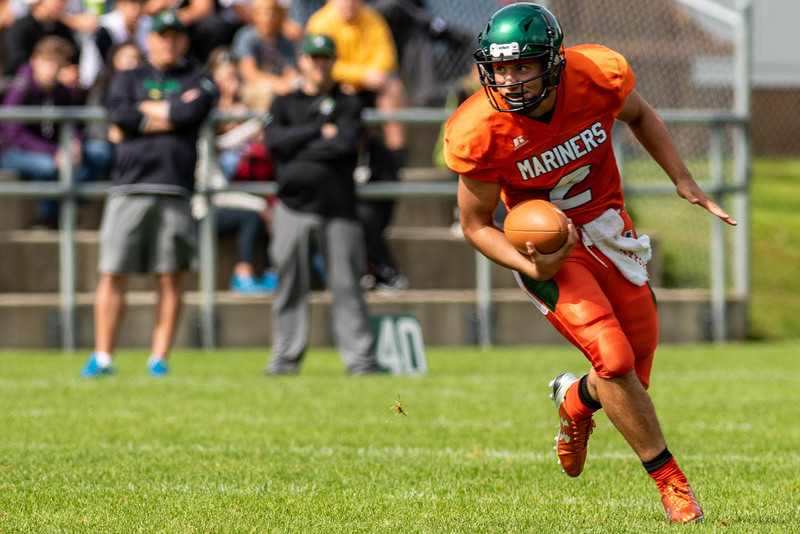 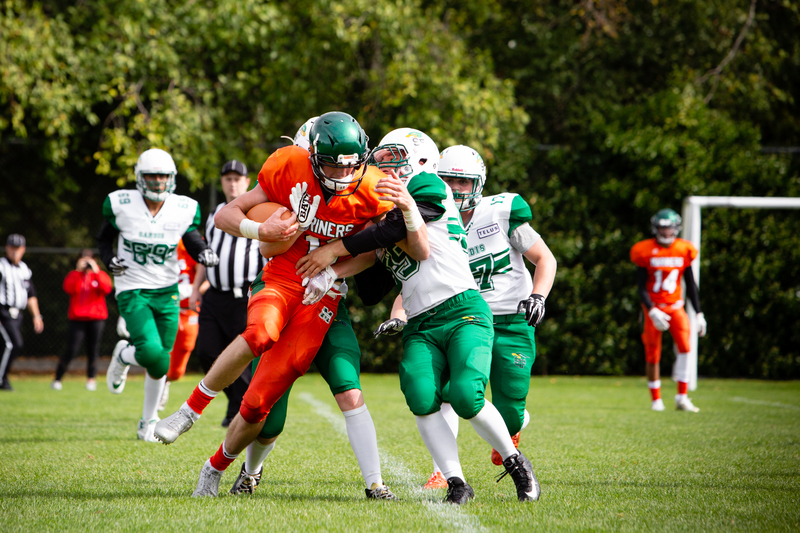 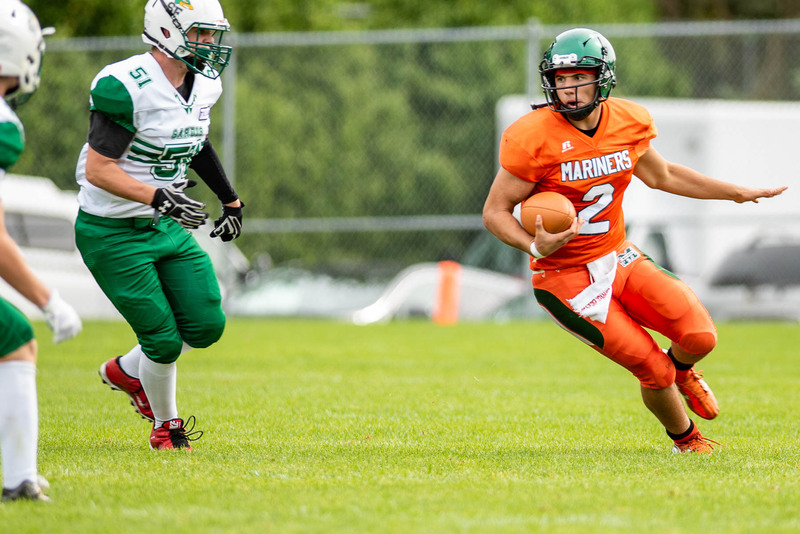 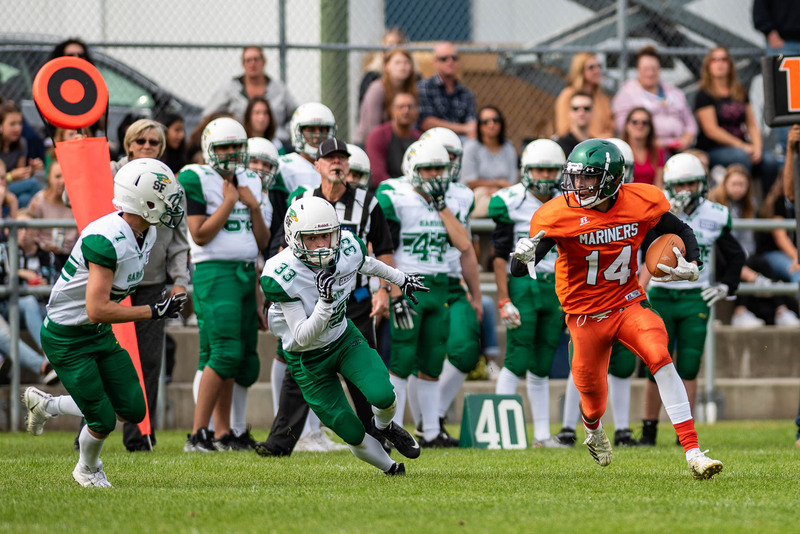 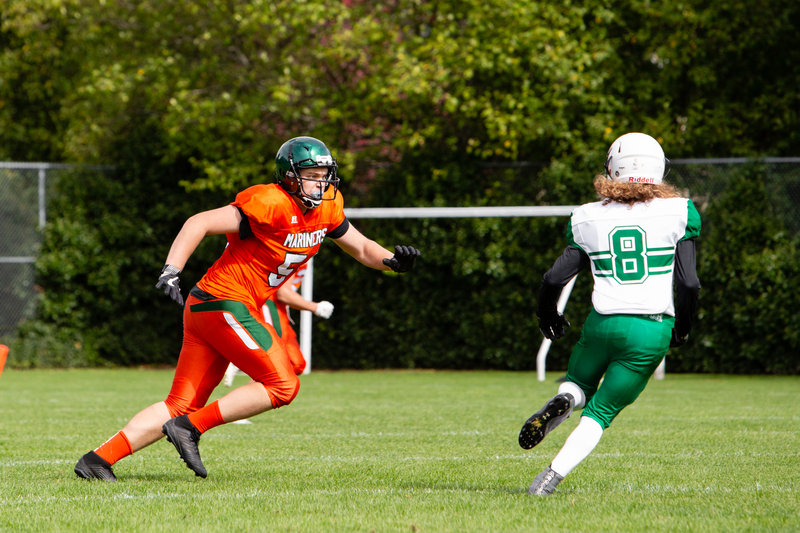 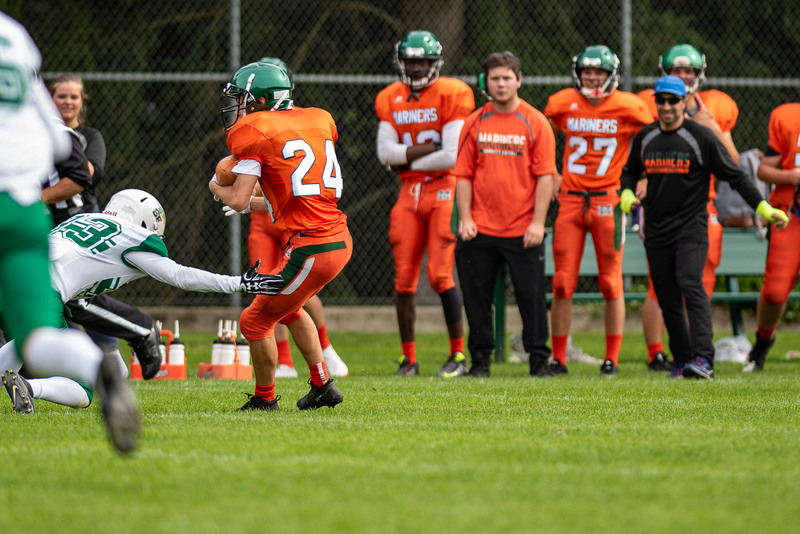 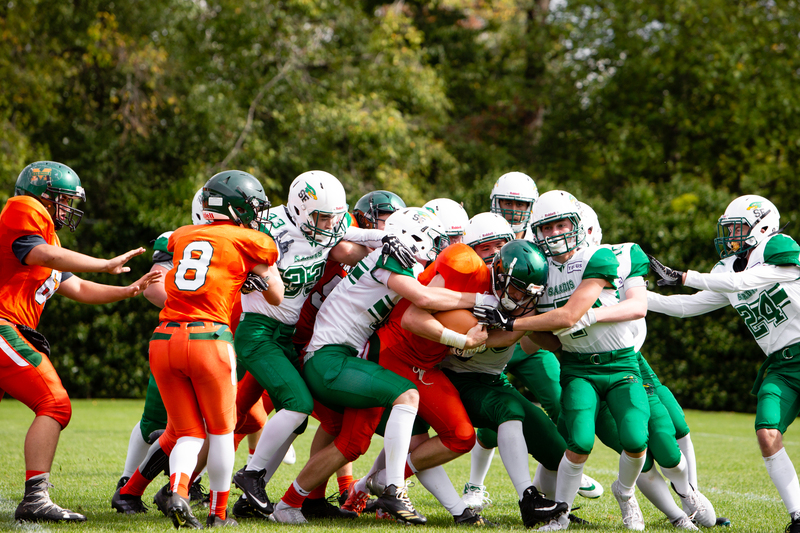 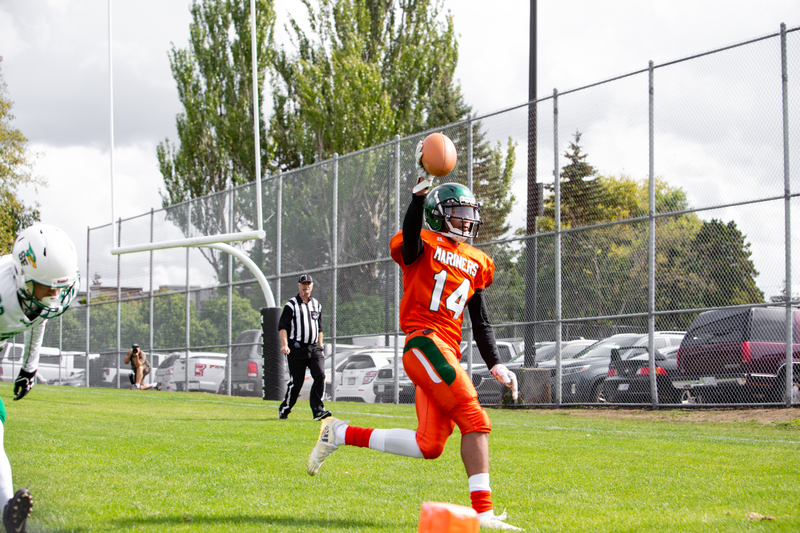 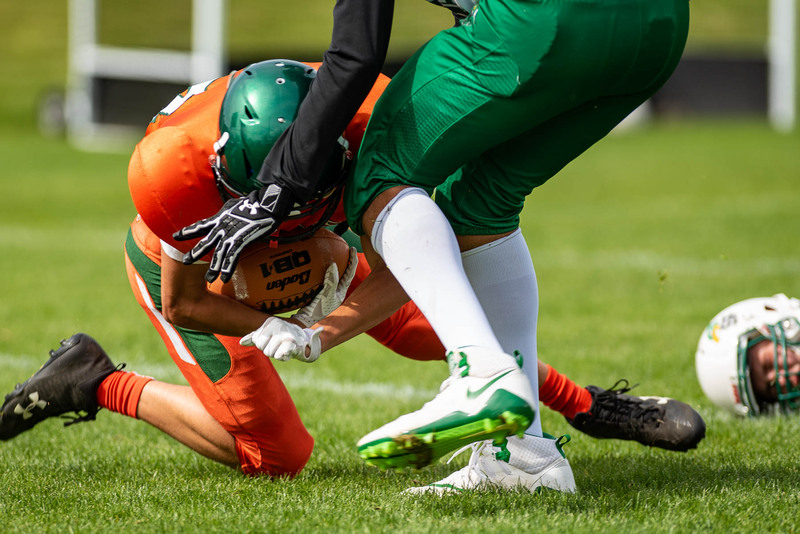 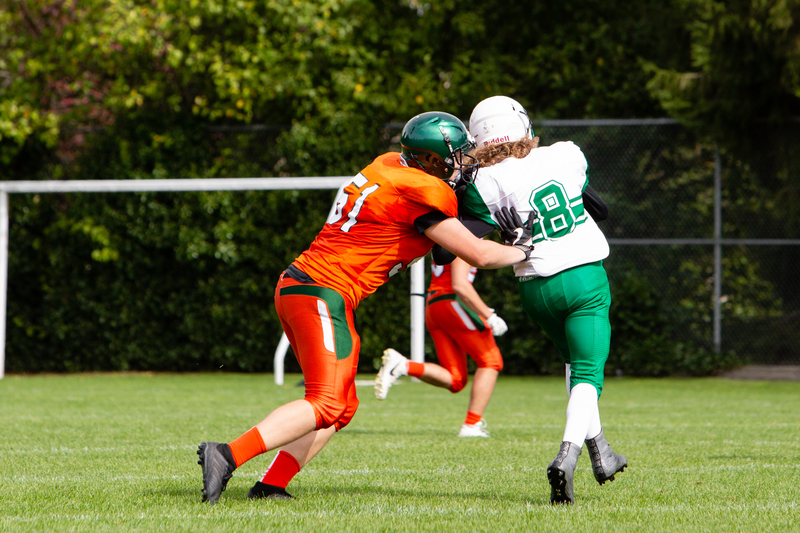 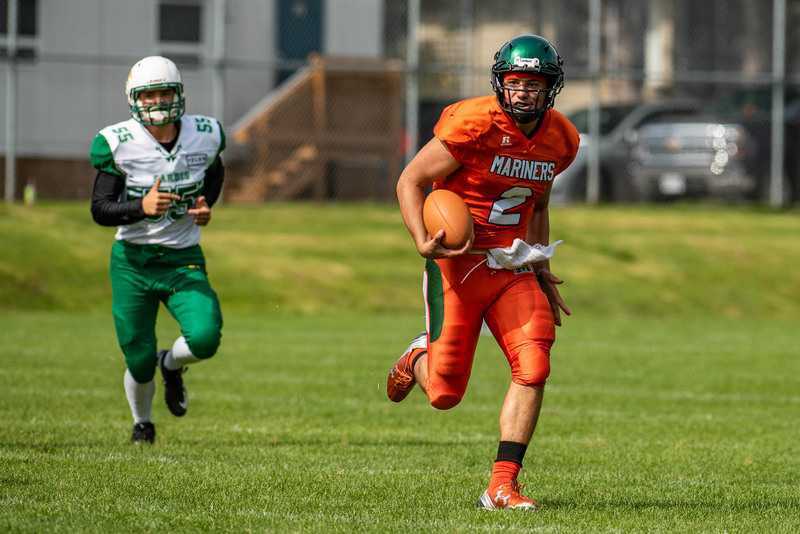 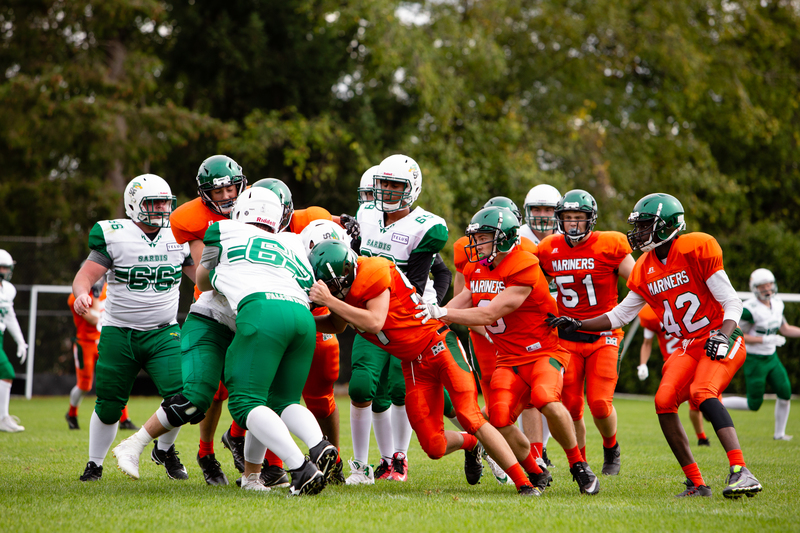 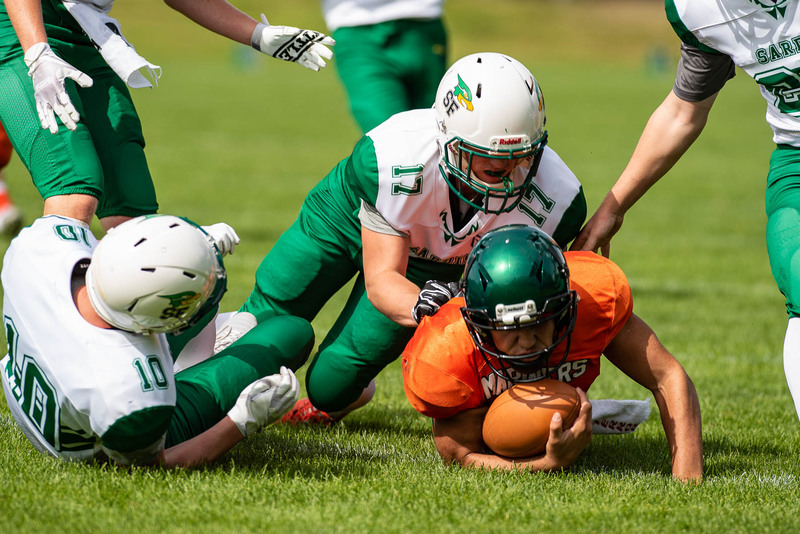 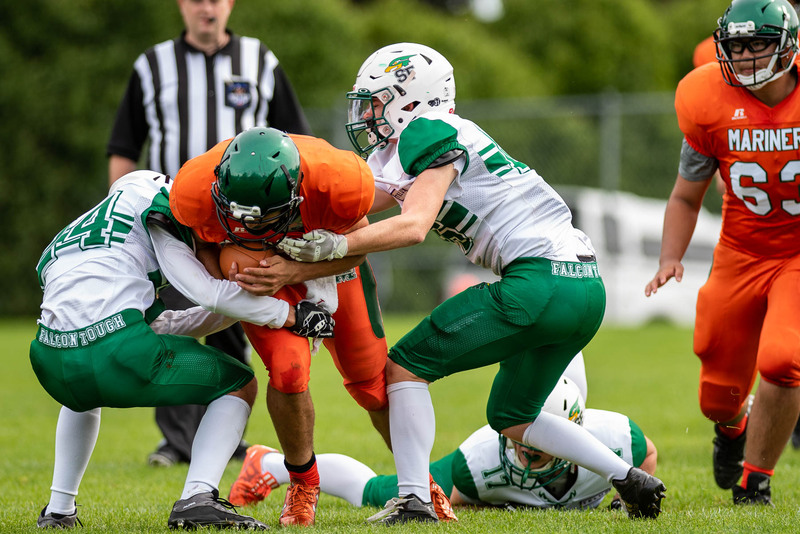 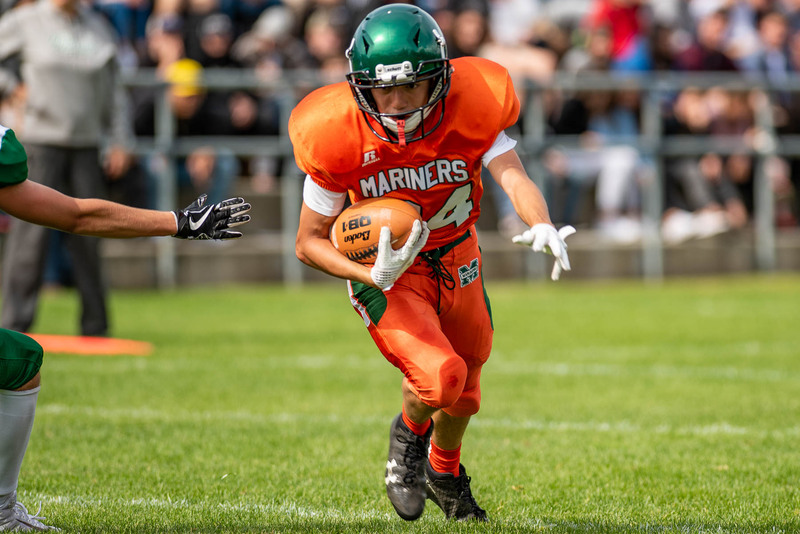 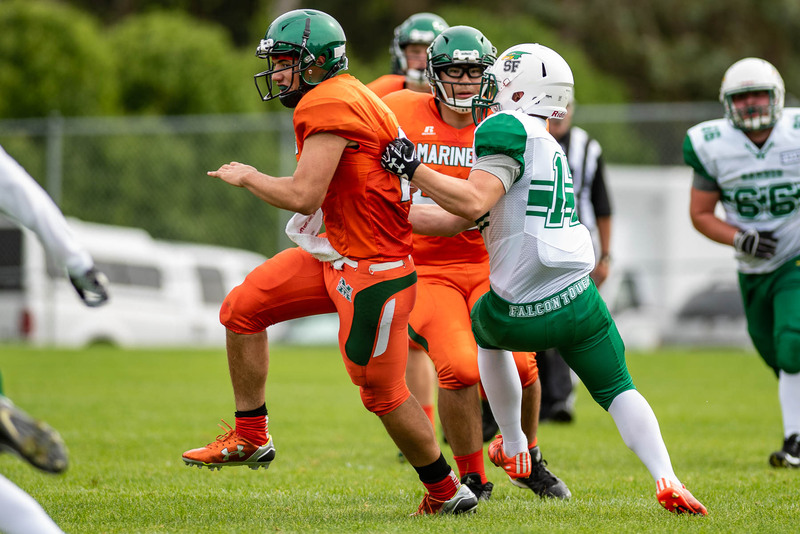 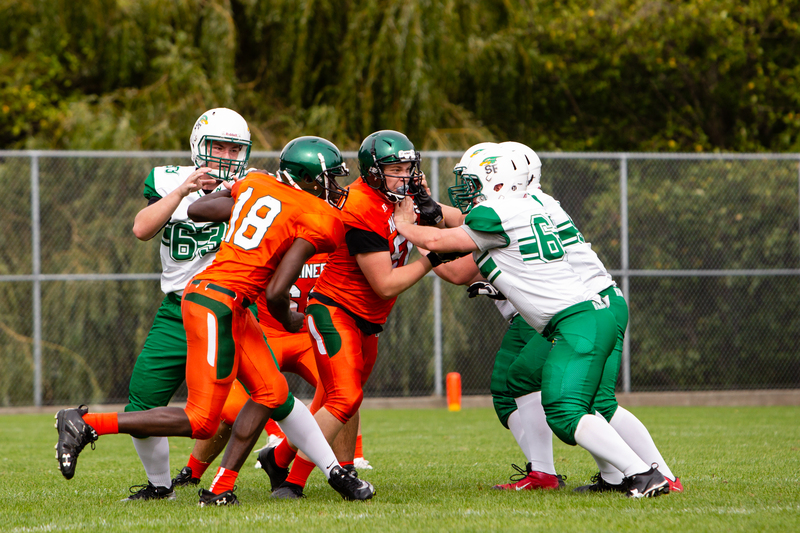 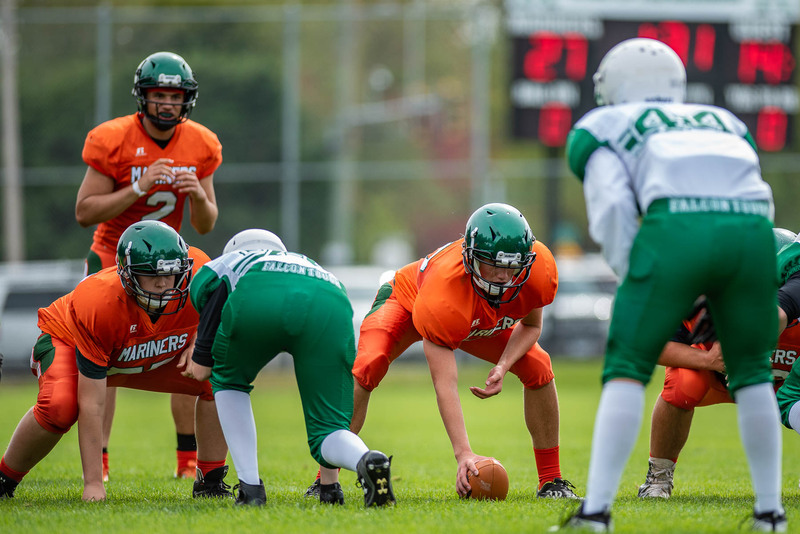 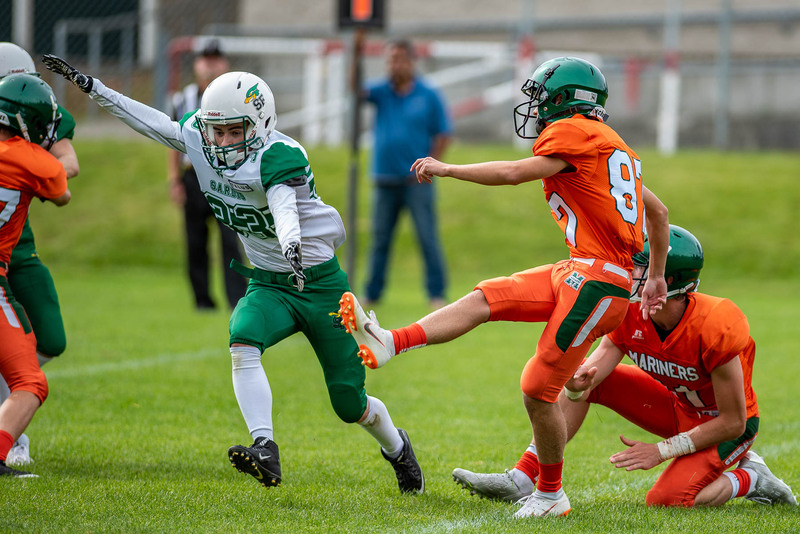 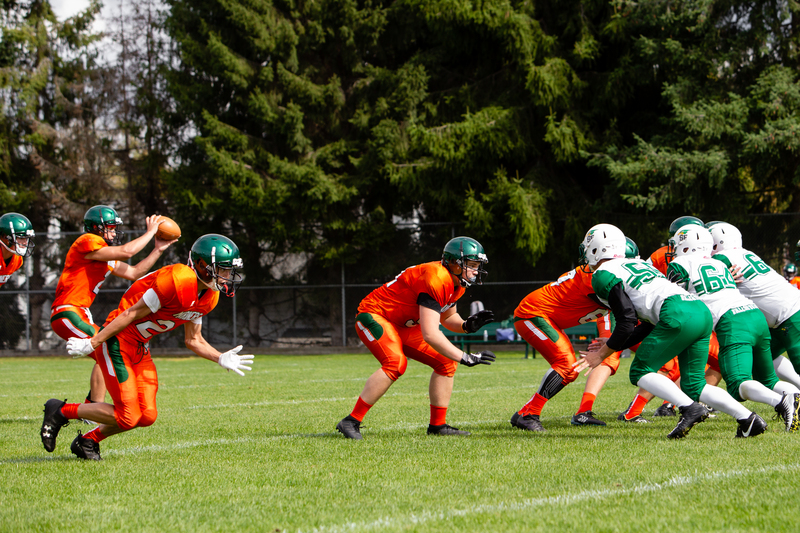 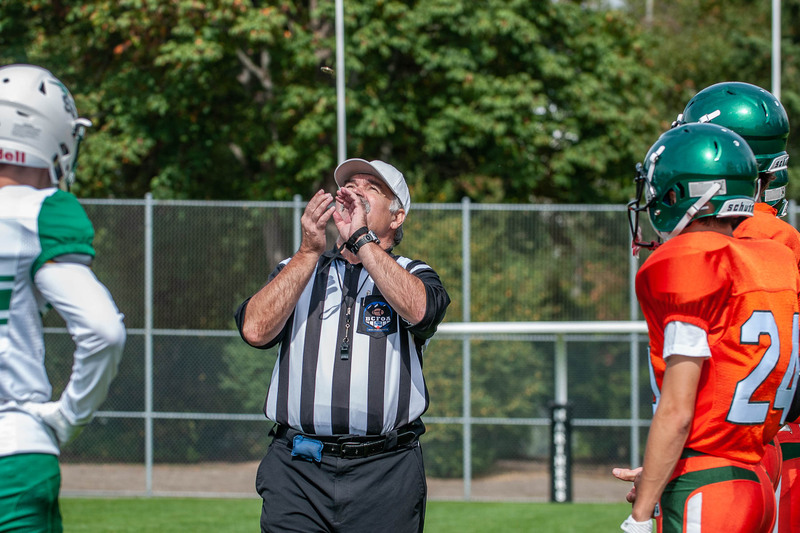 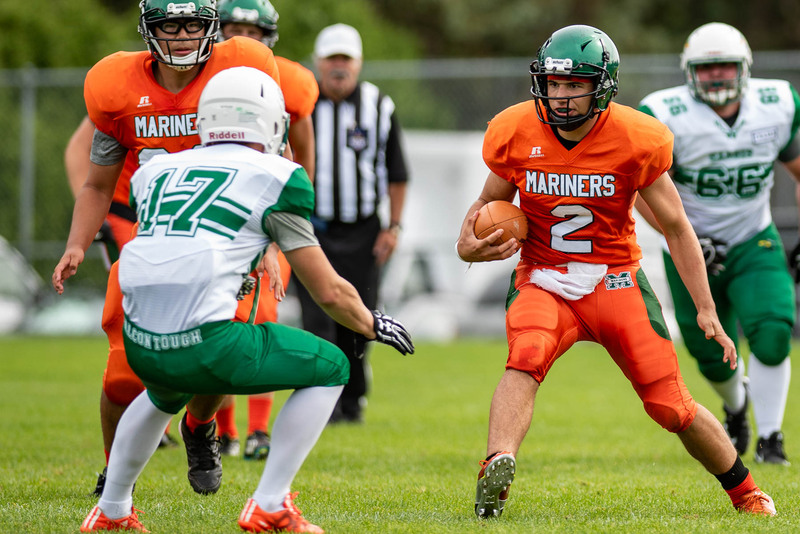 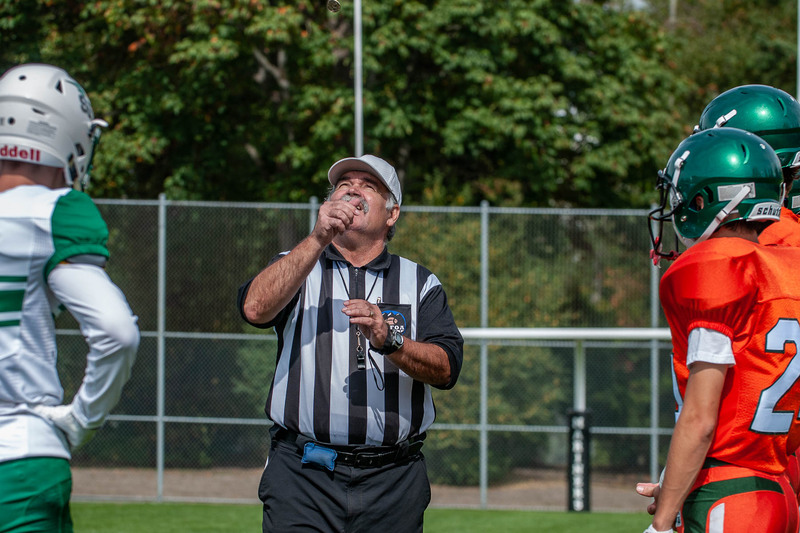 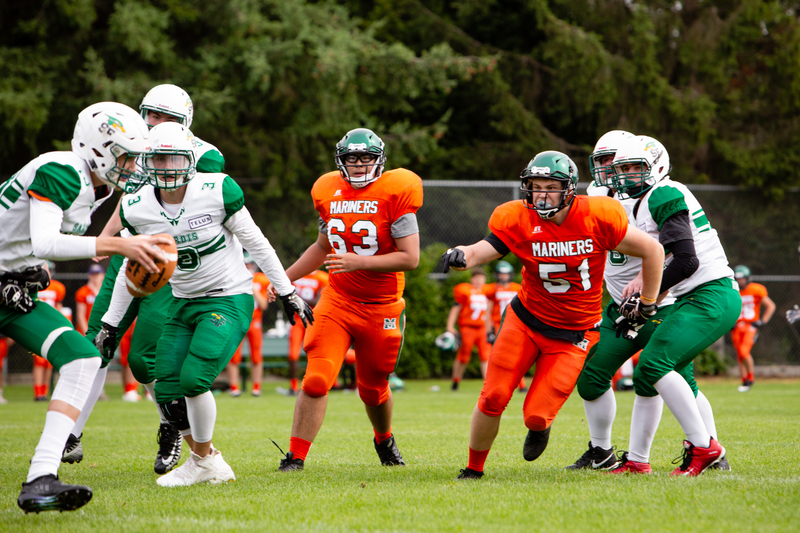 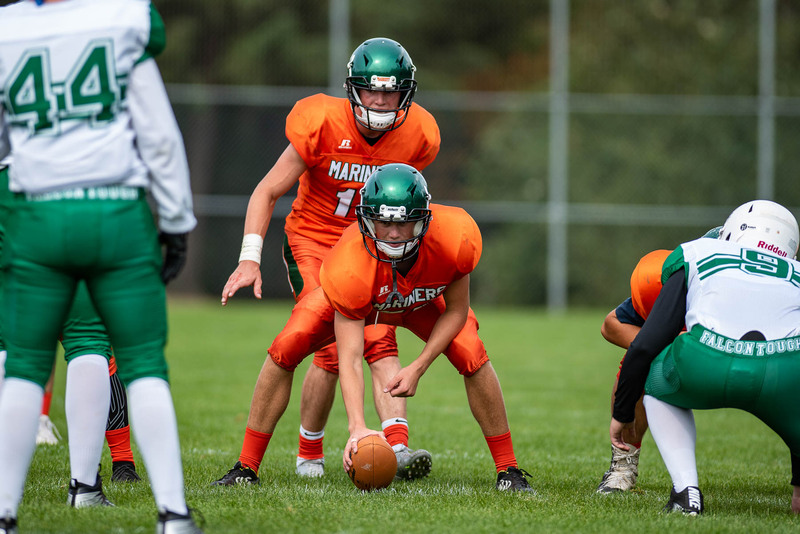 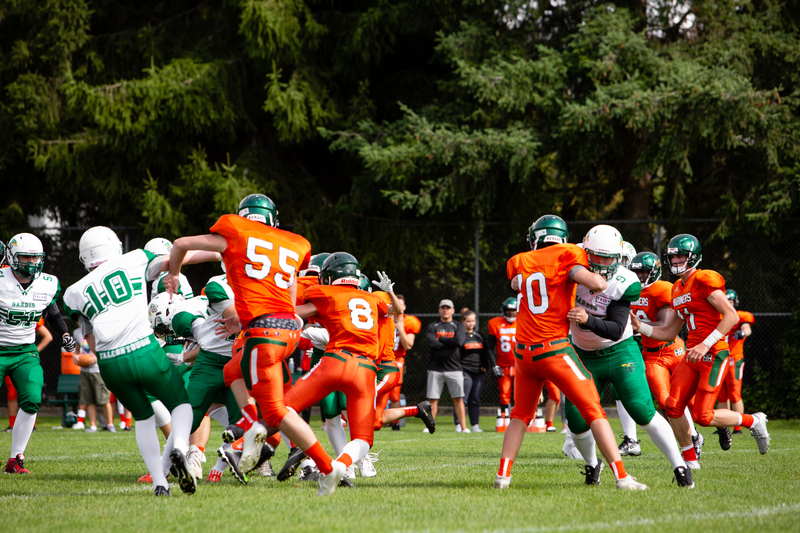 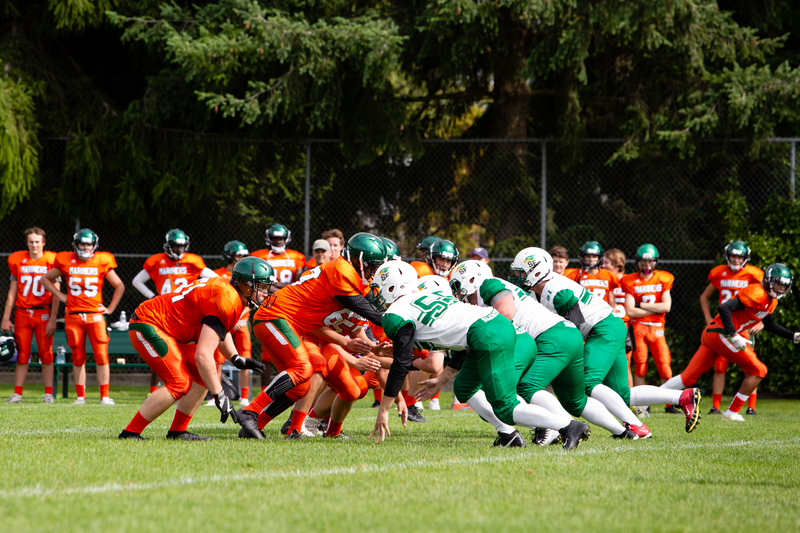 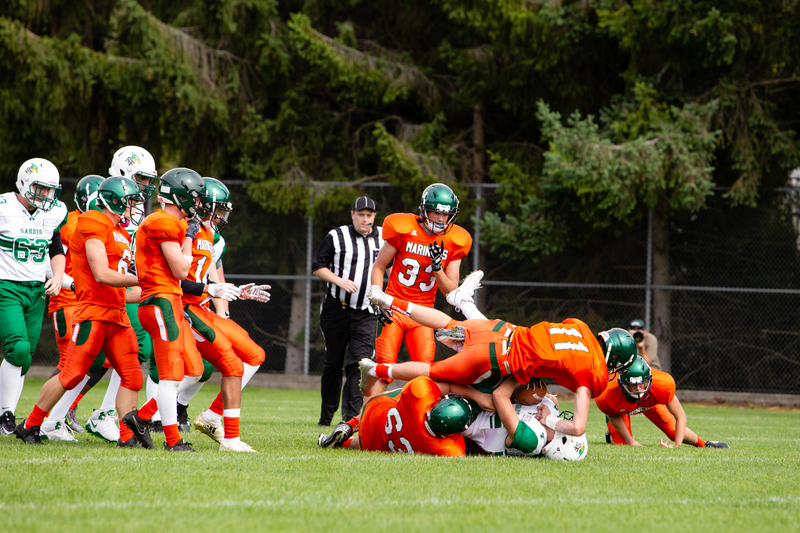 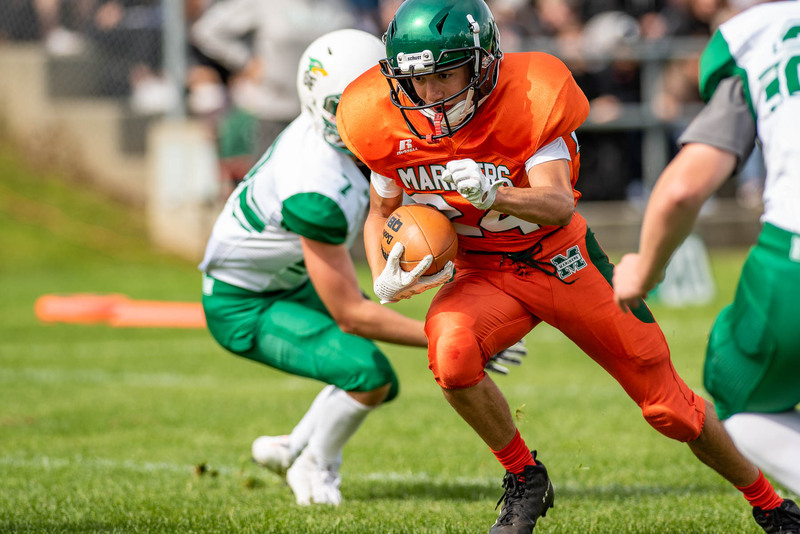 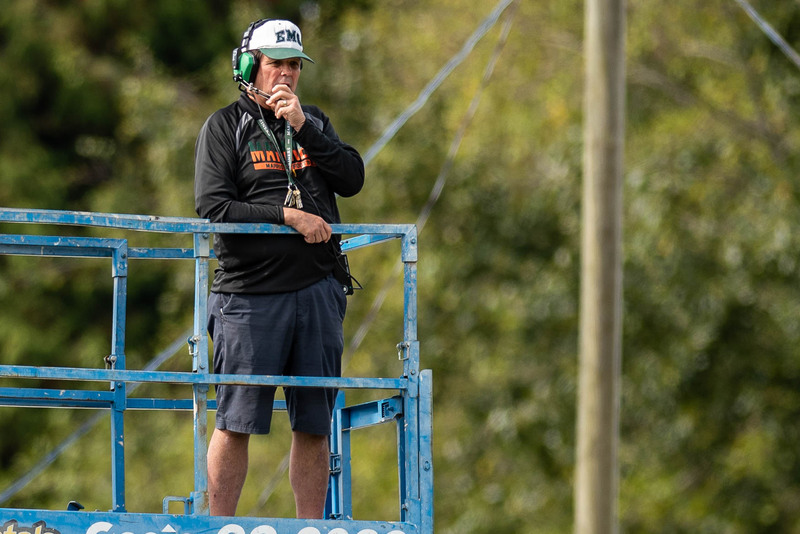 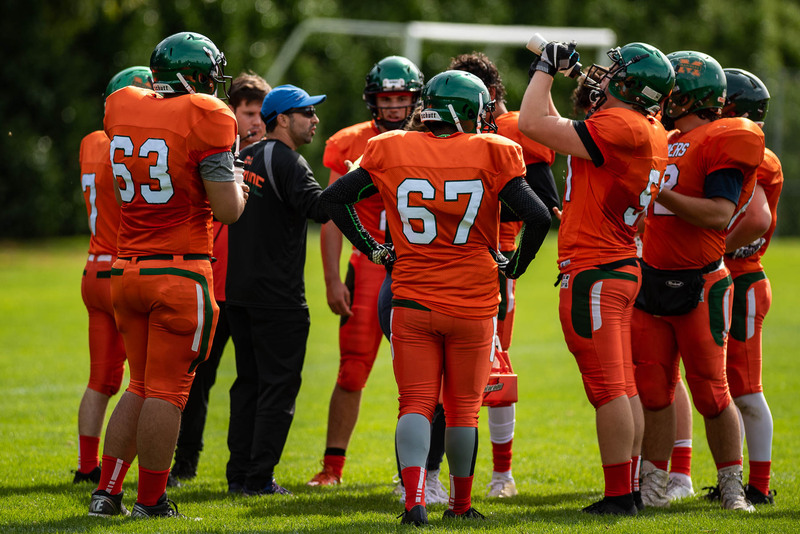 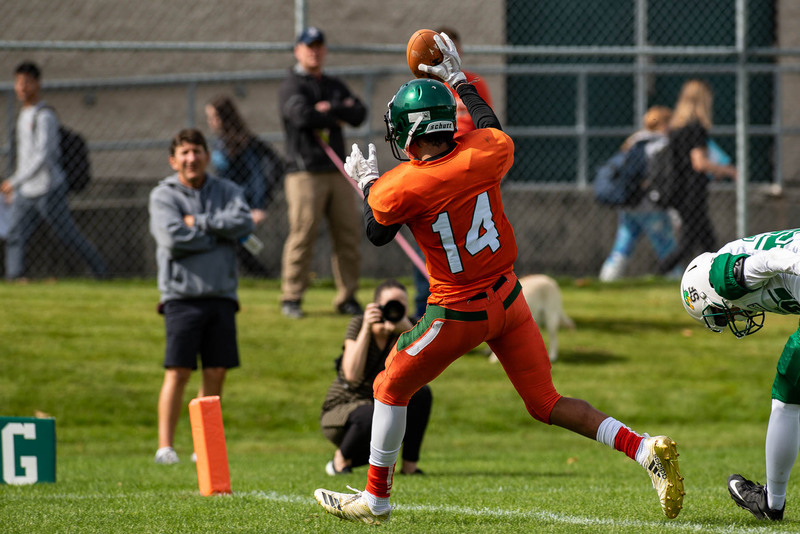 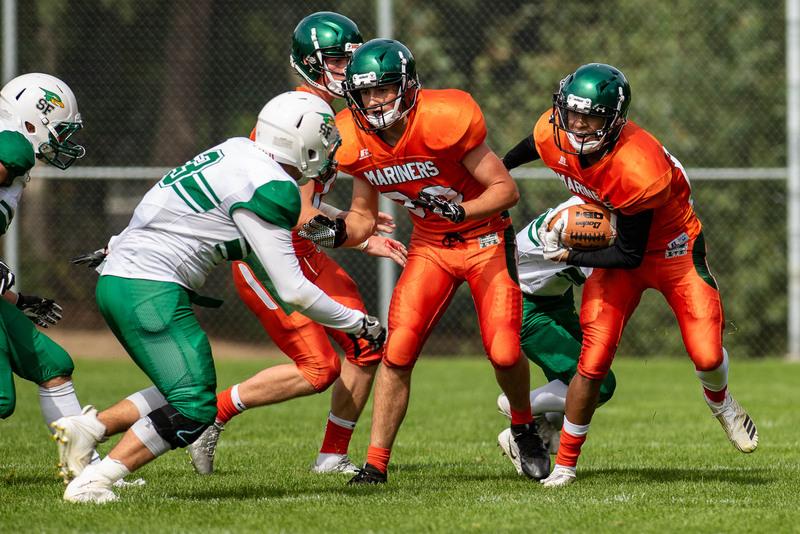 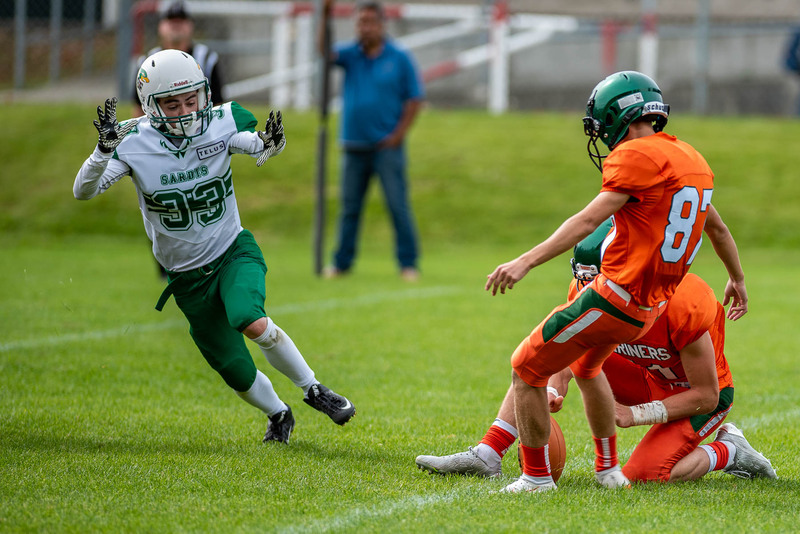 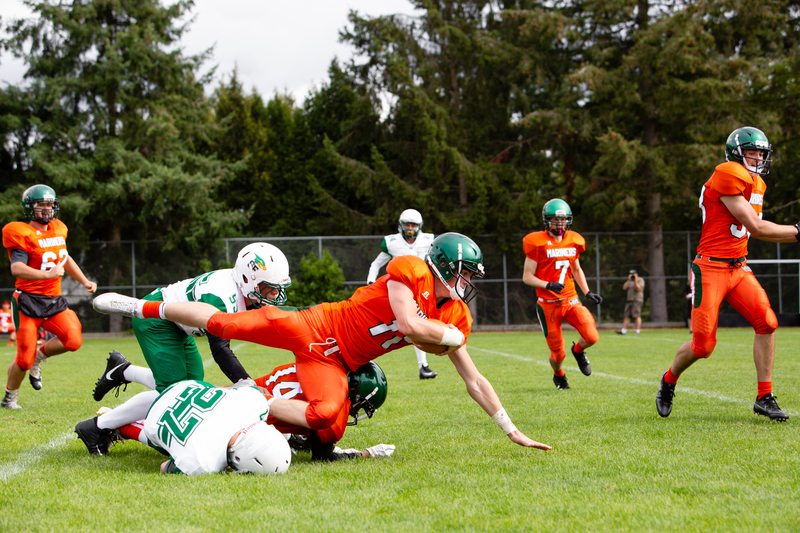 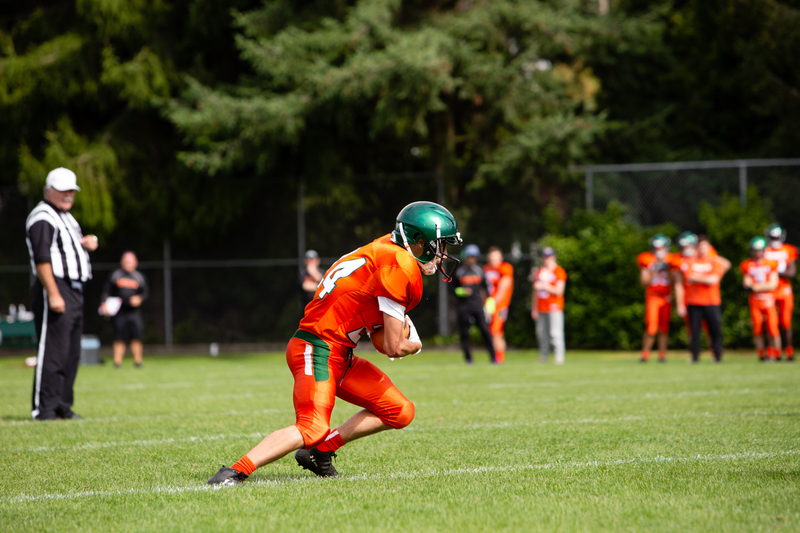 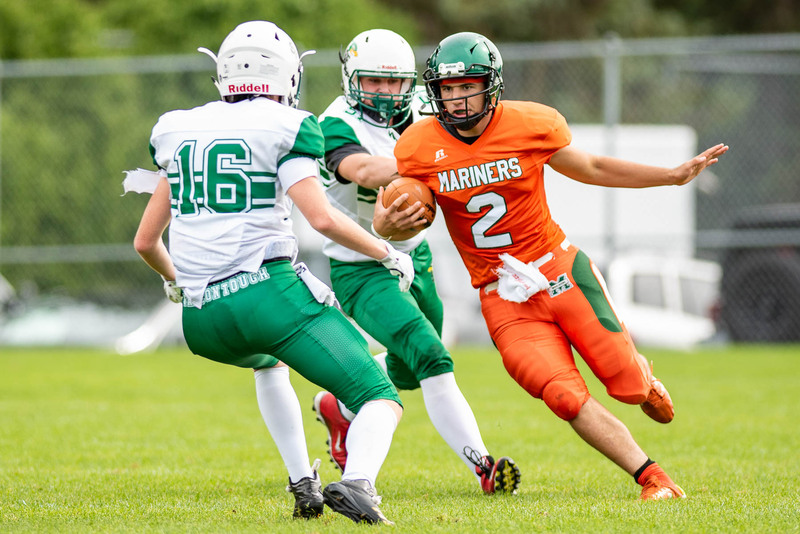 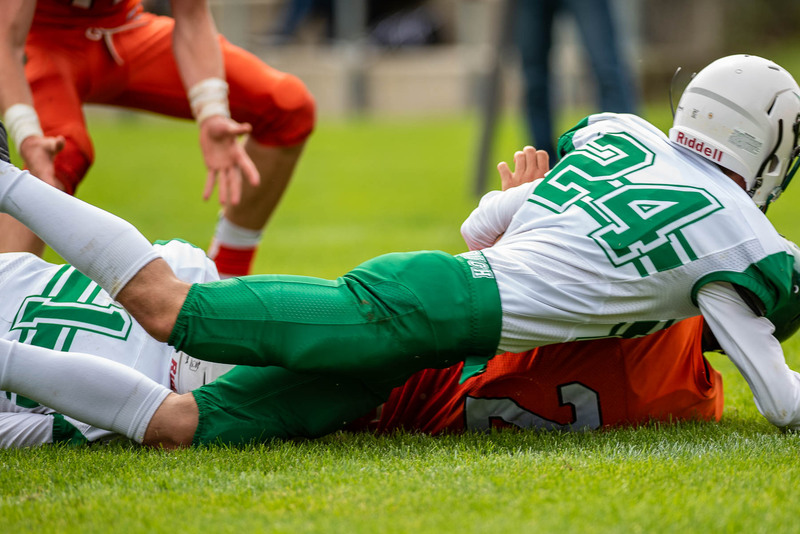 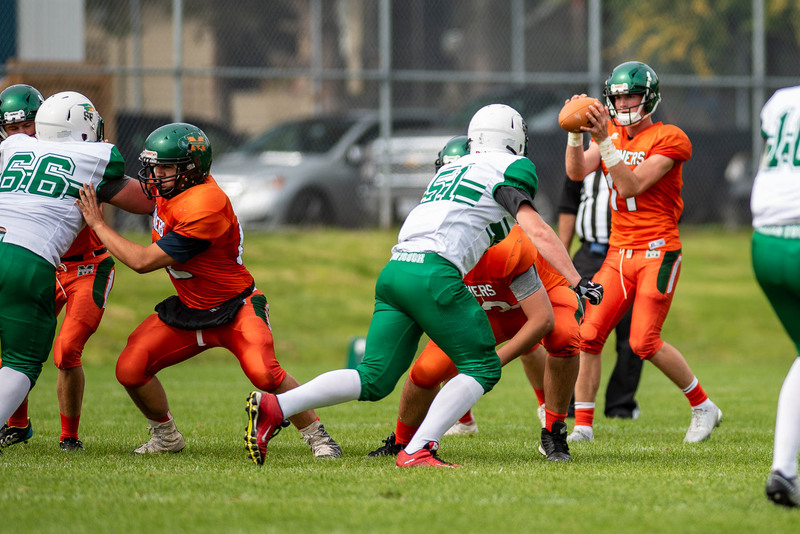 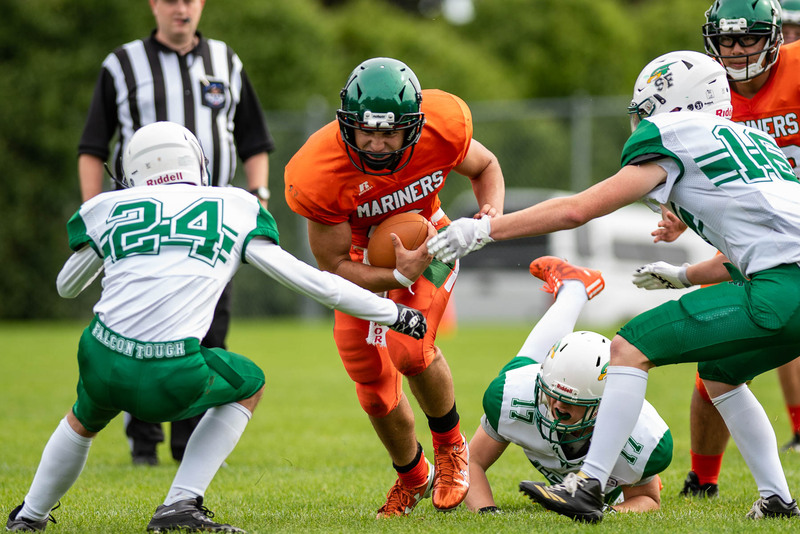 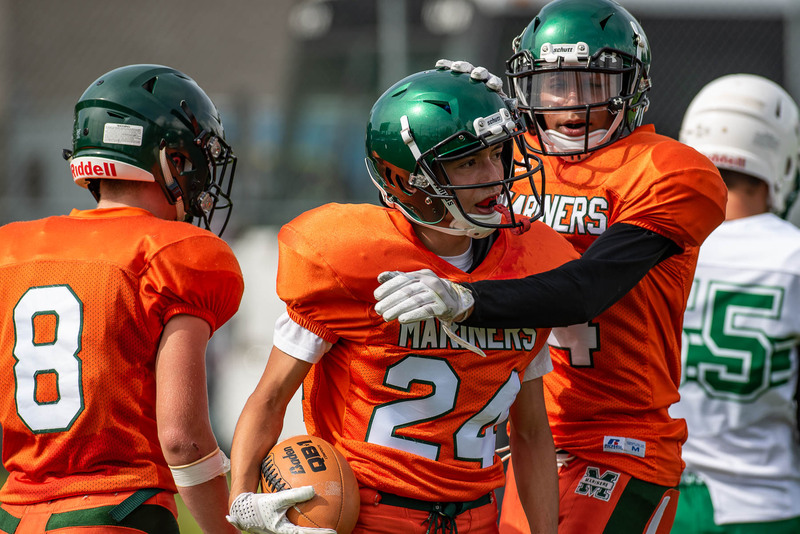 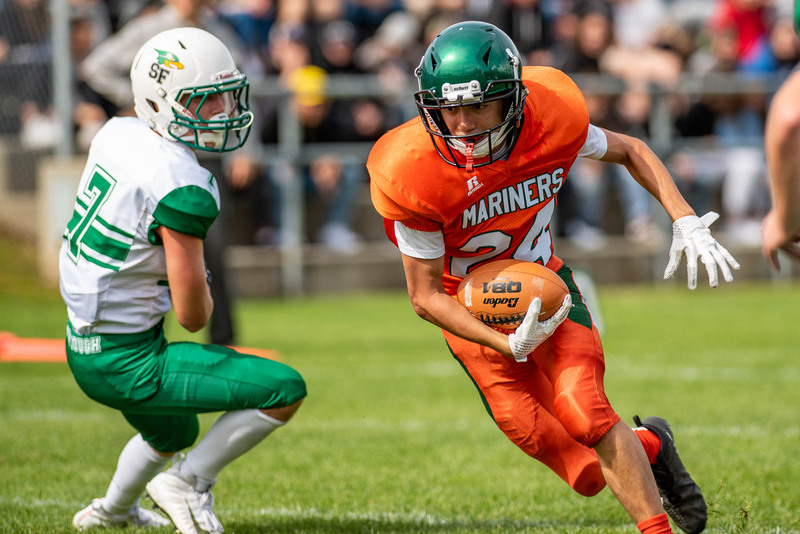 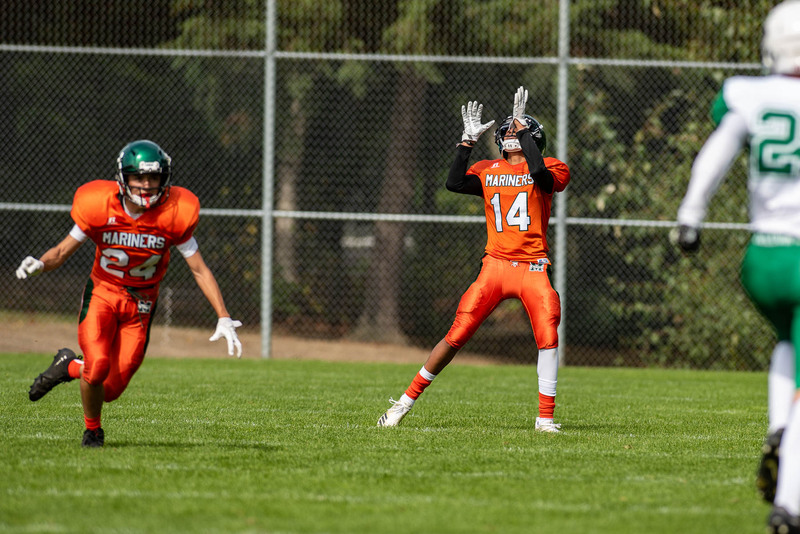 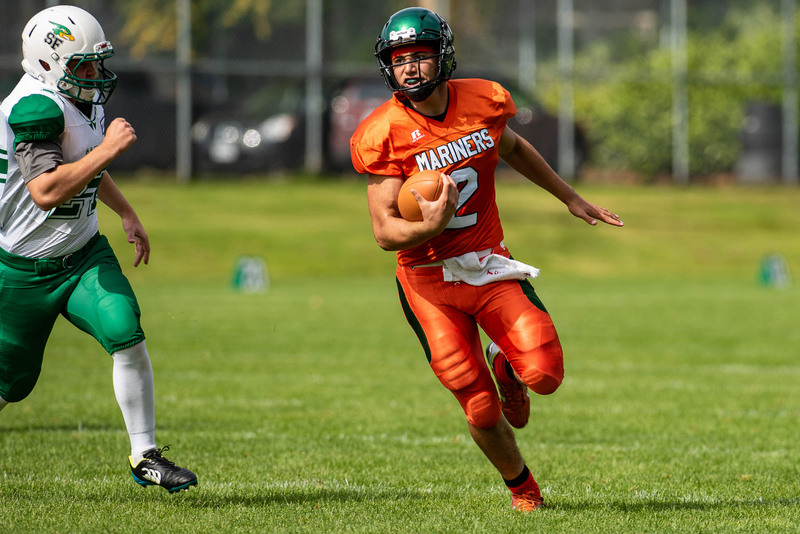 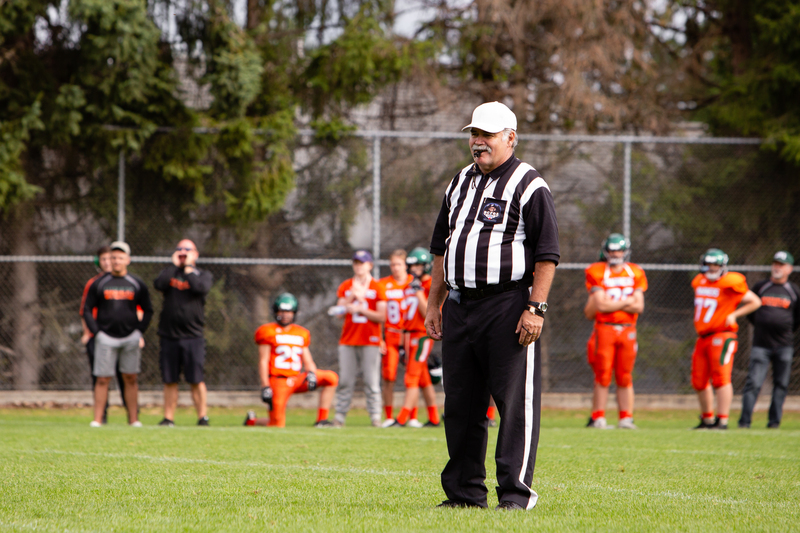 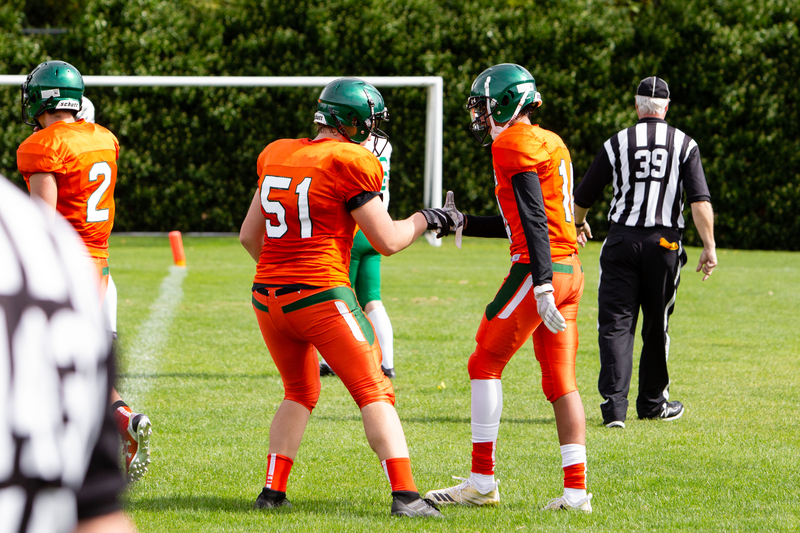 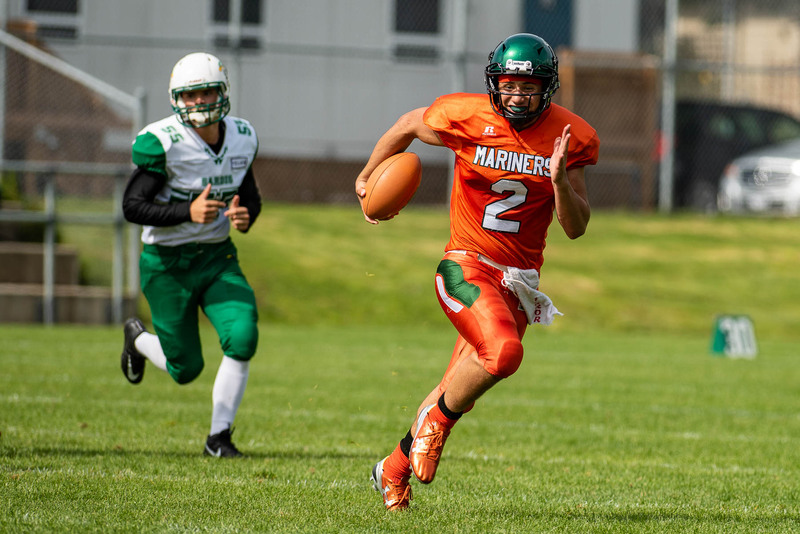 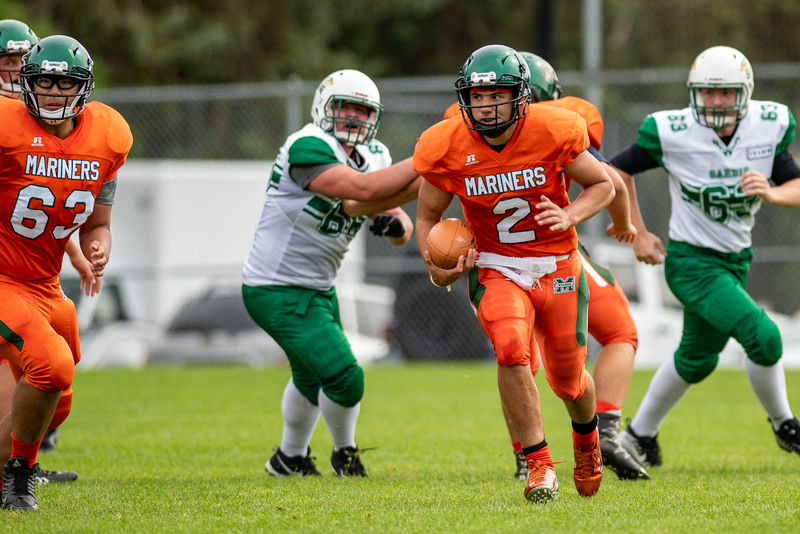 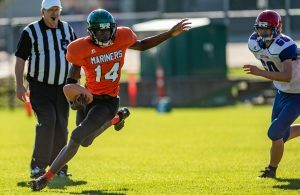 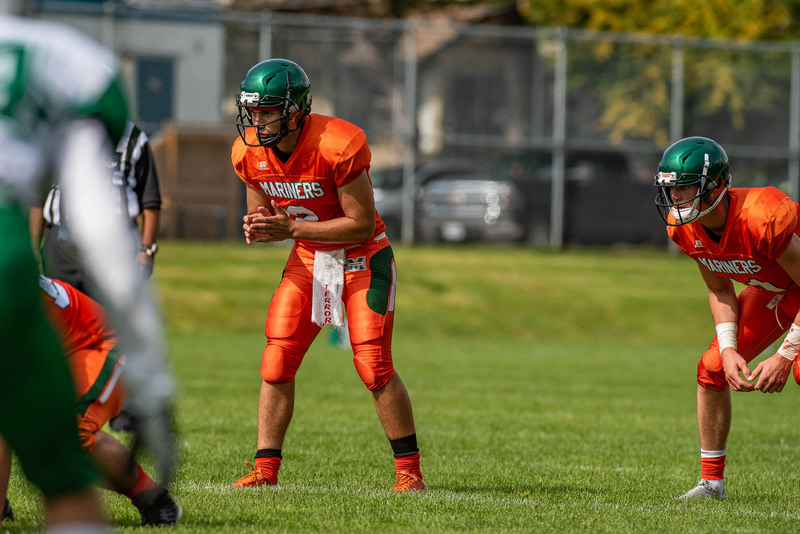 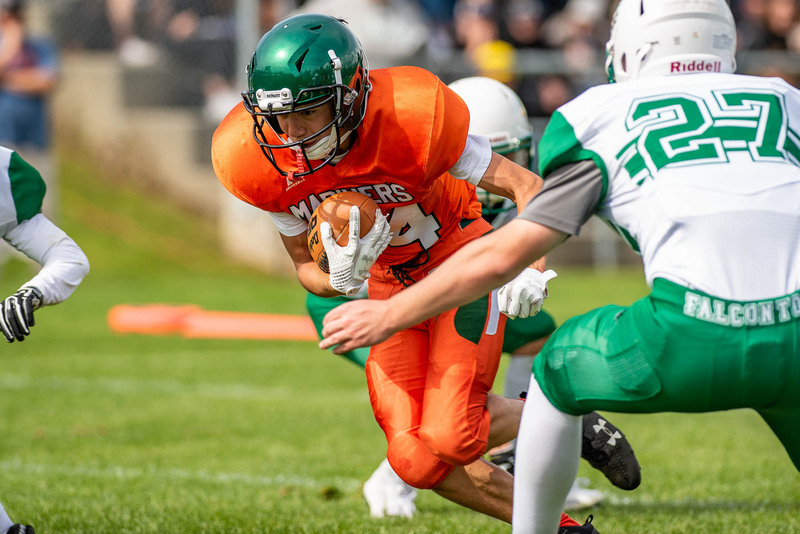 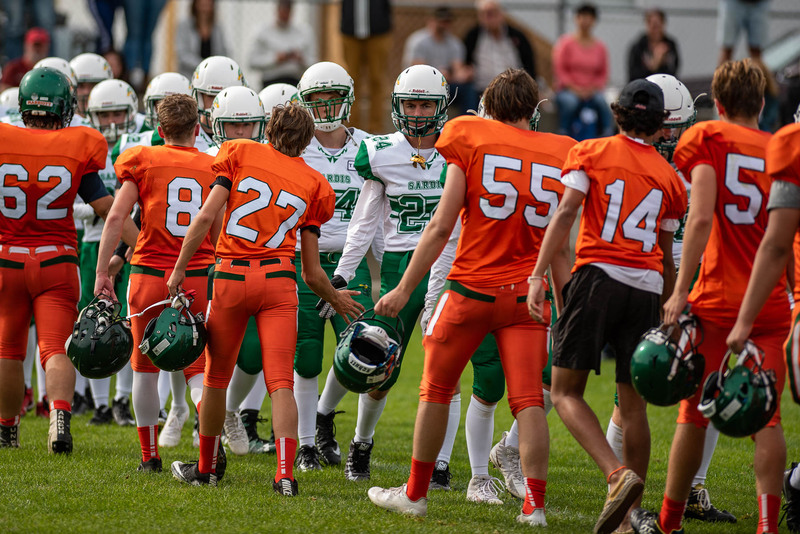 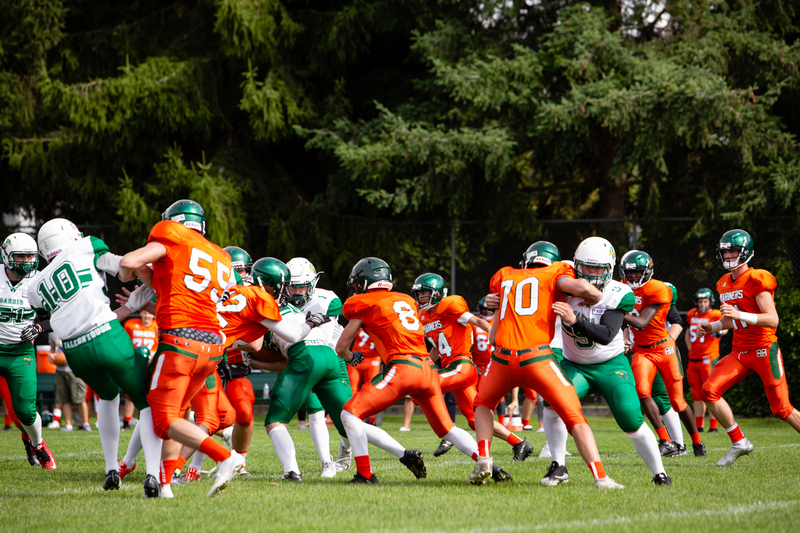 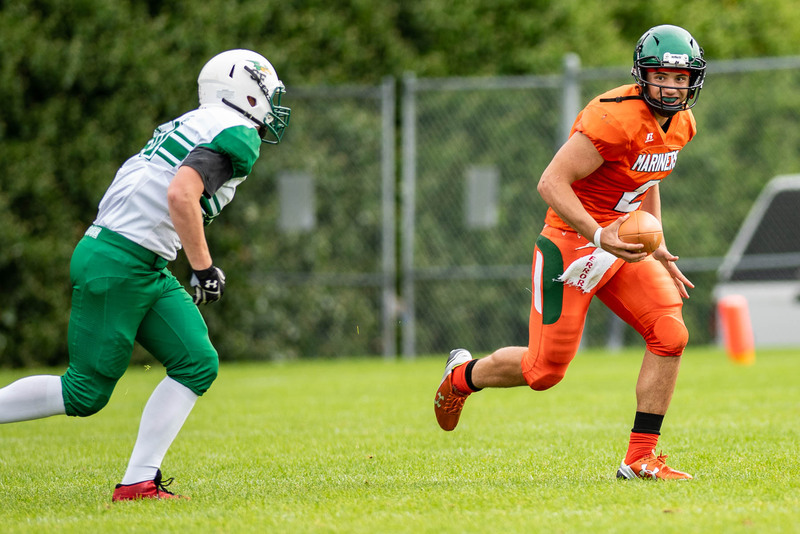 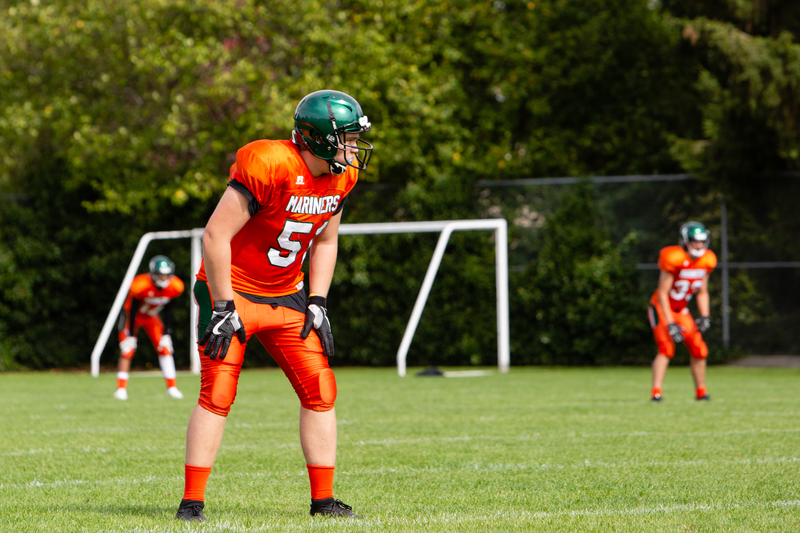 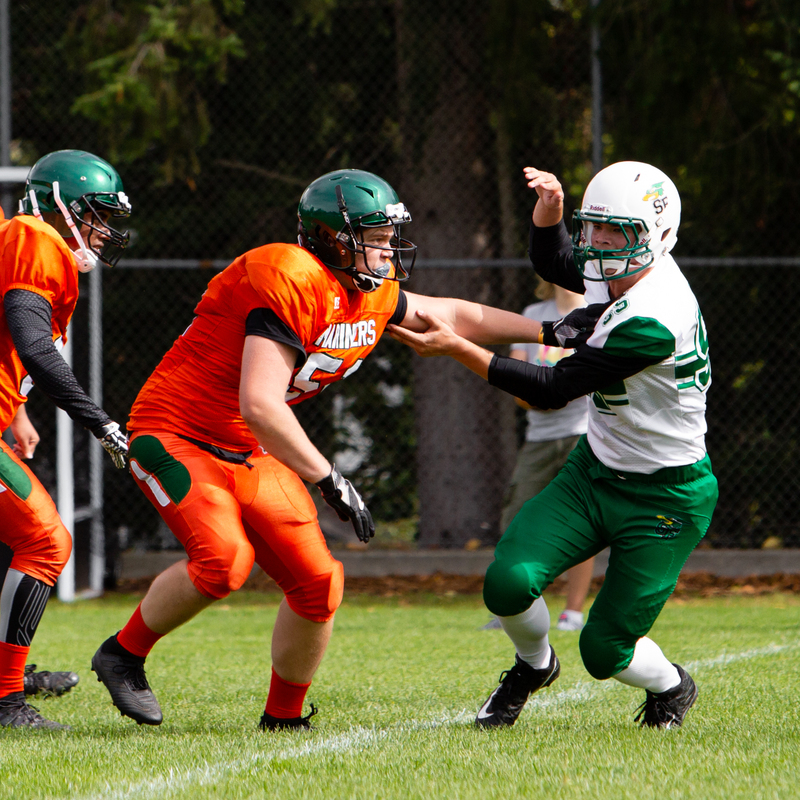 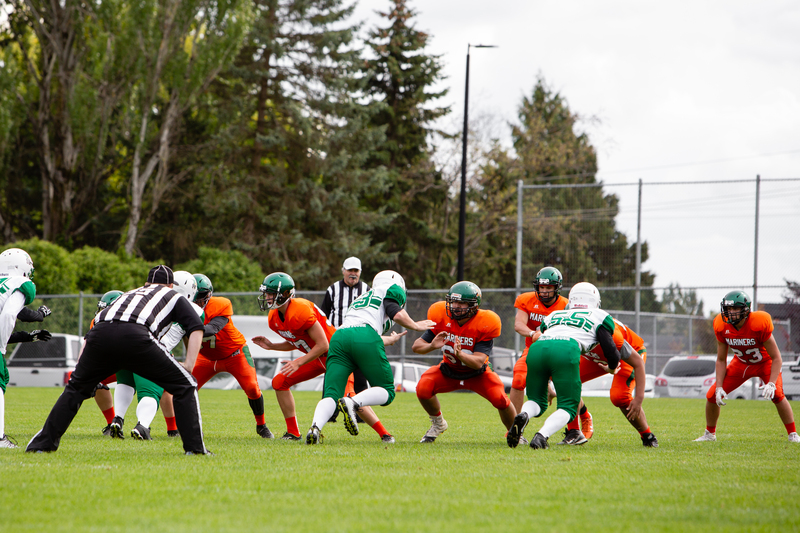 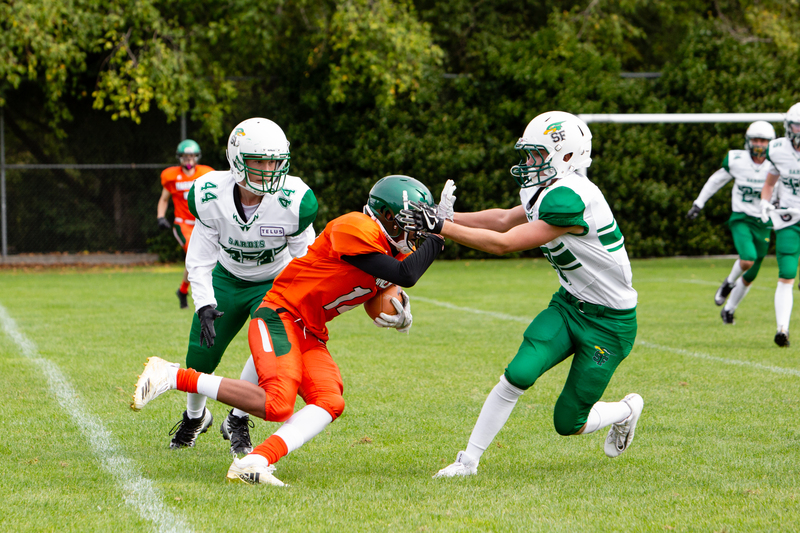 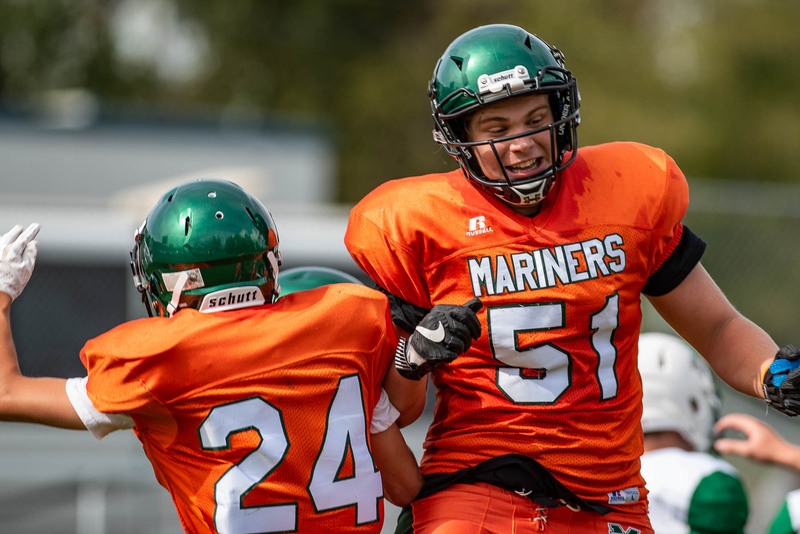 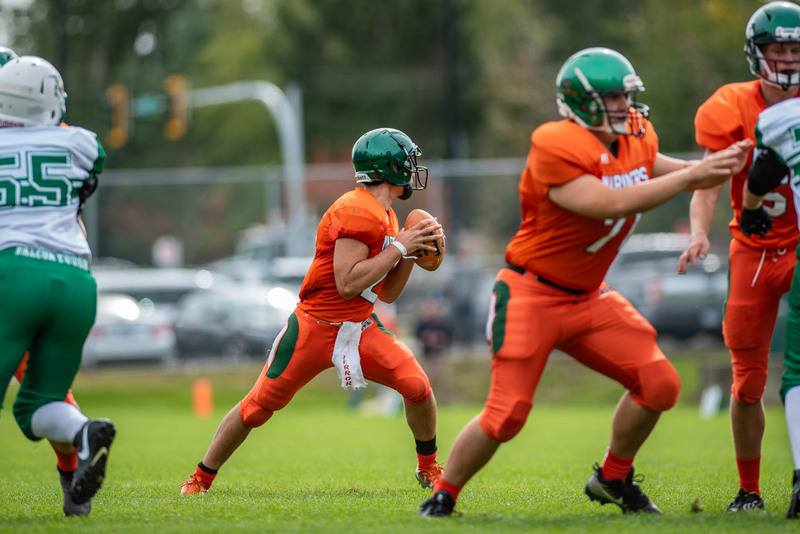 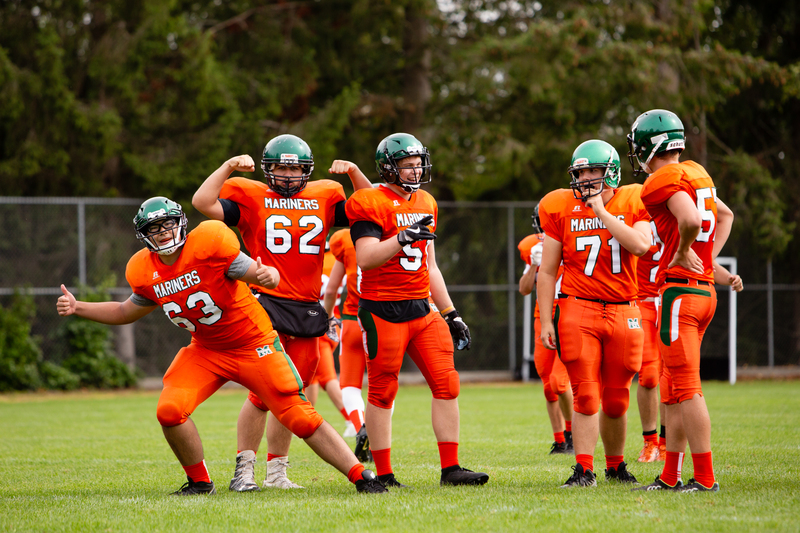 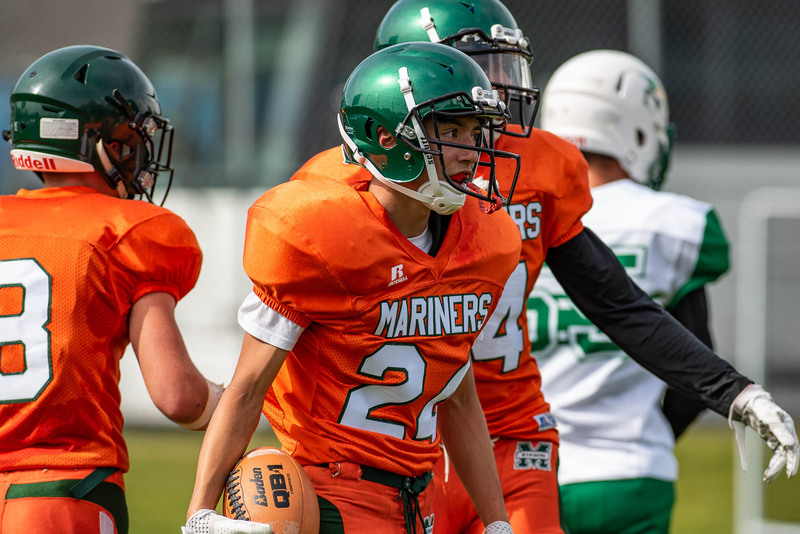 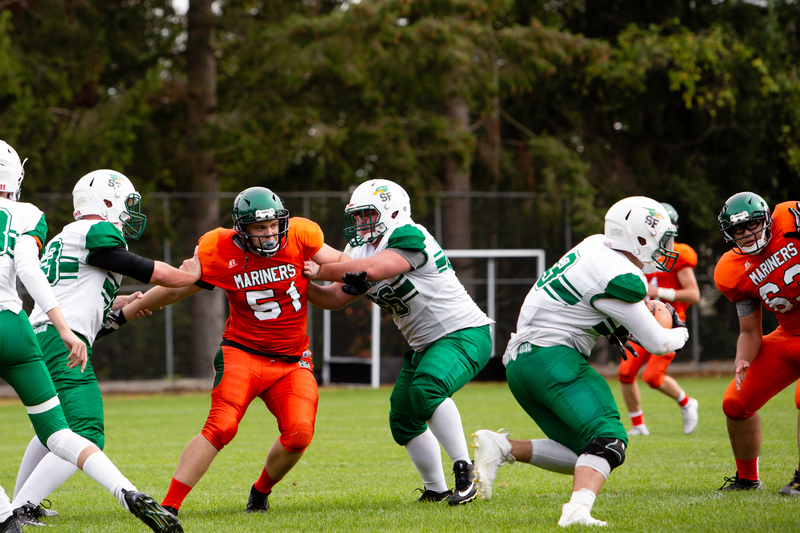 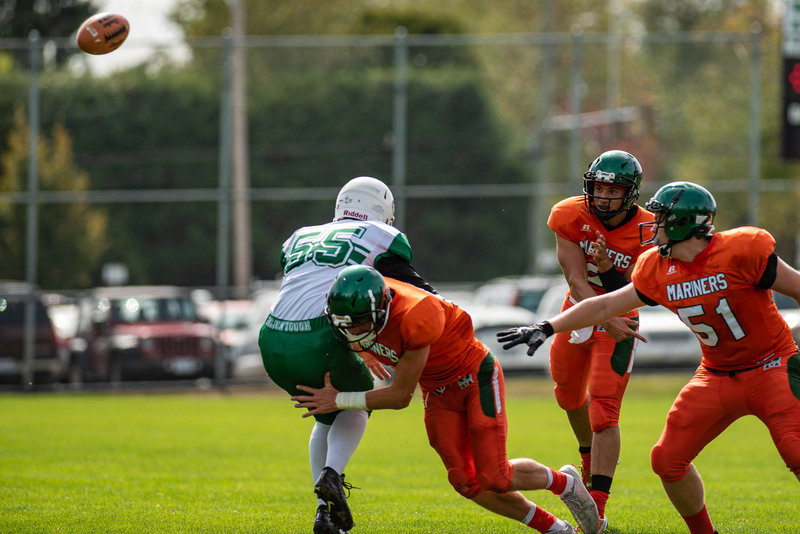 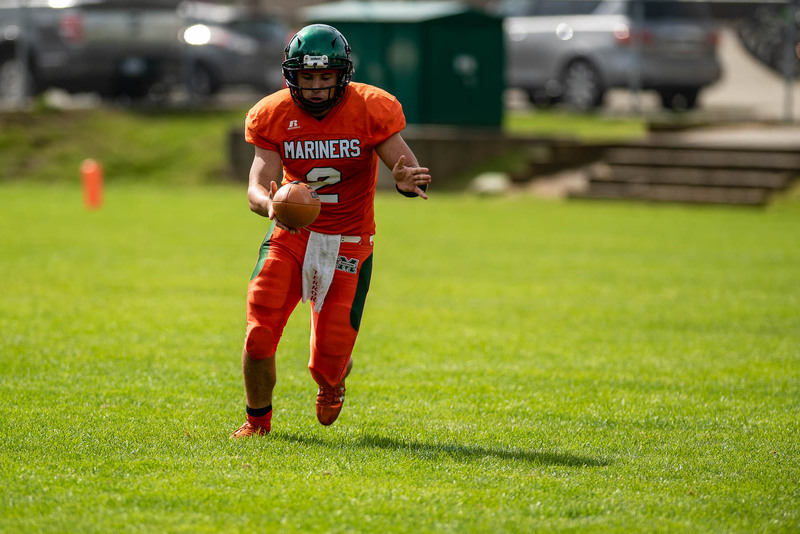 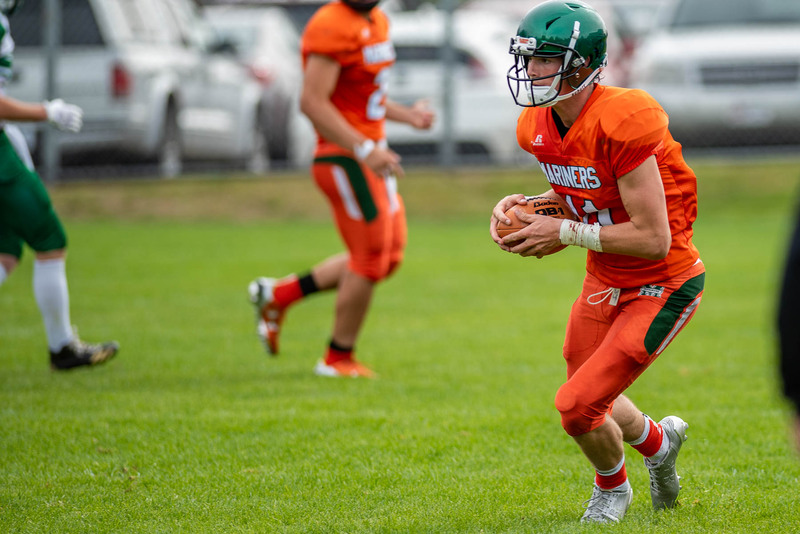 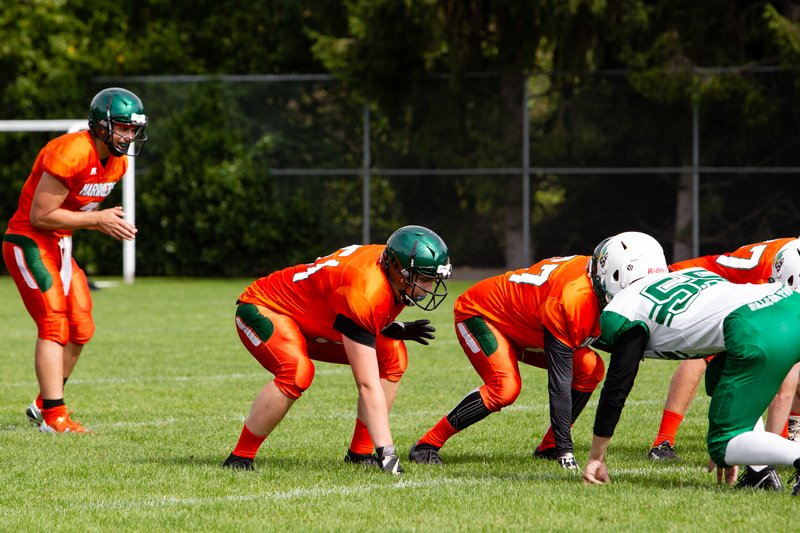 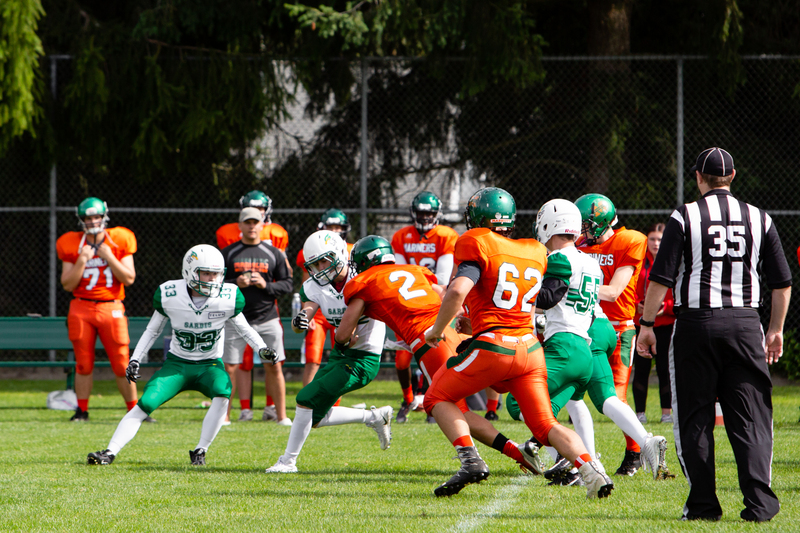 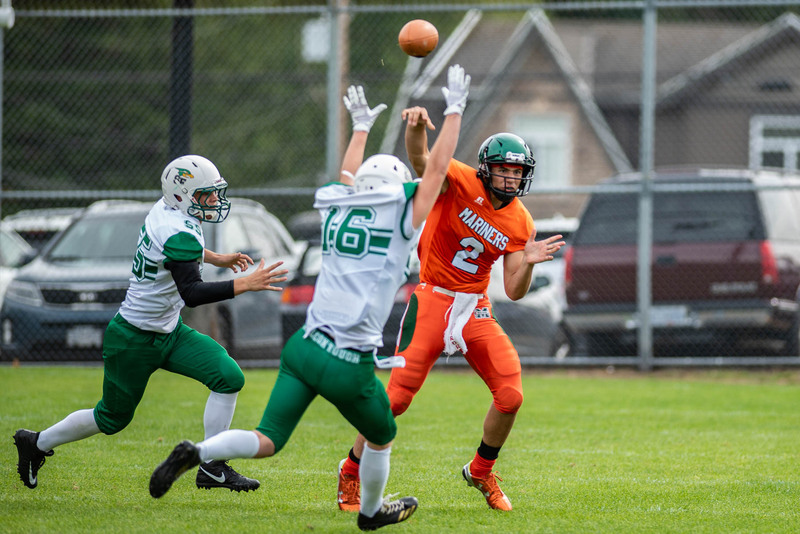 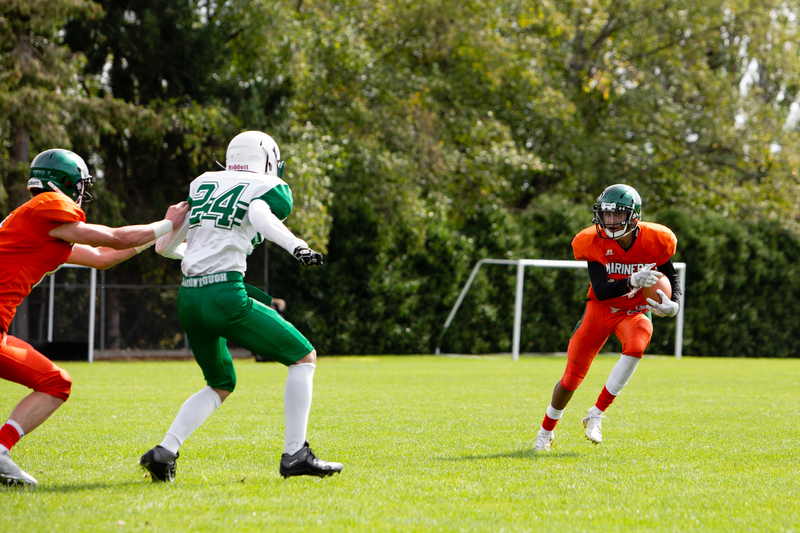 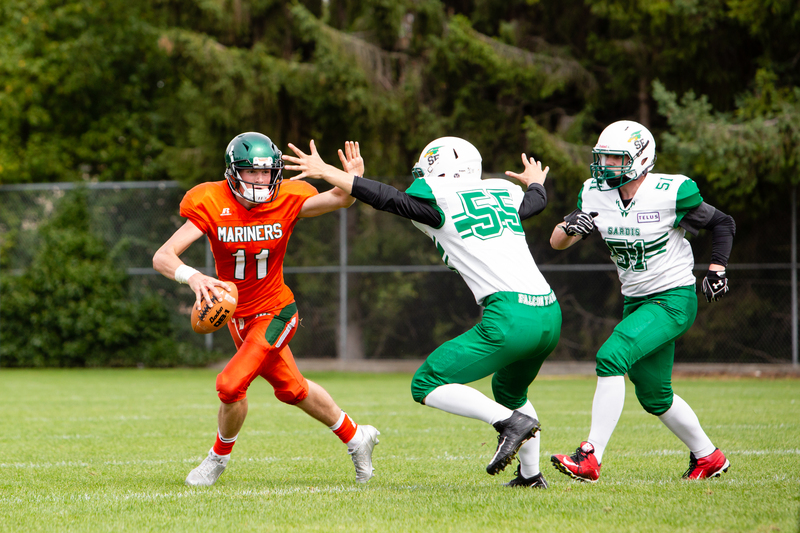 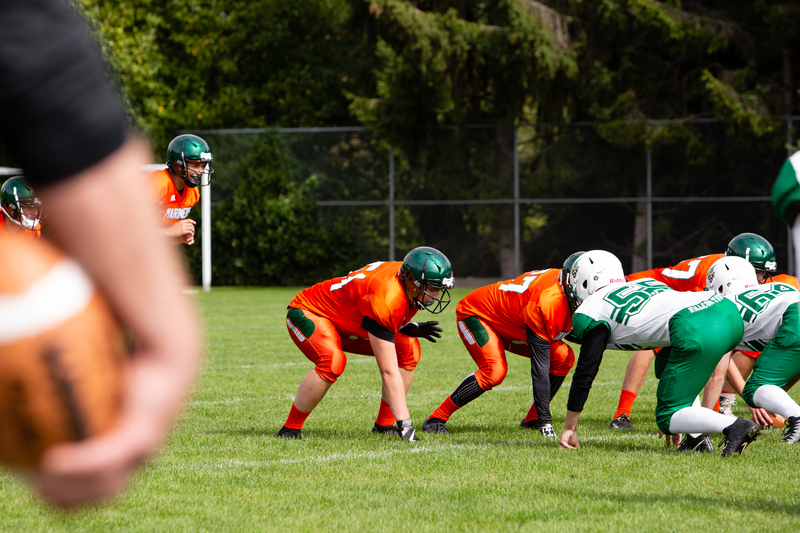 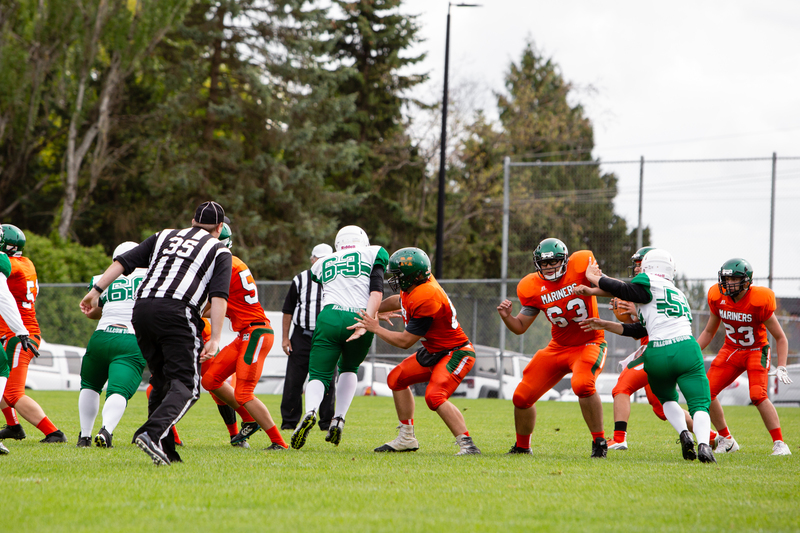 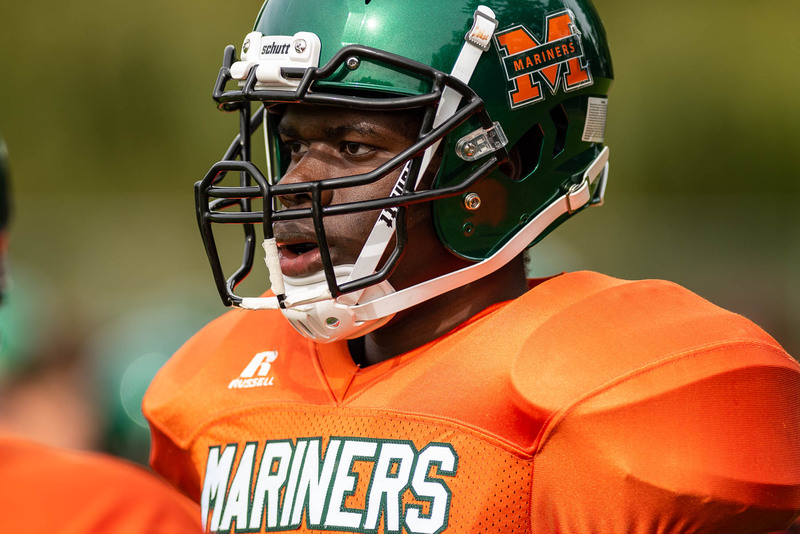 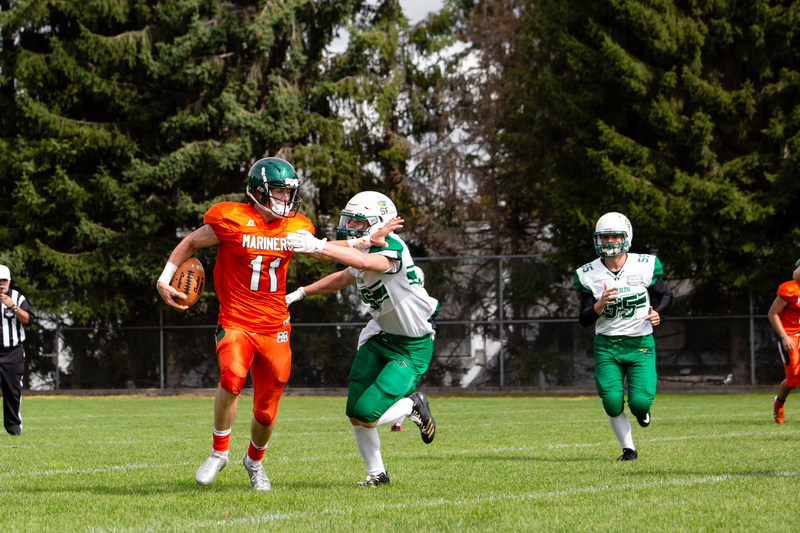 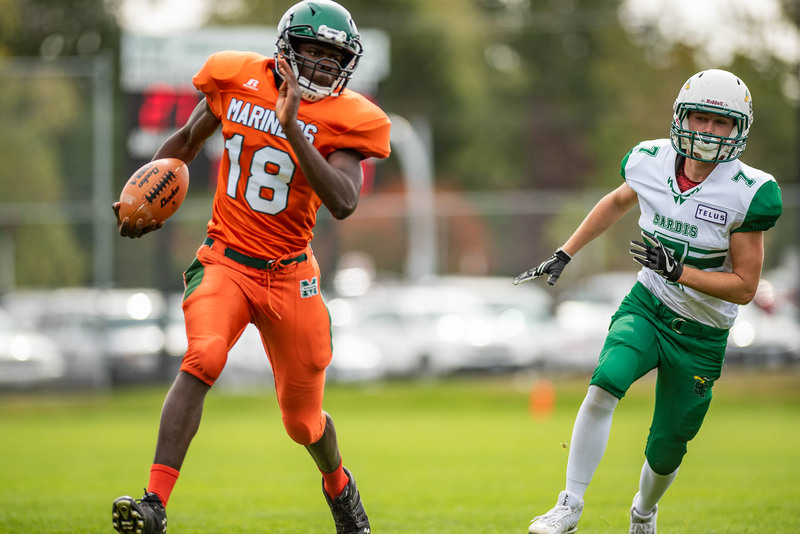 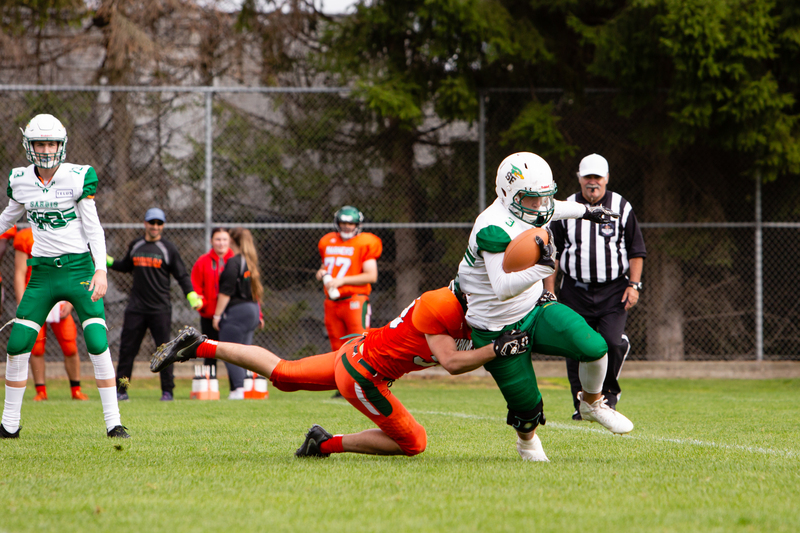 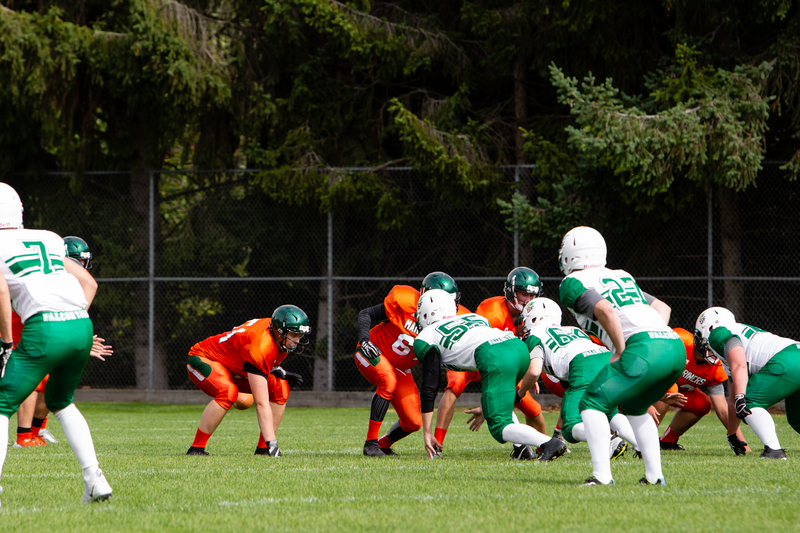 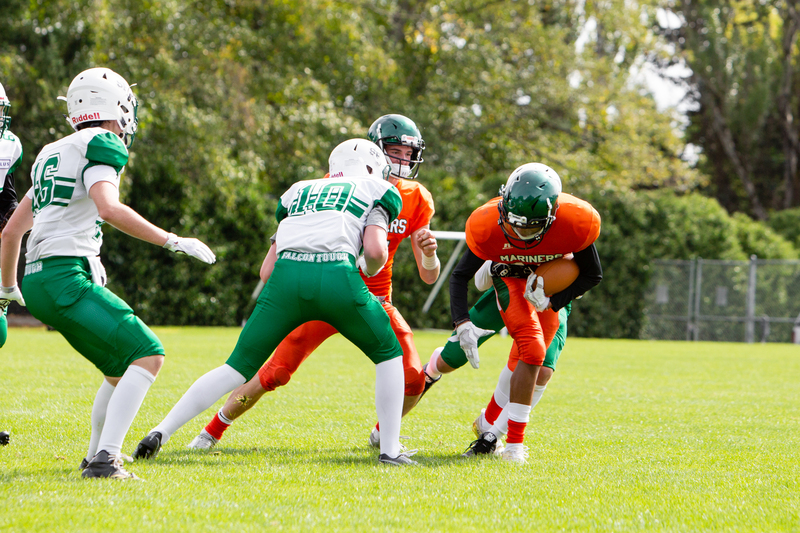 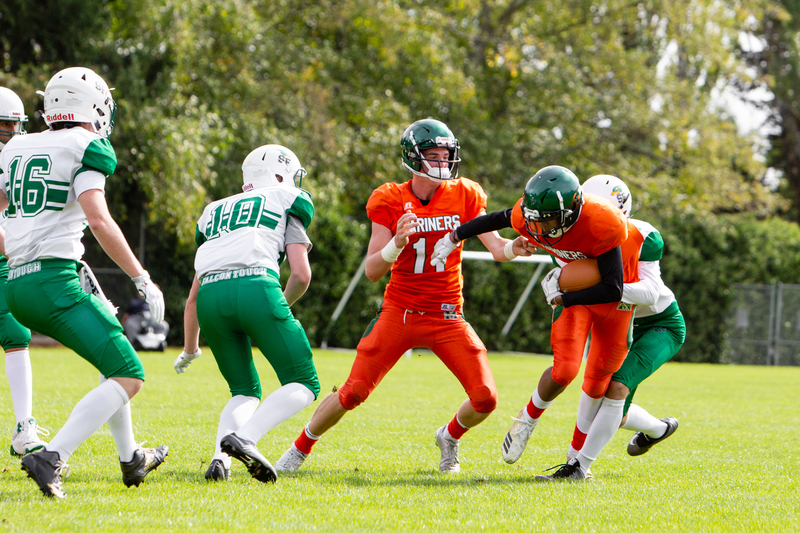 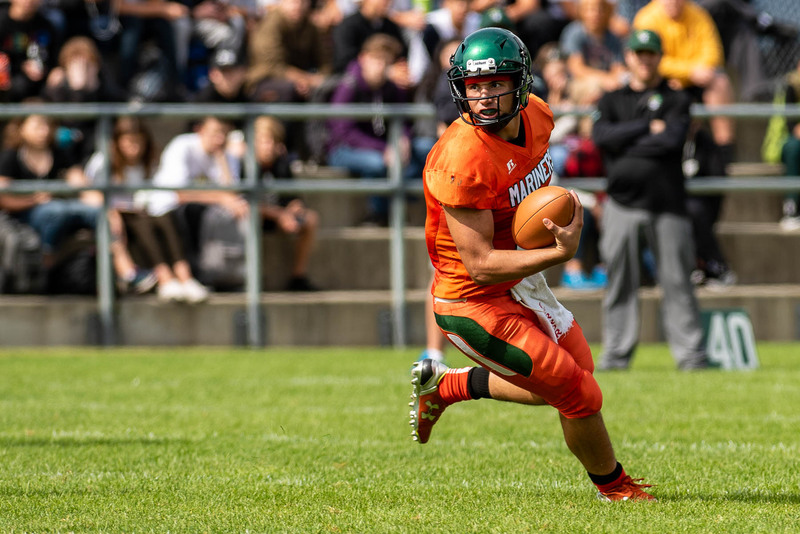 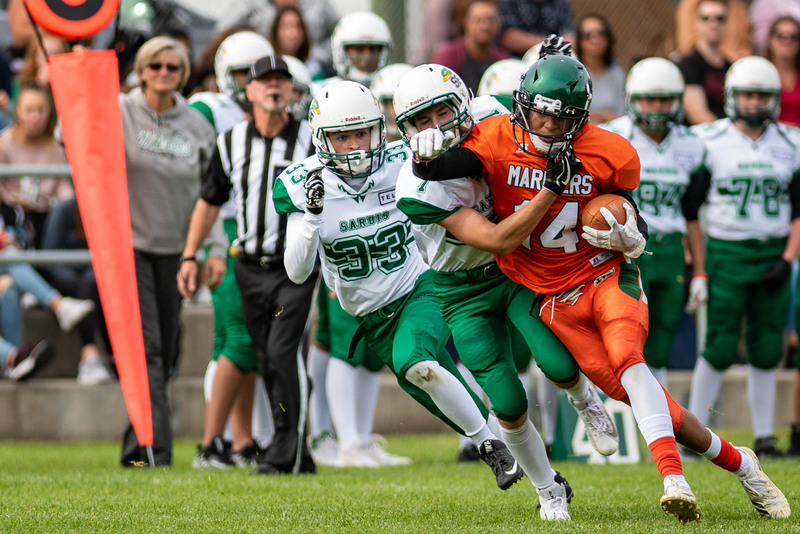 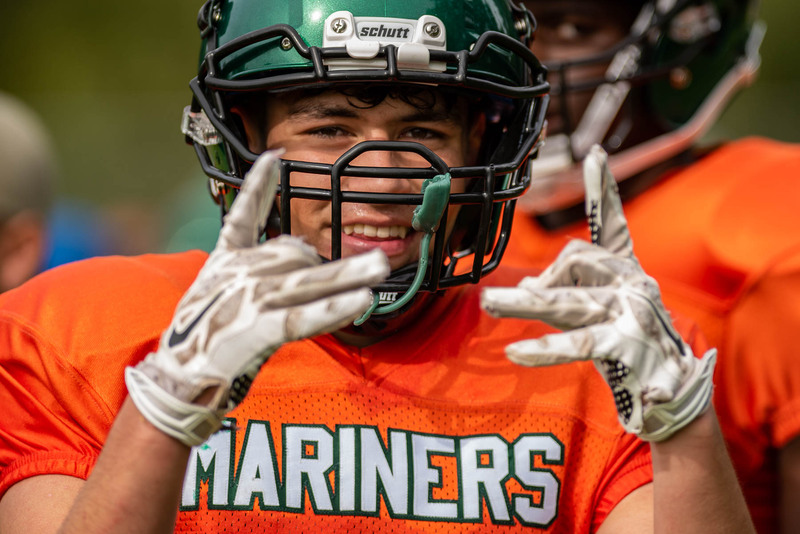 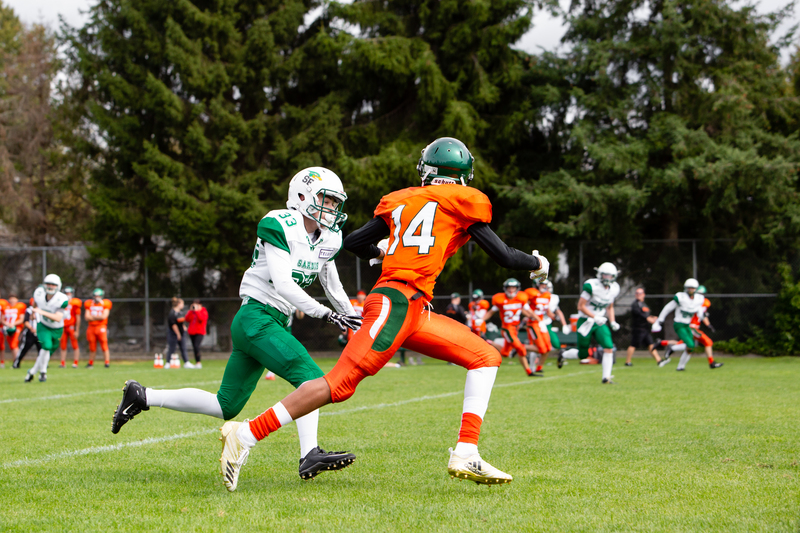 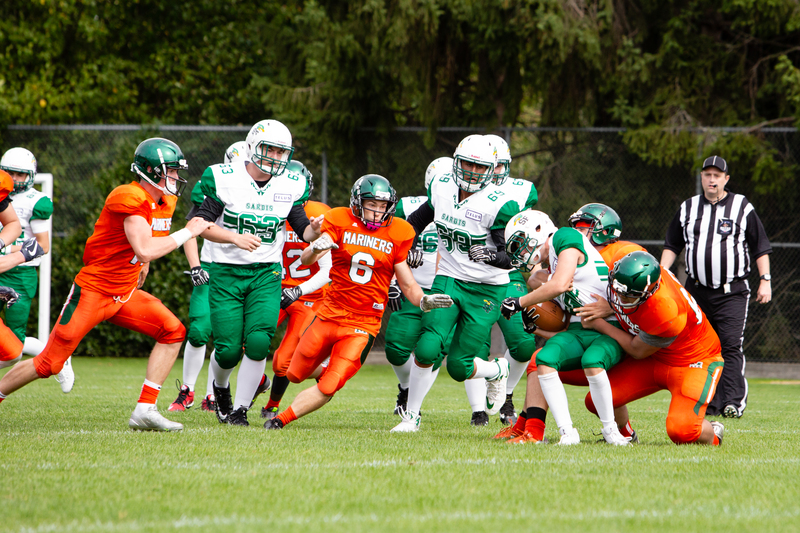 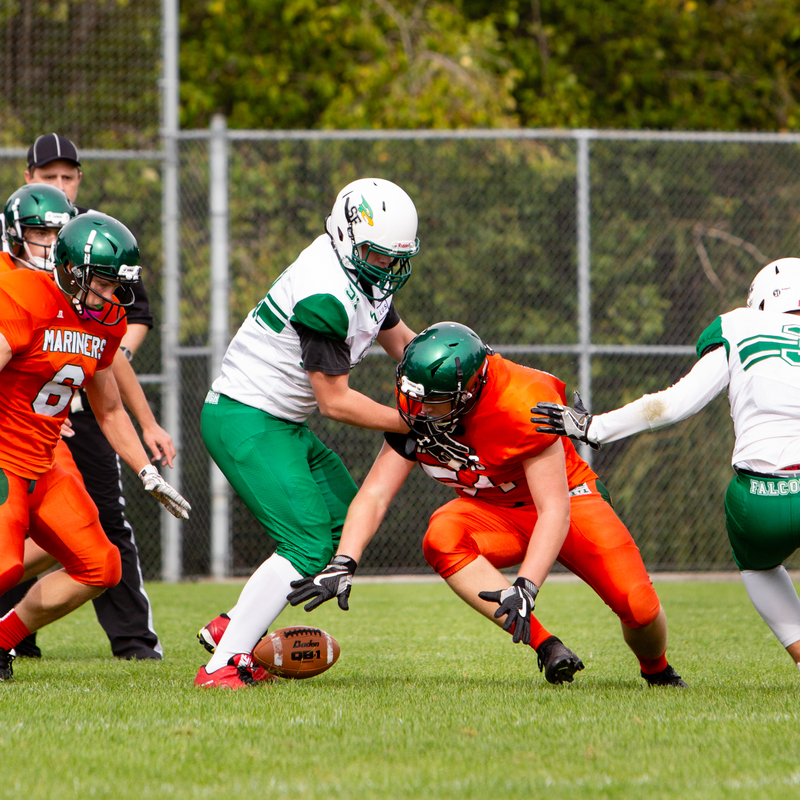 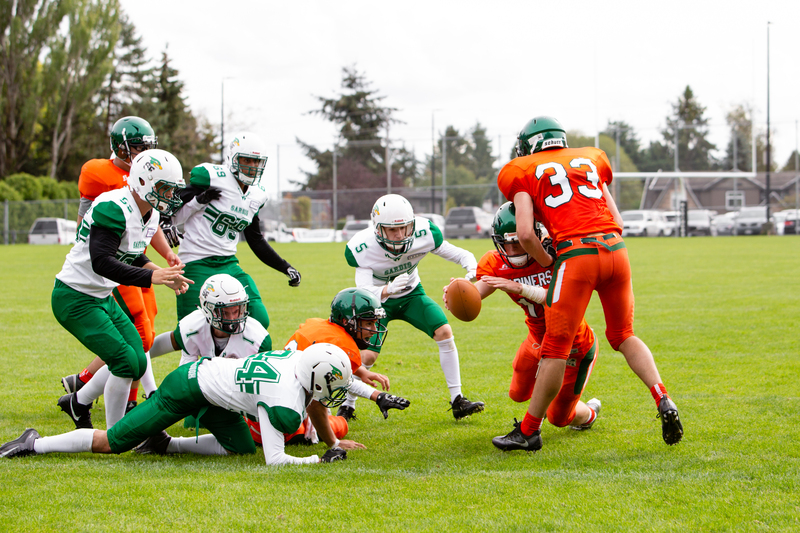 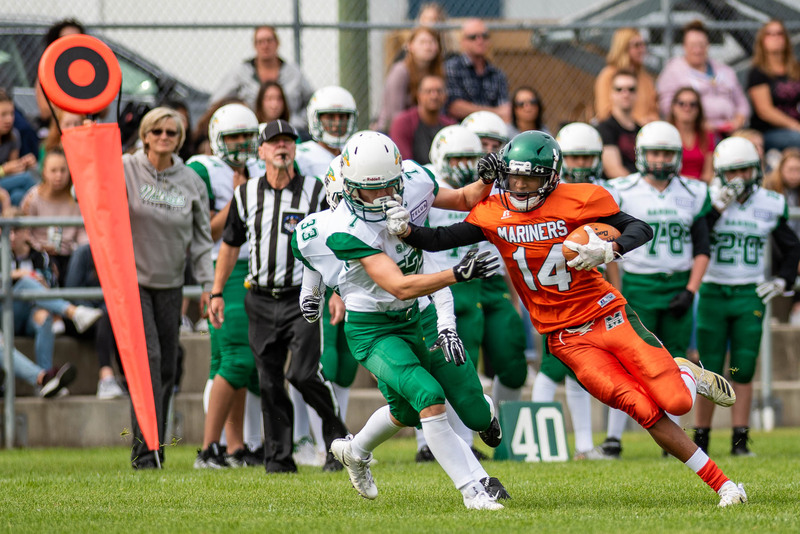 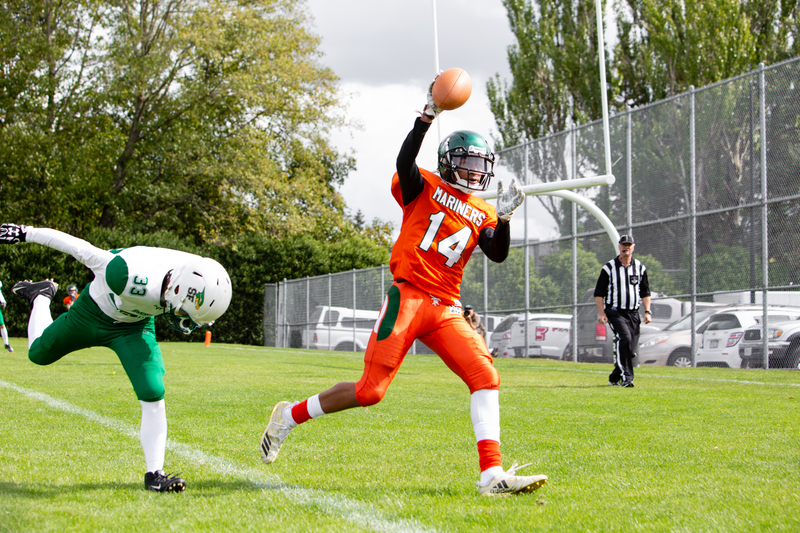 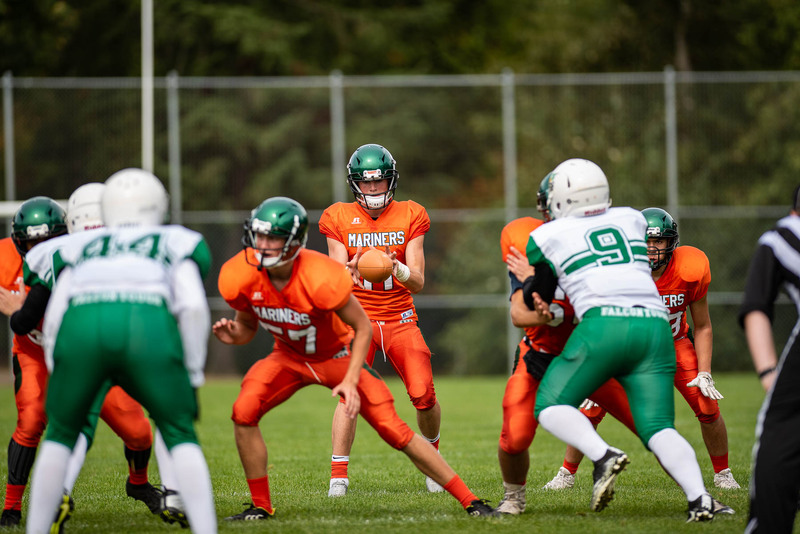 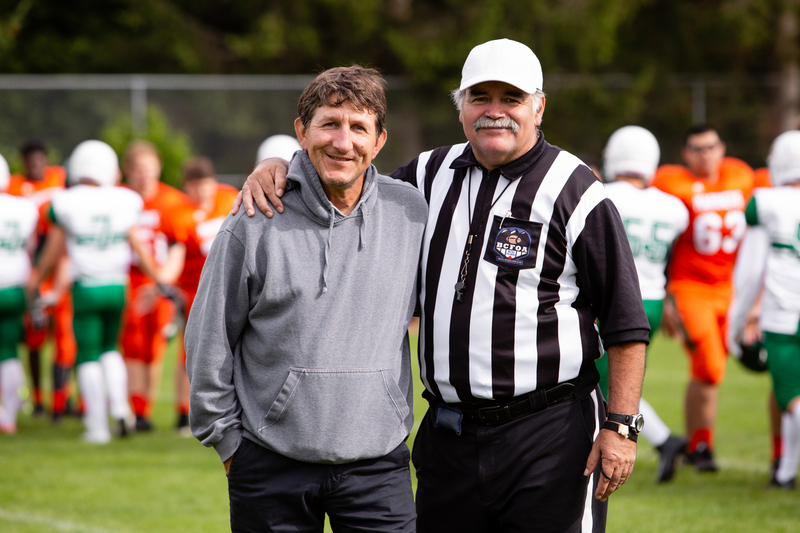 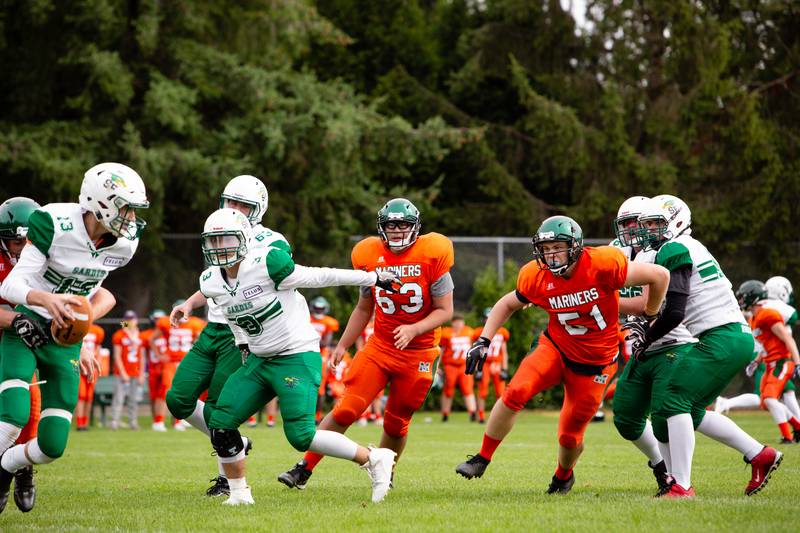 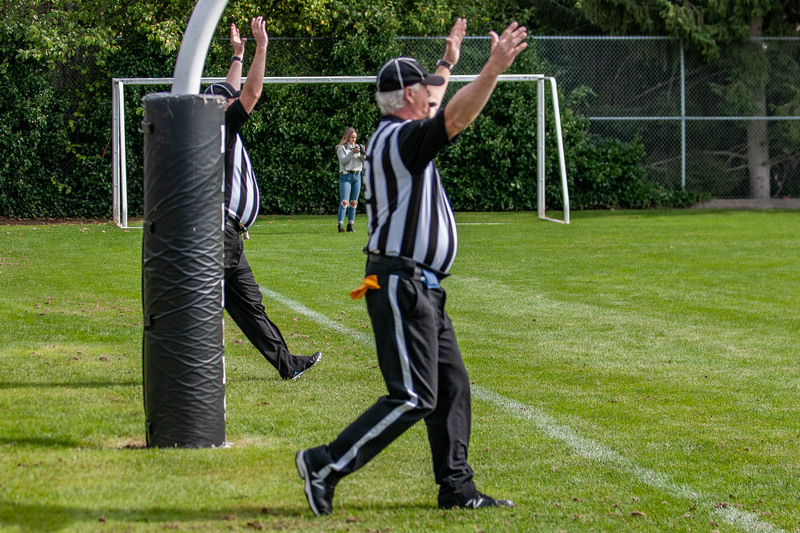 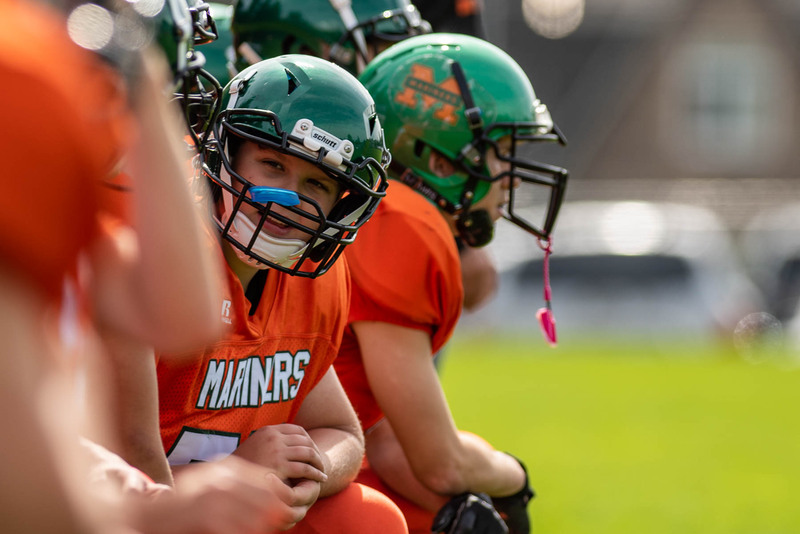 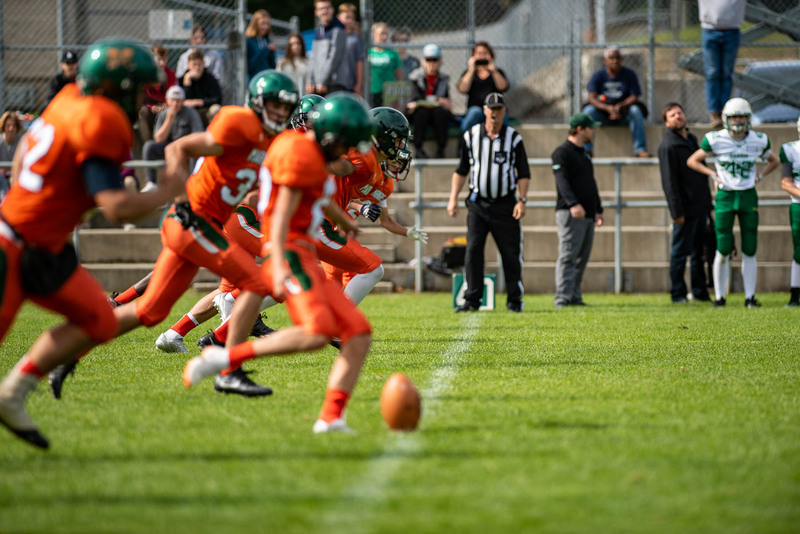 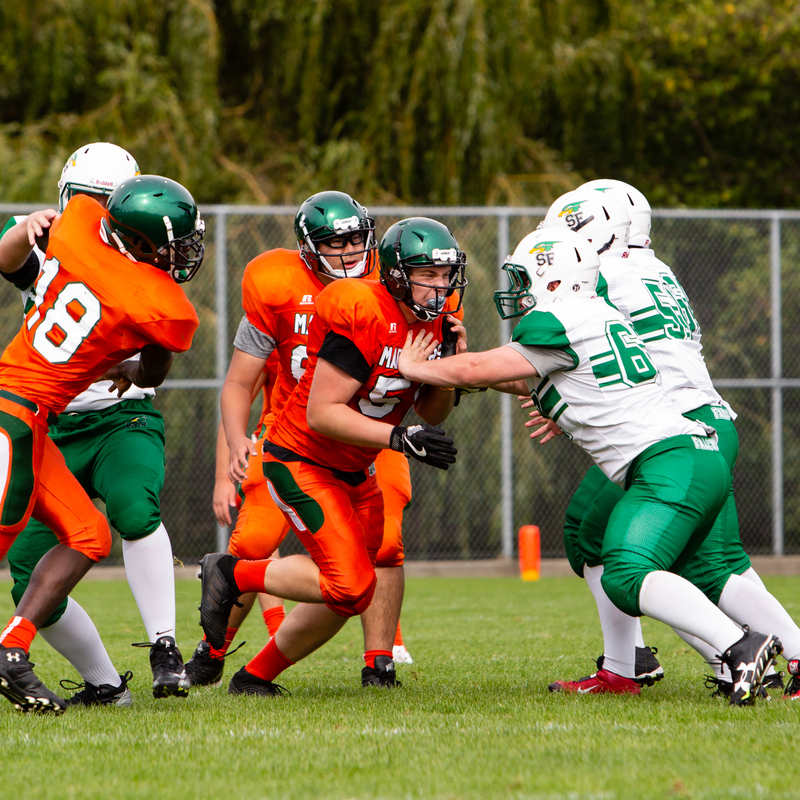 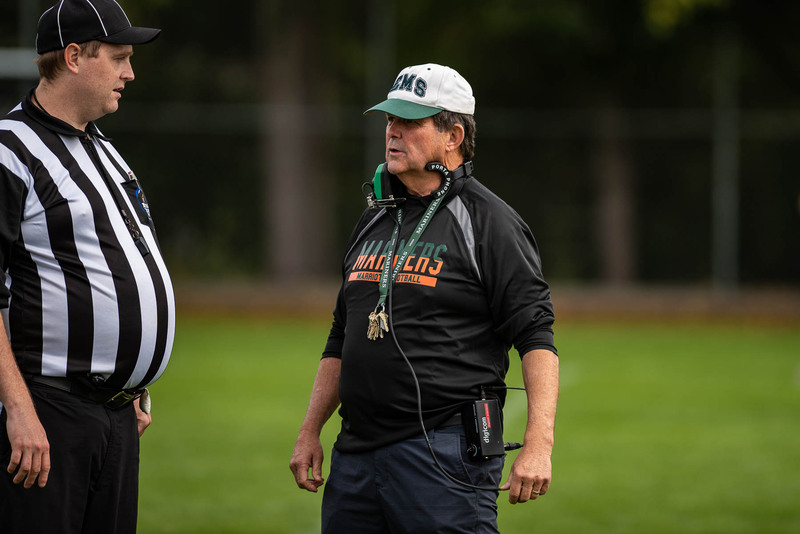 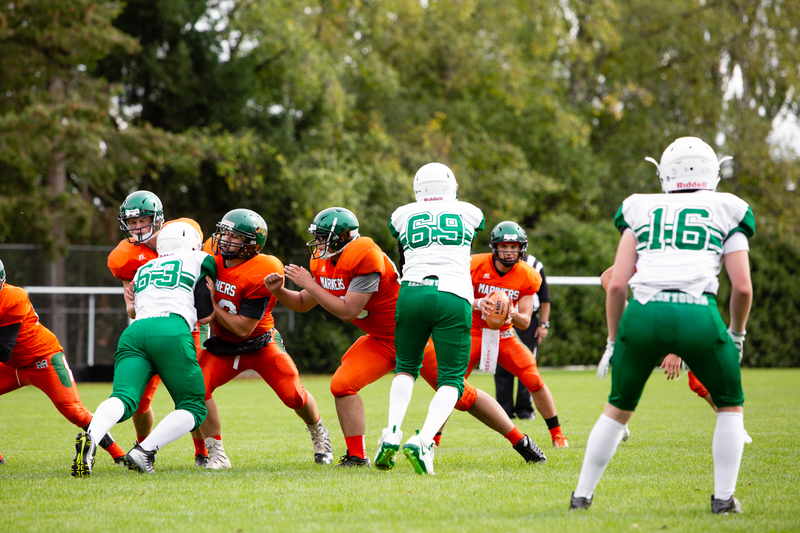 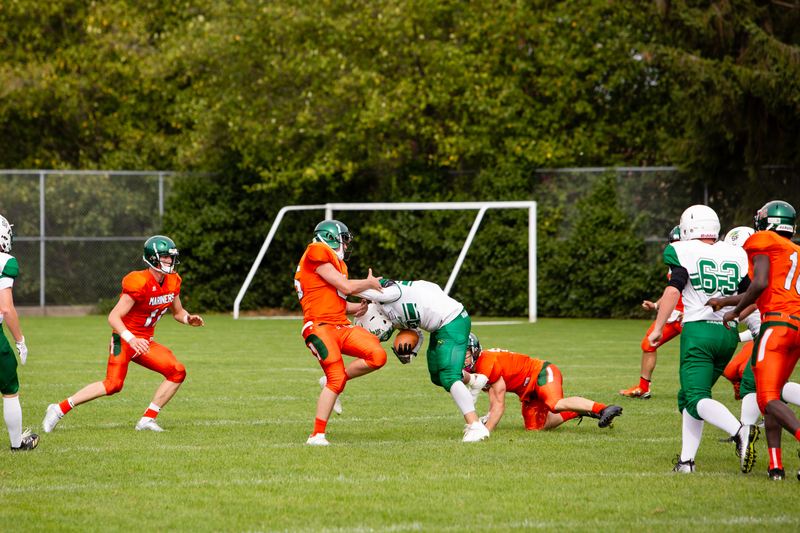 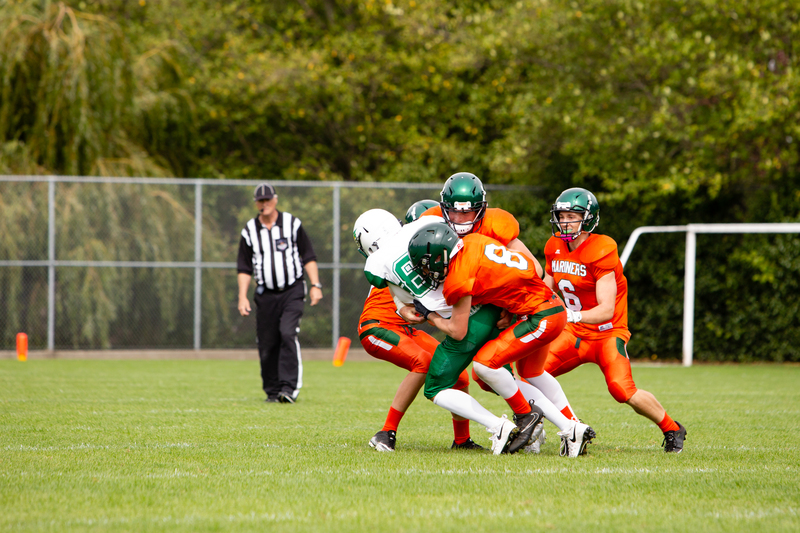 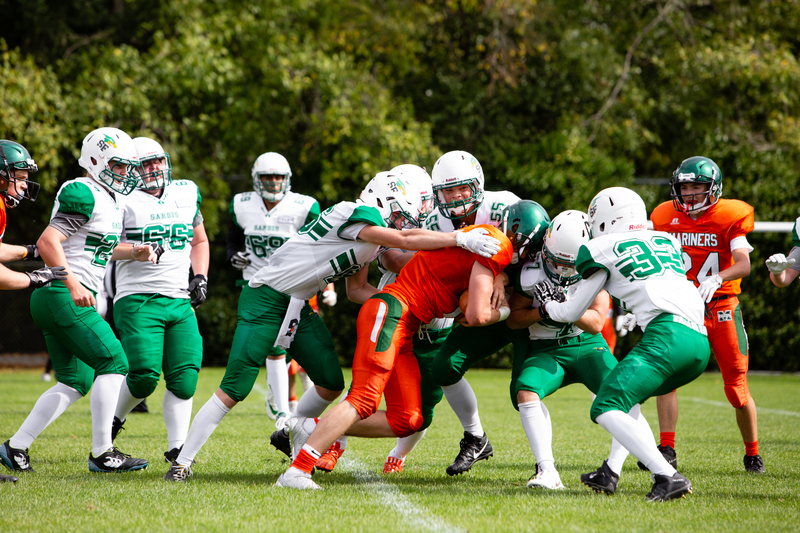 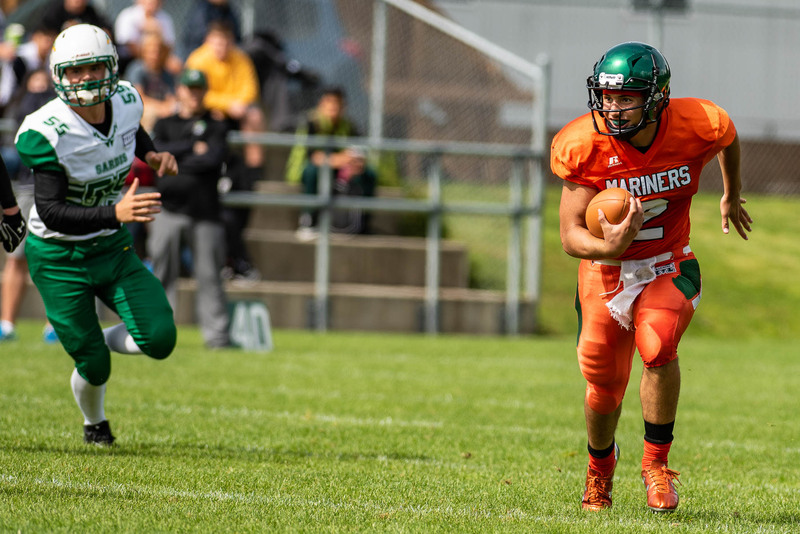 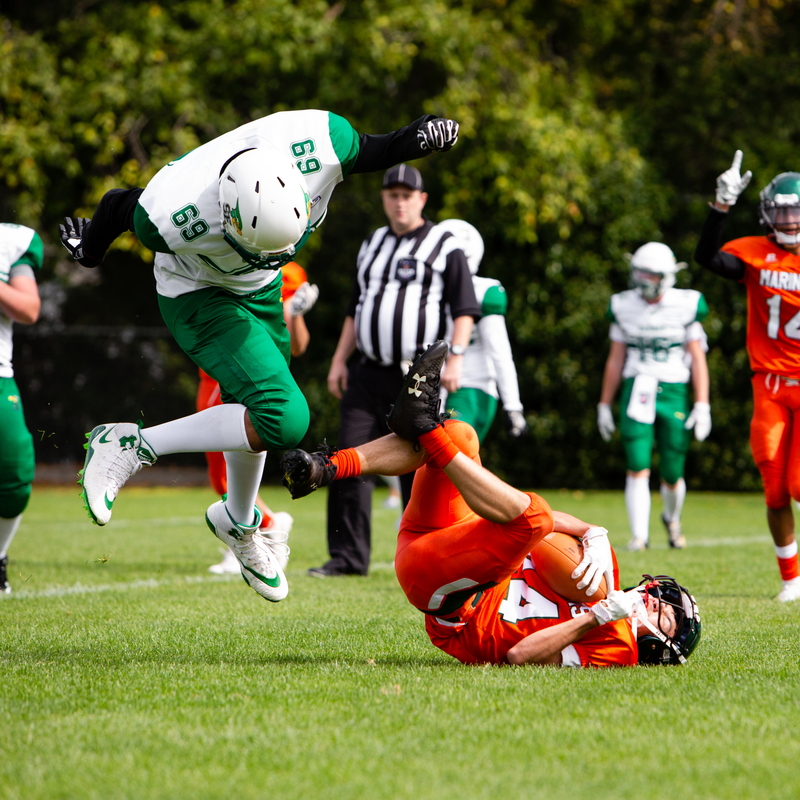 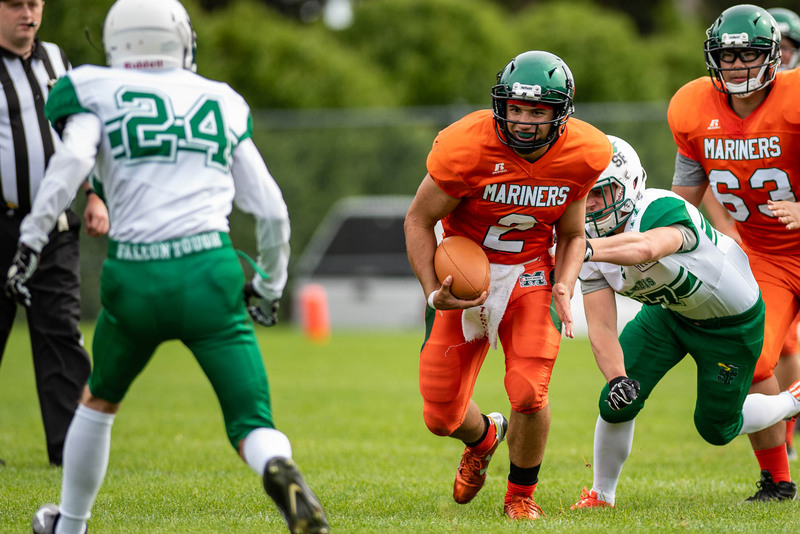 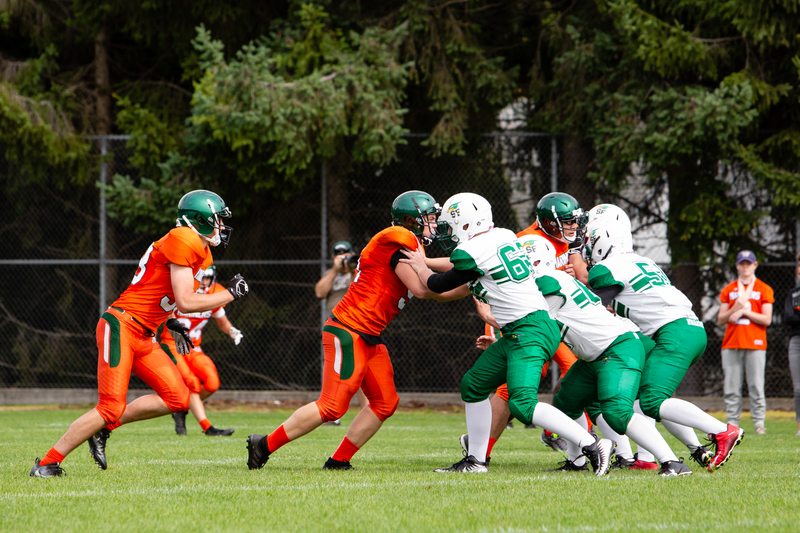 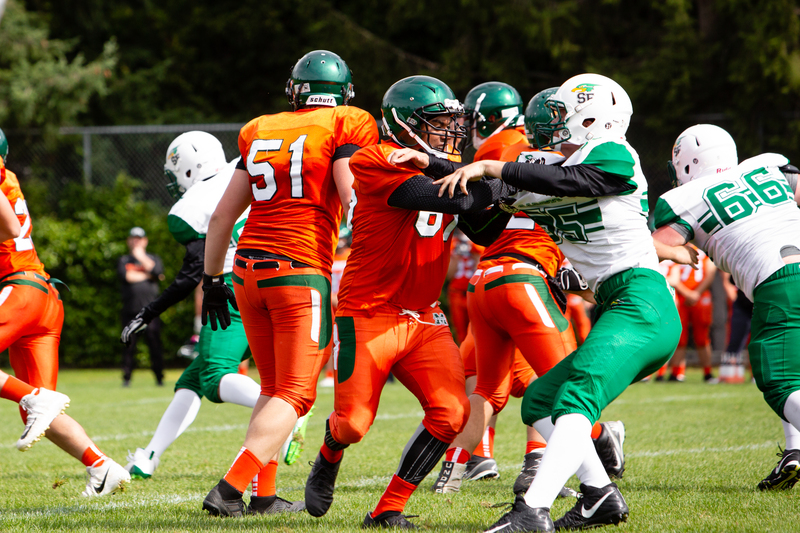 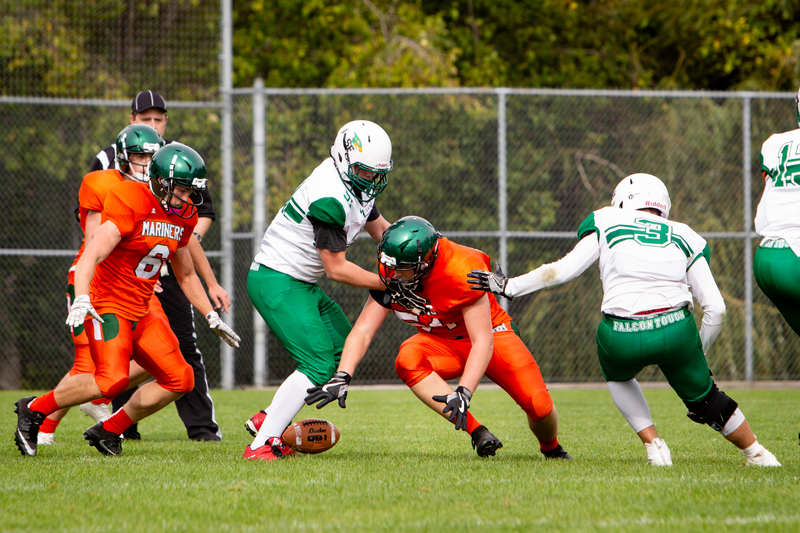 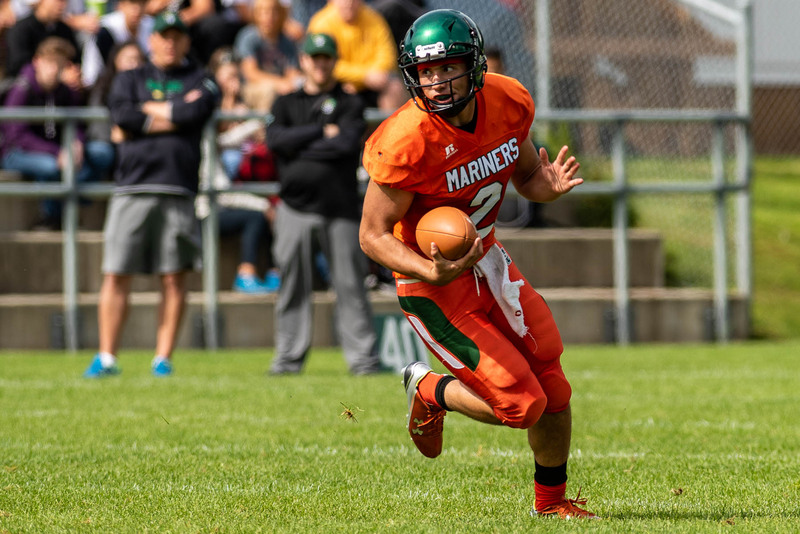 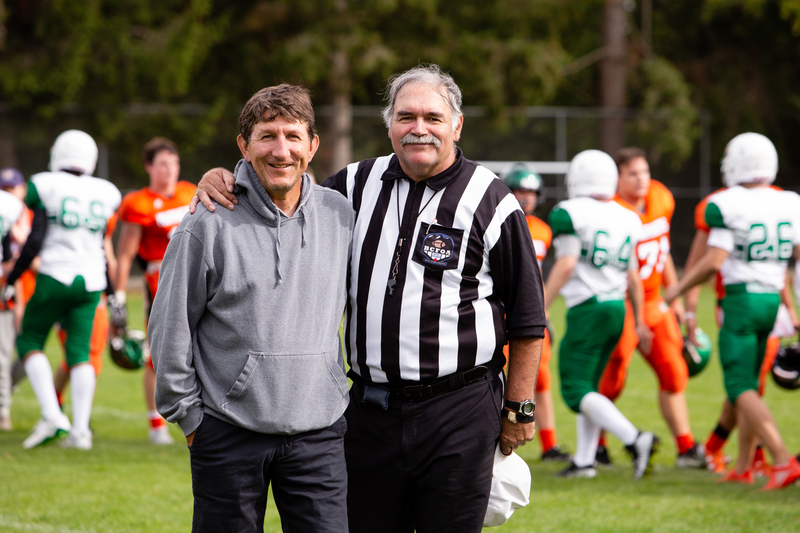 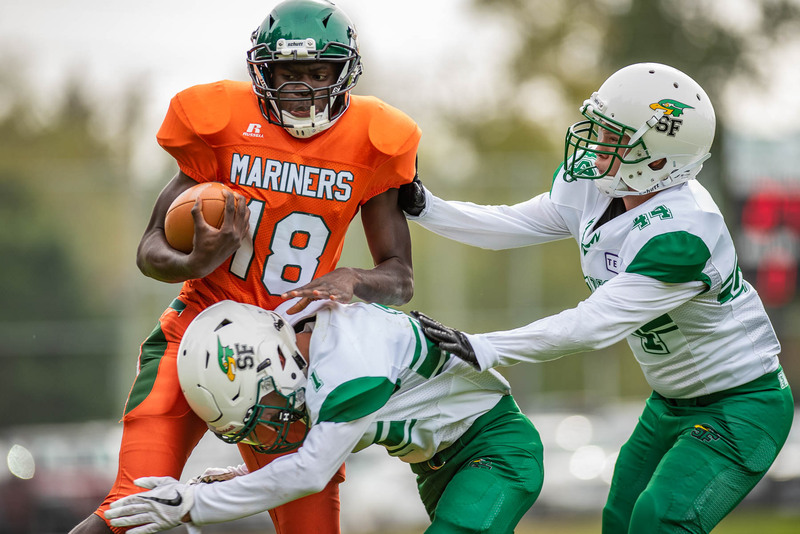 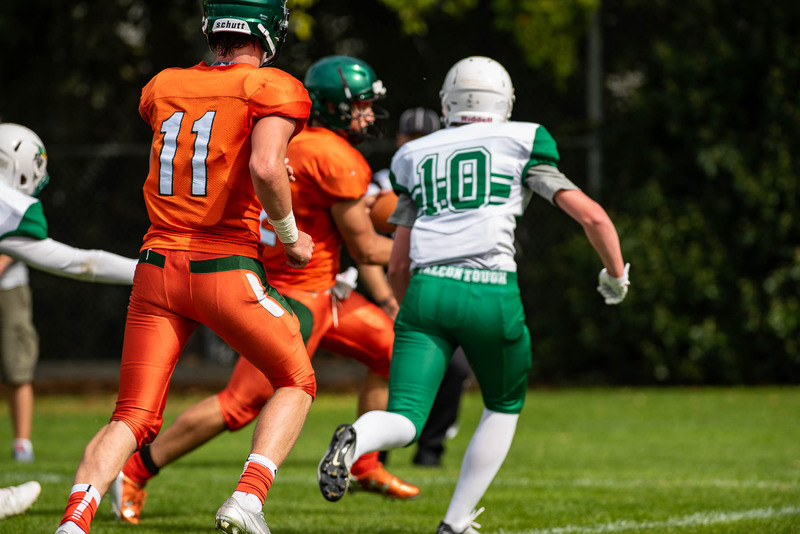 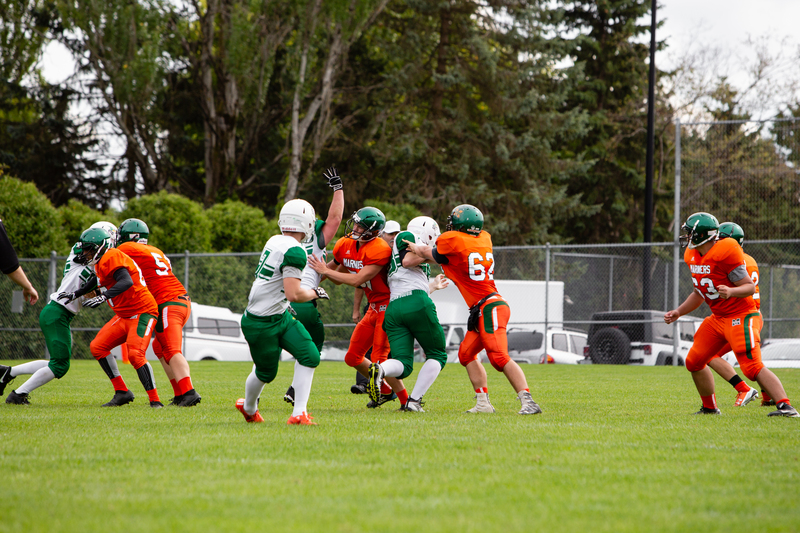 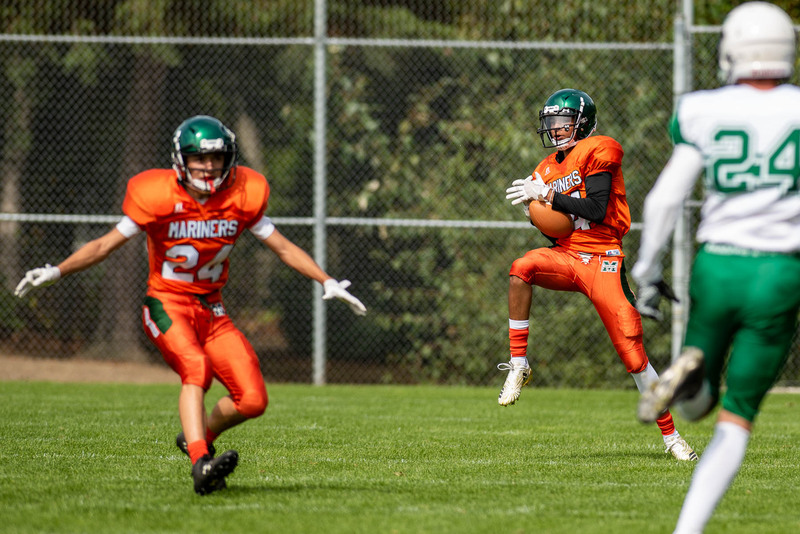 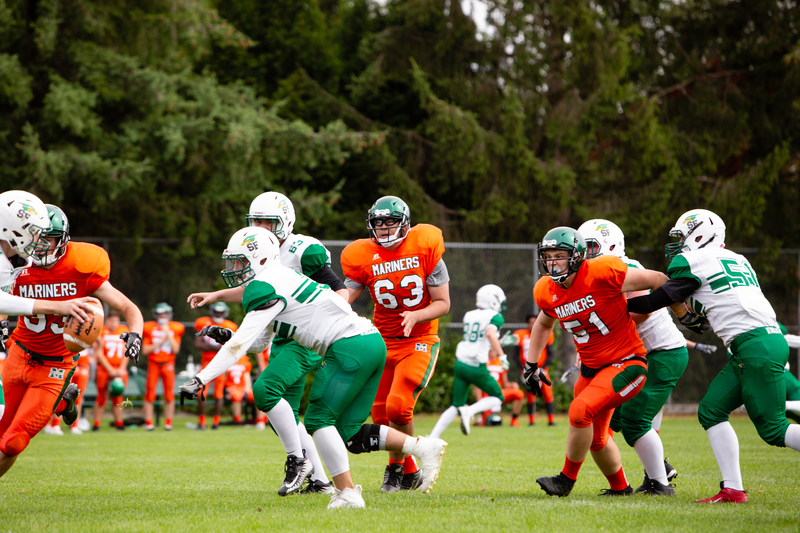 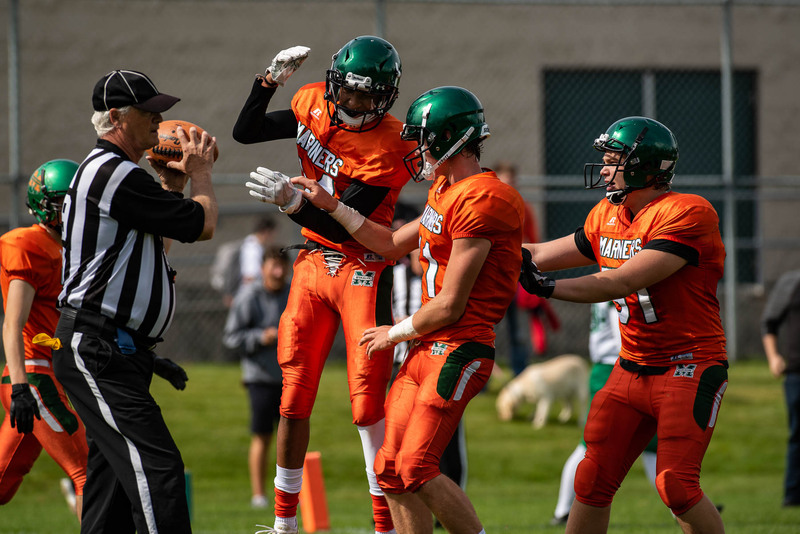 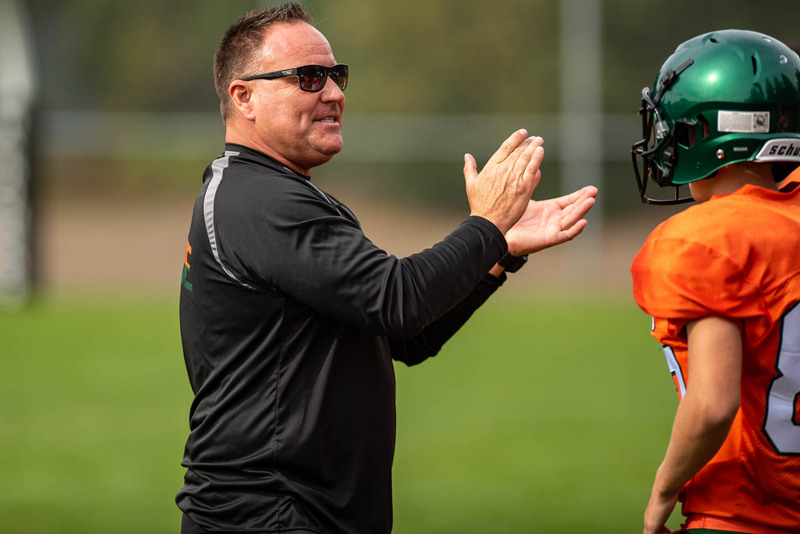 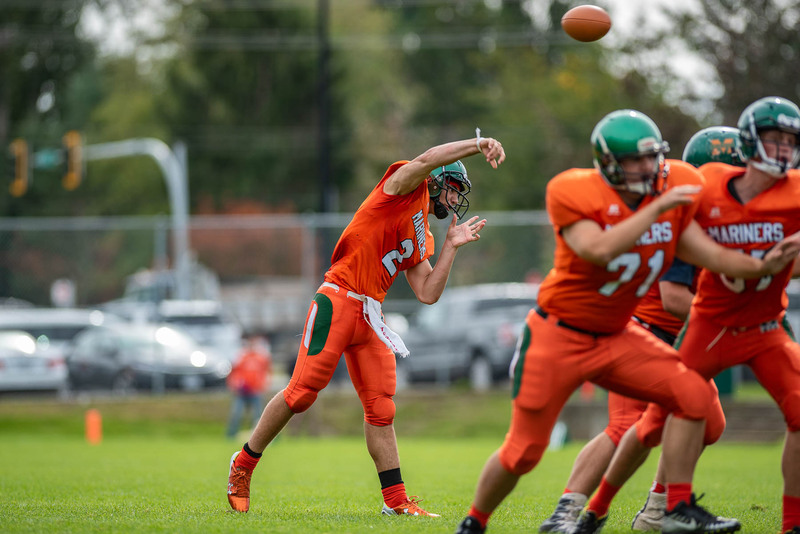 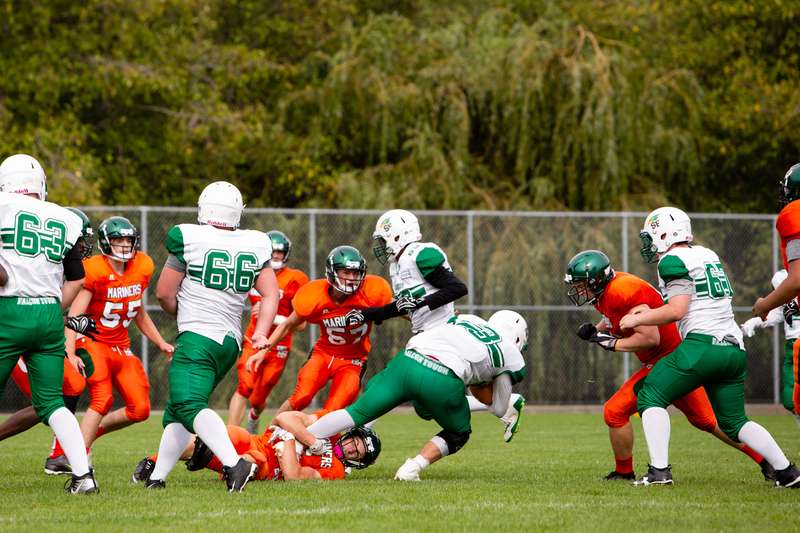 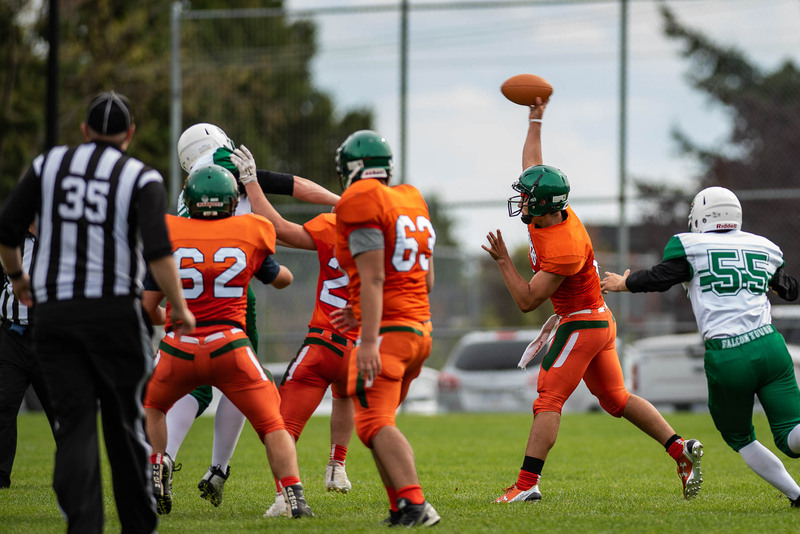 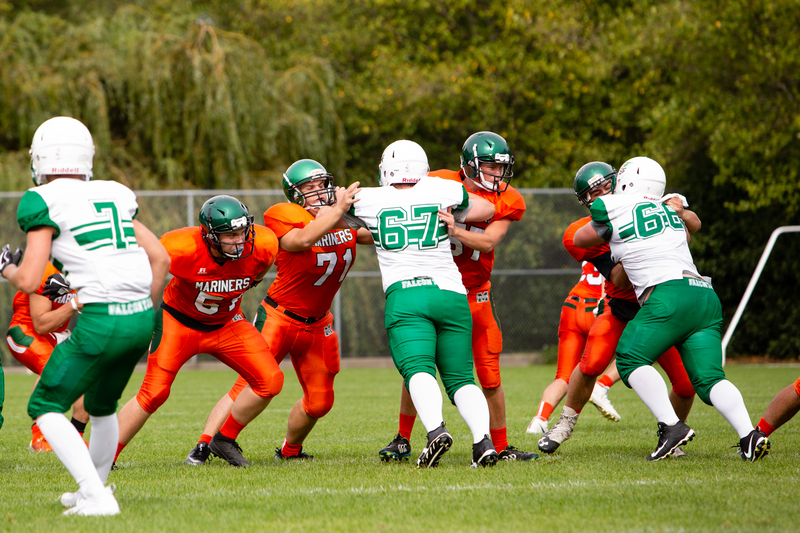 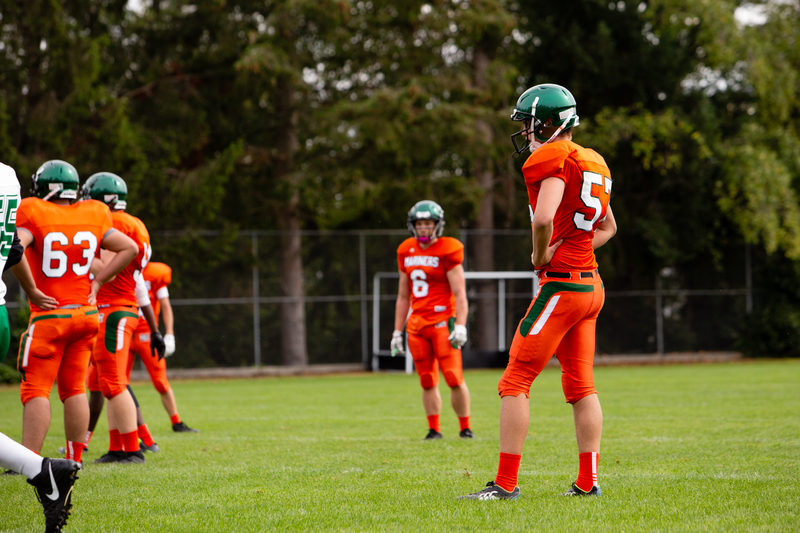 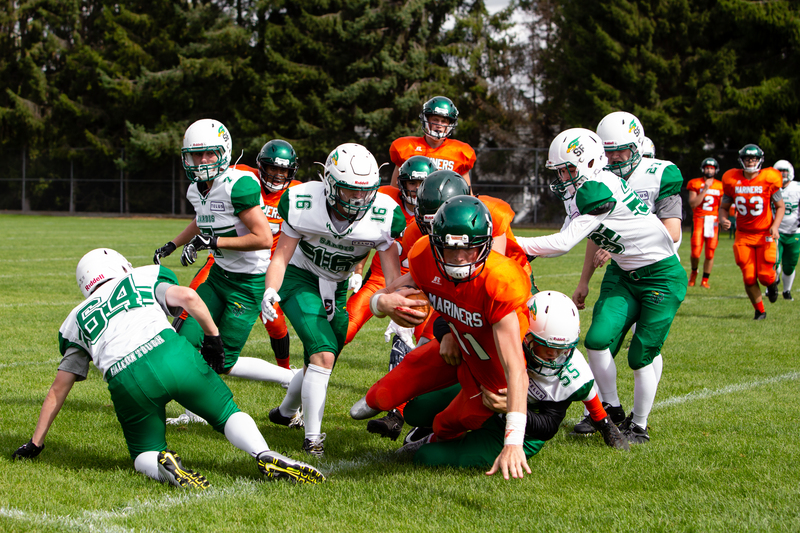 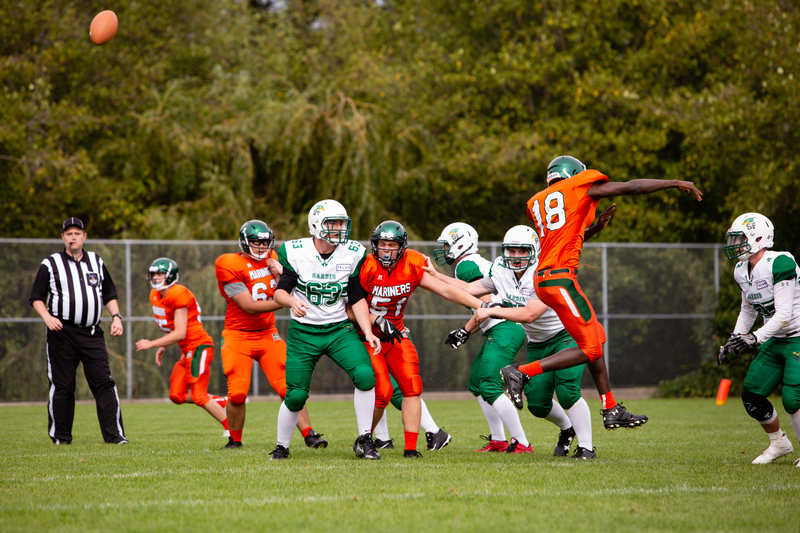 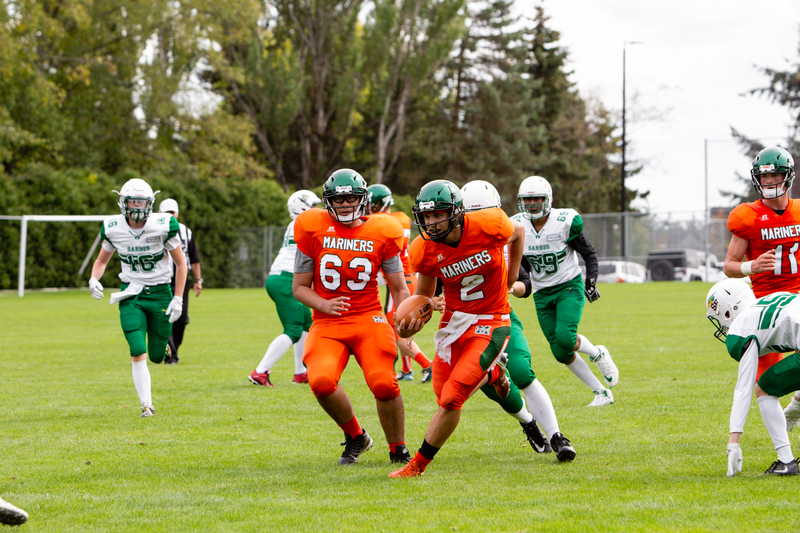 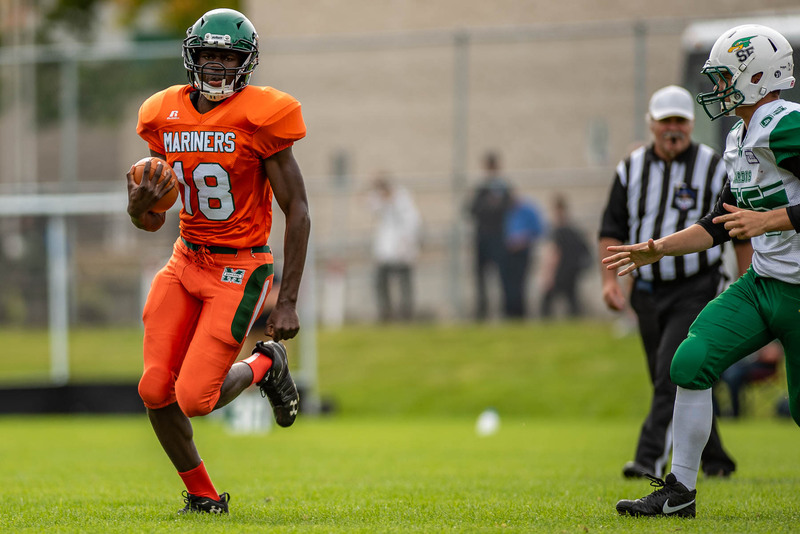 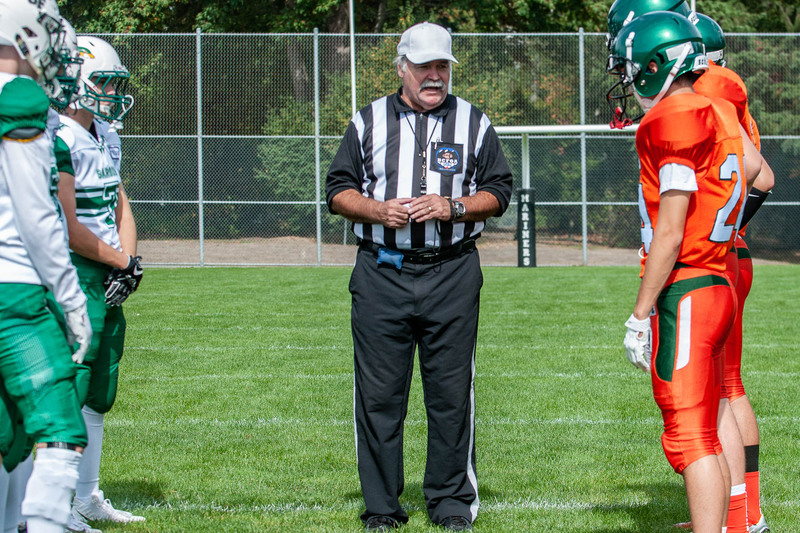 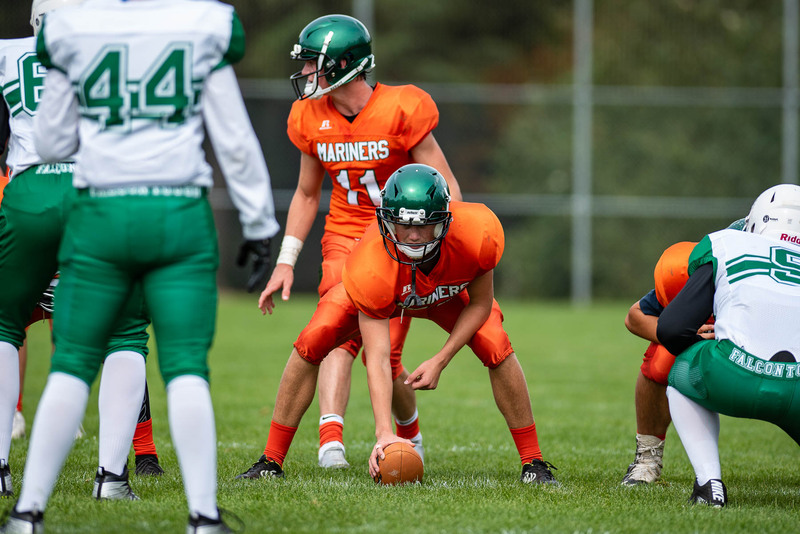 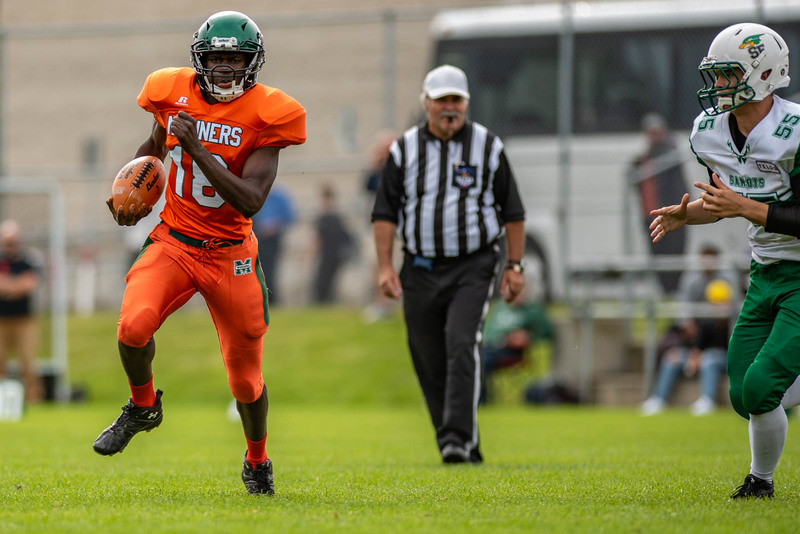 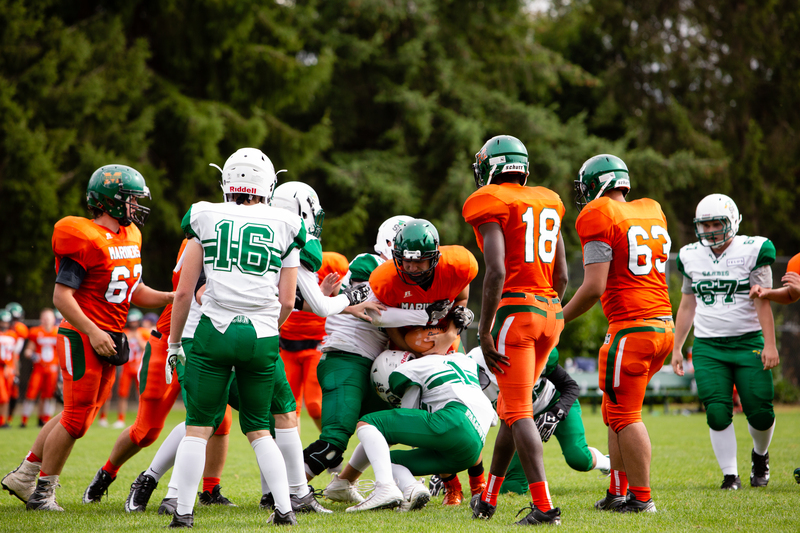 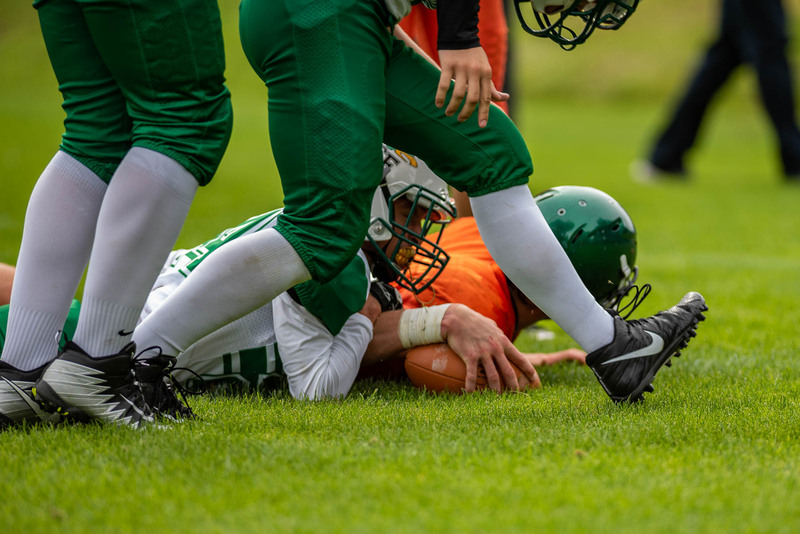 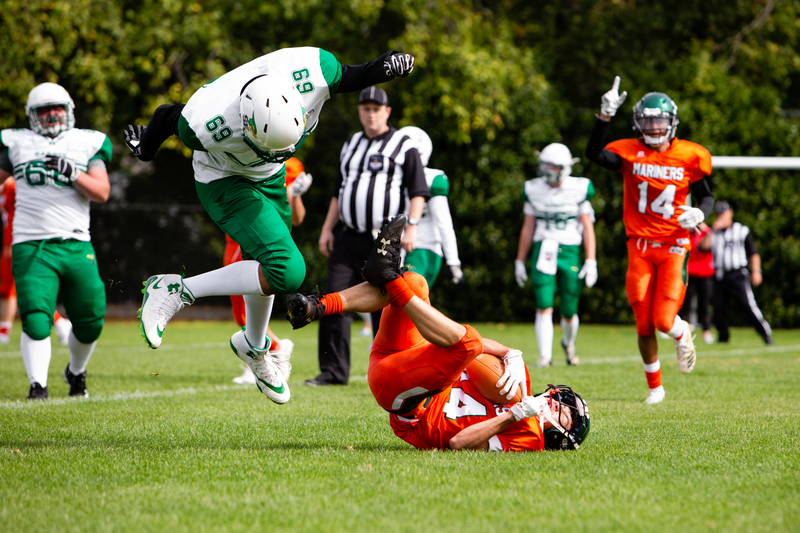 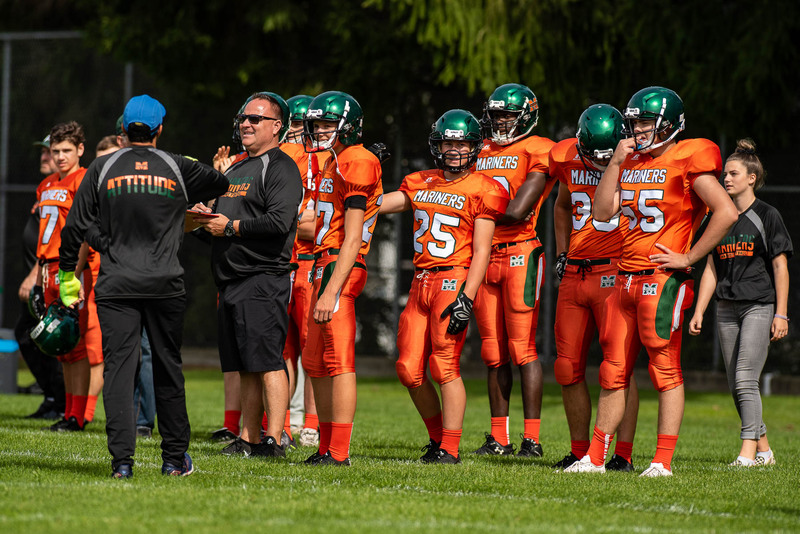 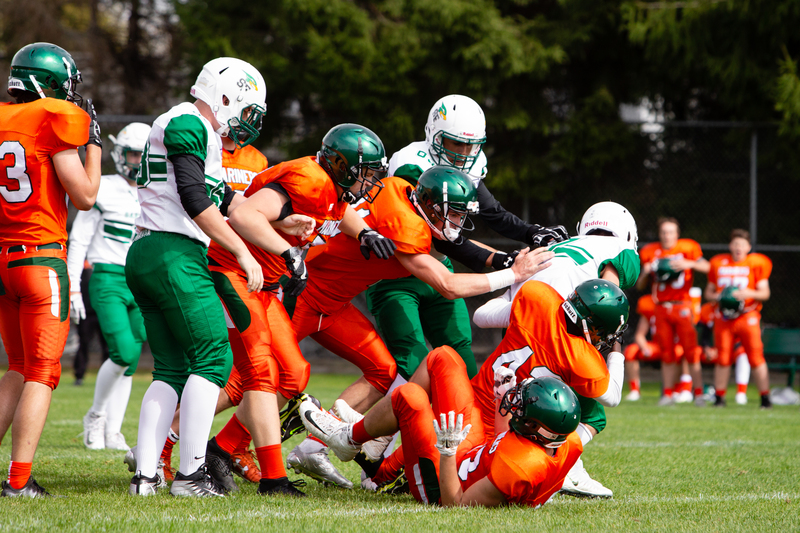 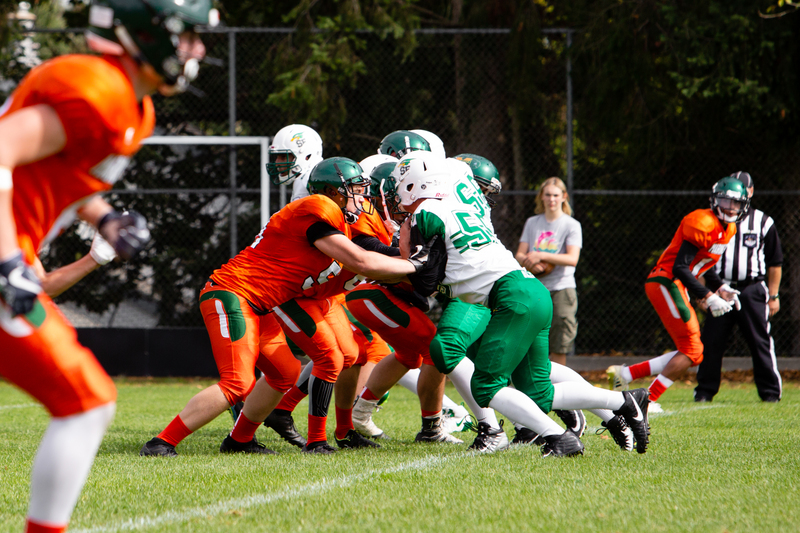 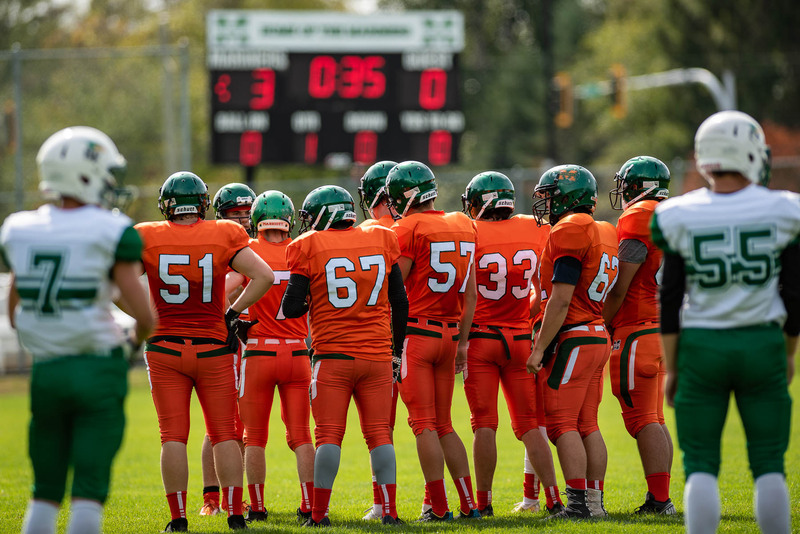 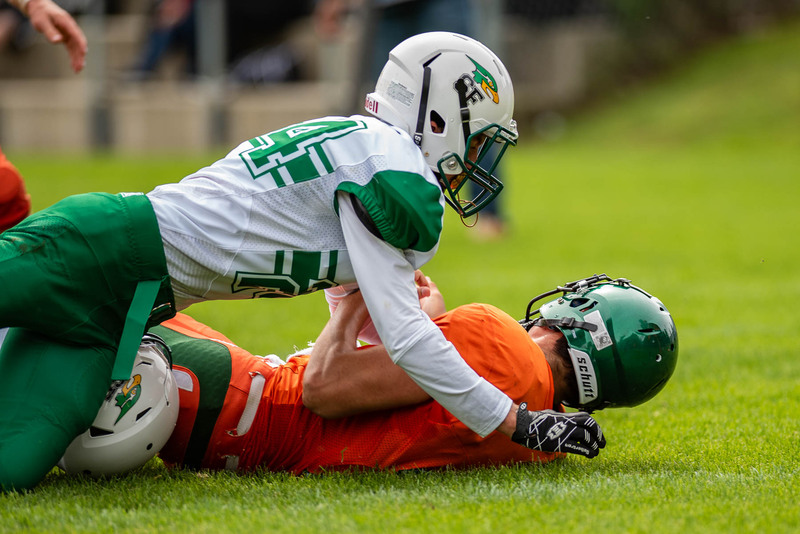 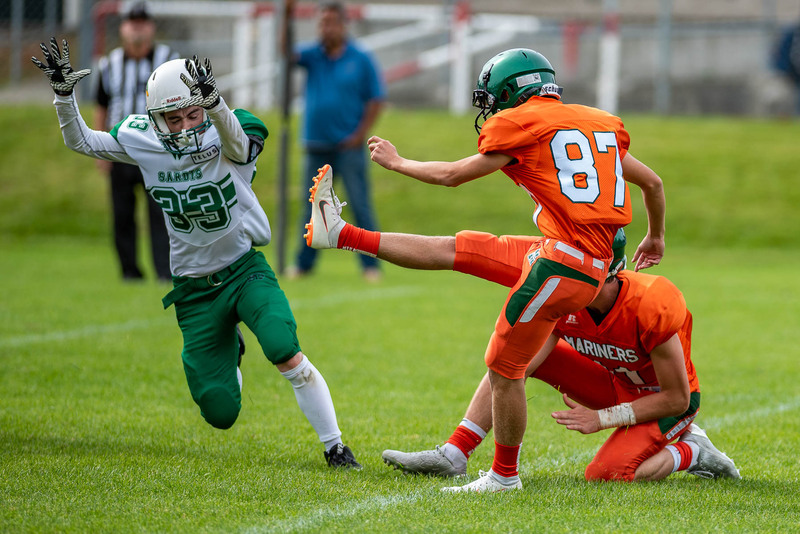 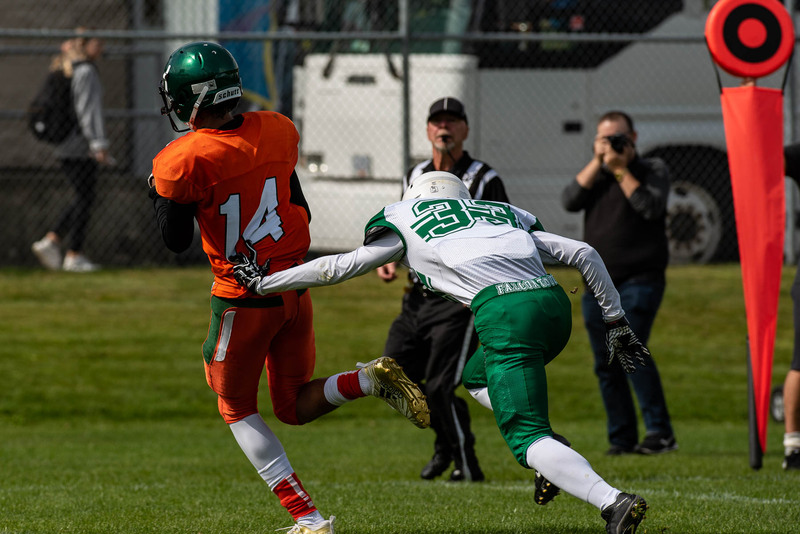 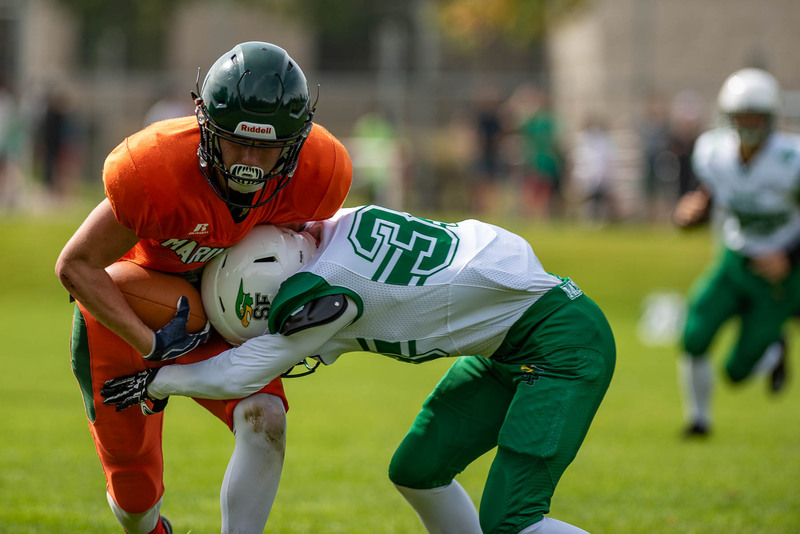 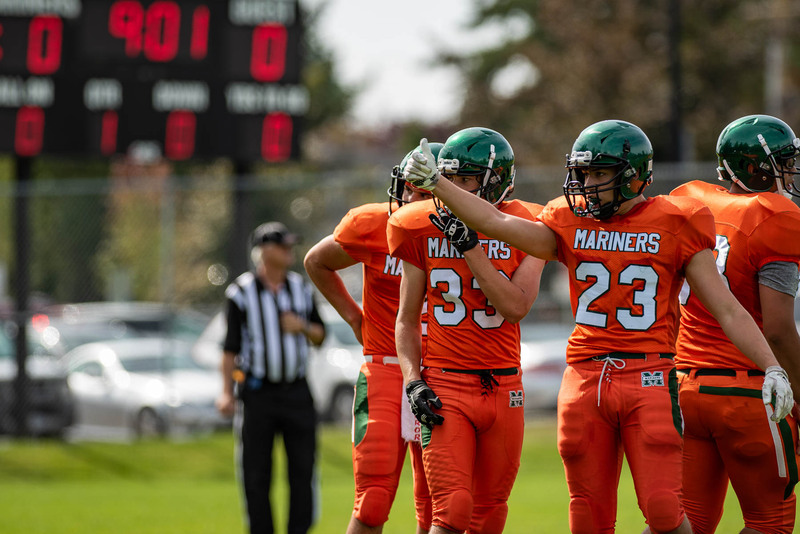 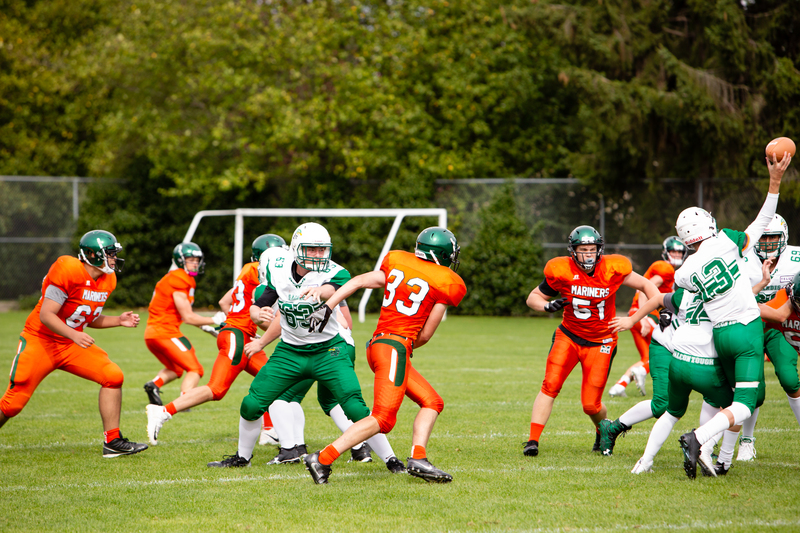 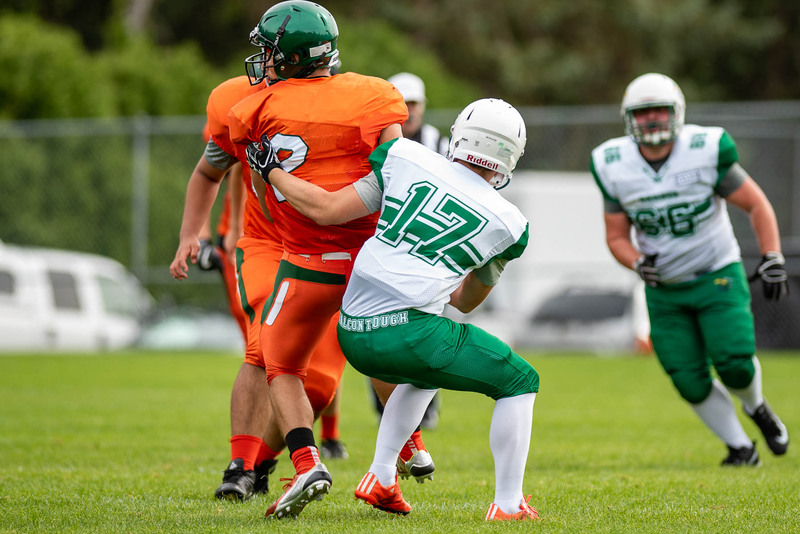 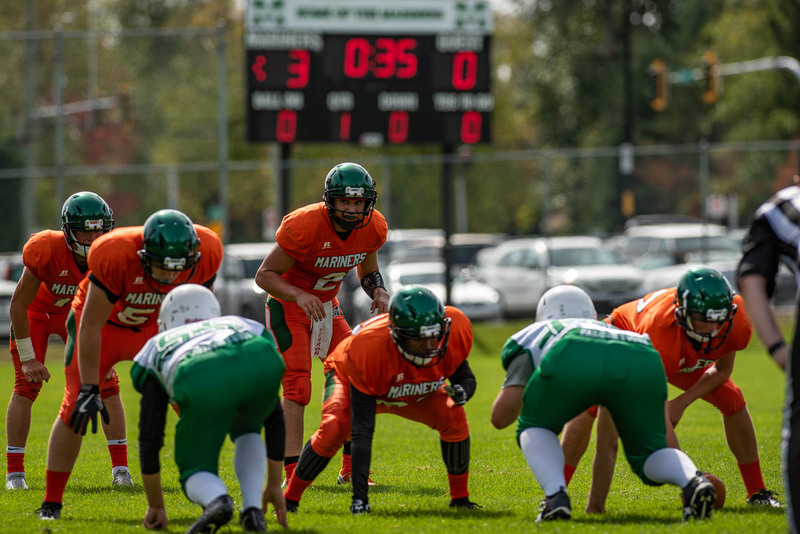 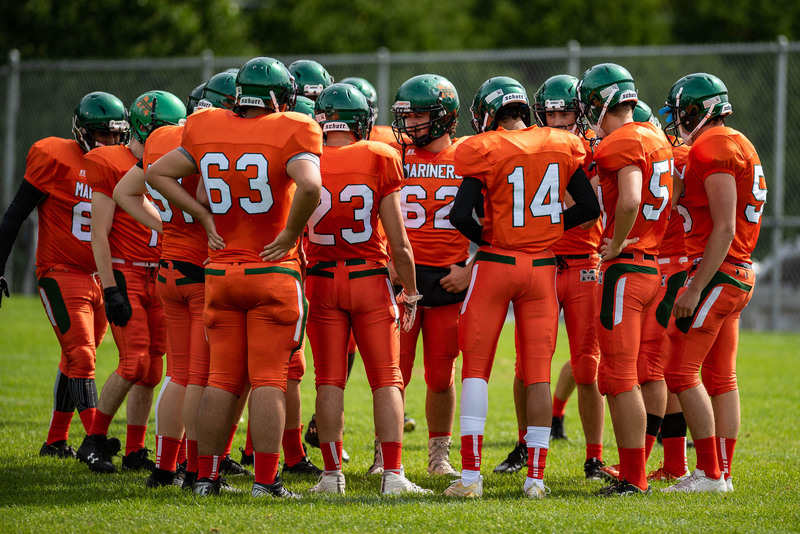 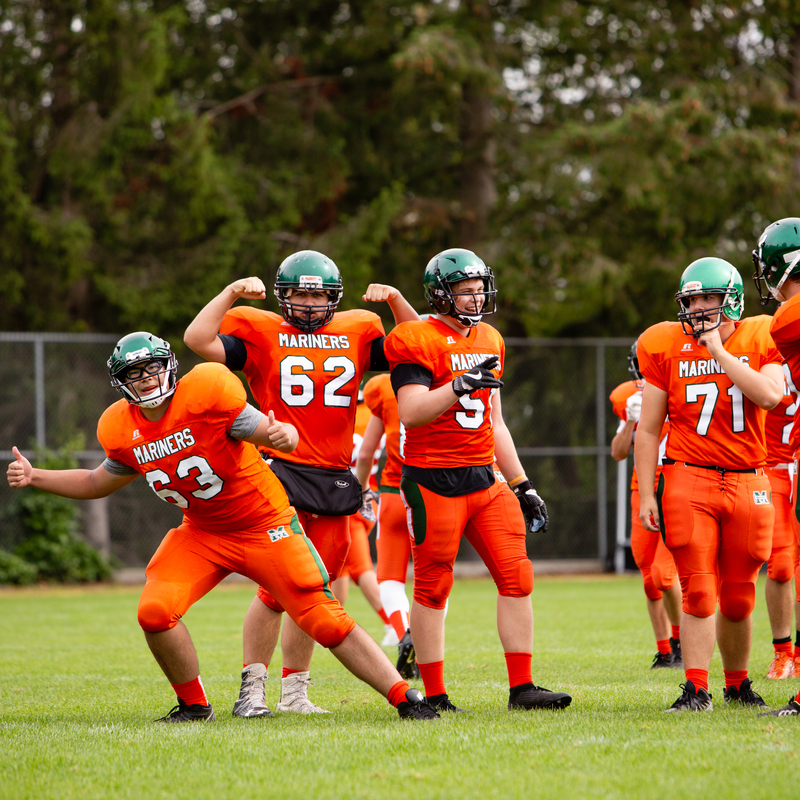 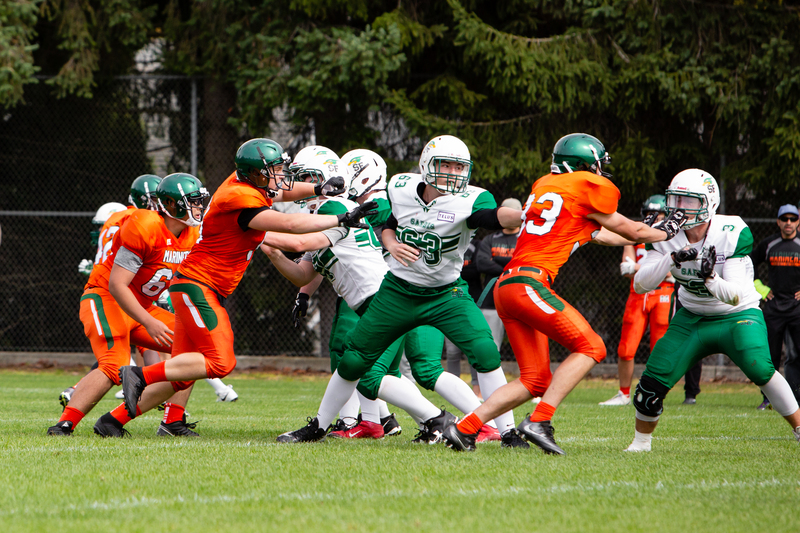 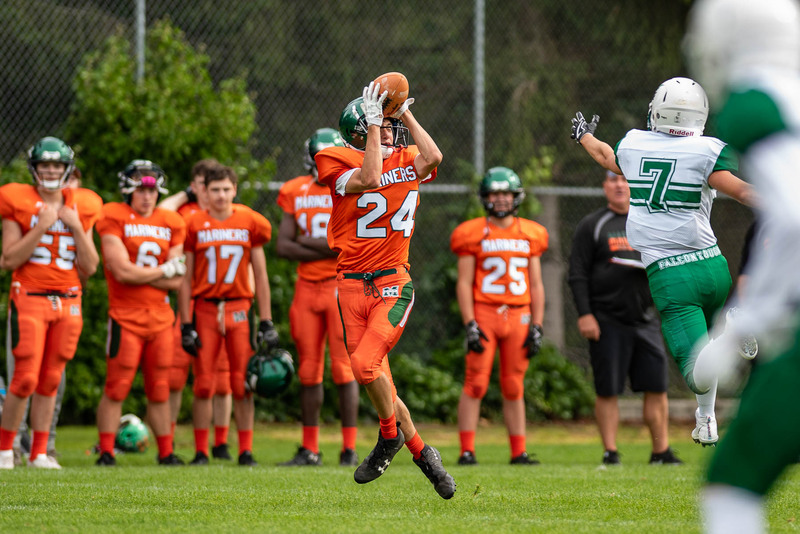 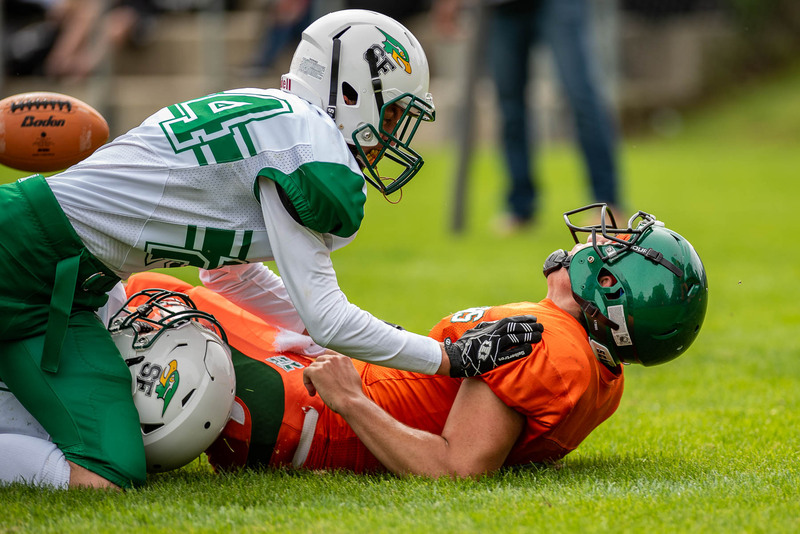 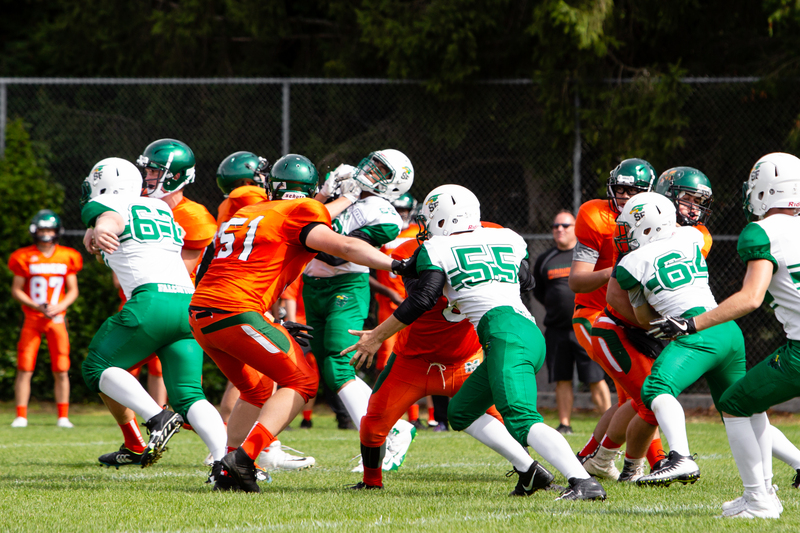 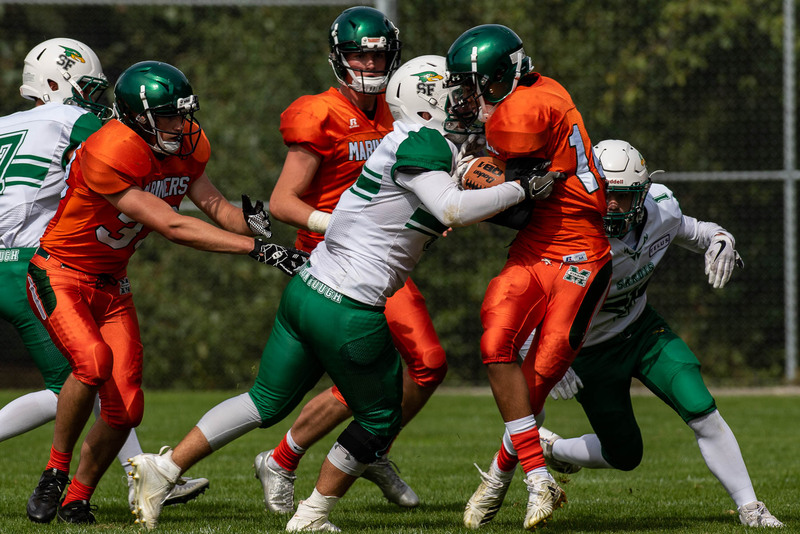 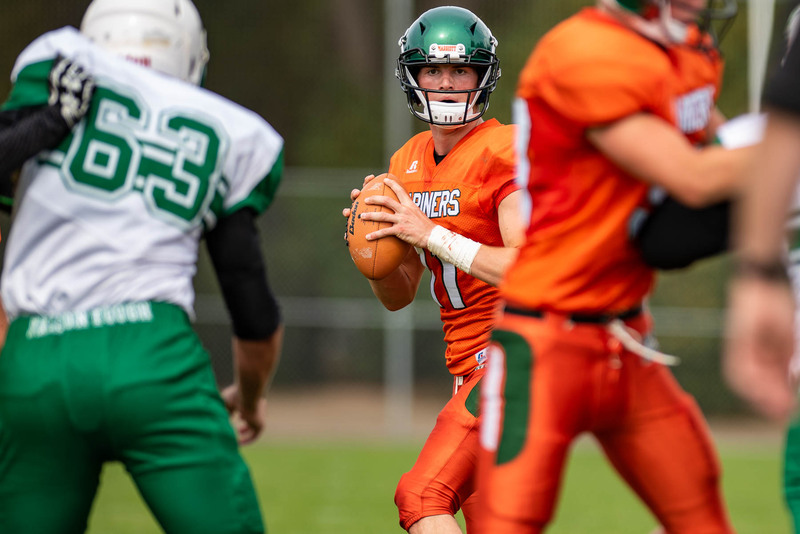 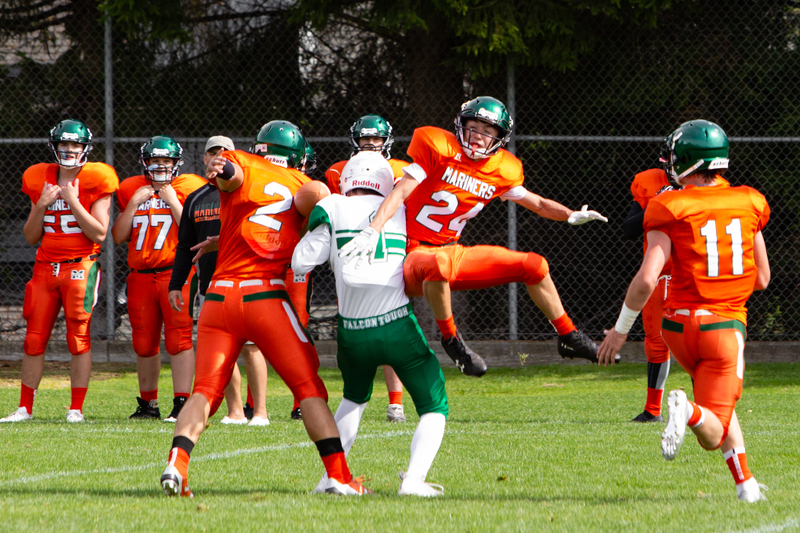 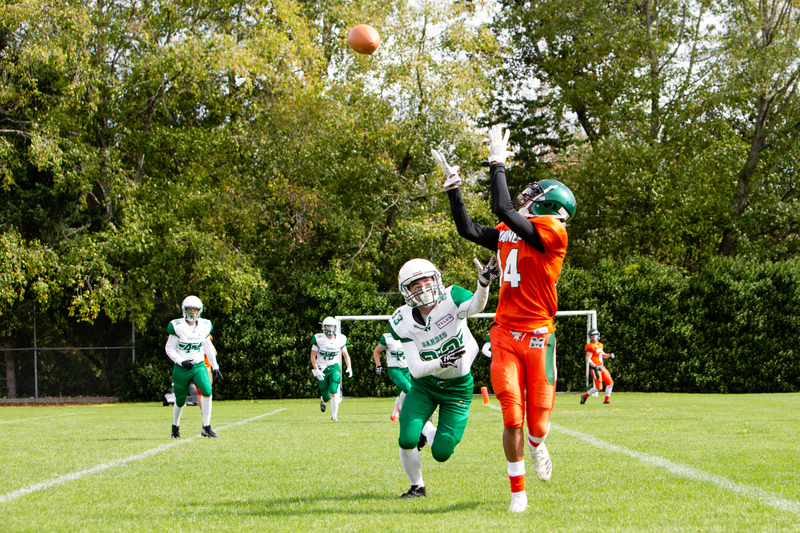 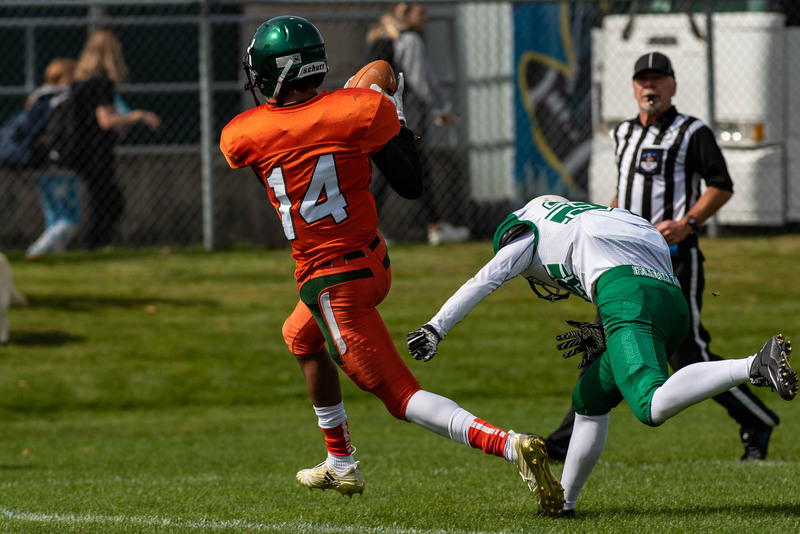 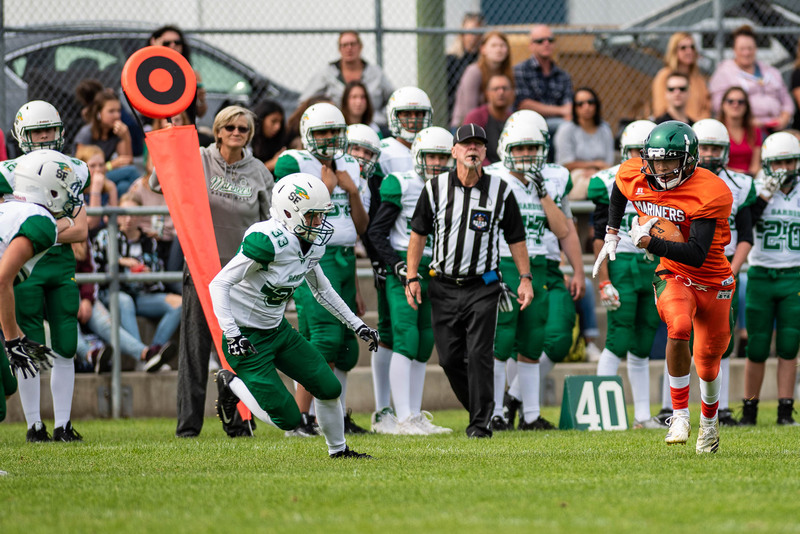 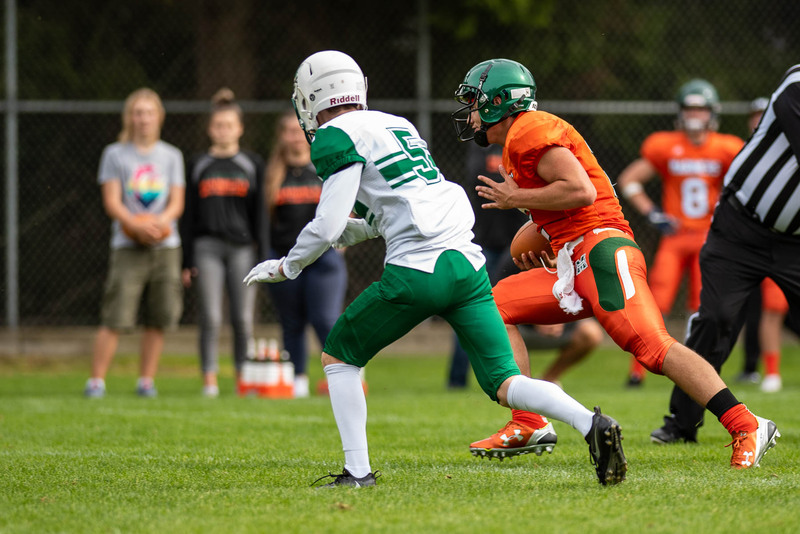 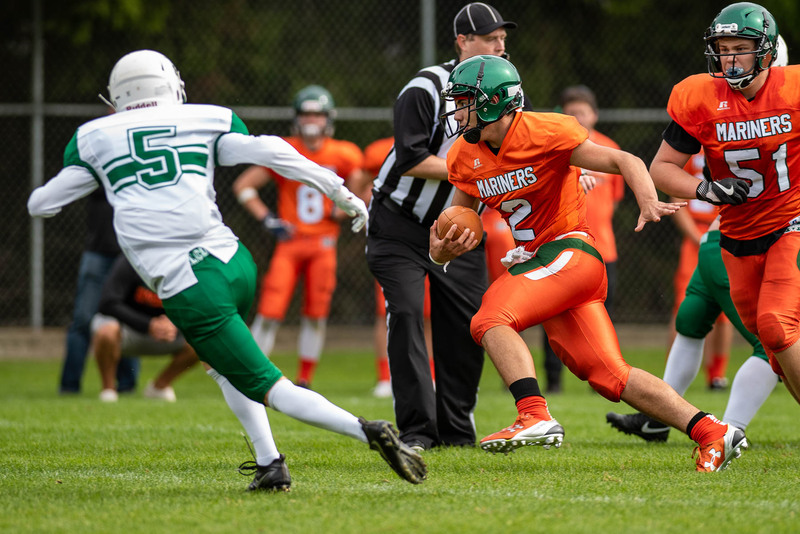 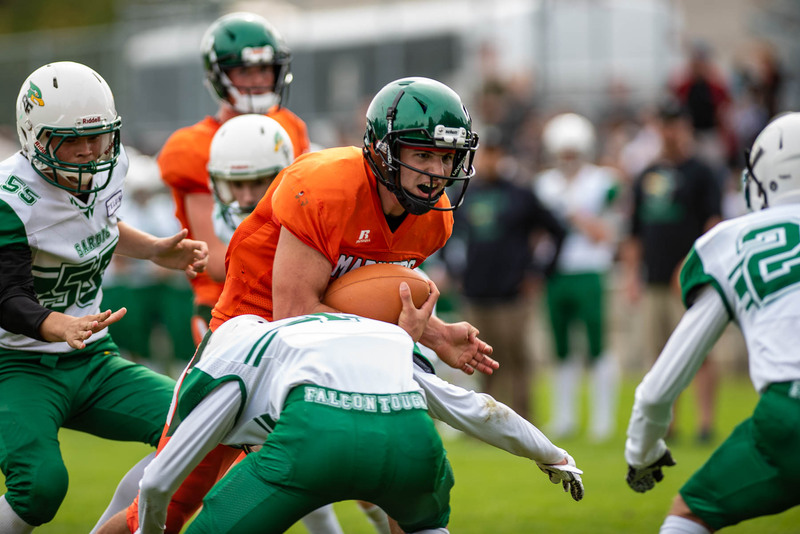 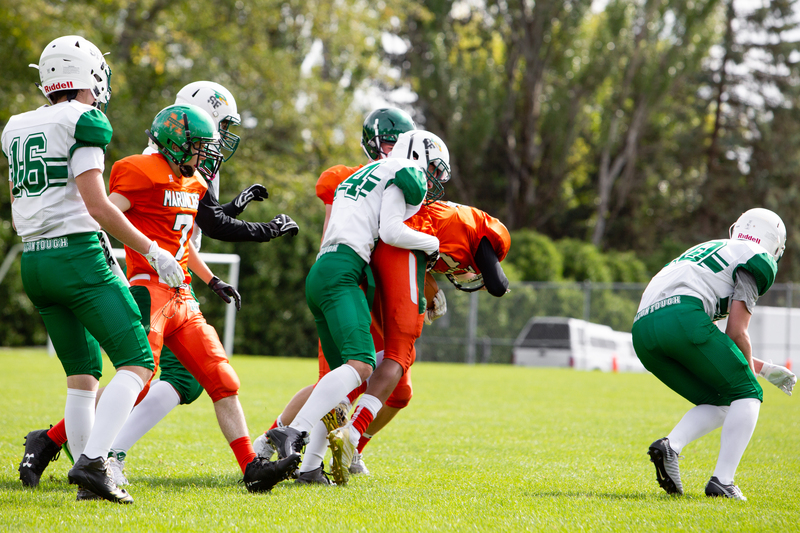 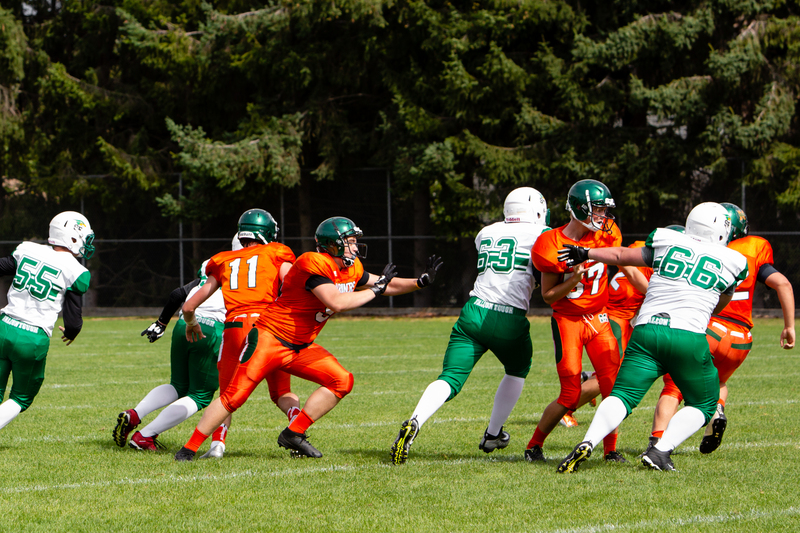 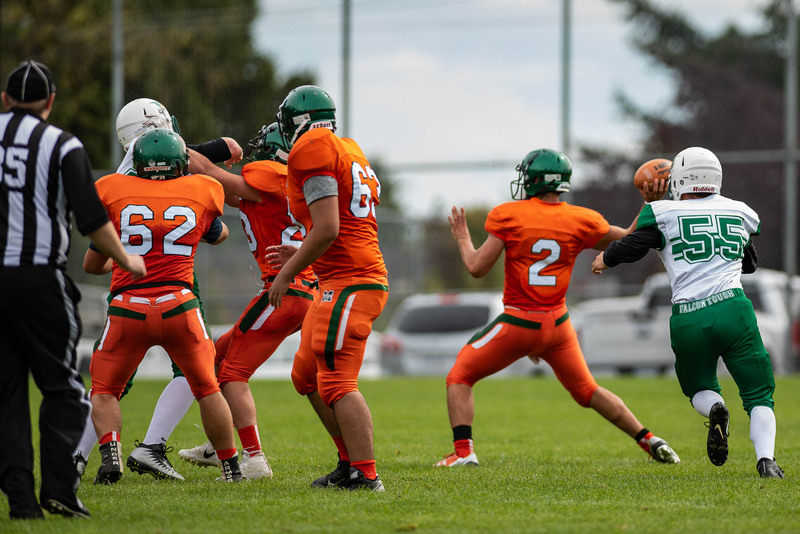 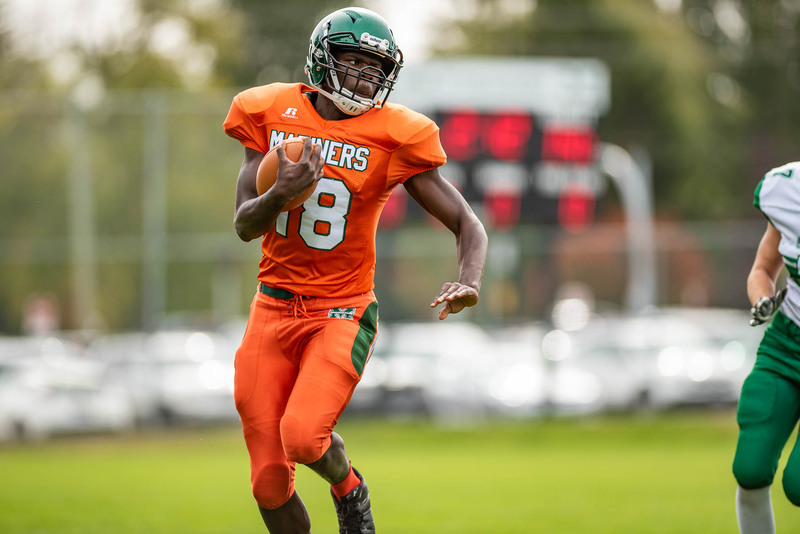 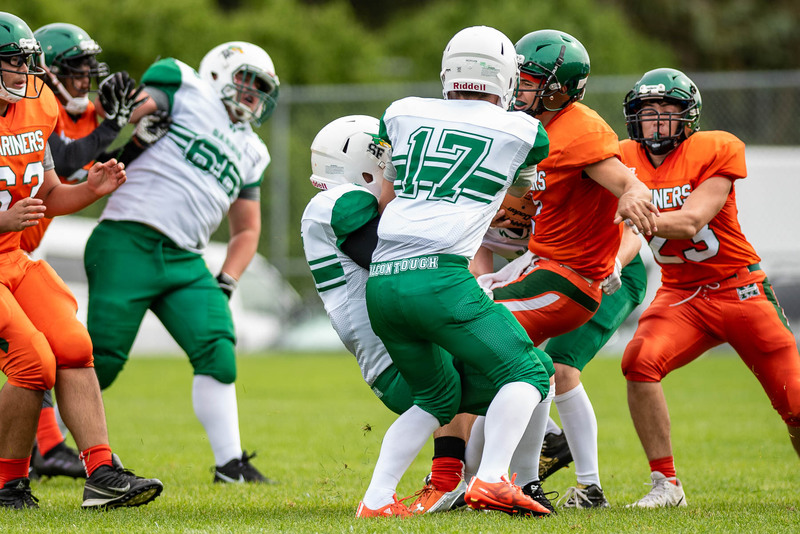 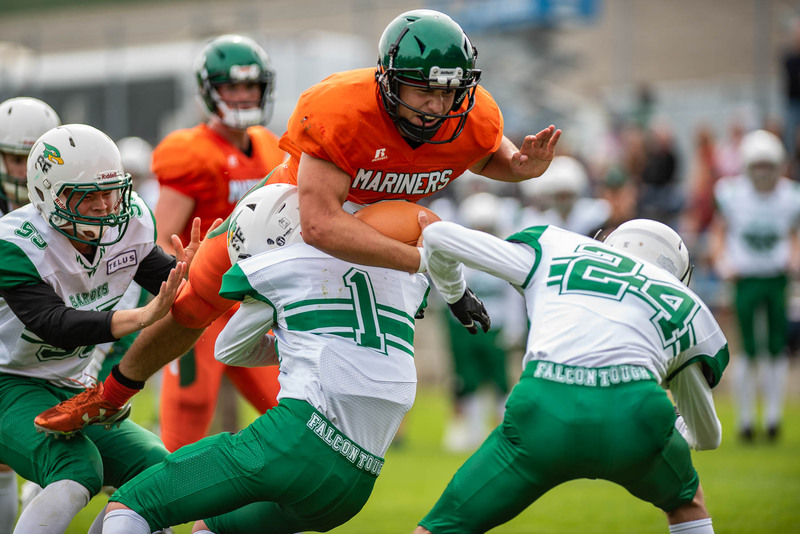 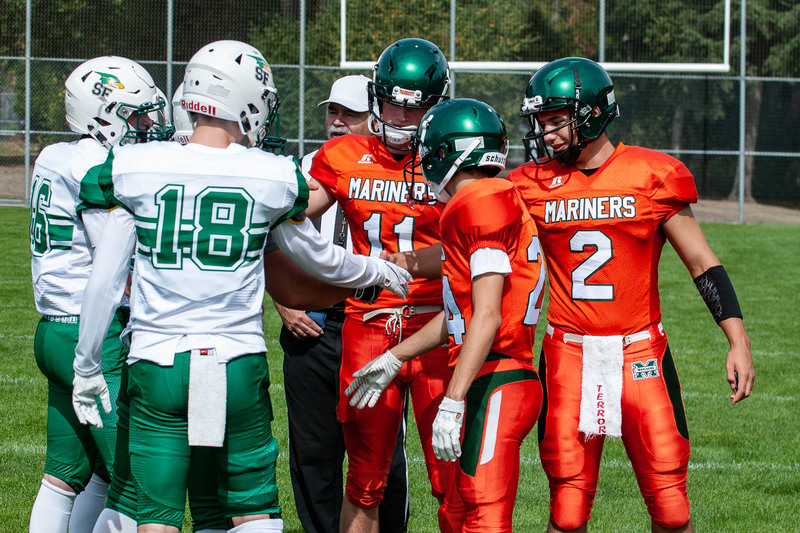 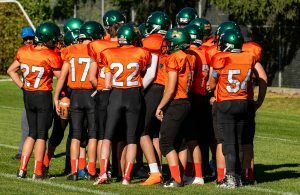 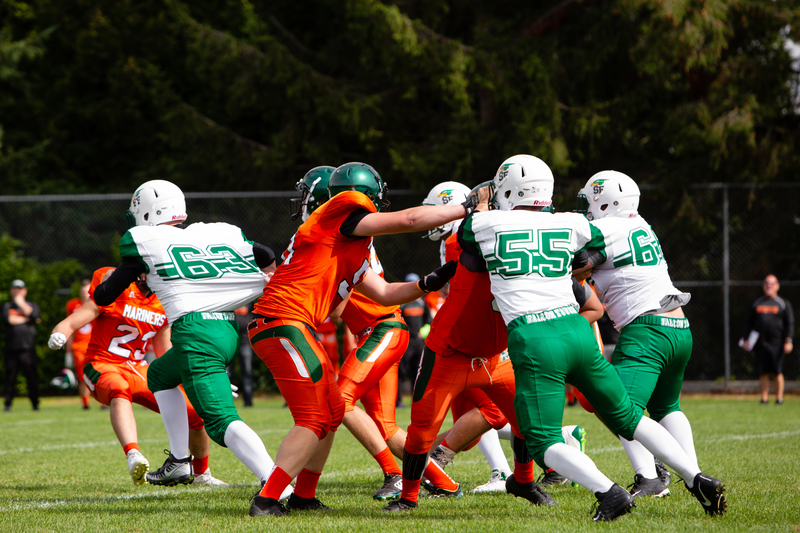 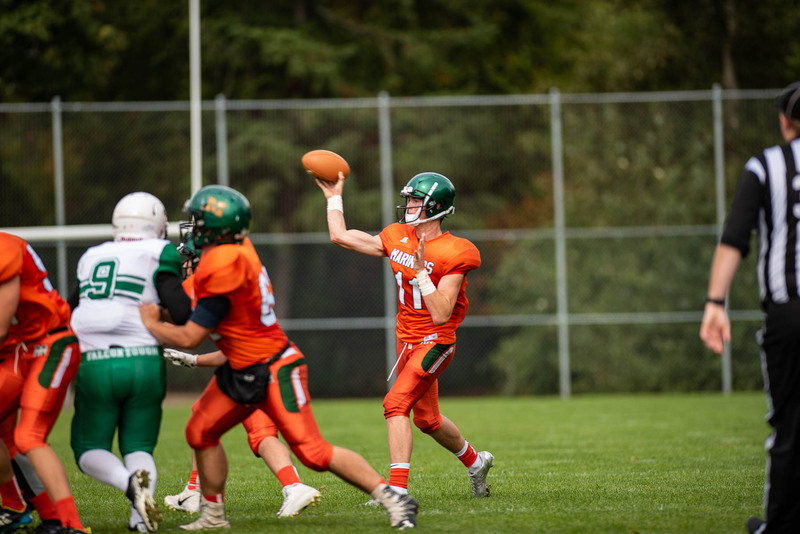 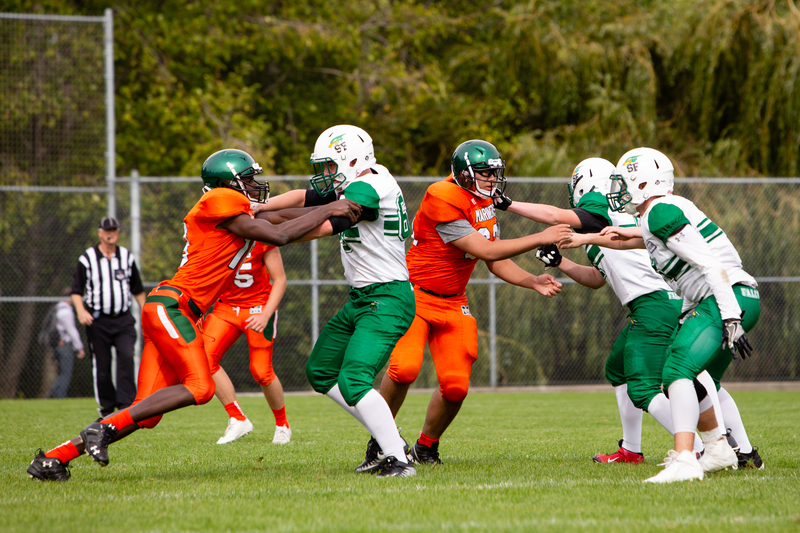 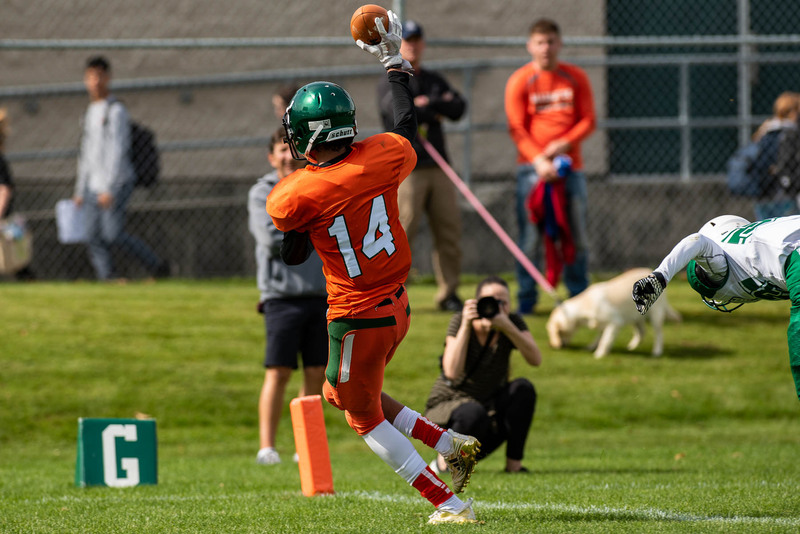 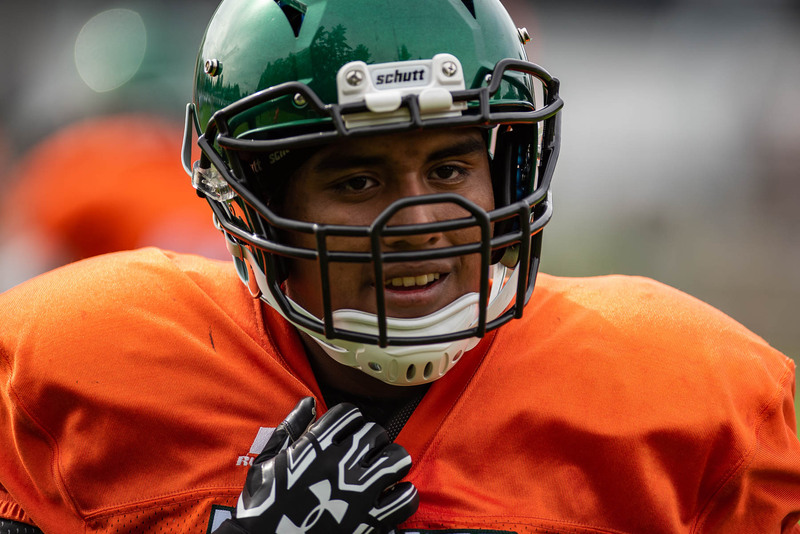 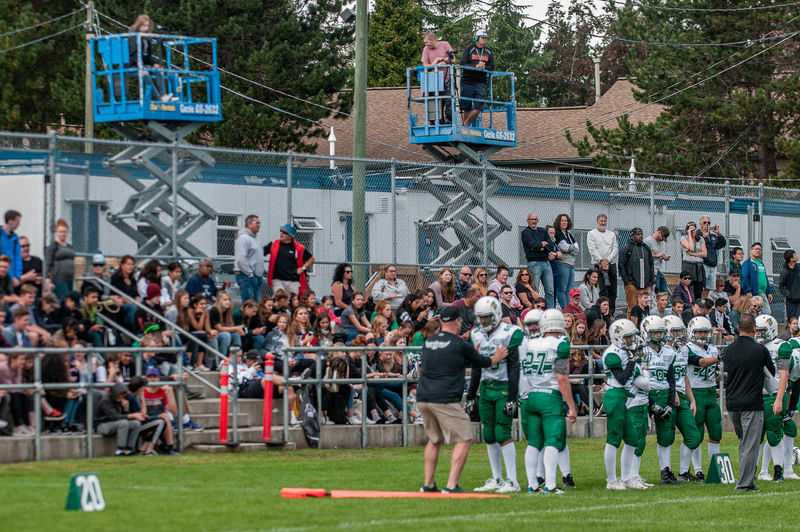 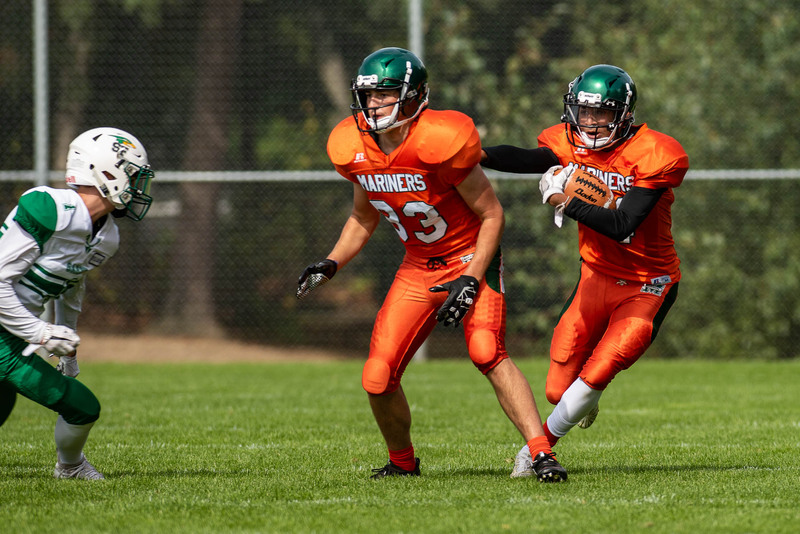 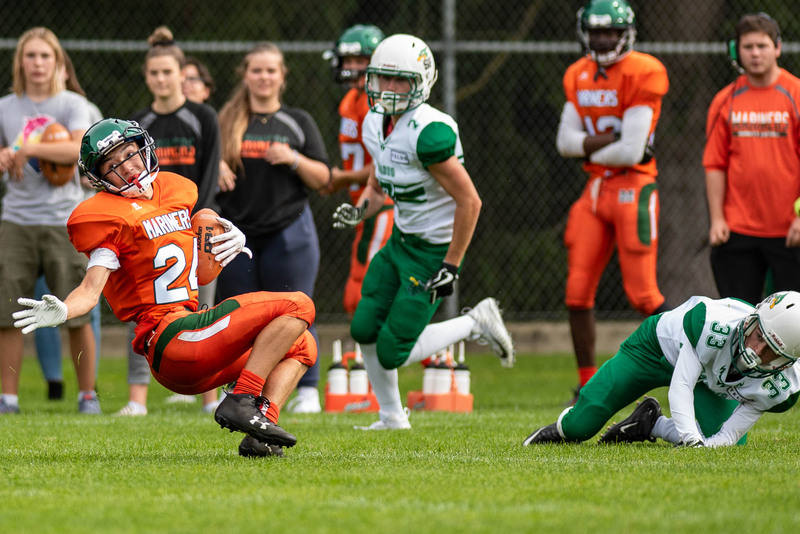 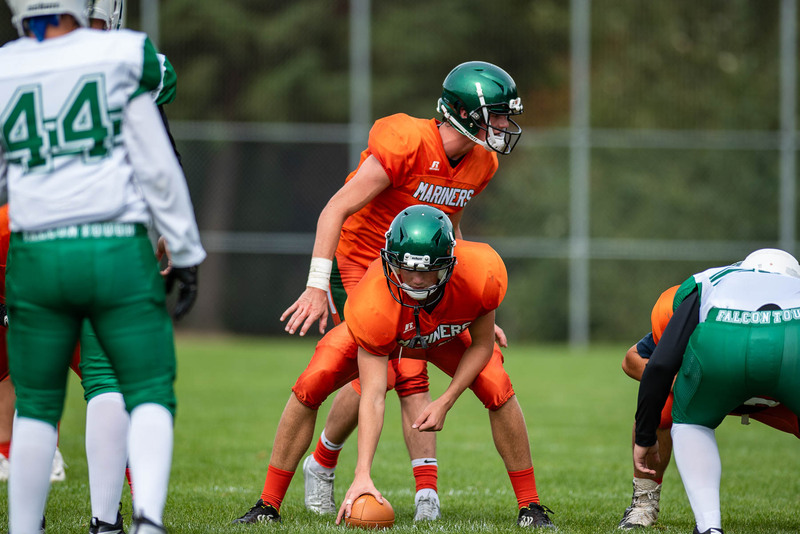 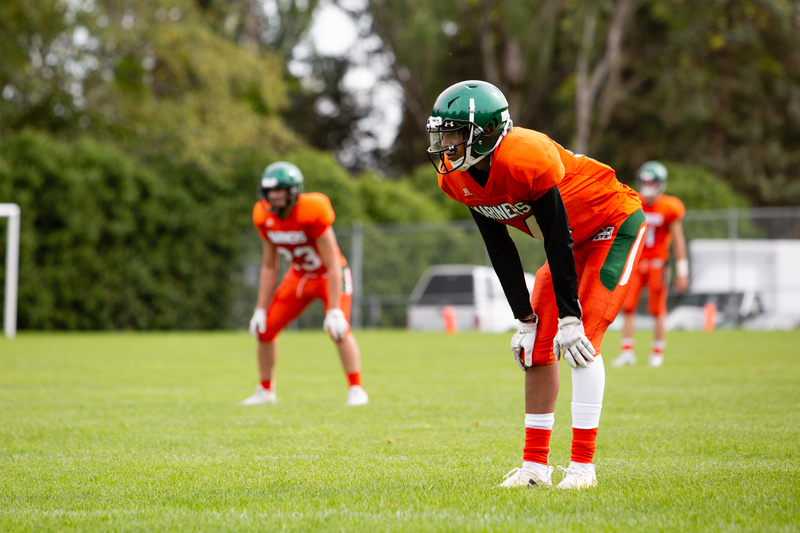 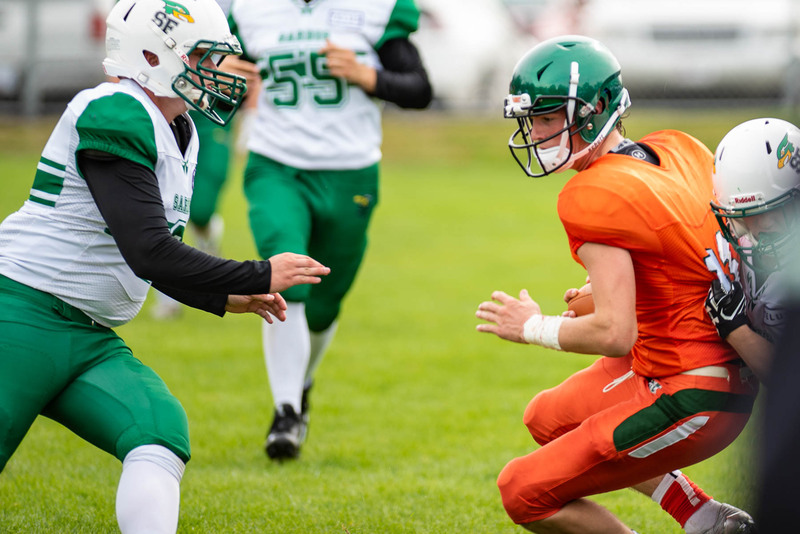 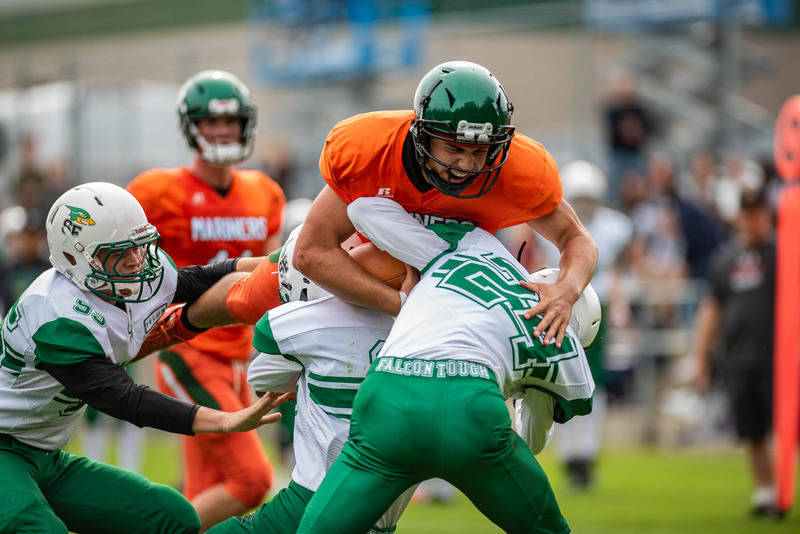 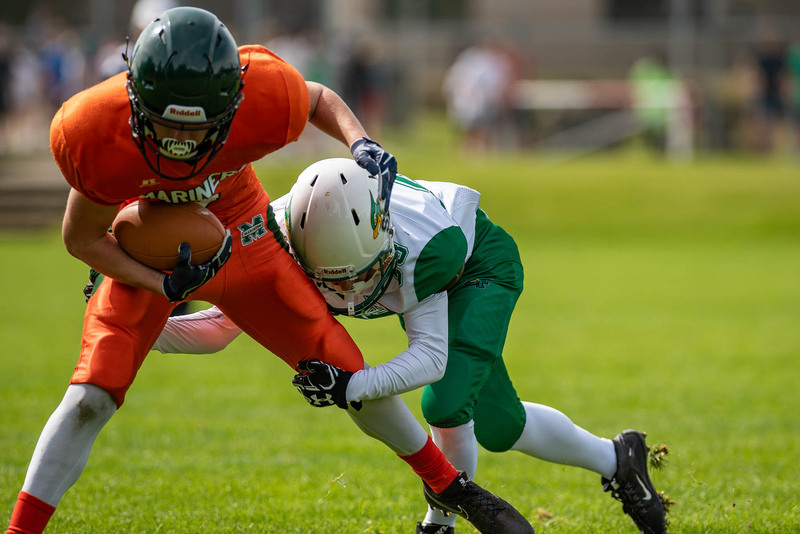 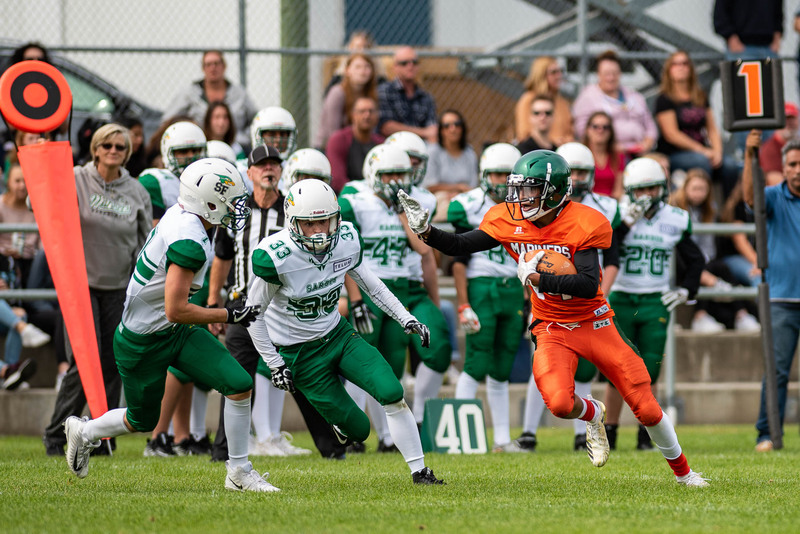 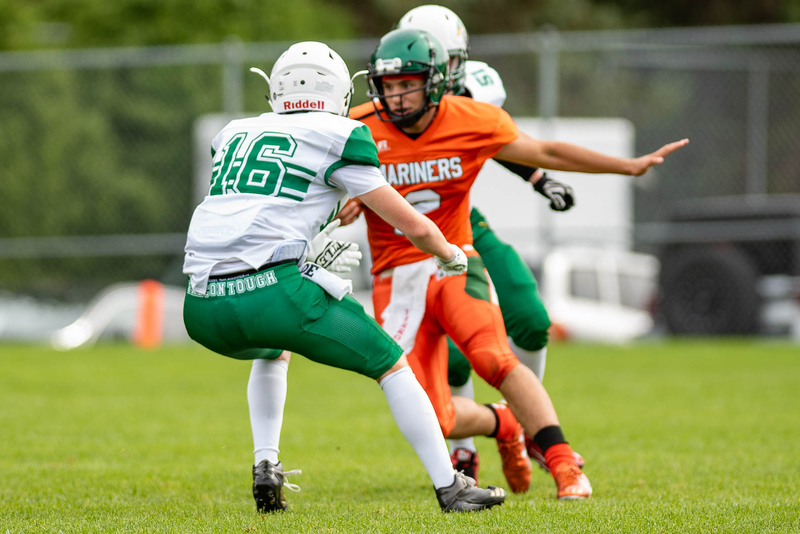 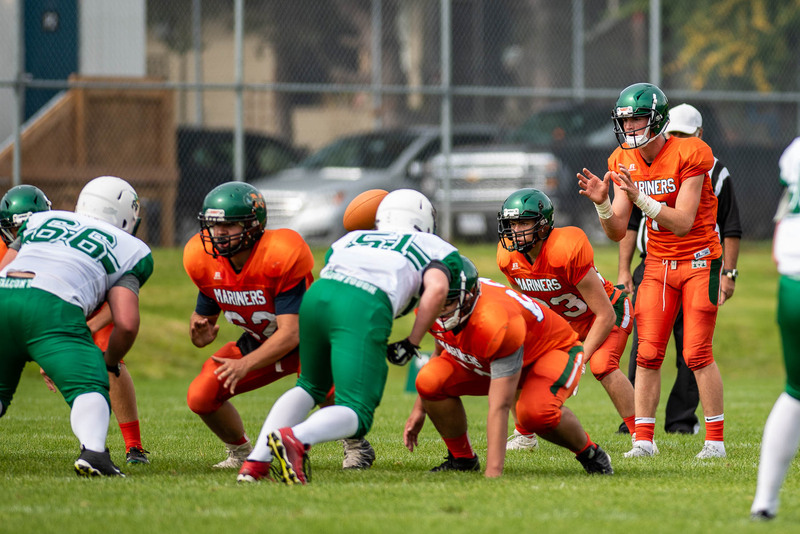 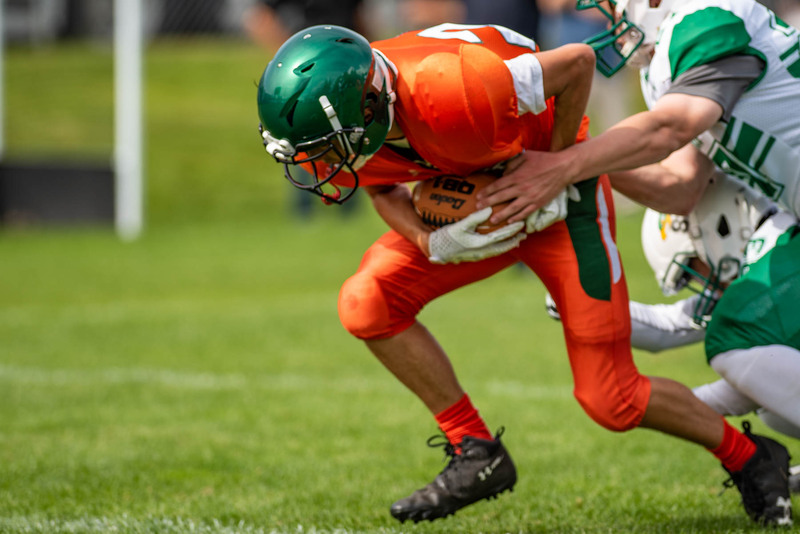 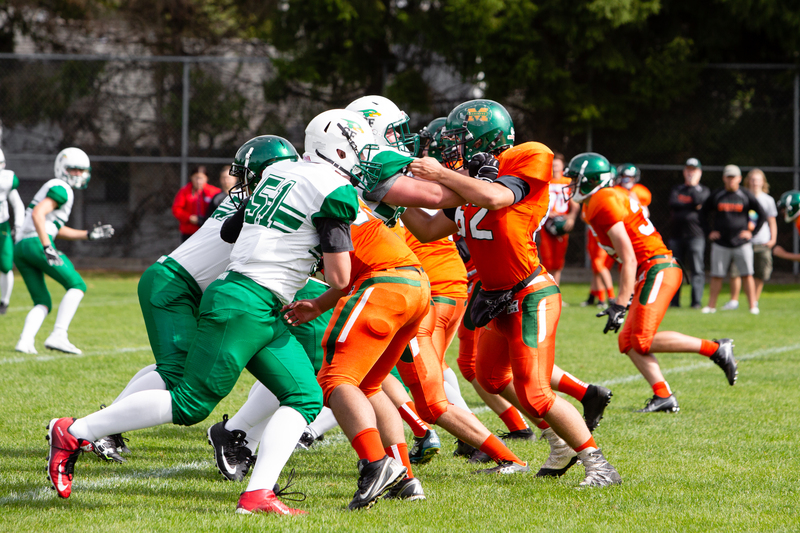 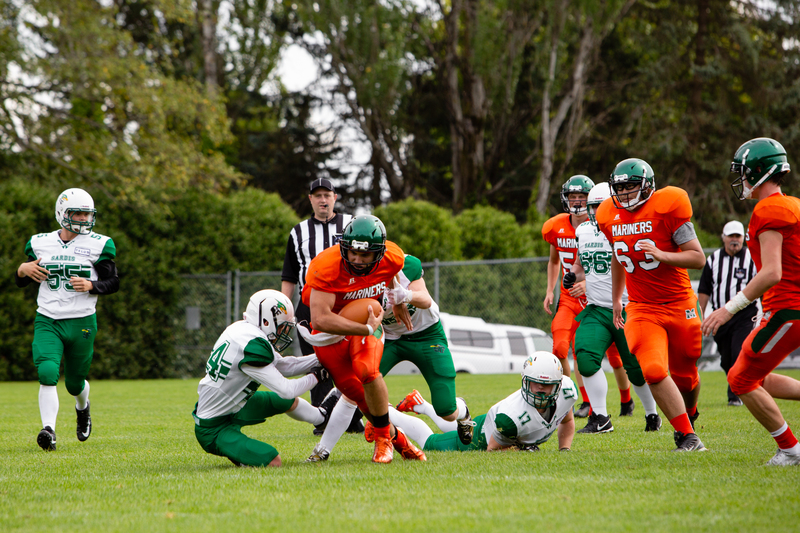 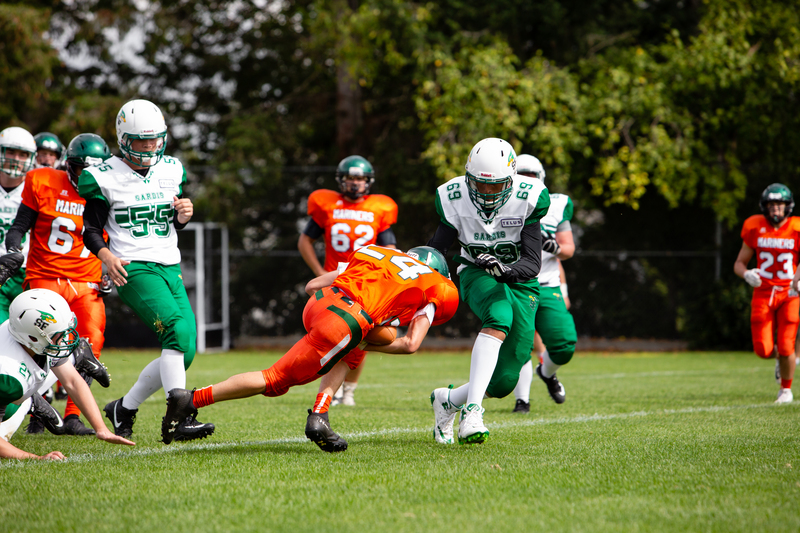 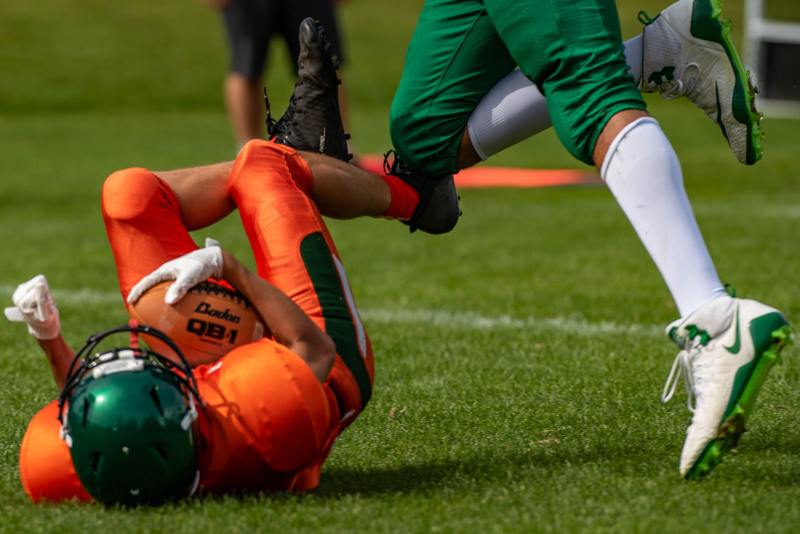 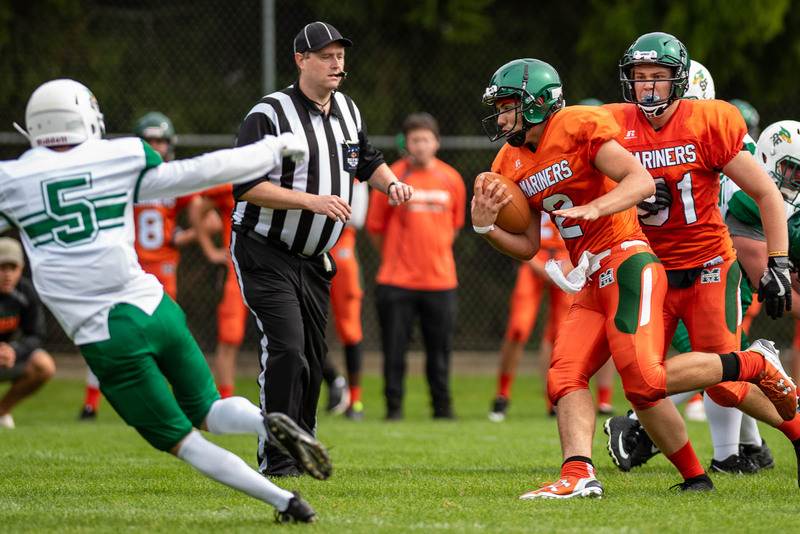 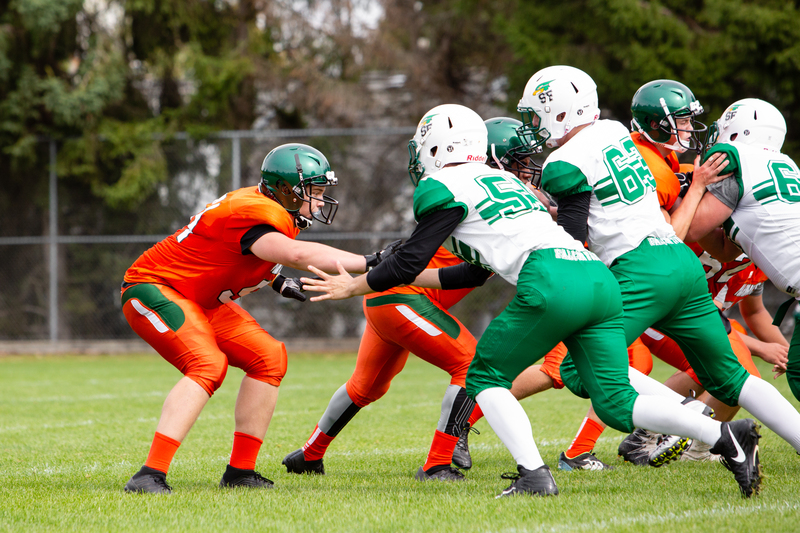 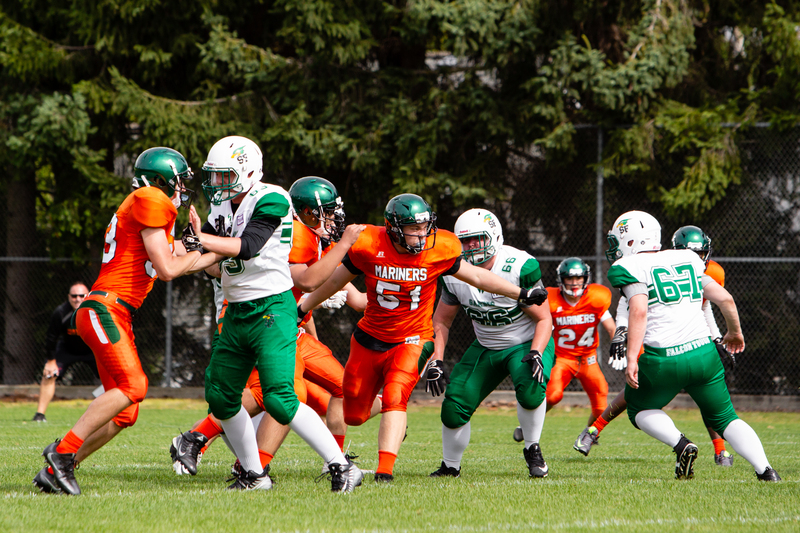 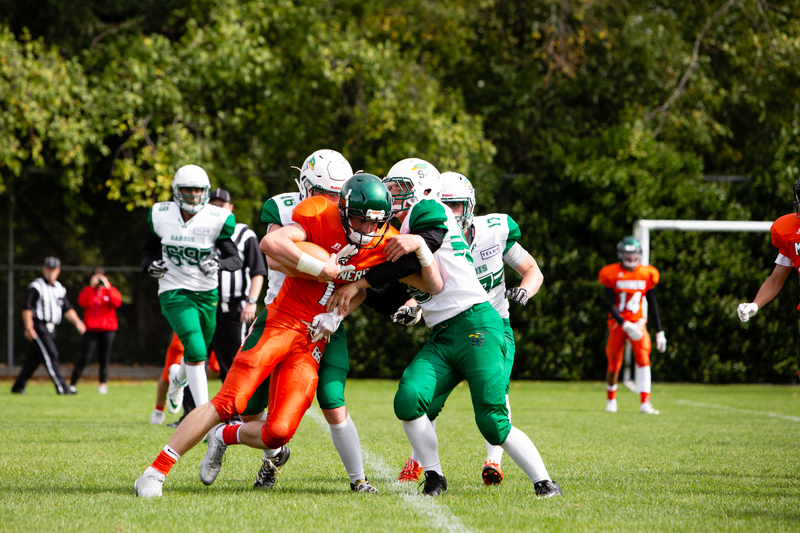 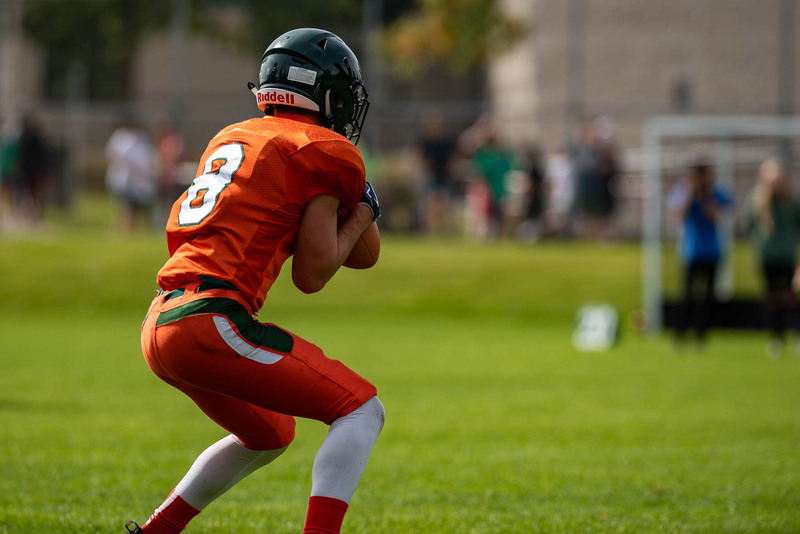 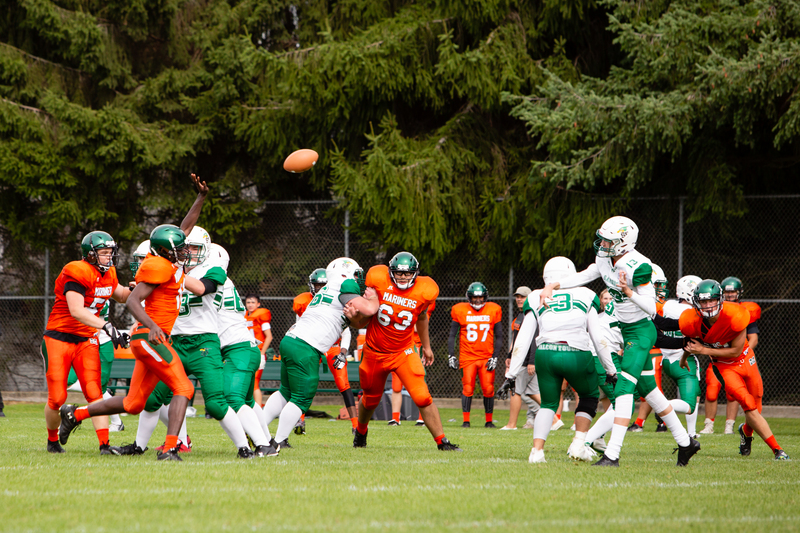 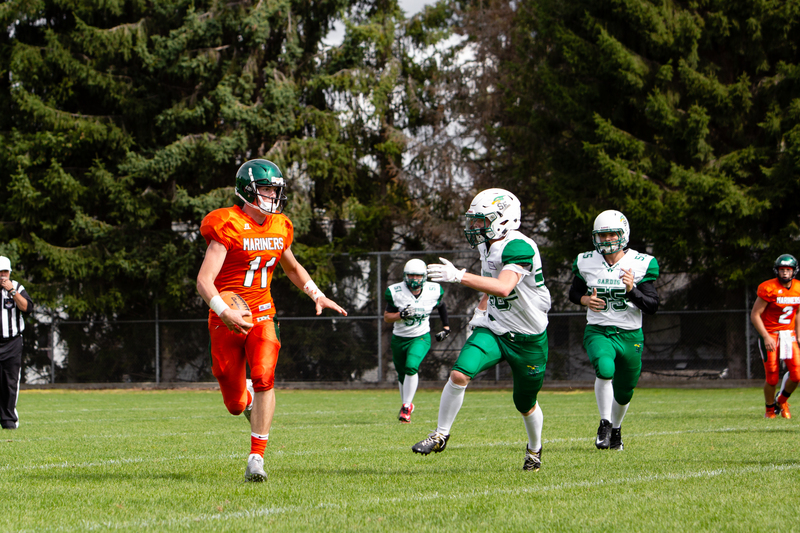 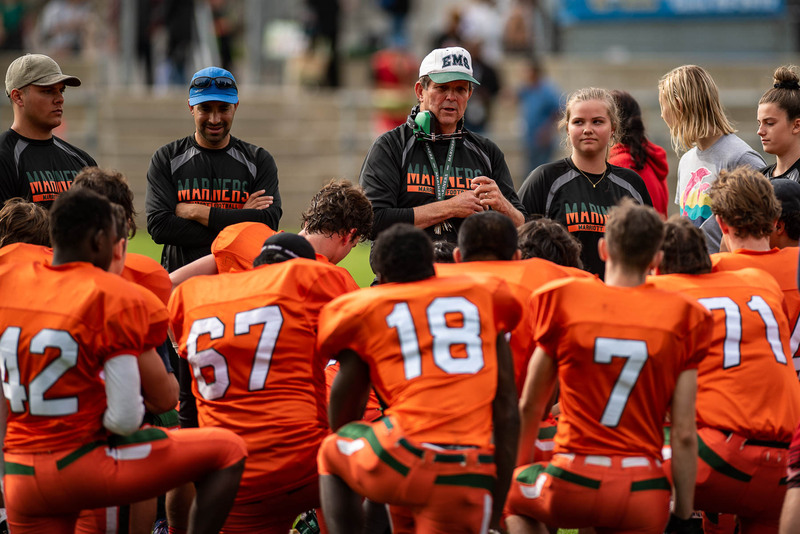 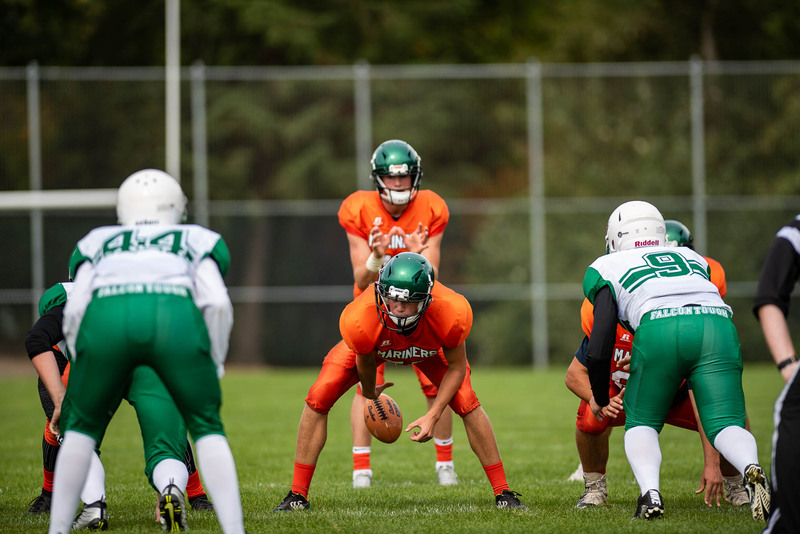 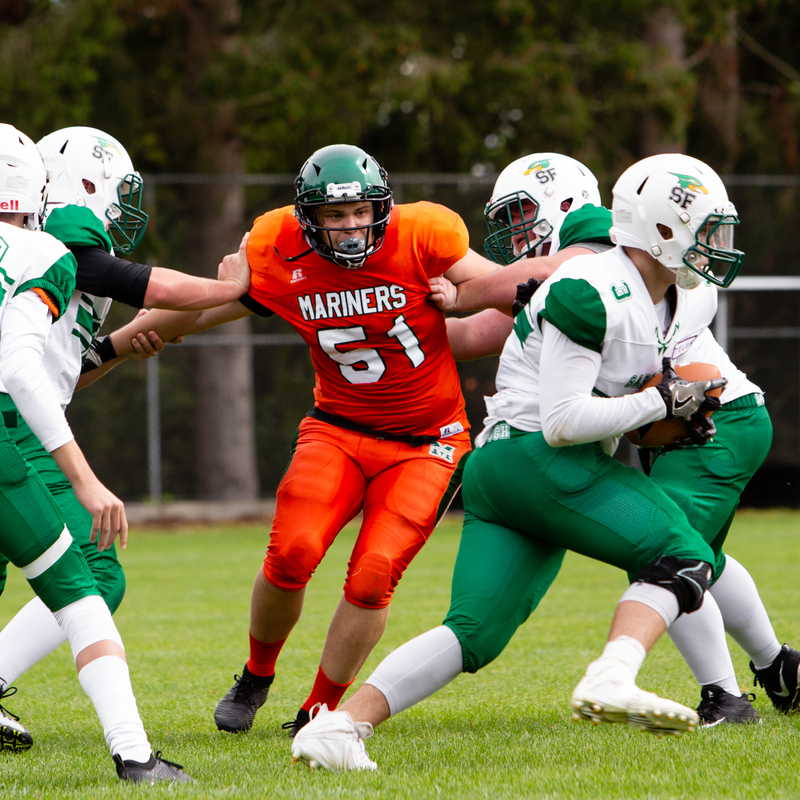 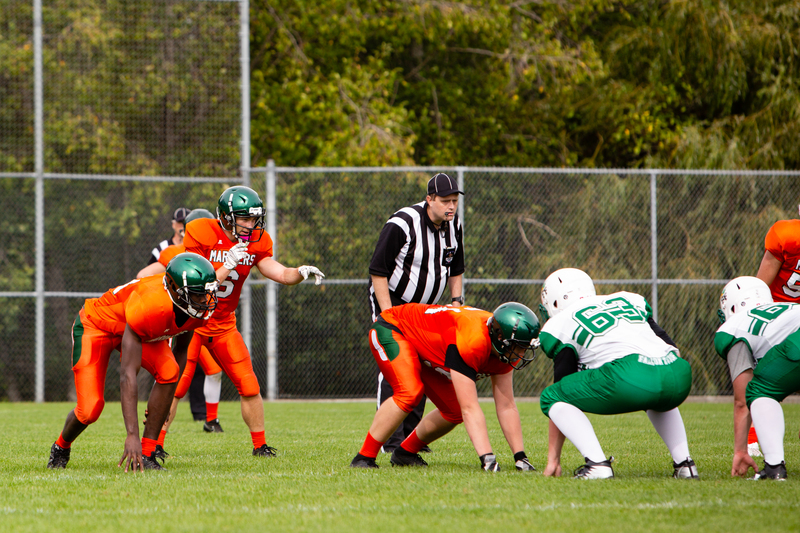 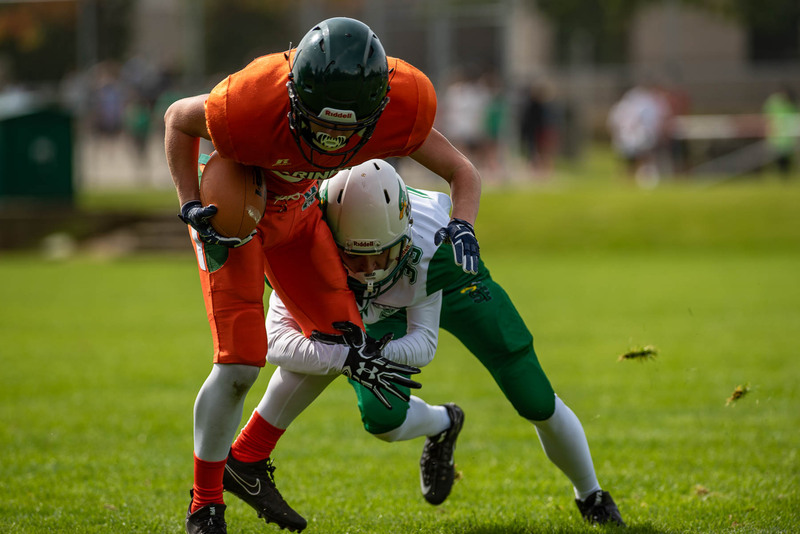 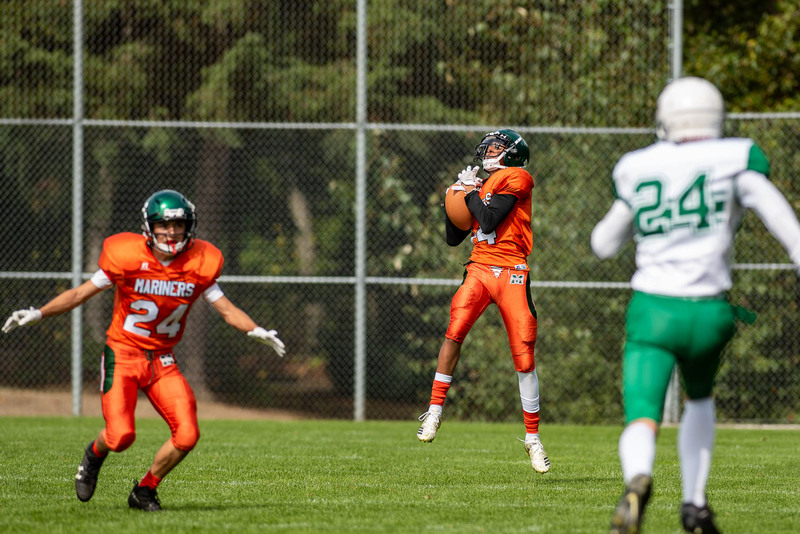 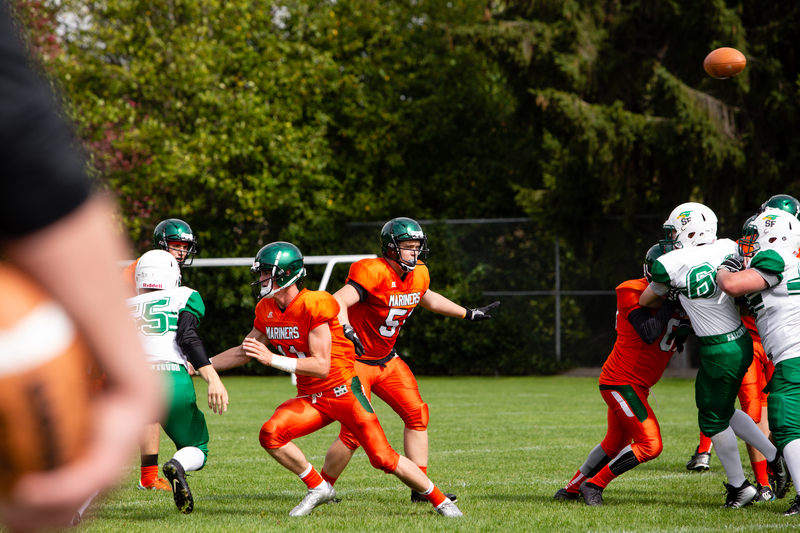 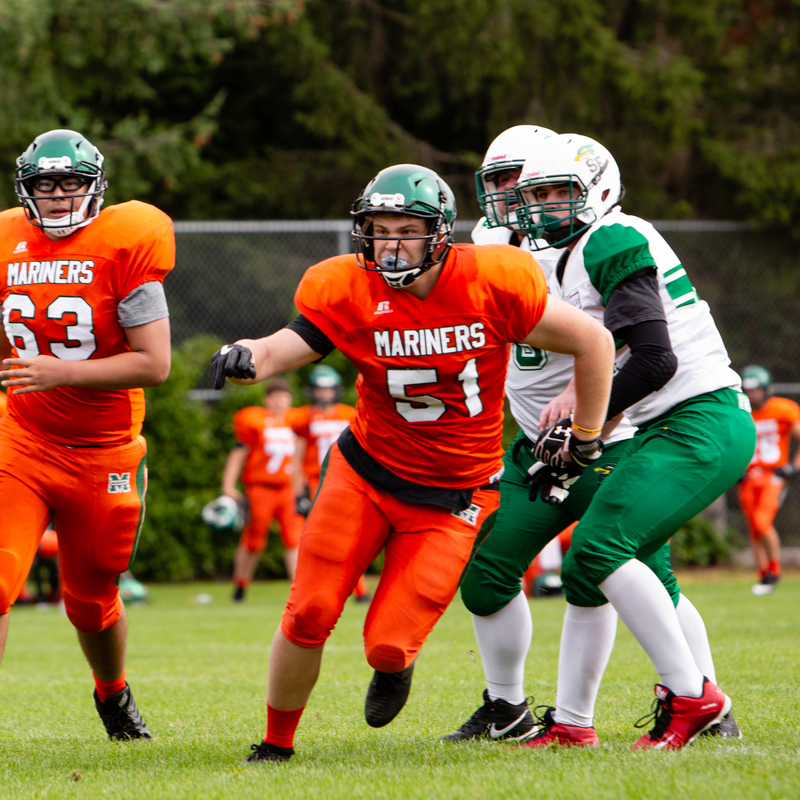 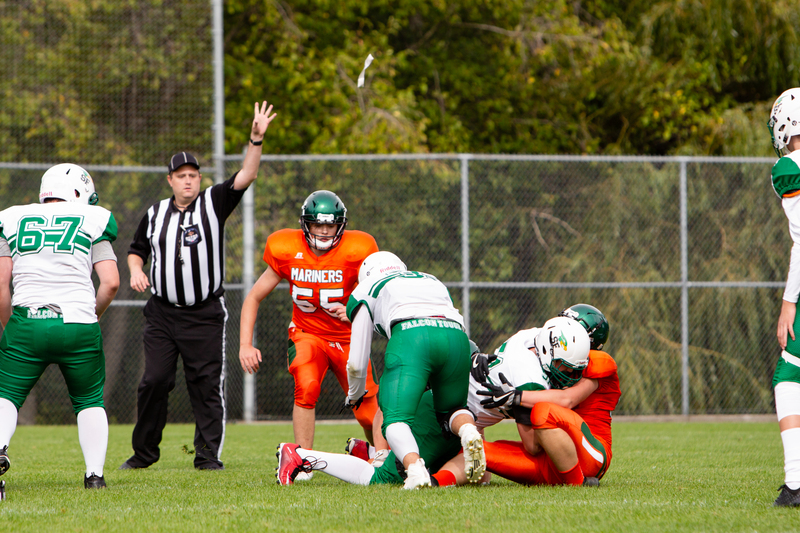 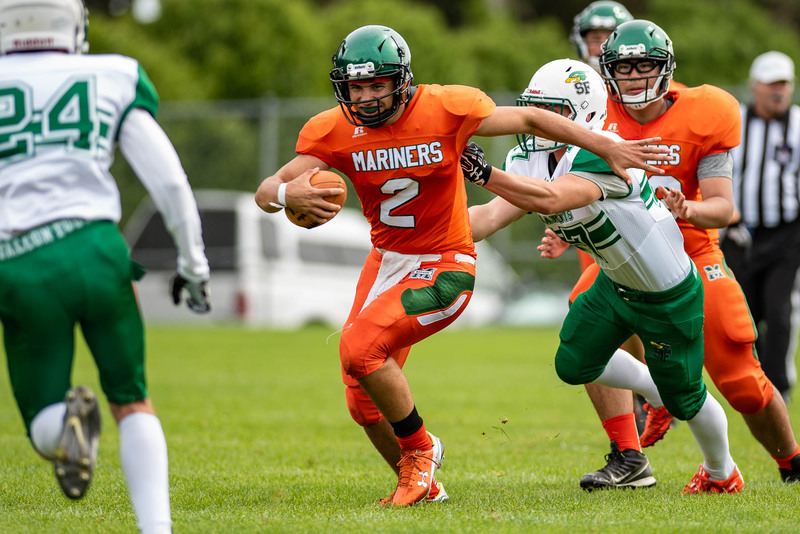 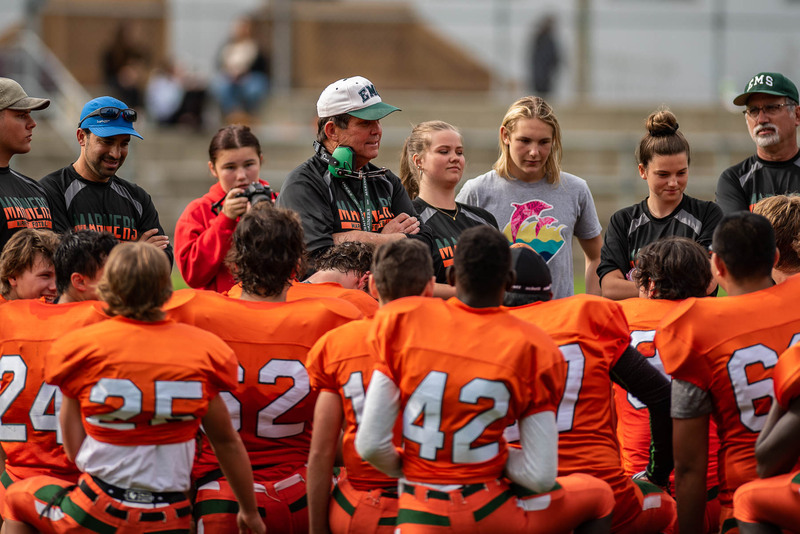 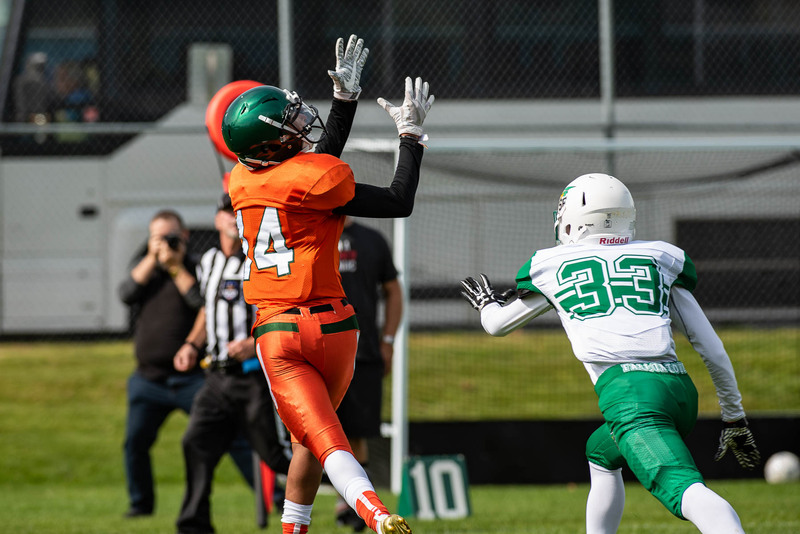 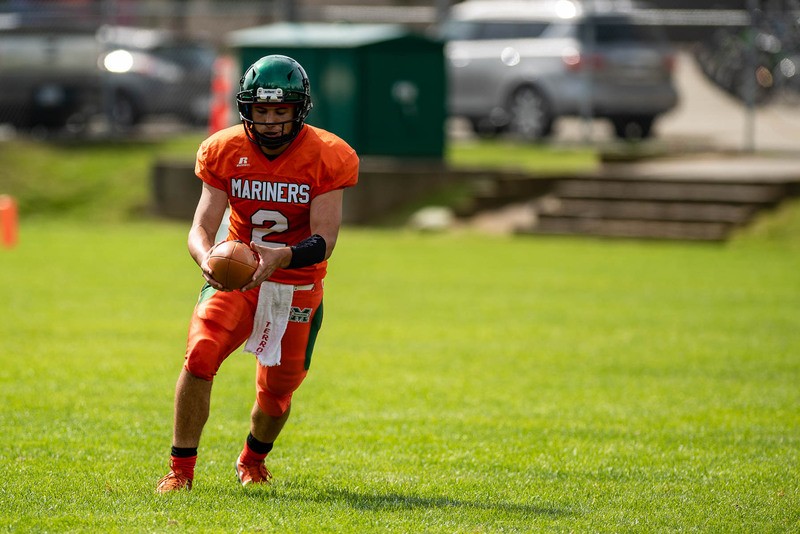 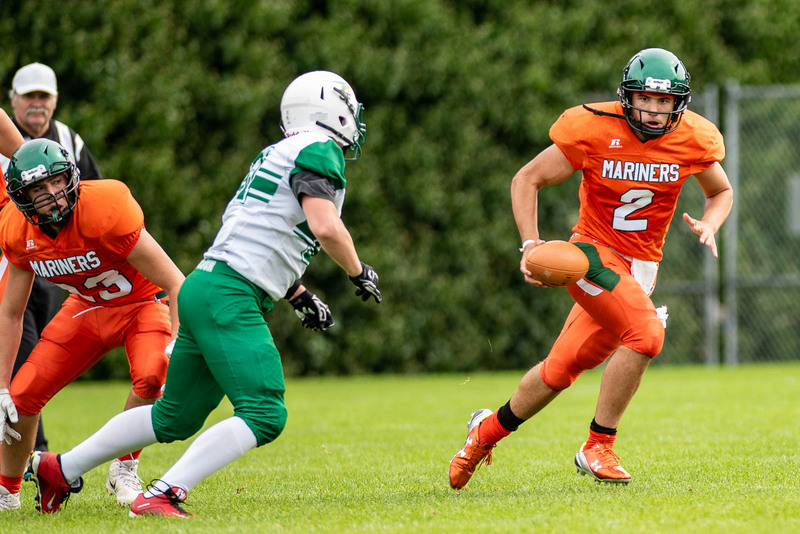 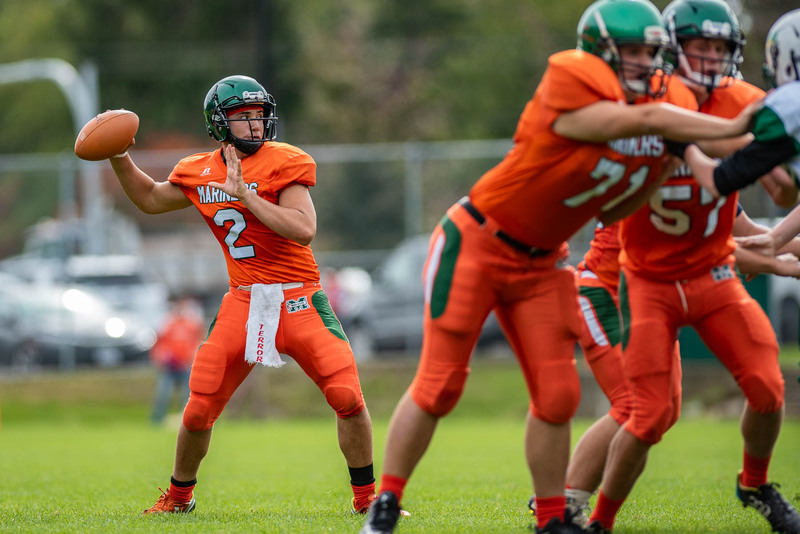 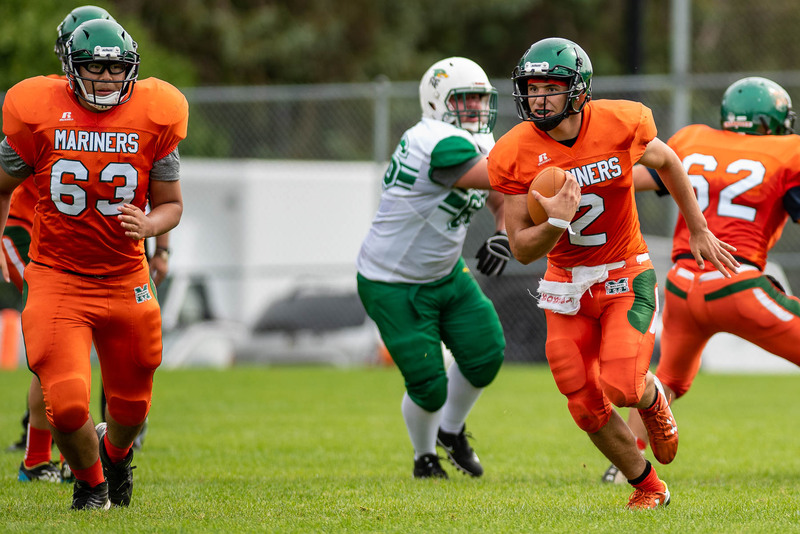 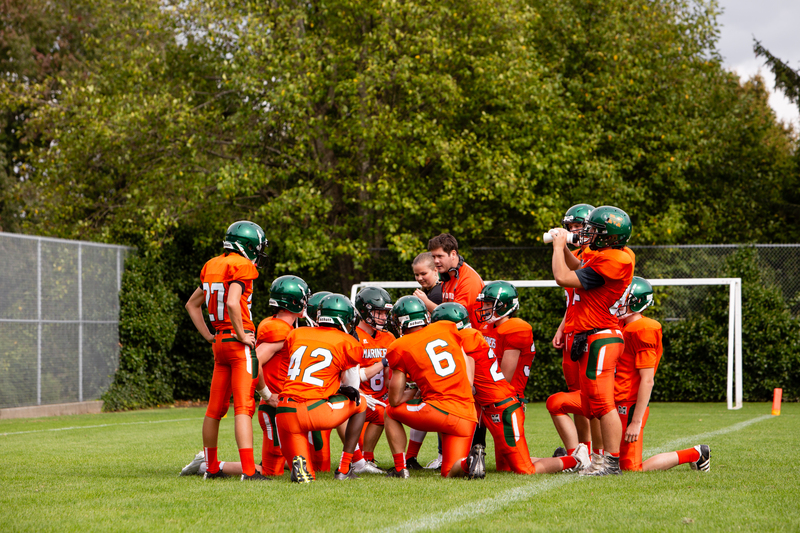 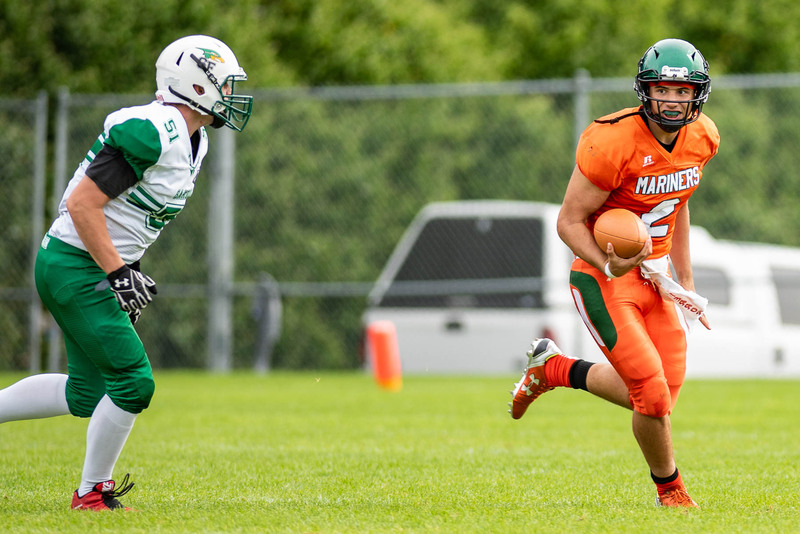 The Earl Marriott Mariners bounced back from a week one loss to Abbotsford and posted a 34-20 home opening win over the Sardis Falcons in BC High School AAA Pacific Division action on Friday afternoon. 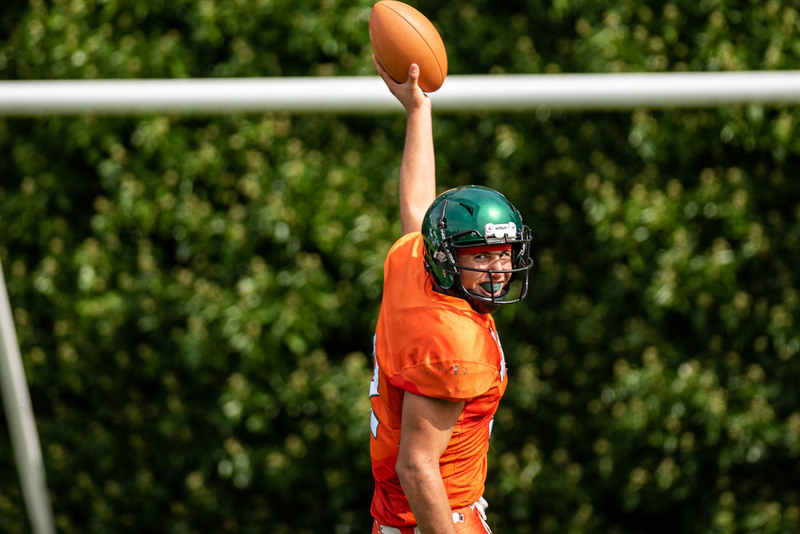 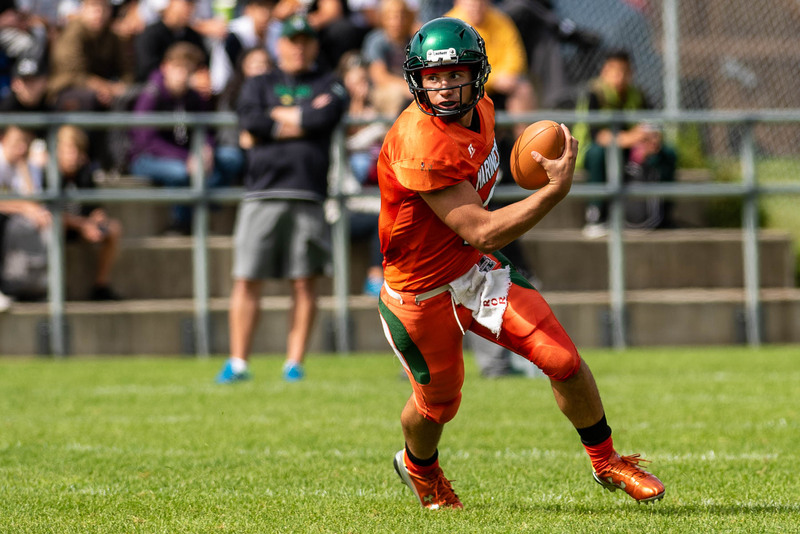 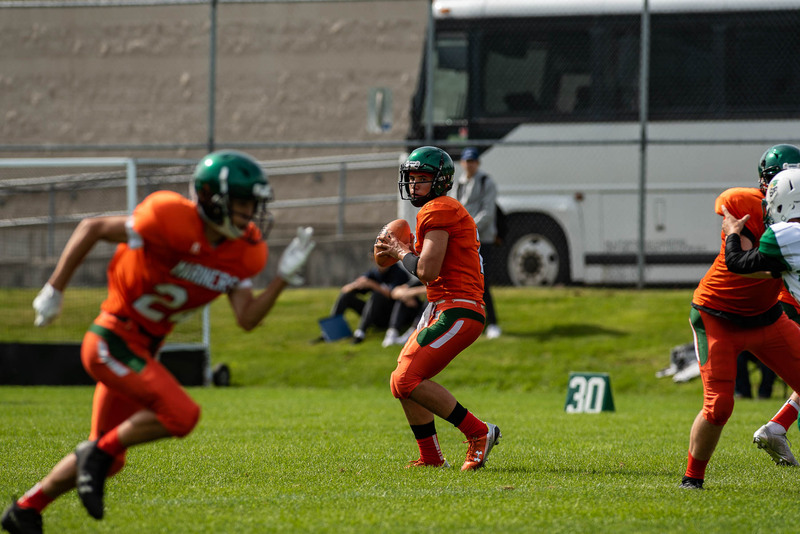 Quarterback Byron Ruvalcaba was outstanding as he threw touchdown passes to Isaiah Edwards and Dean Meurrens, the former Hugh Boyd Trojan also had a rushing touchdown. 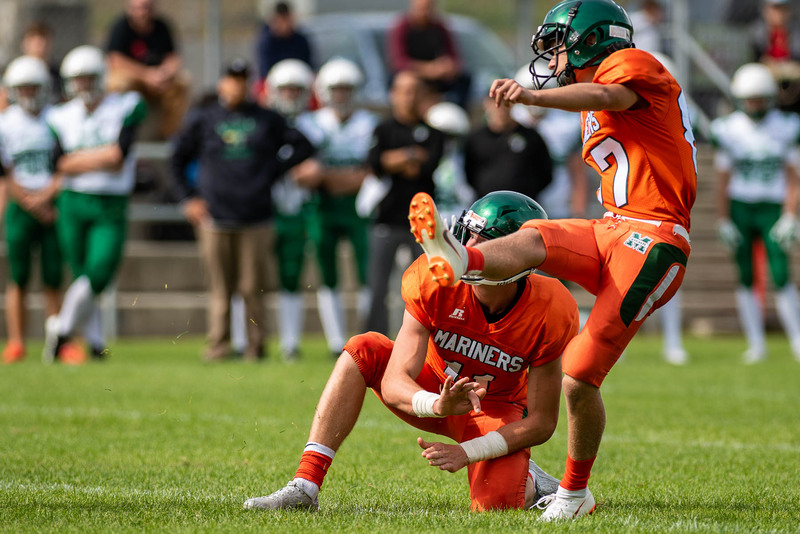 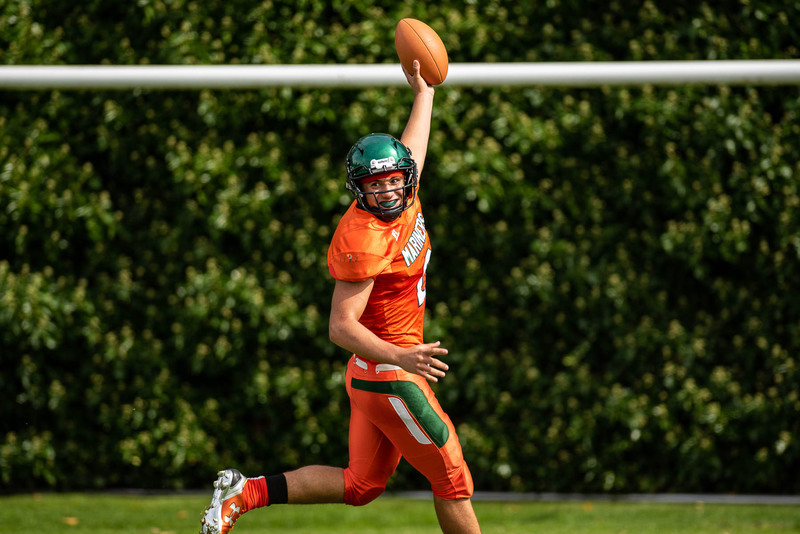 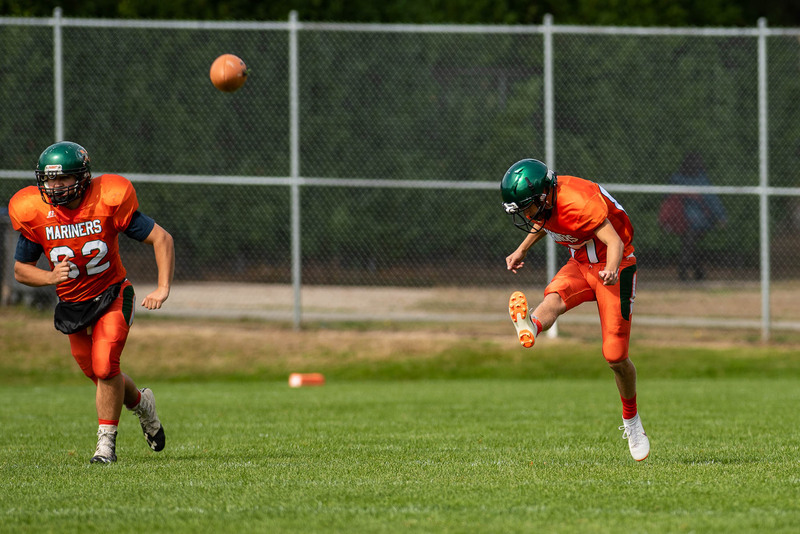 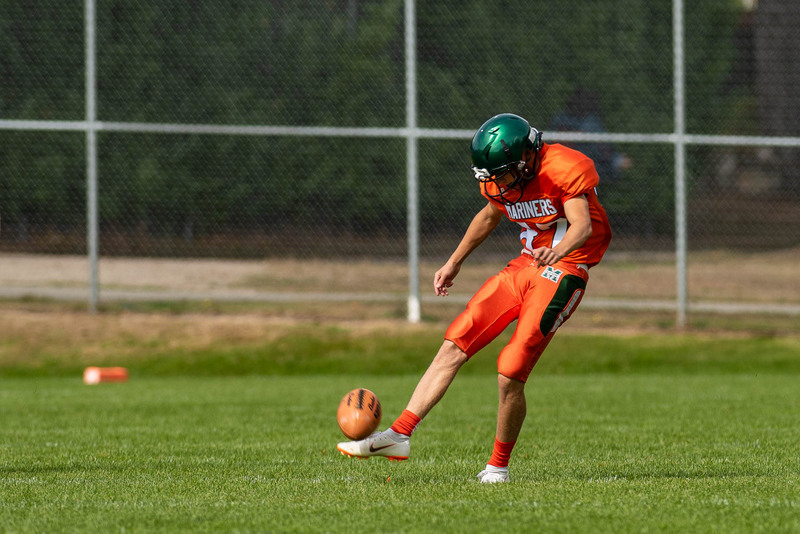 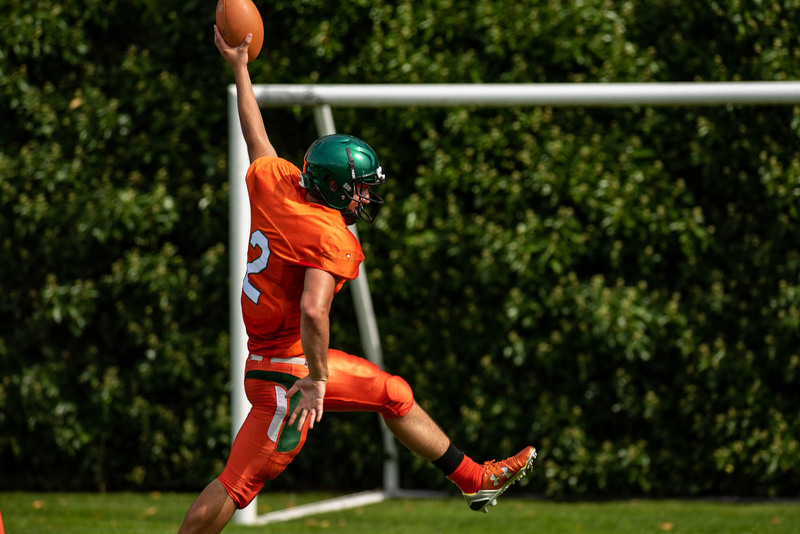 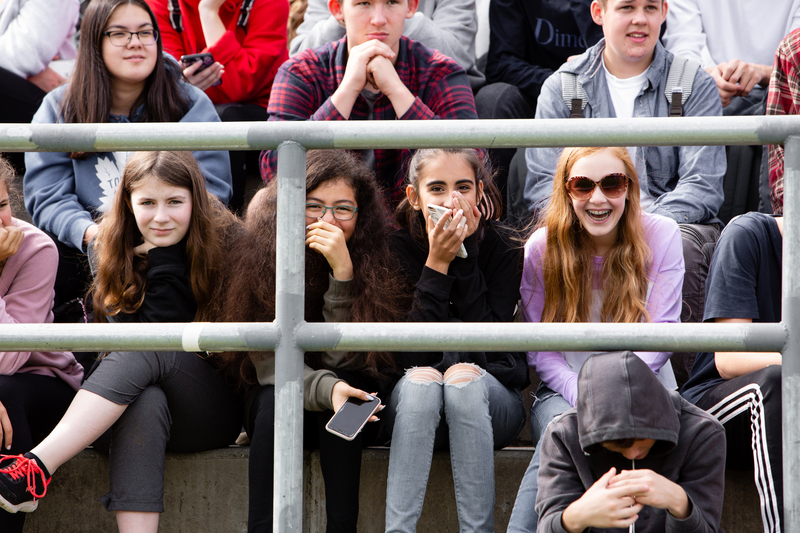 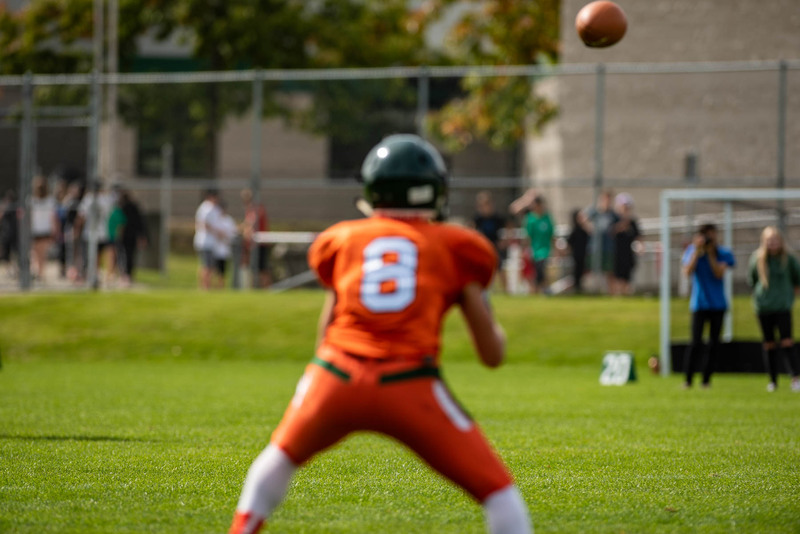 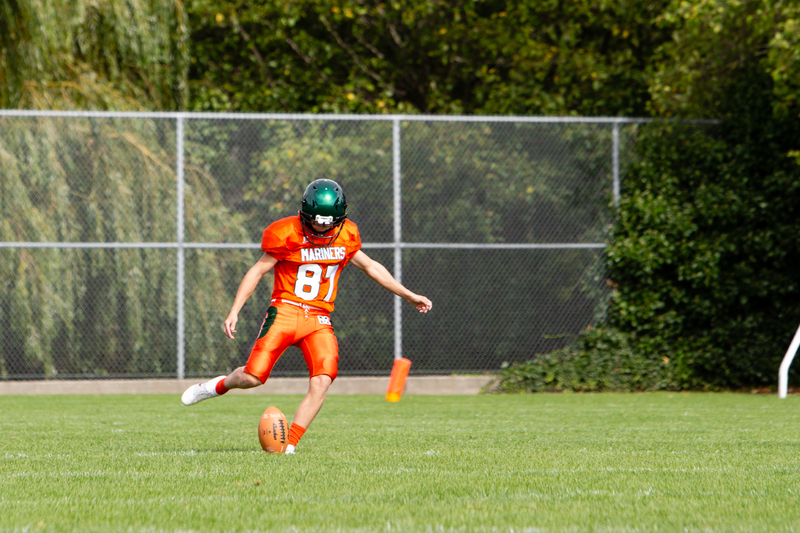 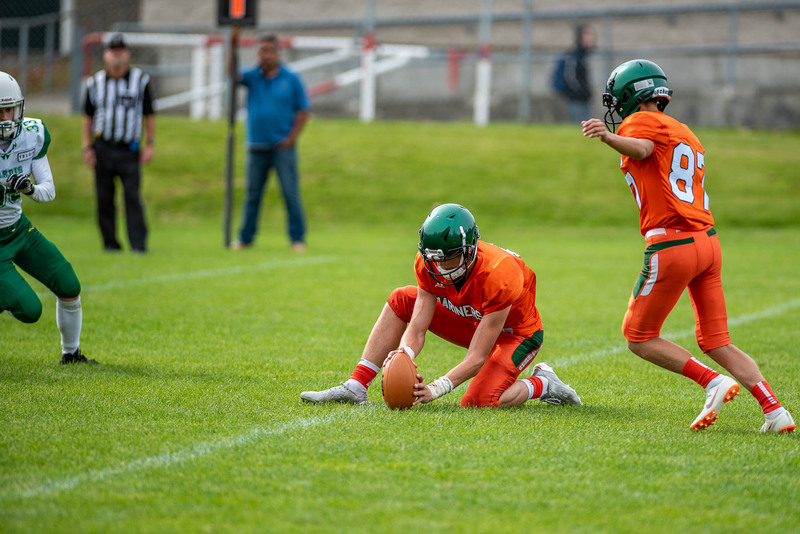 Sam La Roue also ran one in for the South Surrey squad and Junior kicking star Cole Parker rounded out the scoring with a pair of field goals. 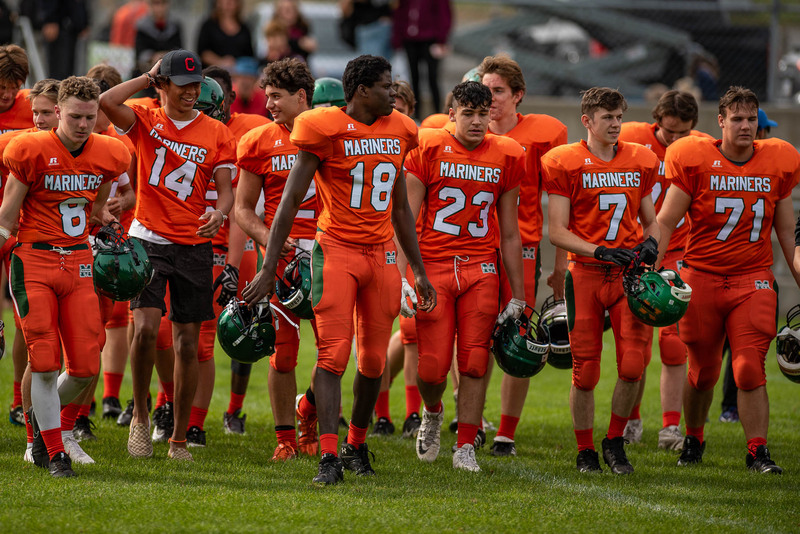 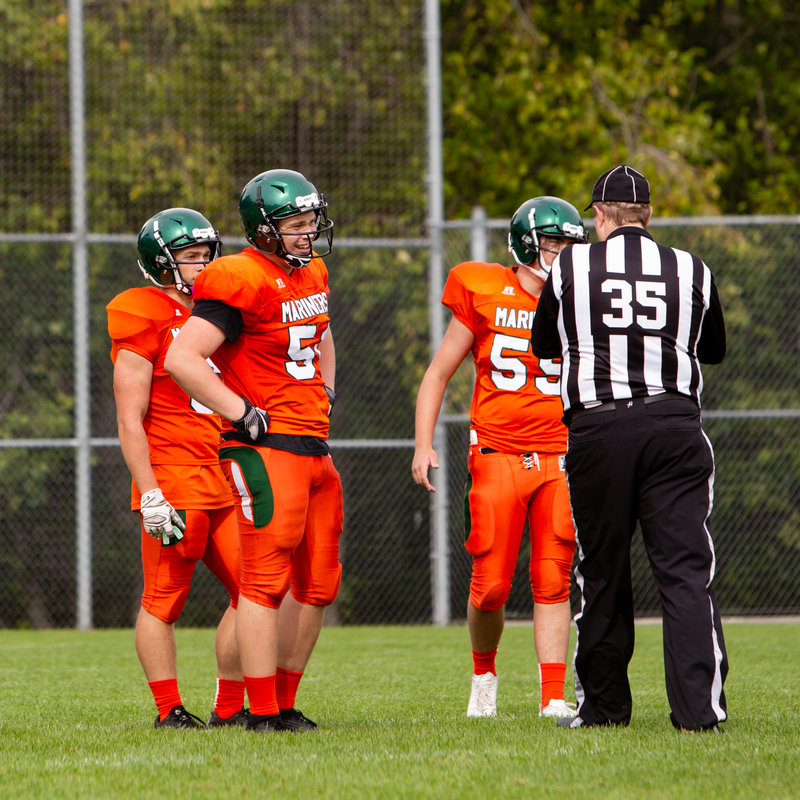 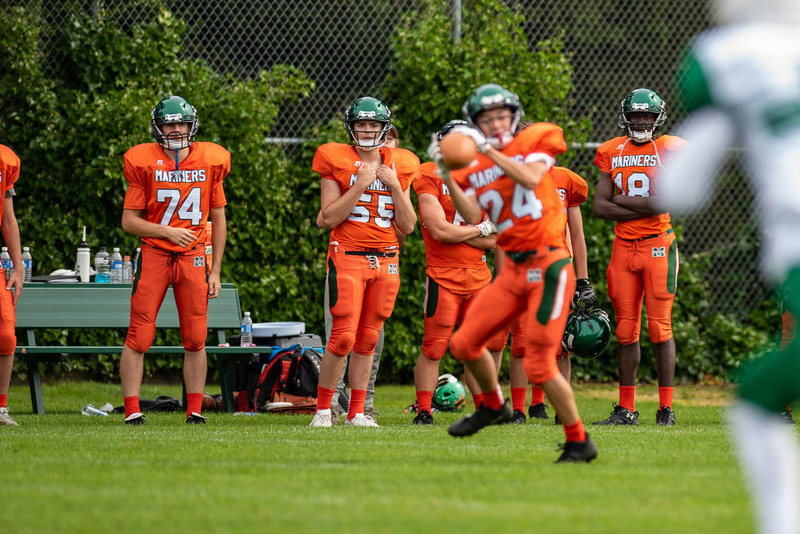 Defensive standouts for the Mariners were Kinteh Bubbacarr, Sam La Roue, Curtis Fenwick and Junior linebacker Michael Ficken.